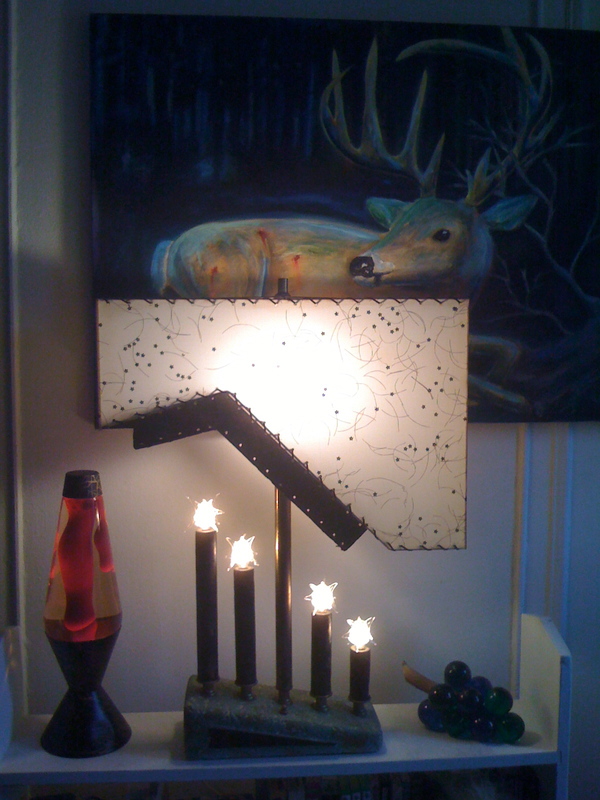 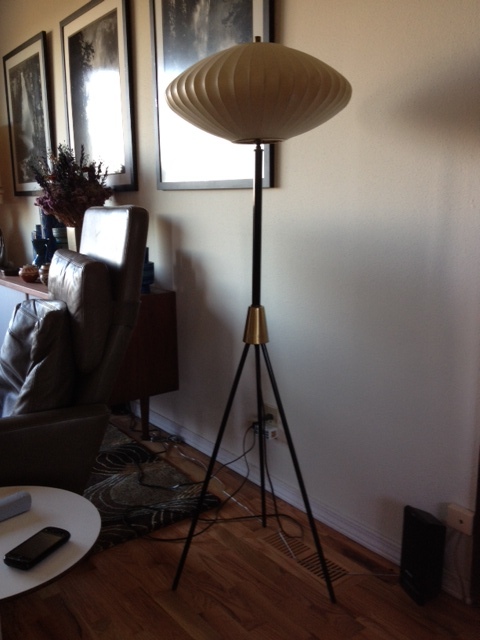 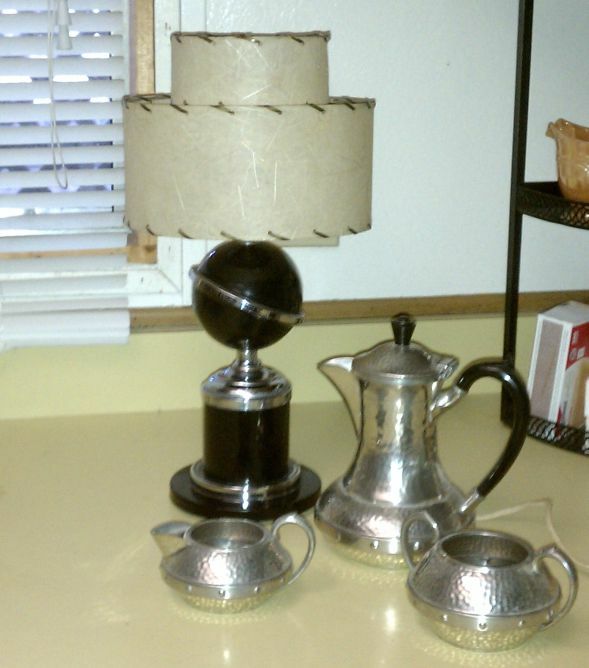 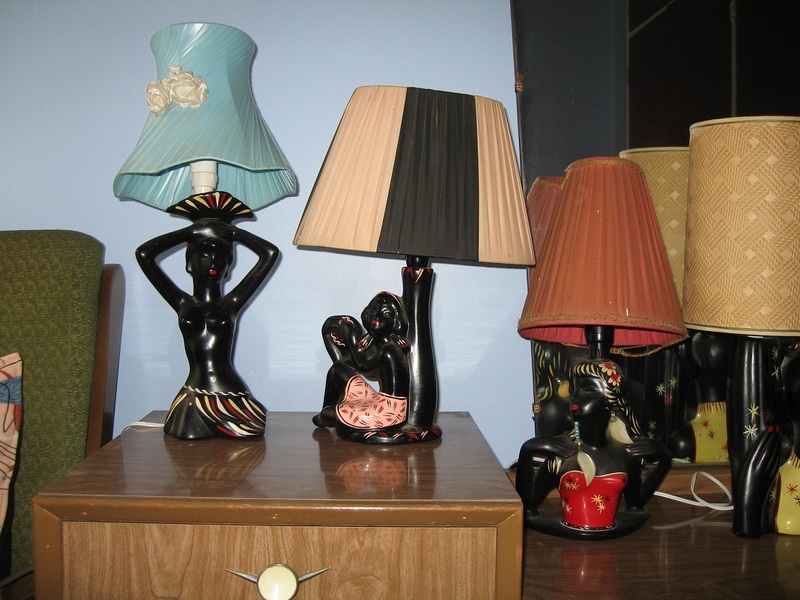 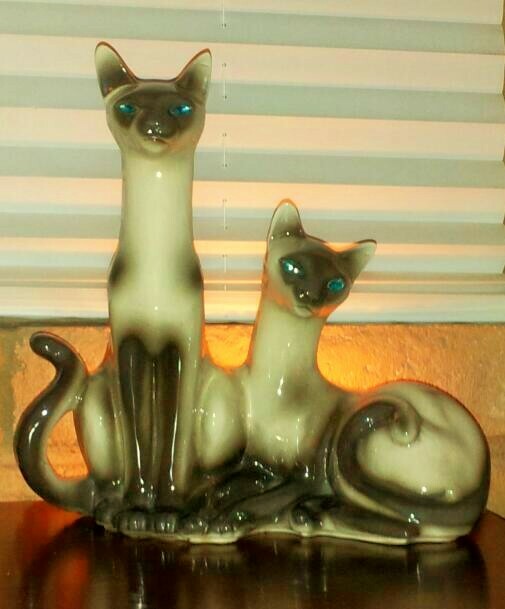 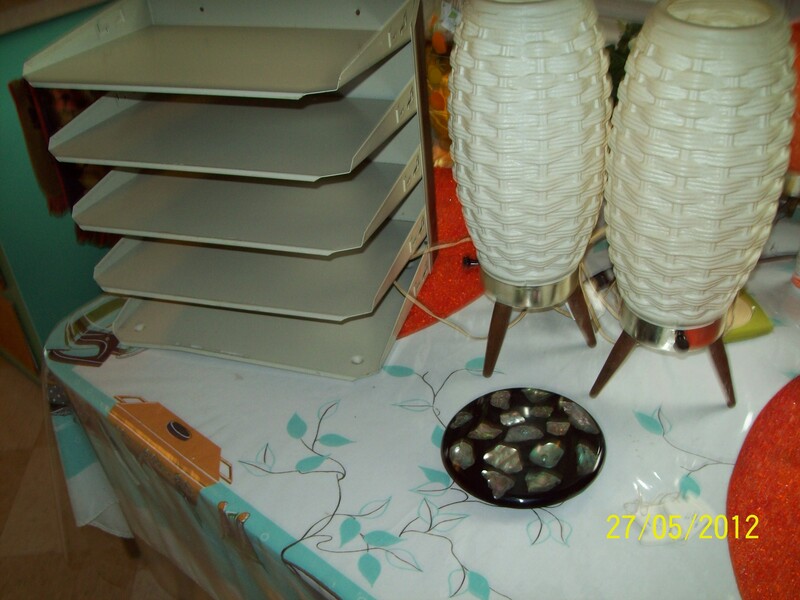 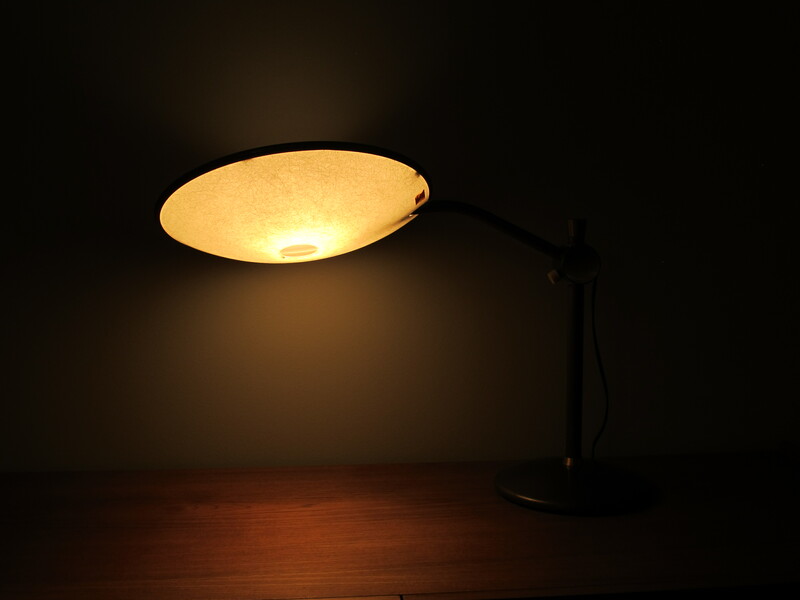 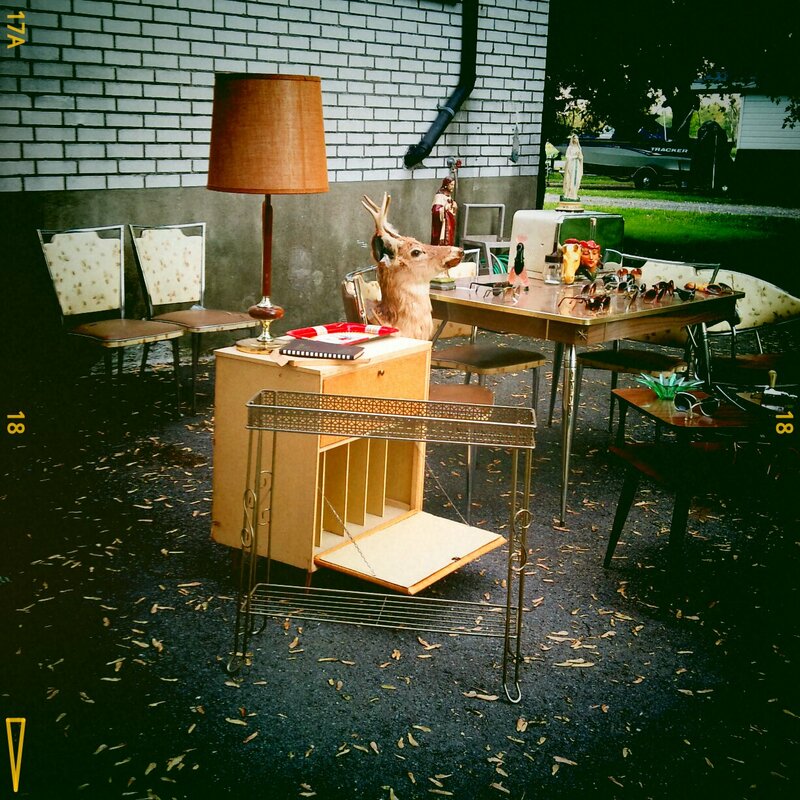 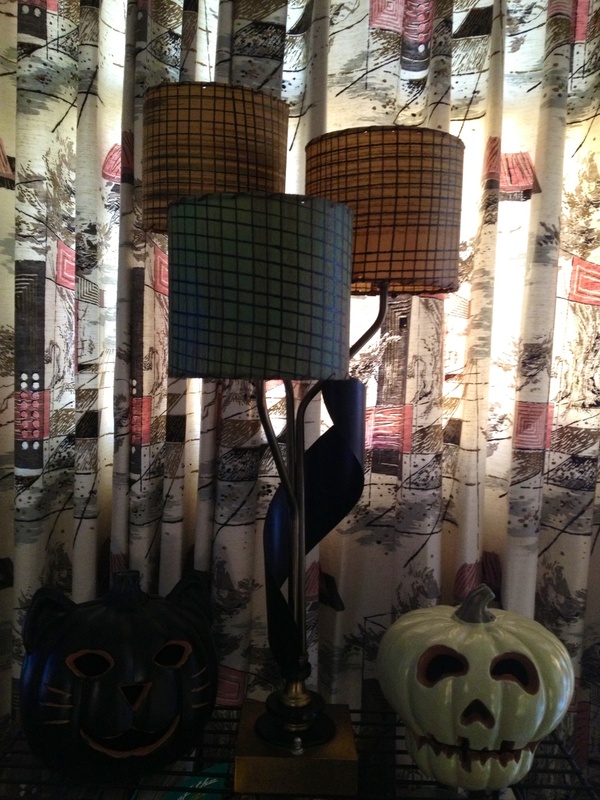 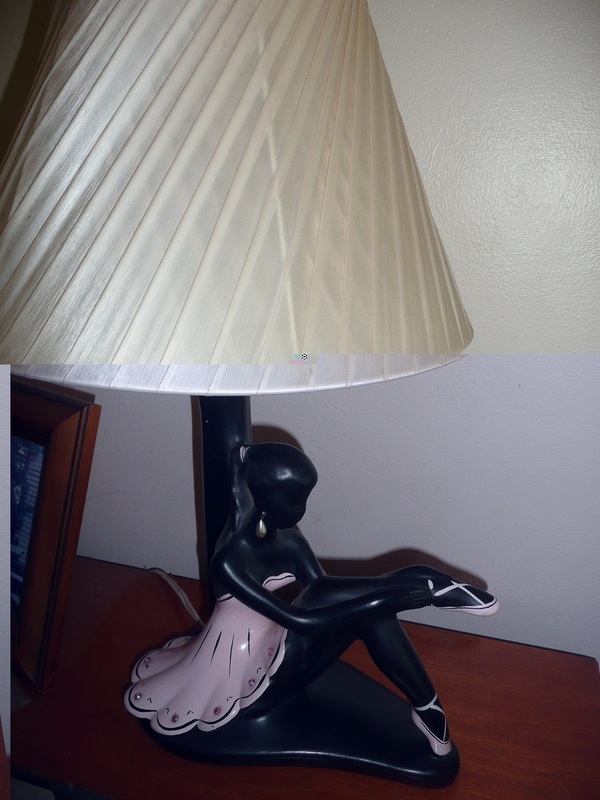 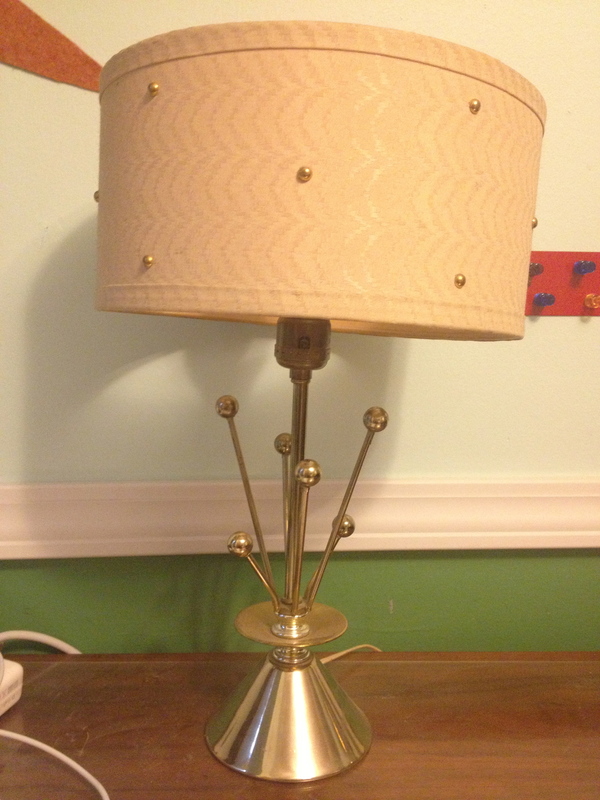 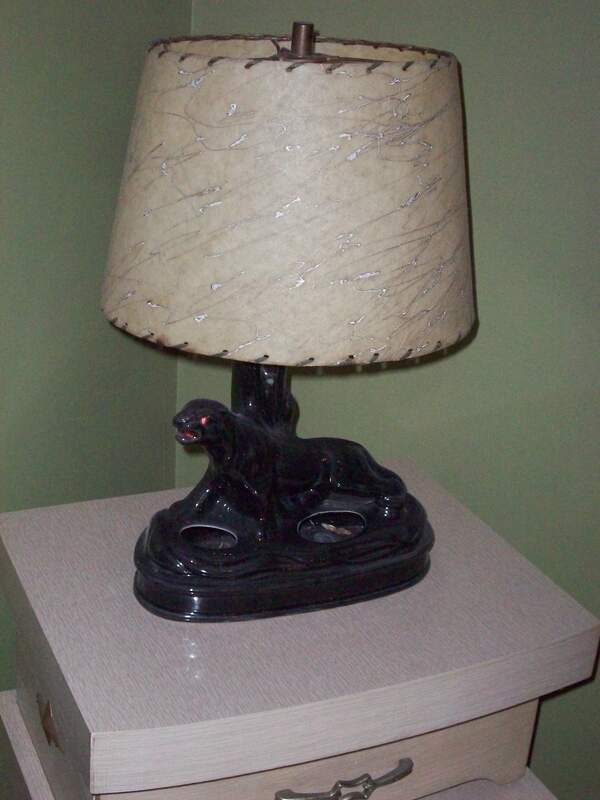 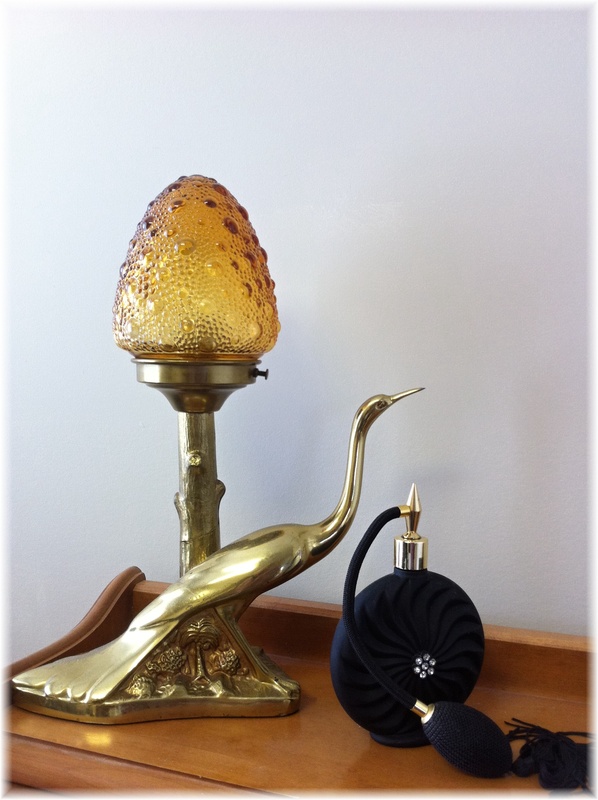 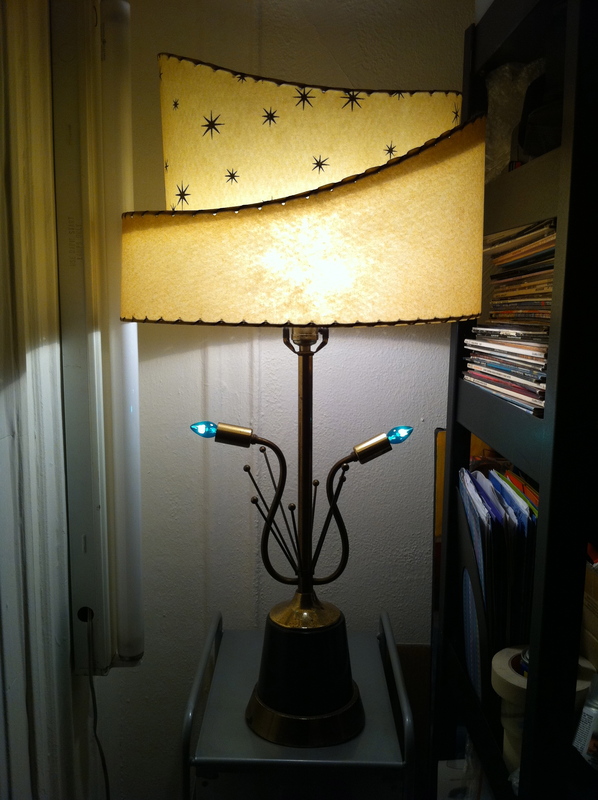 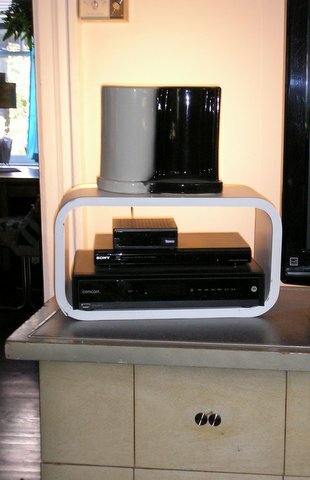 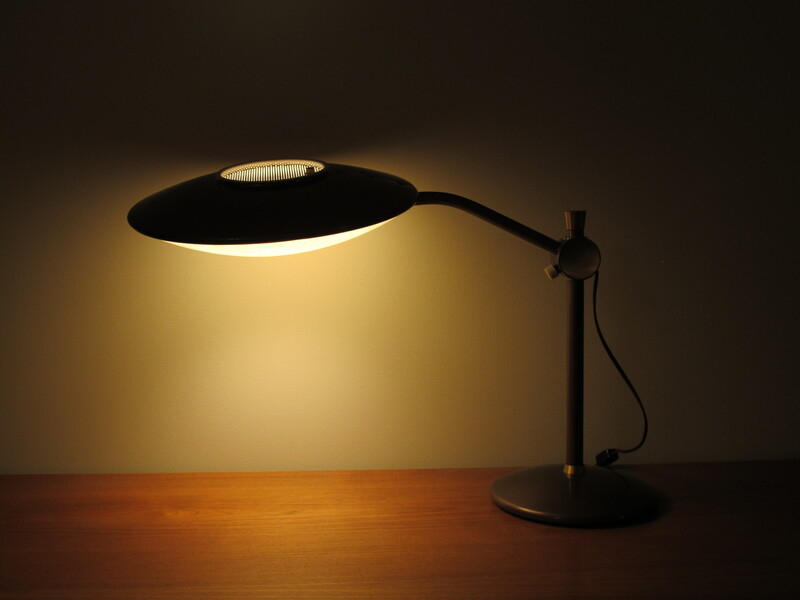 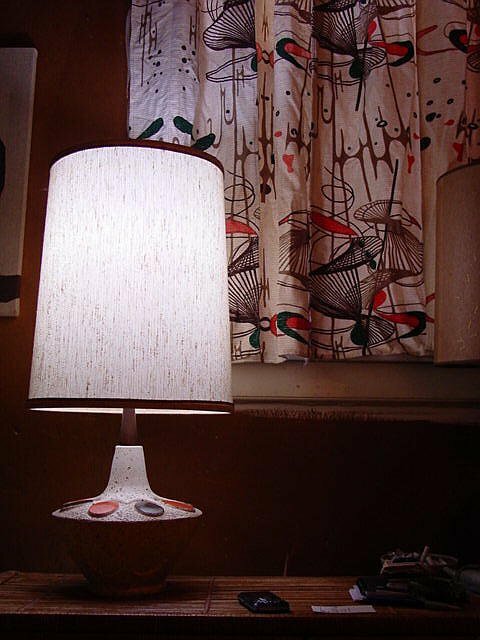 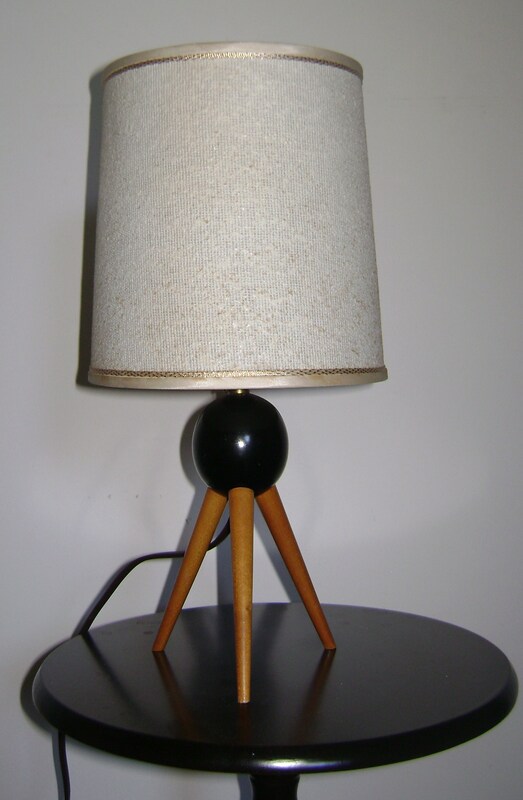 whoever posted the white/gold lamp with the middle black collar – I have that lamp as well. 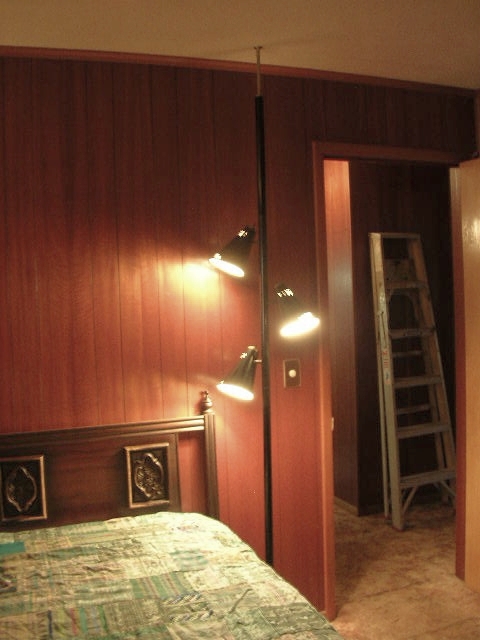 It’s cool, that the black collar is the on/off switch. 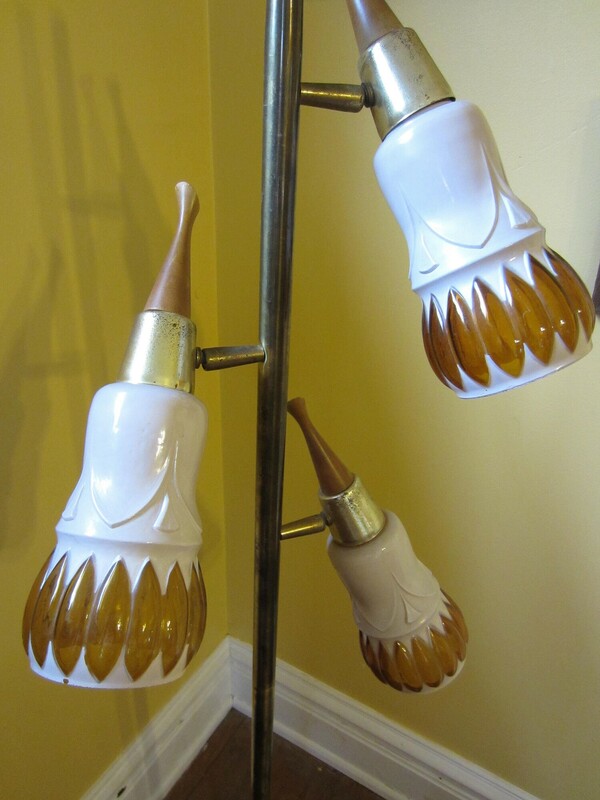 You have to be careful though, because thru out the use, the paint wears off. 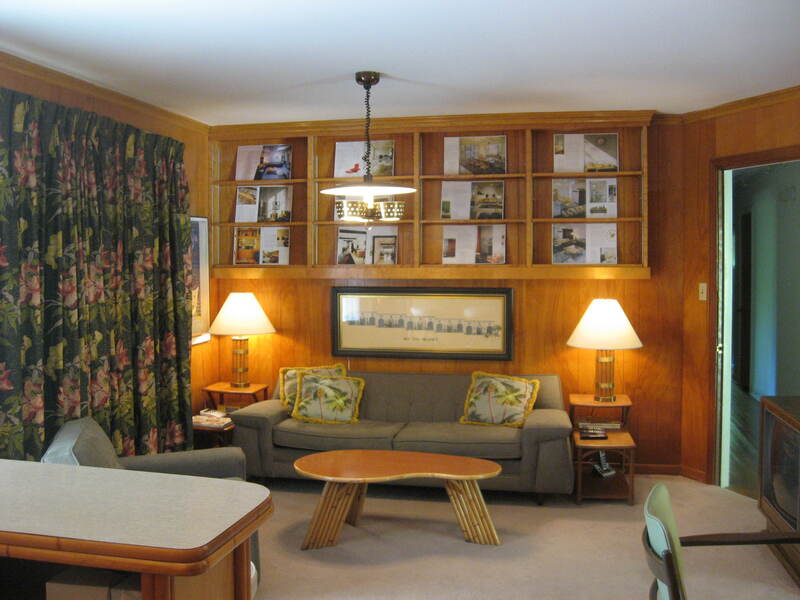 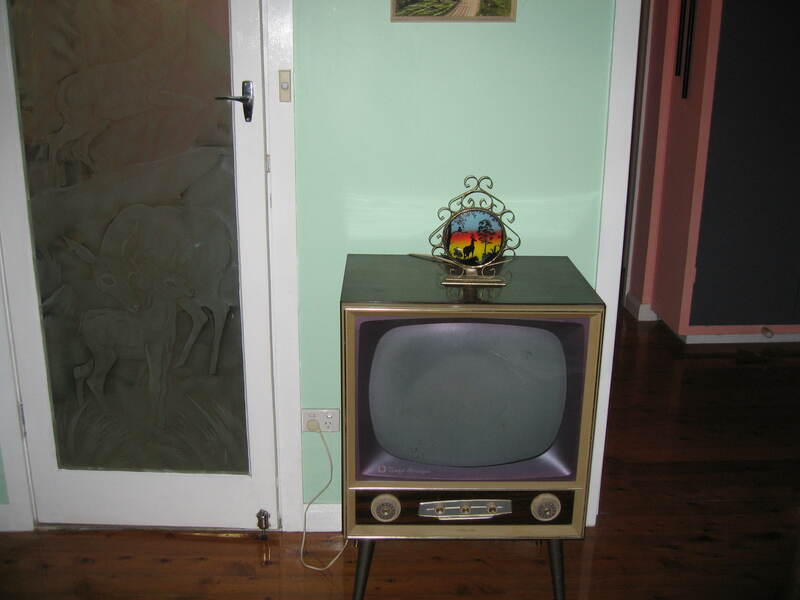 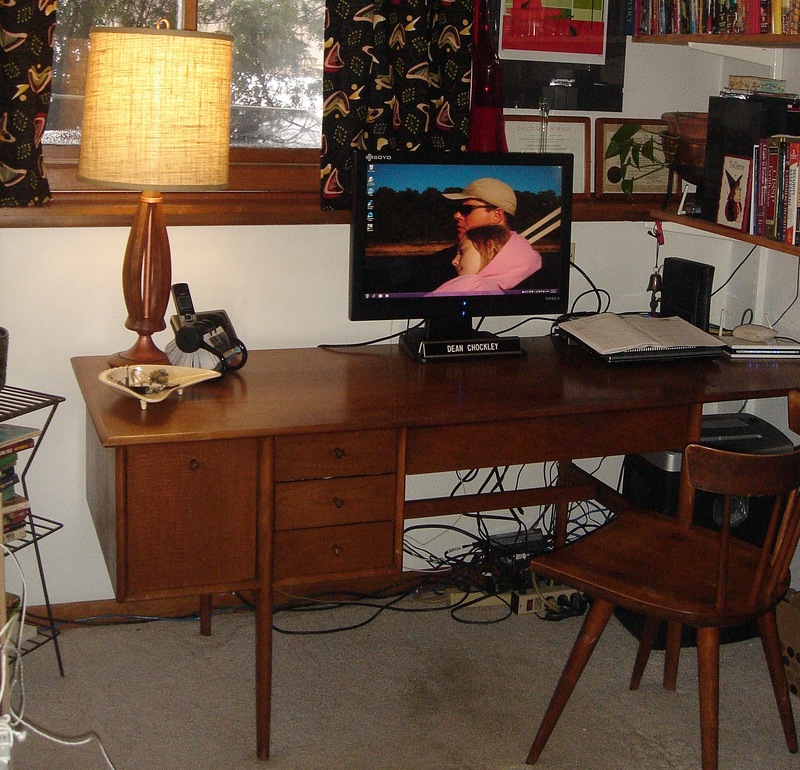 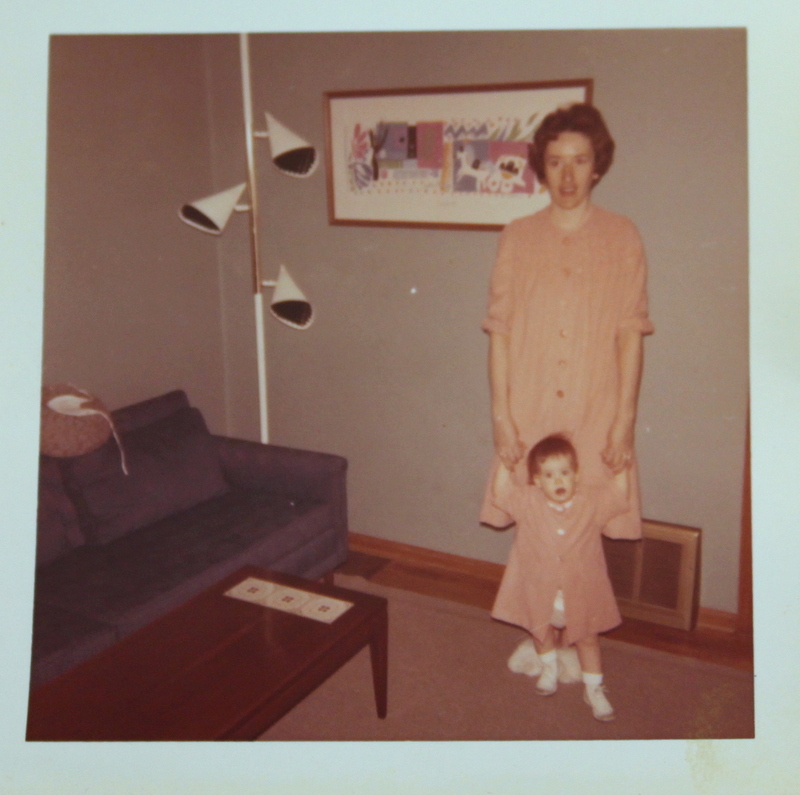 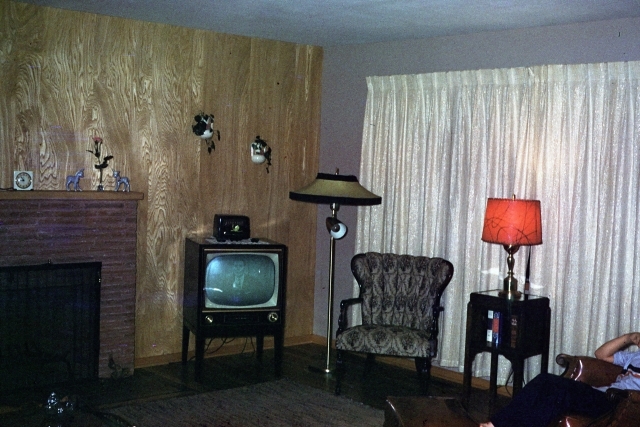 I know I’ve submitted my picture before – so it’s somewhere in the archives at retrorenovation. 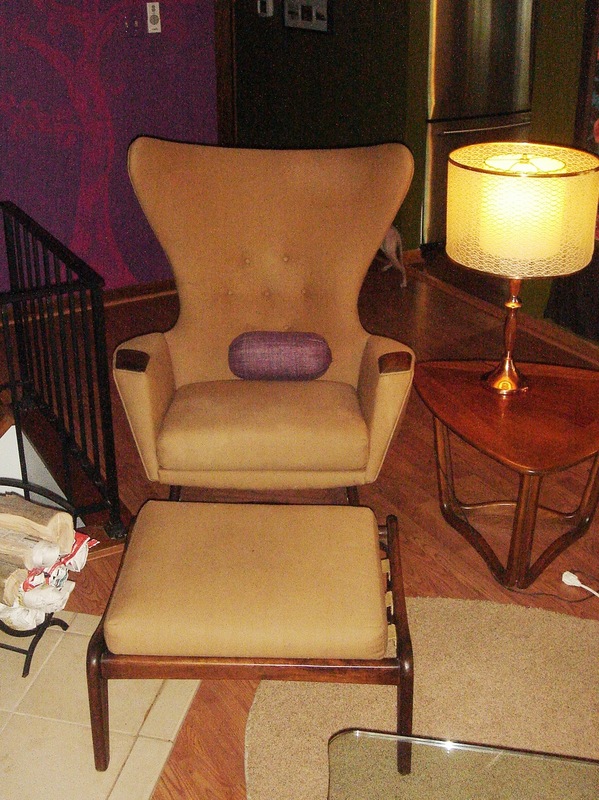 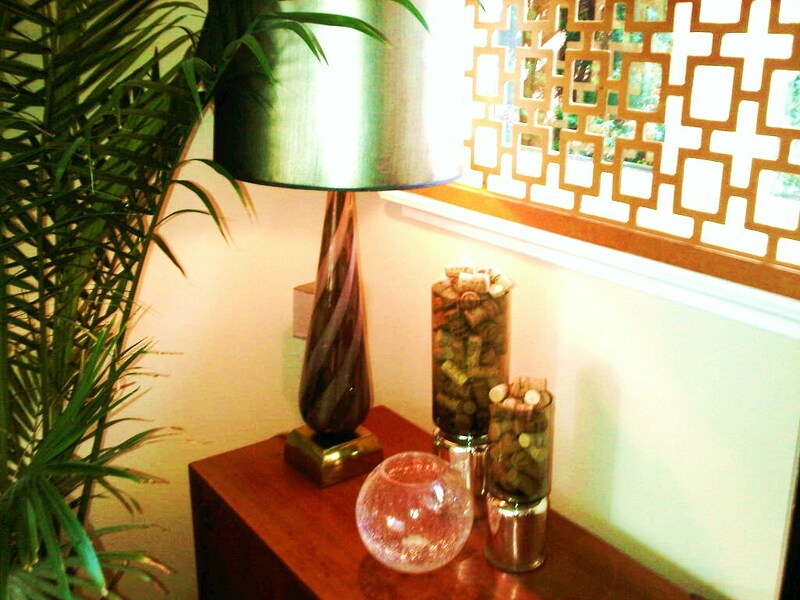 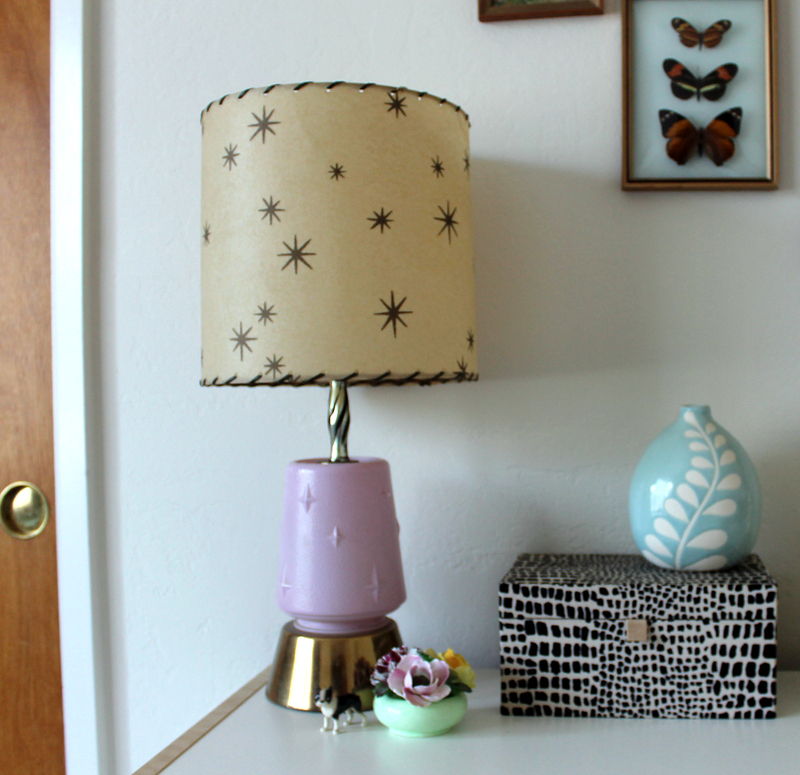 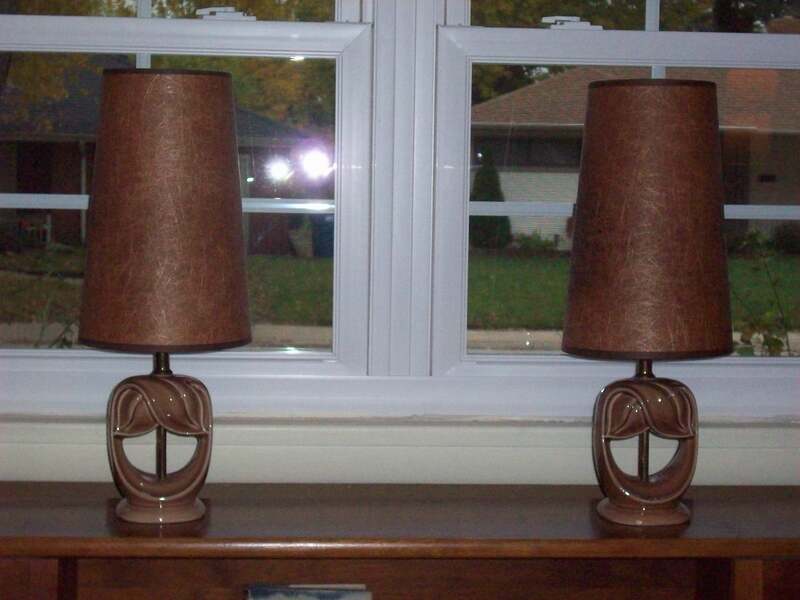 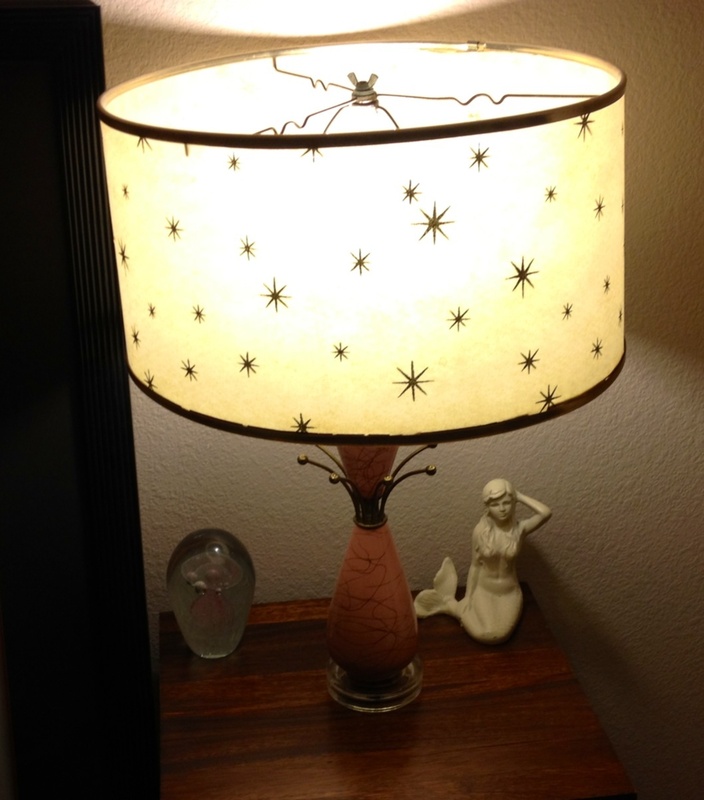 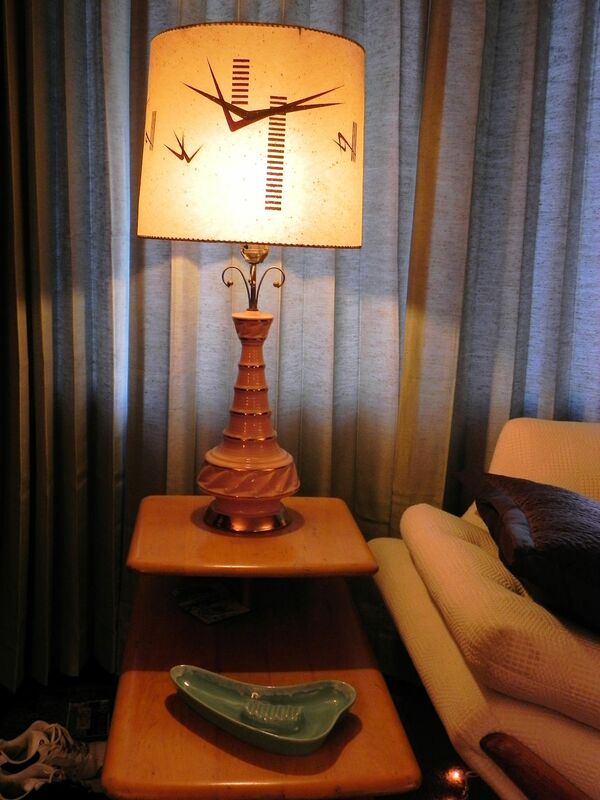 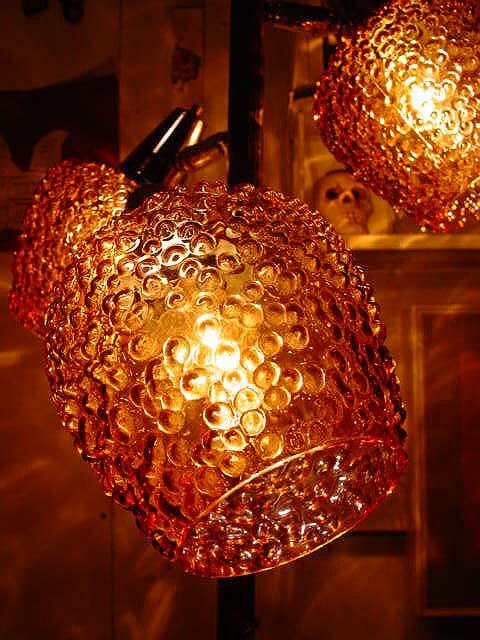 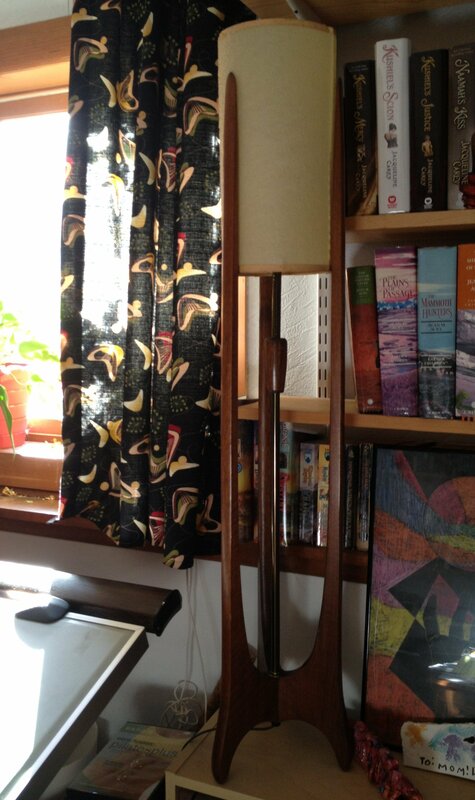 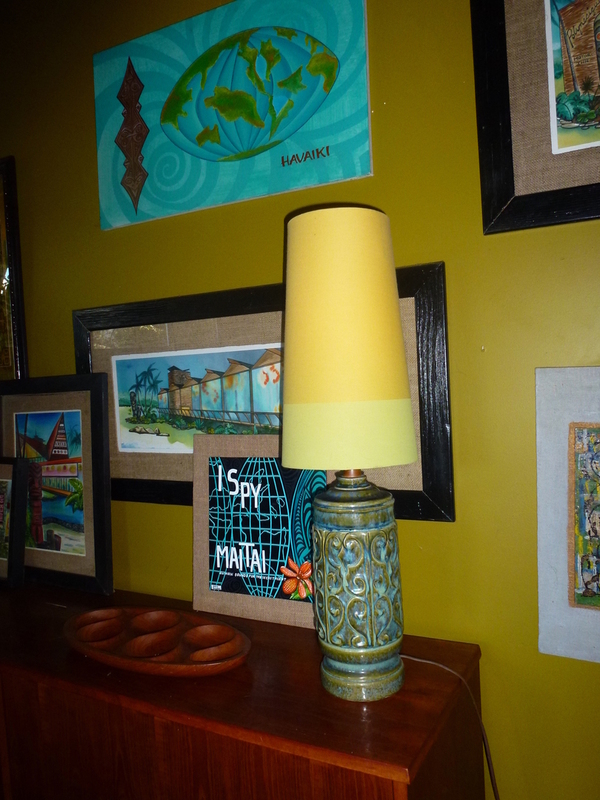 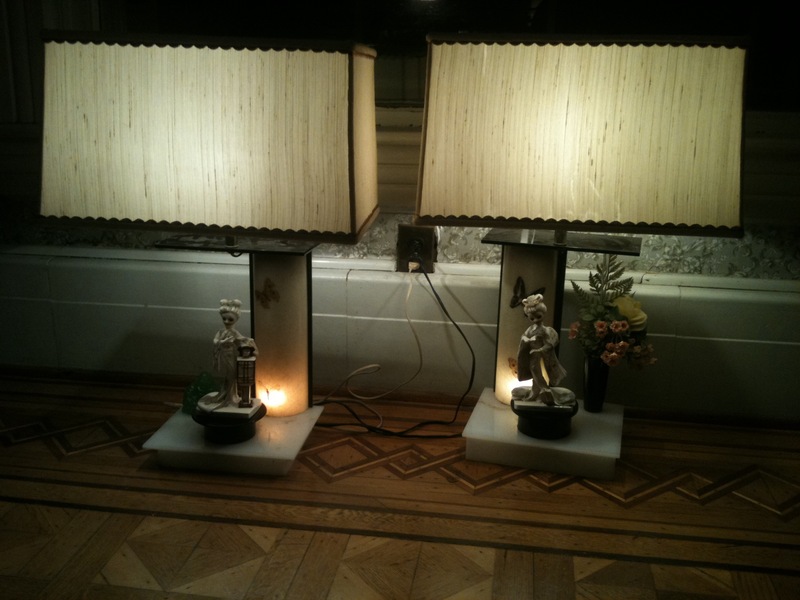 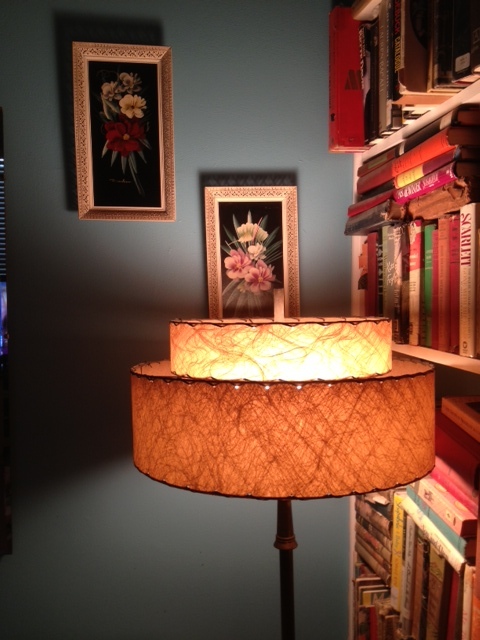 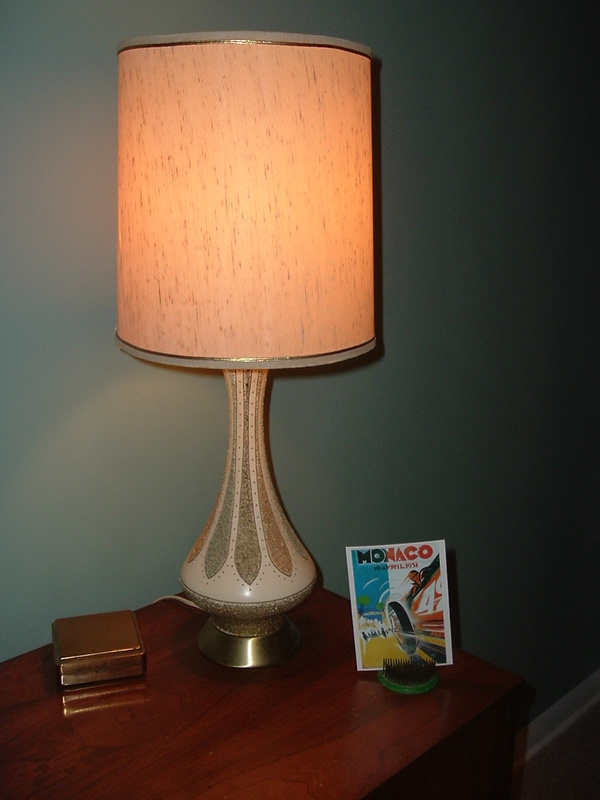 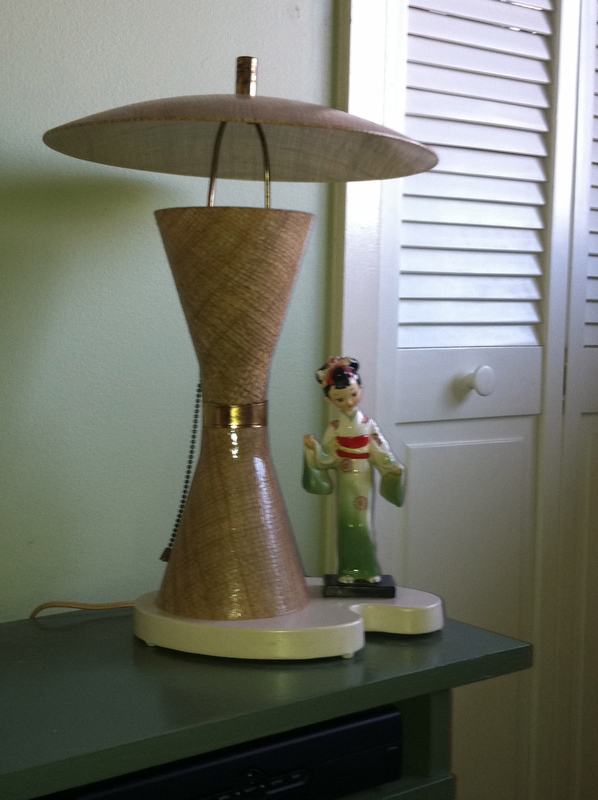 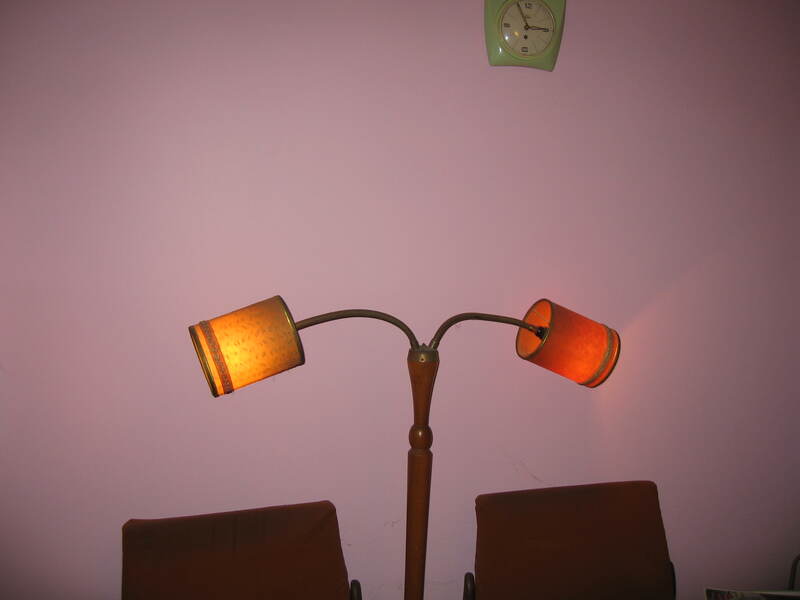 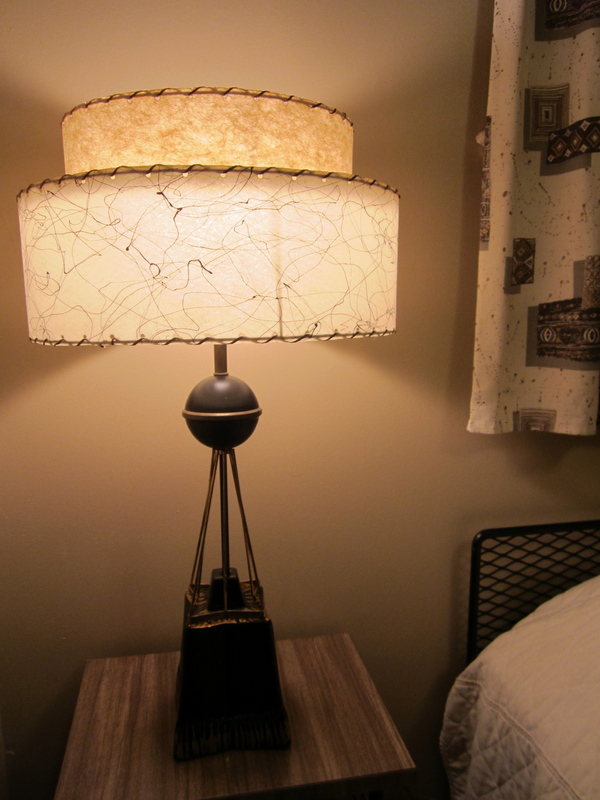 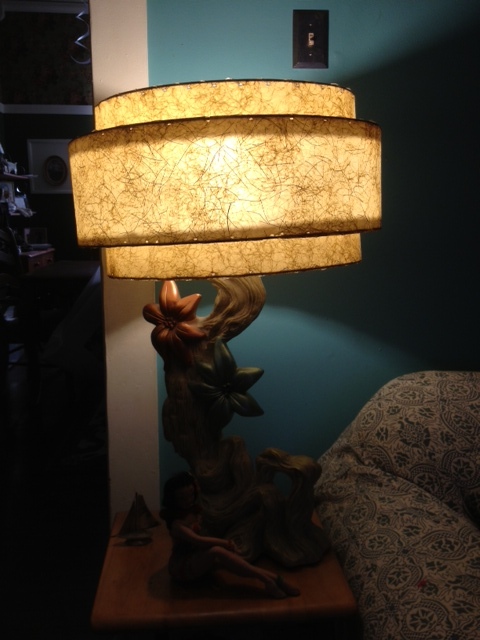 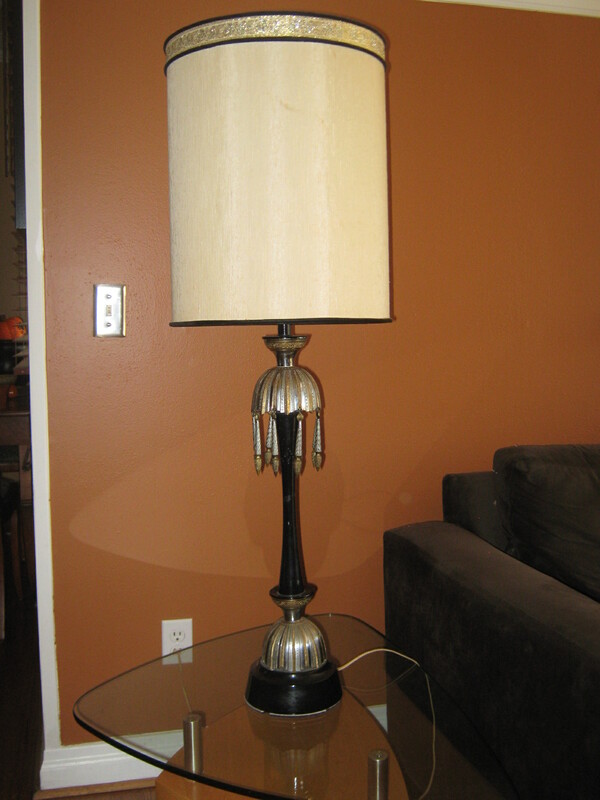 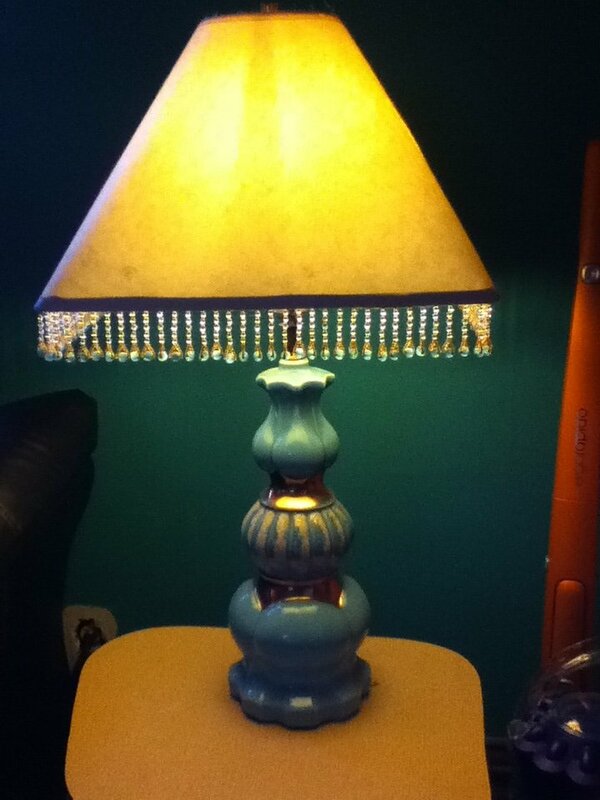 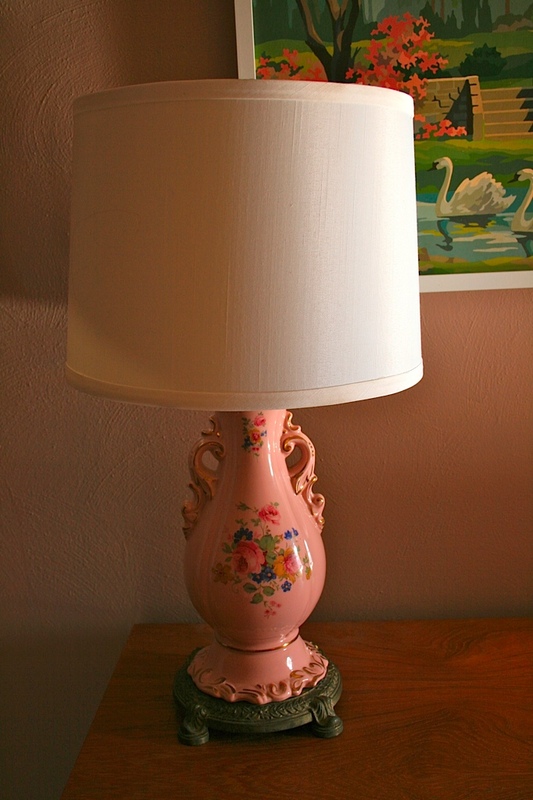 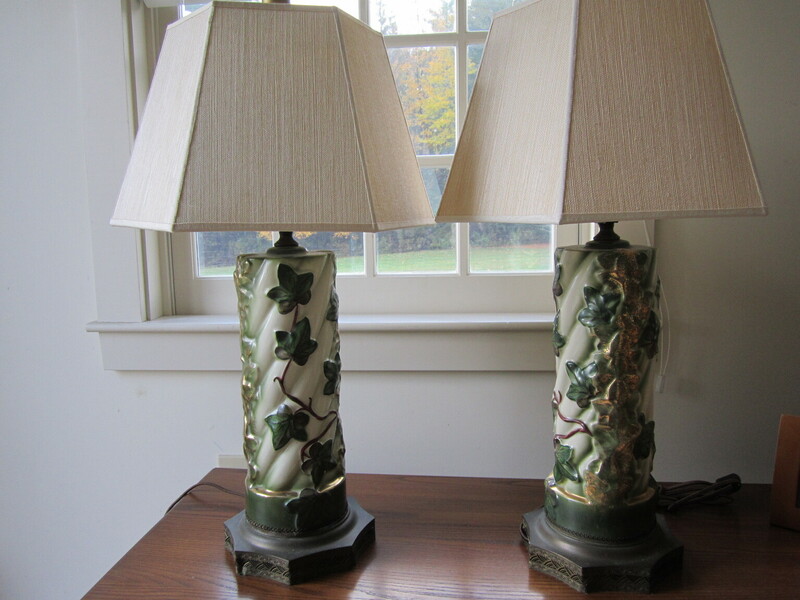 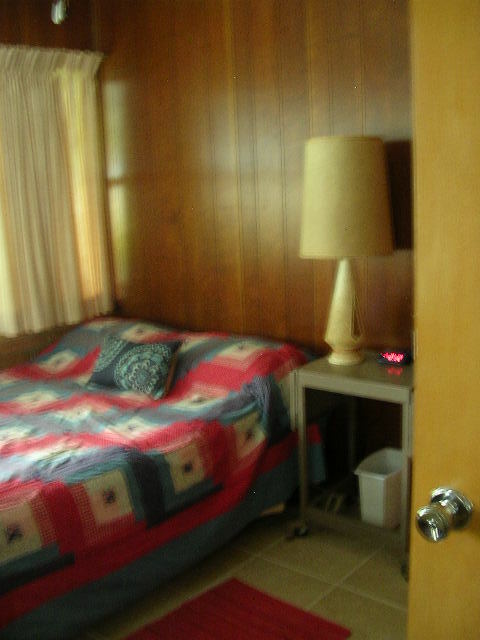 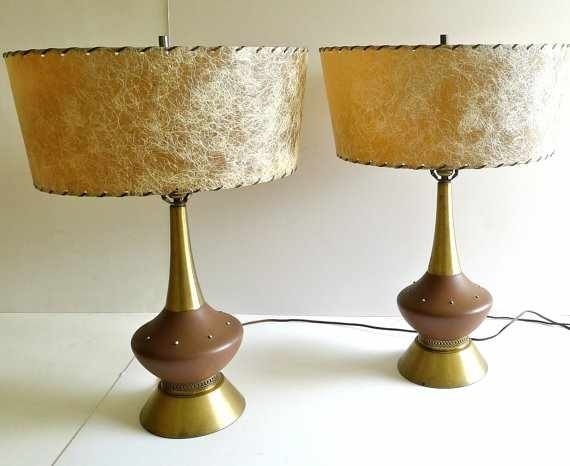 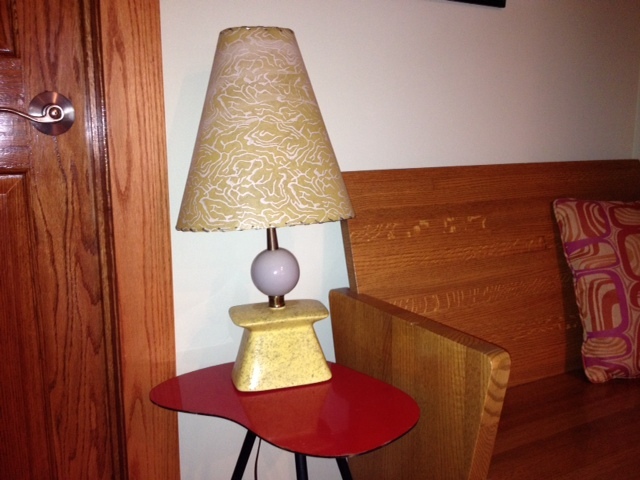 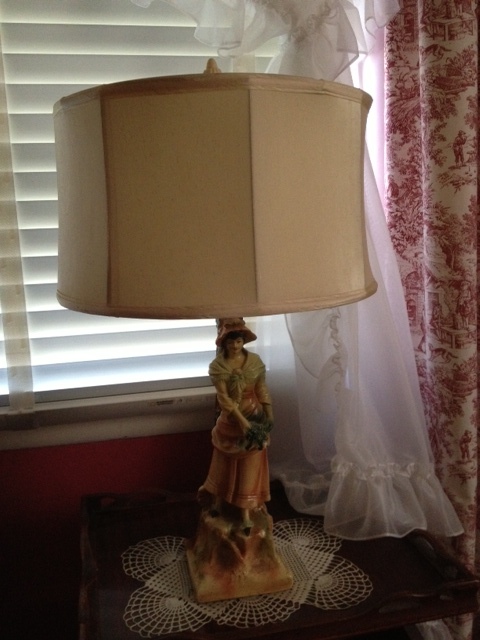 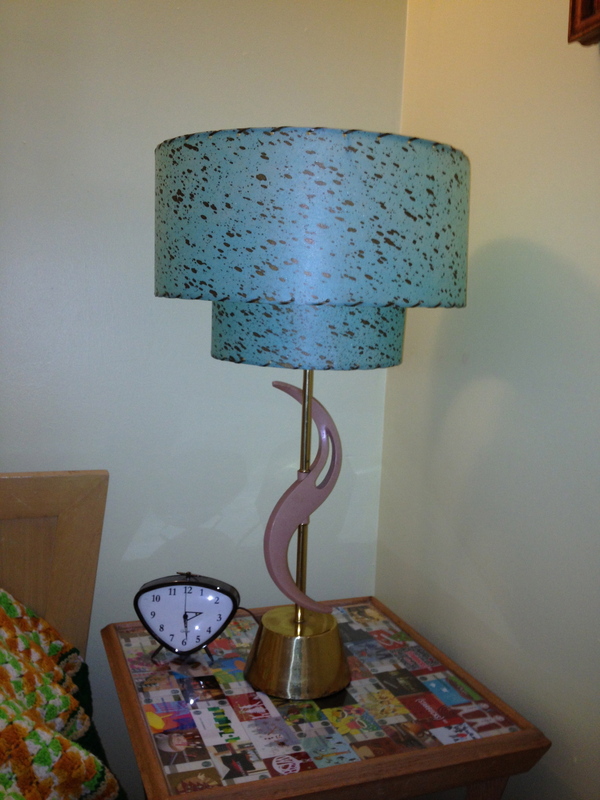 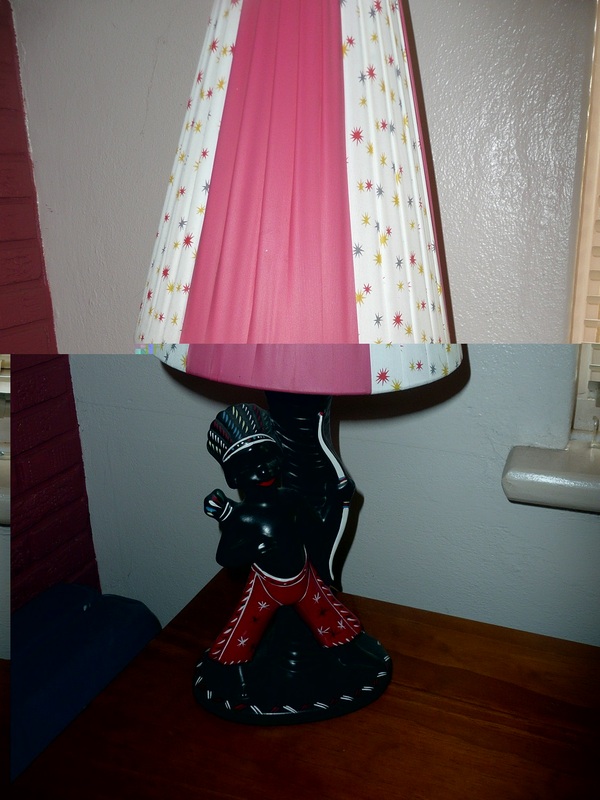 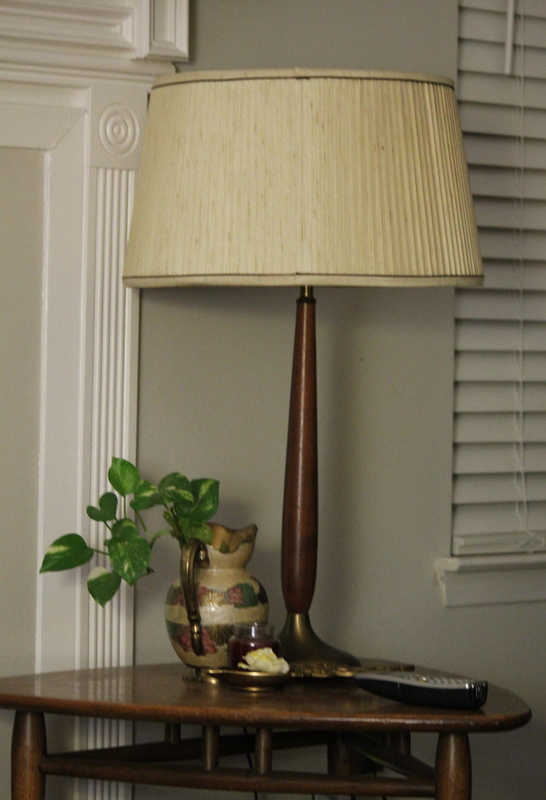 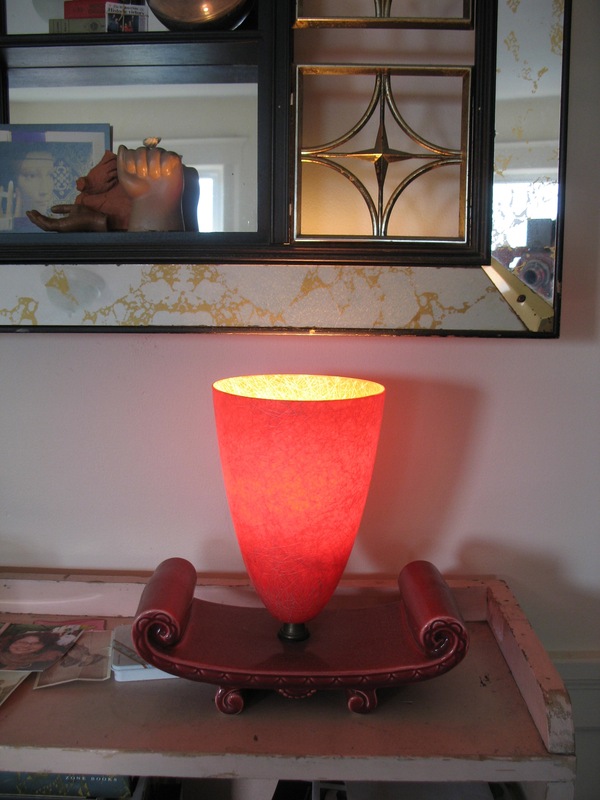 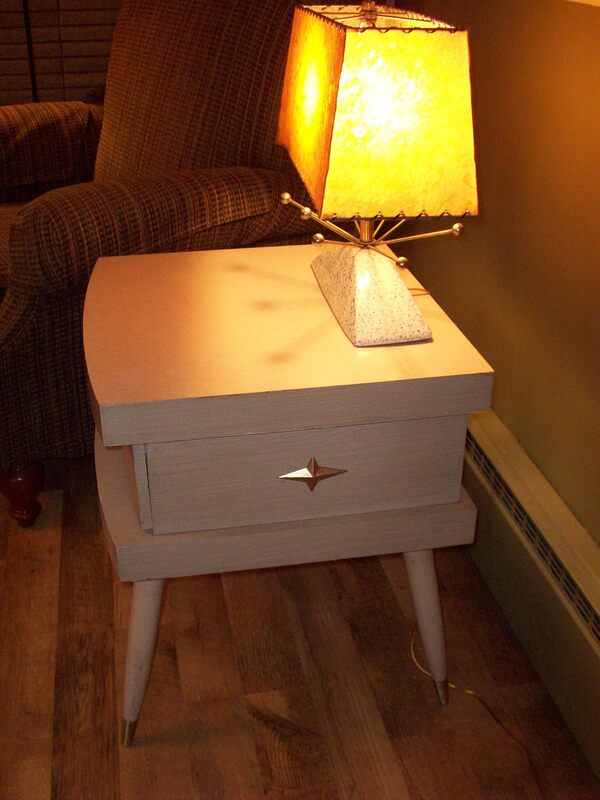 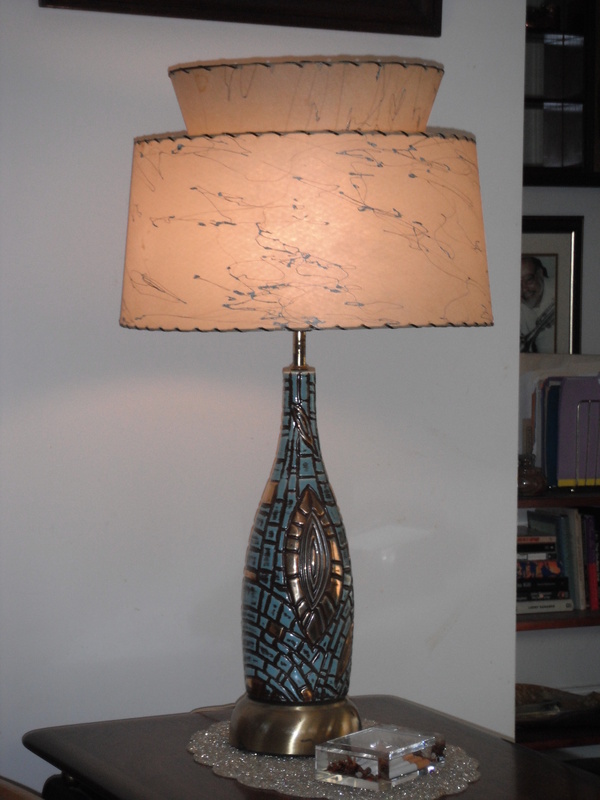 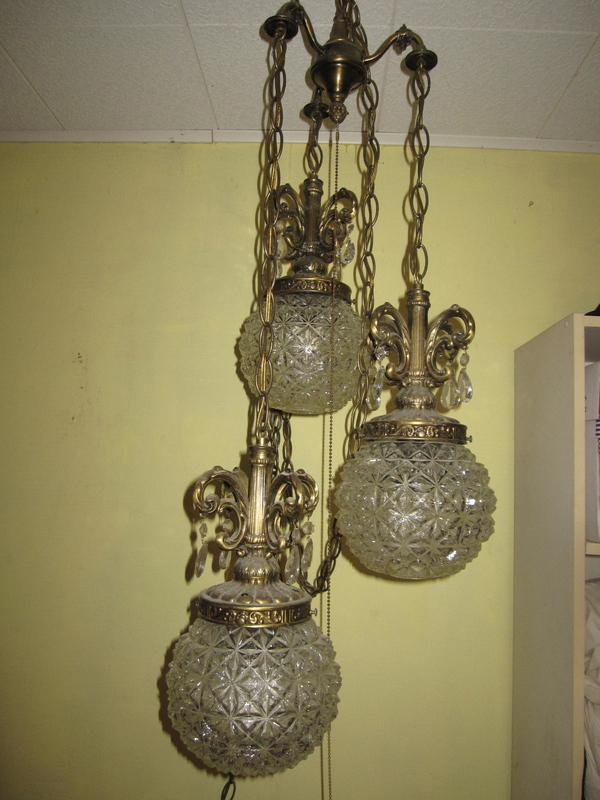 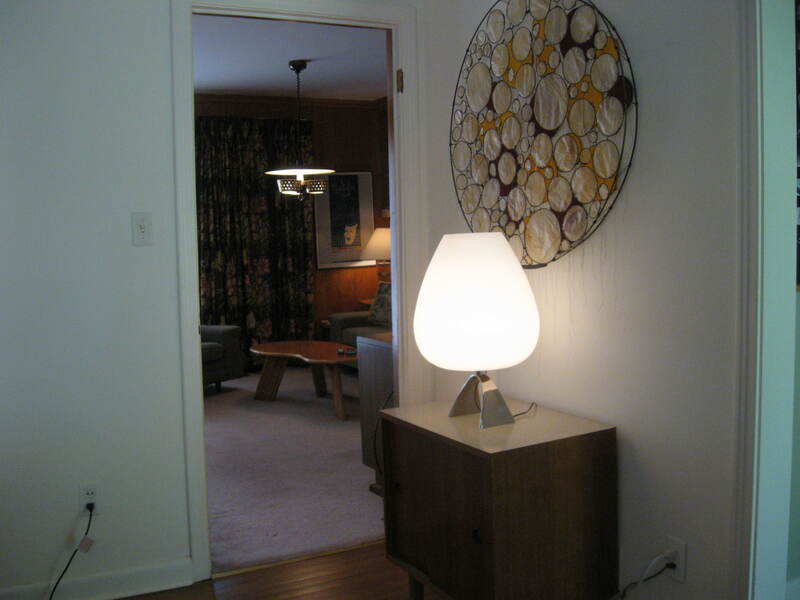 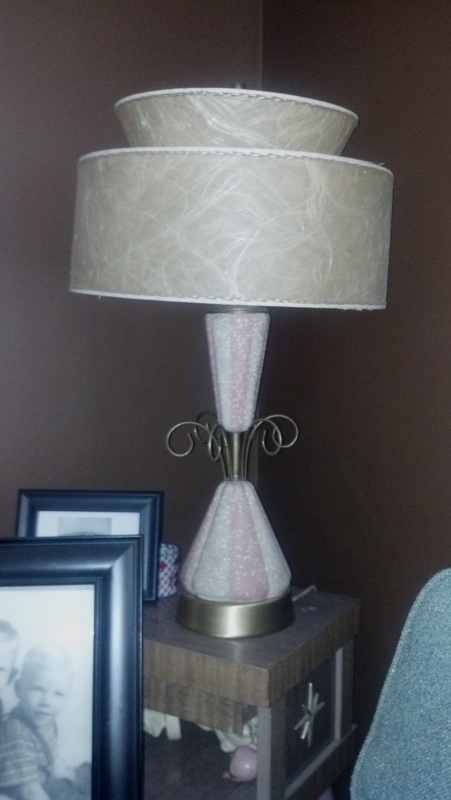 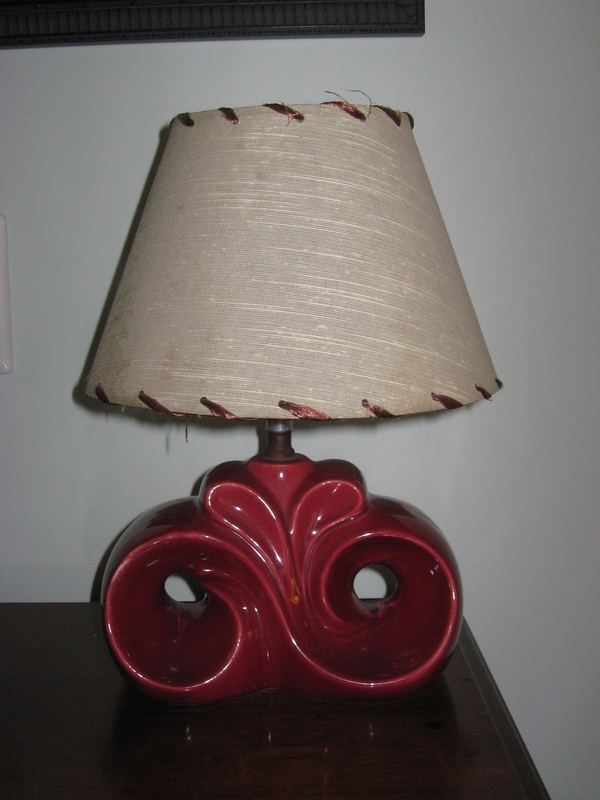 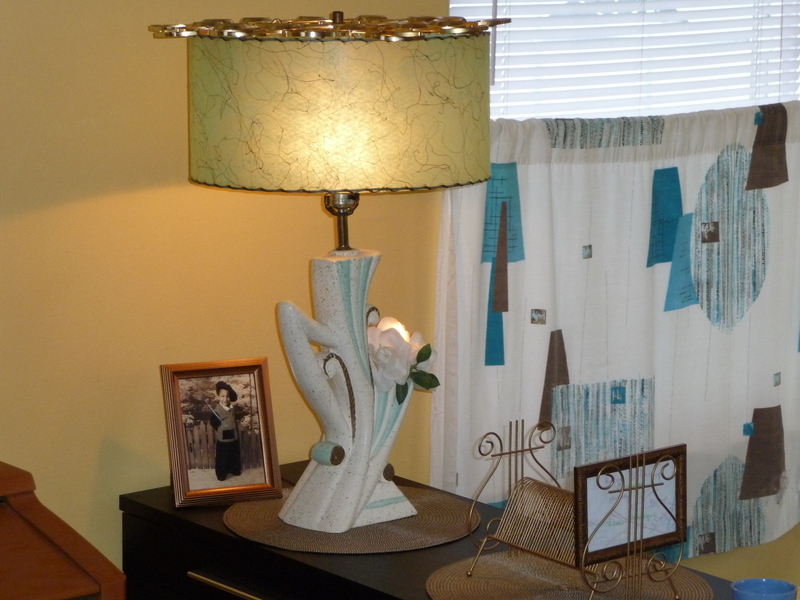 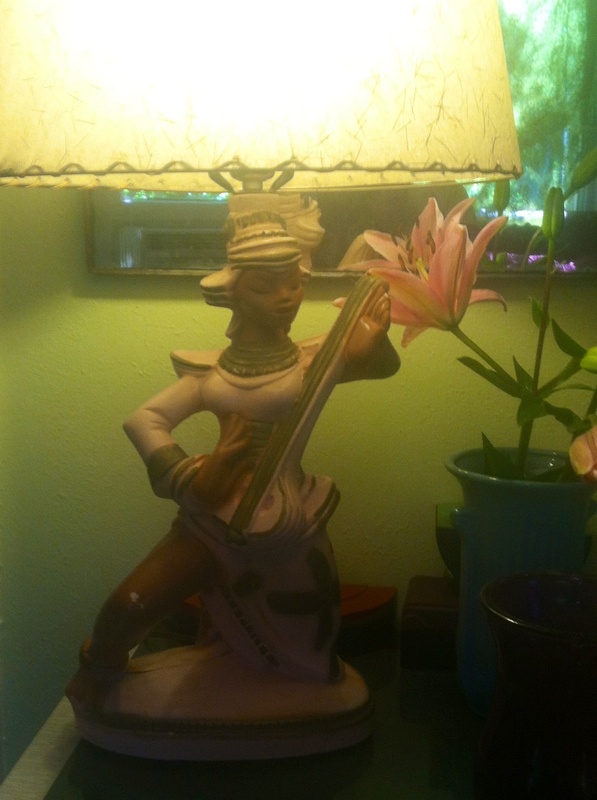 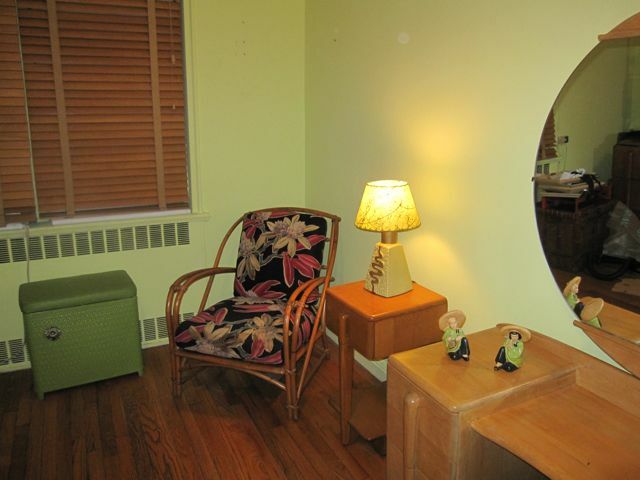 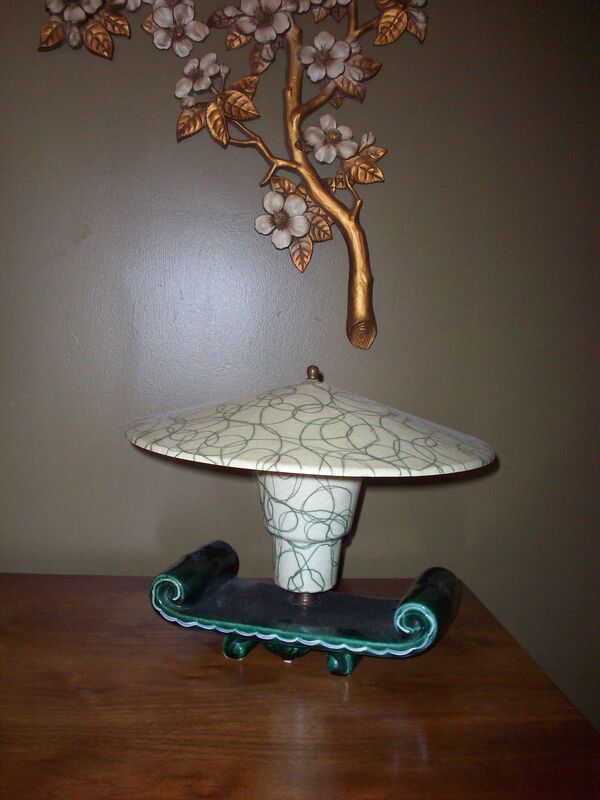 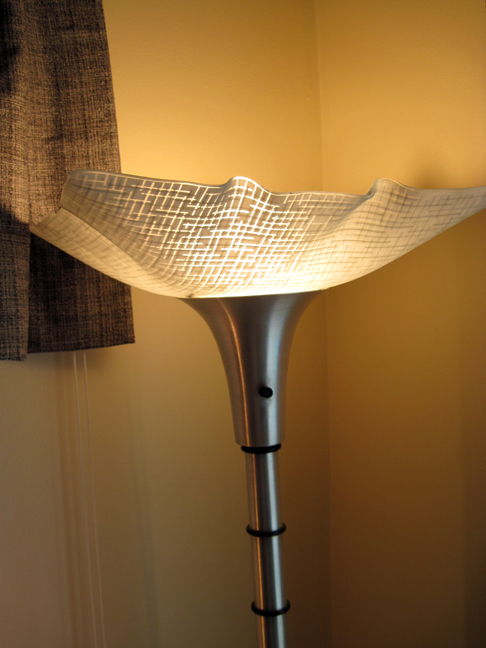 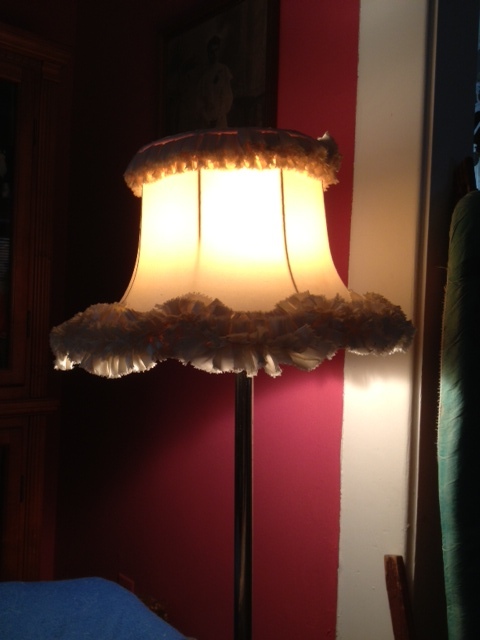 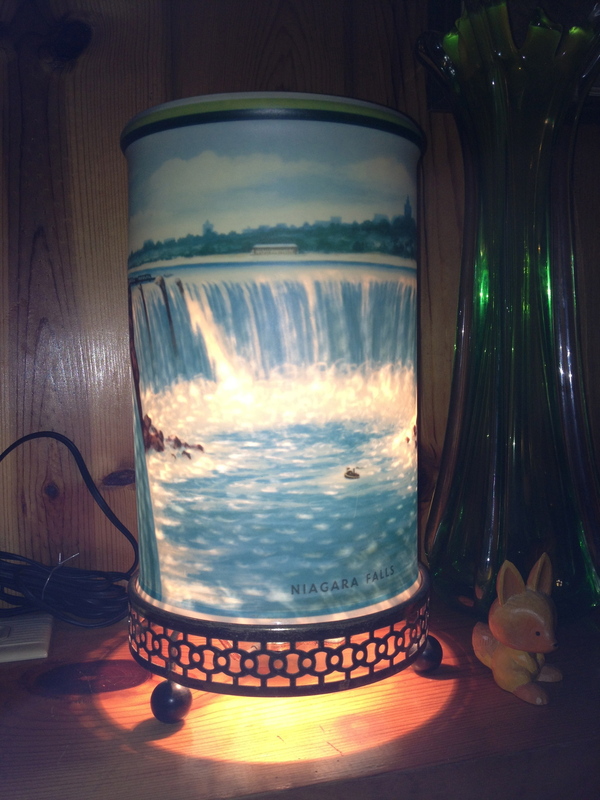 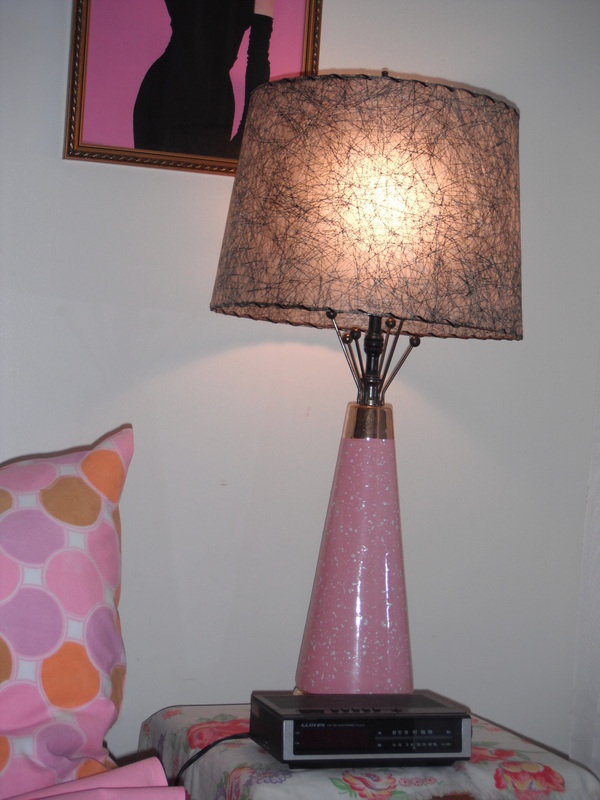 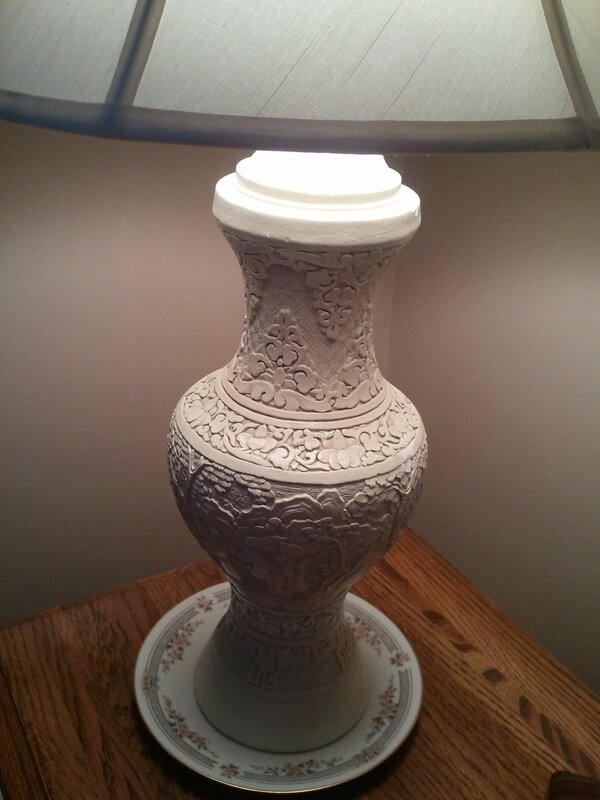 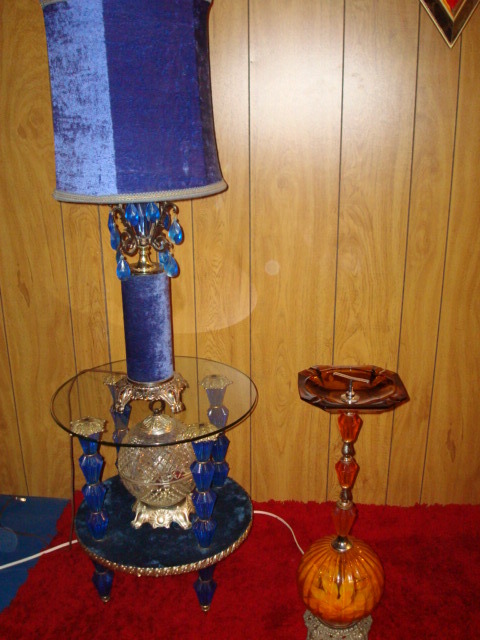 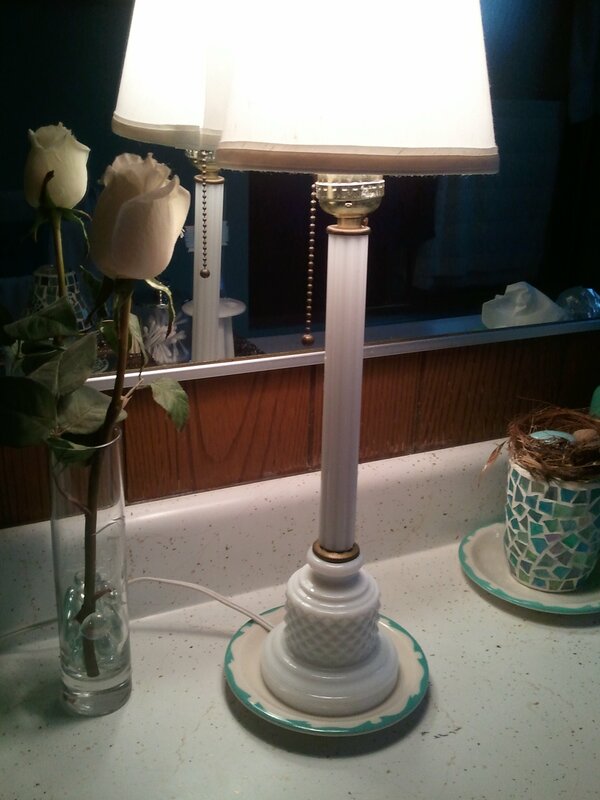 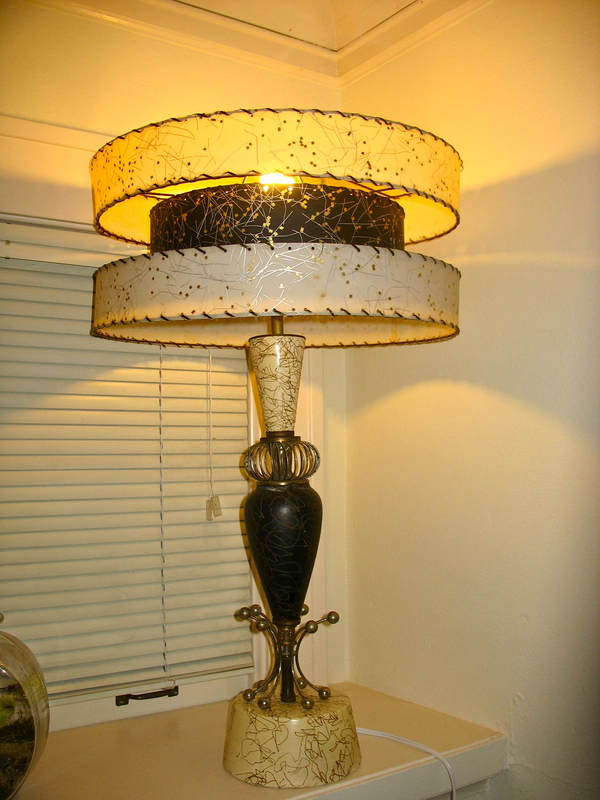 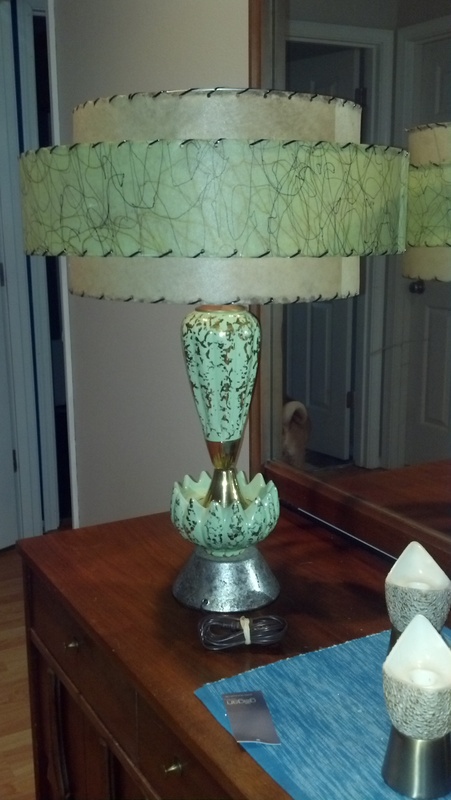 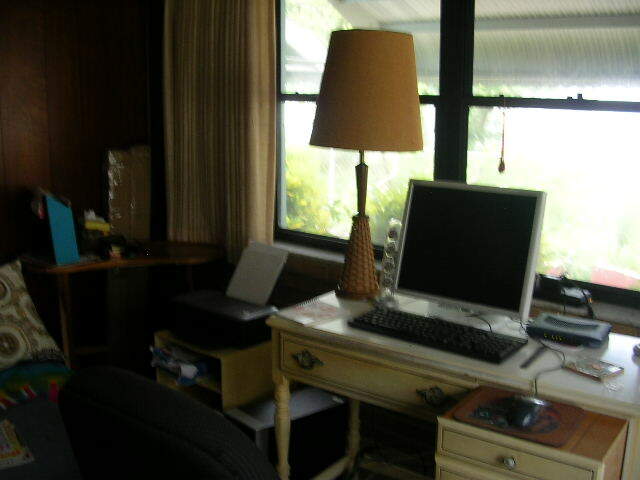 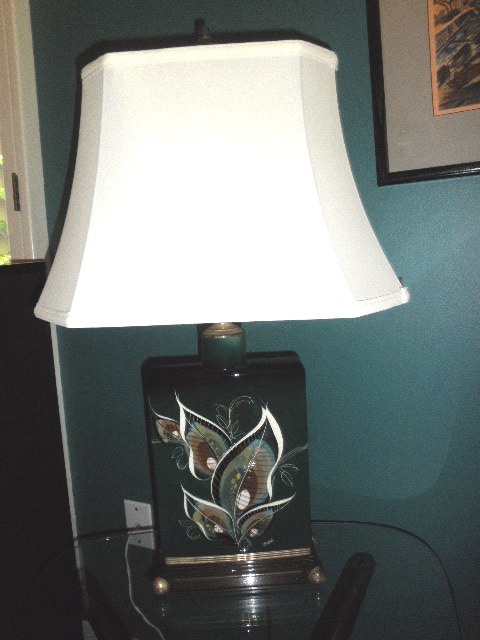 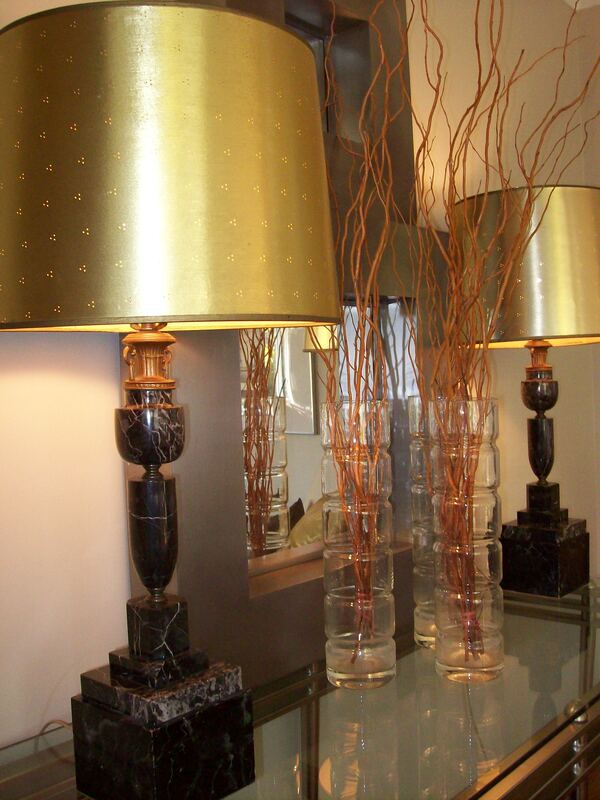 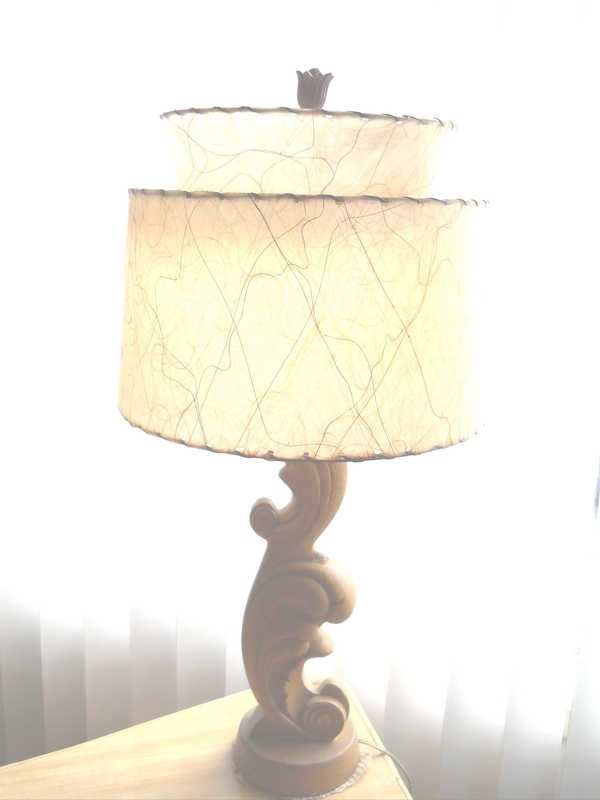 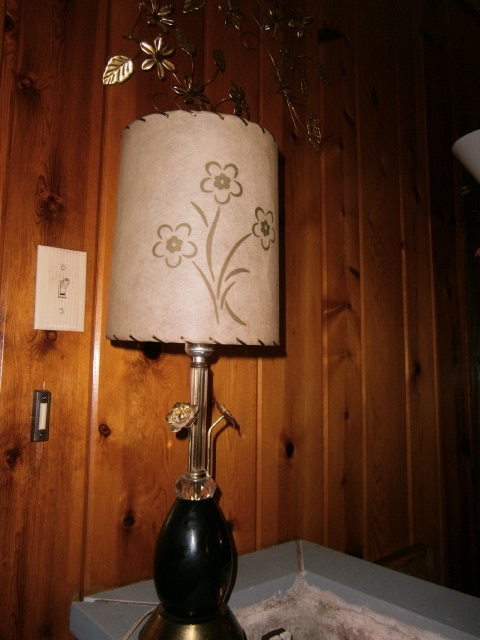 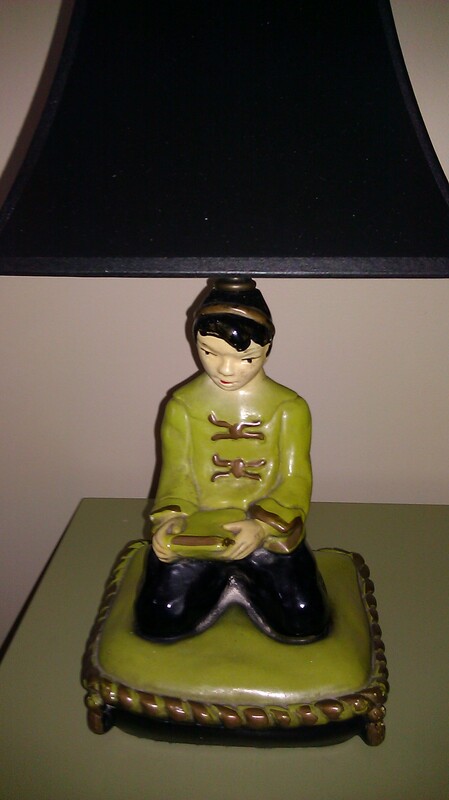 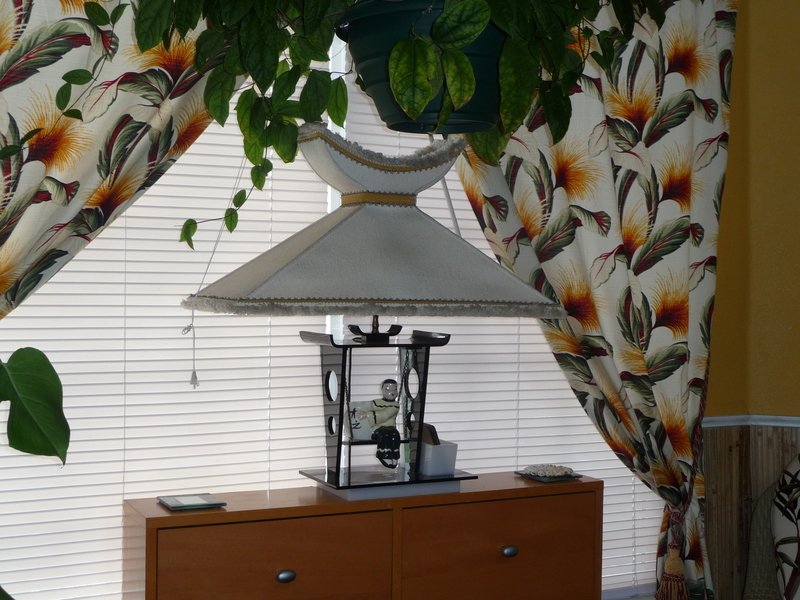 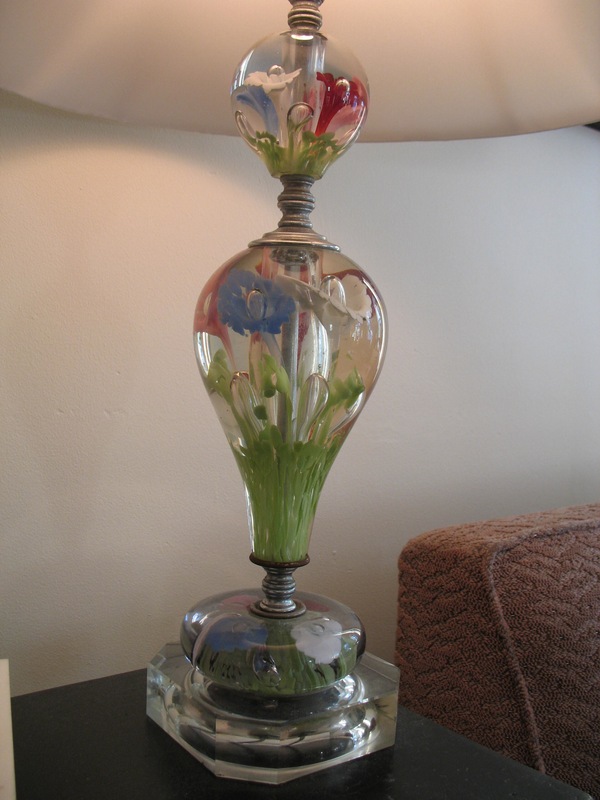 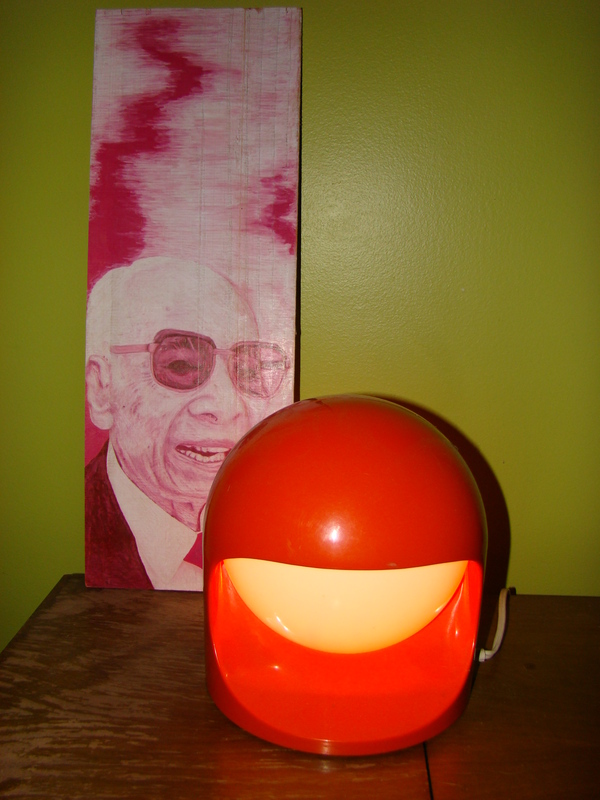 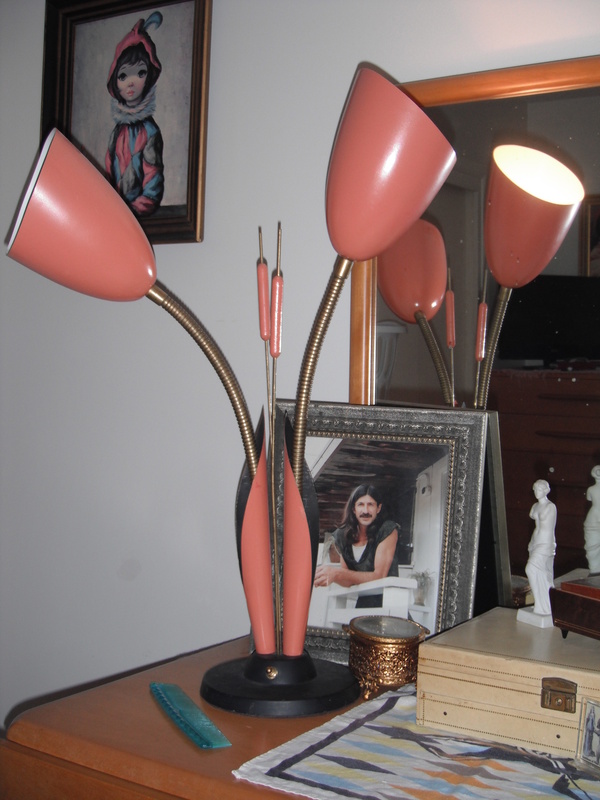 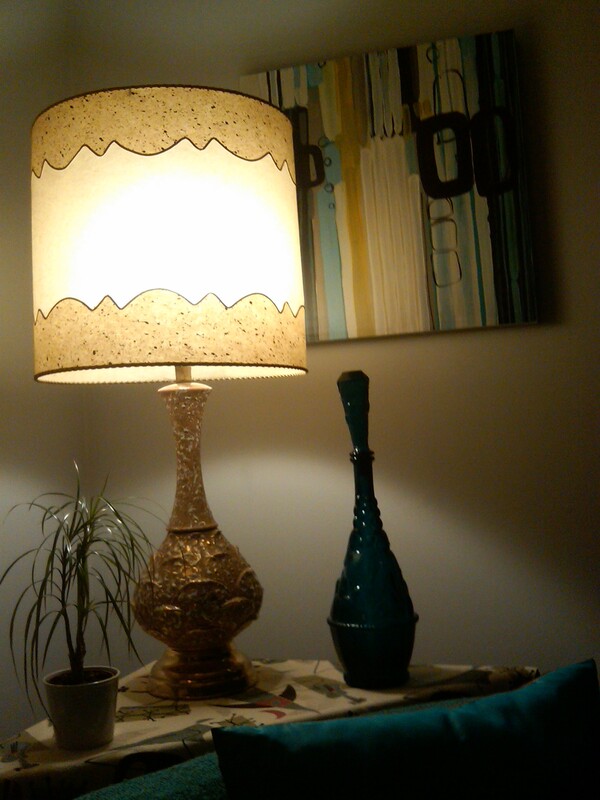 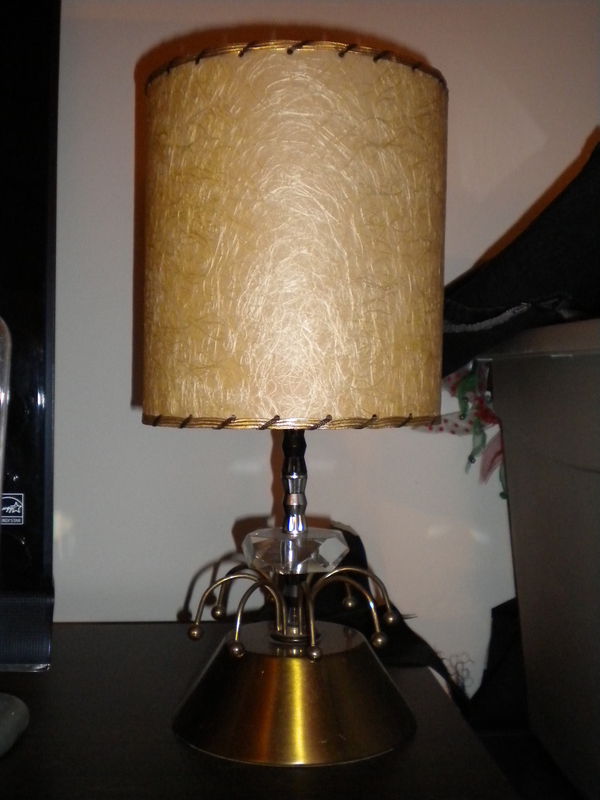 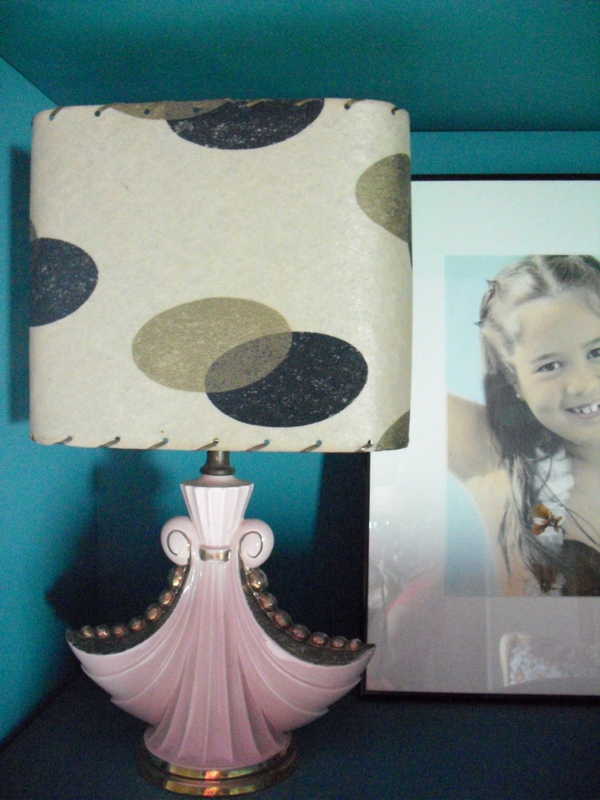 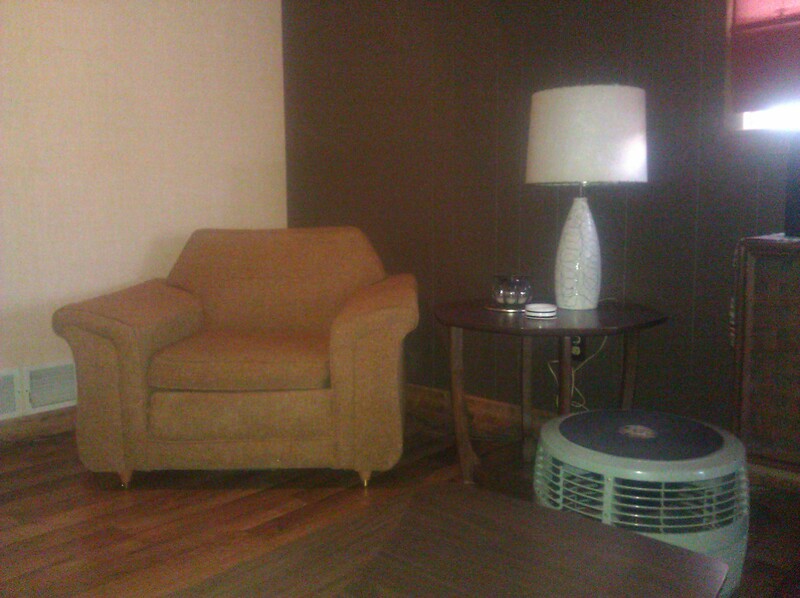 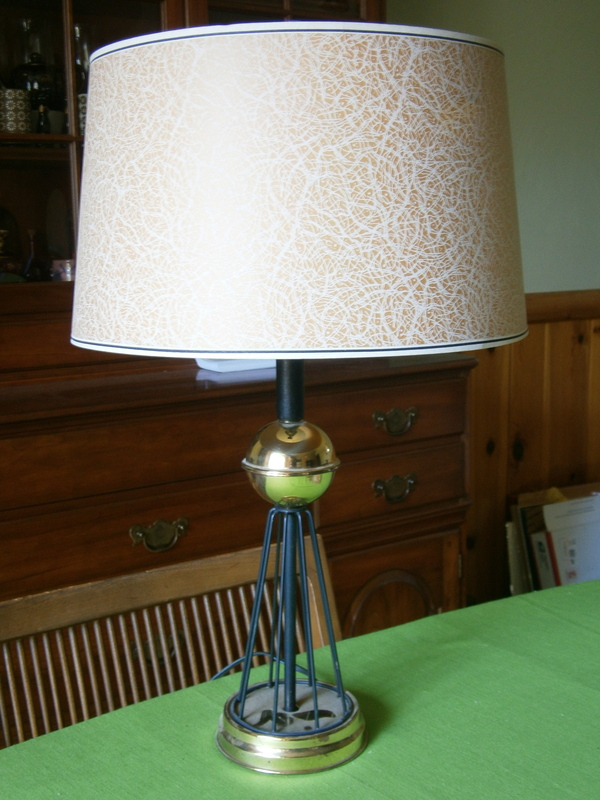 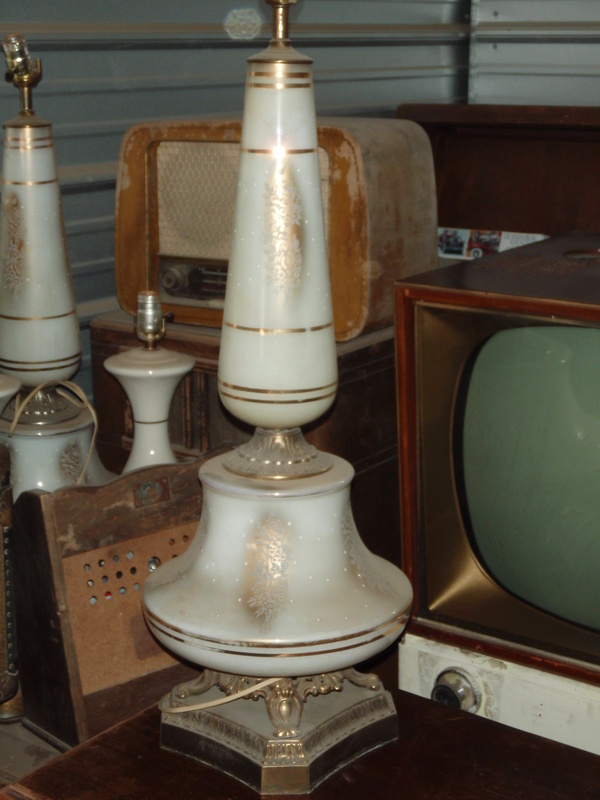 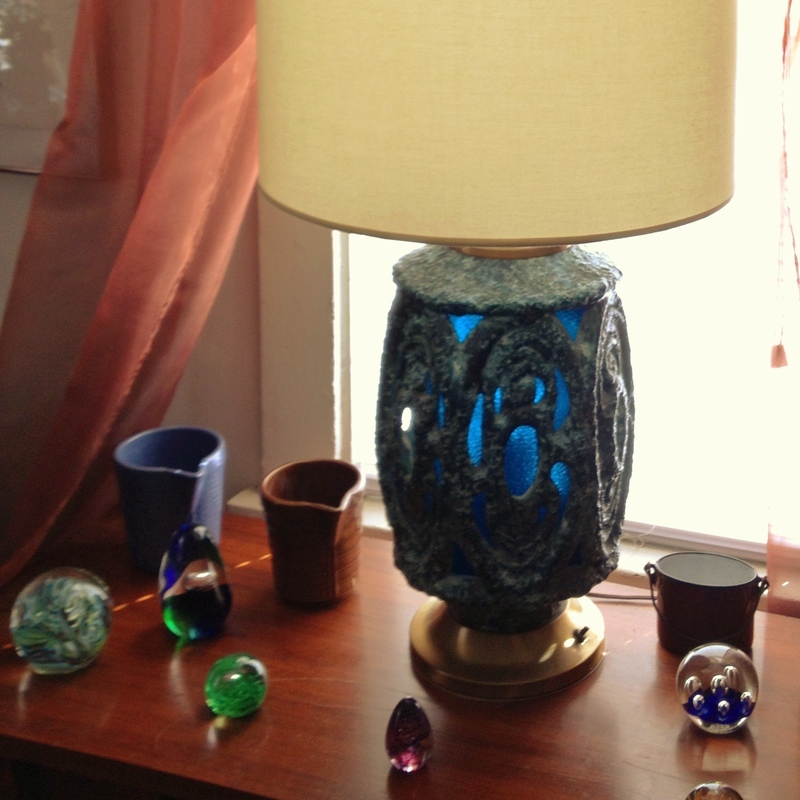 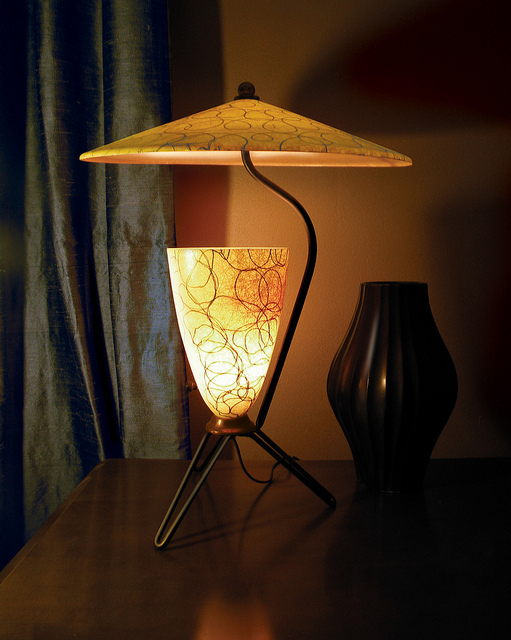 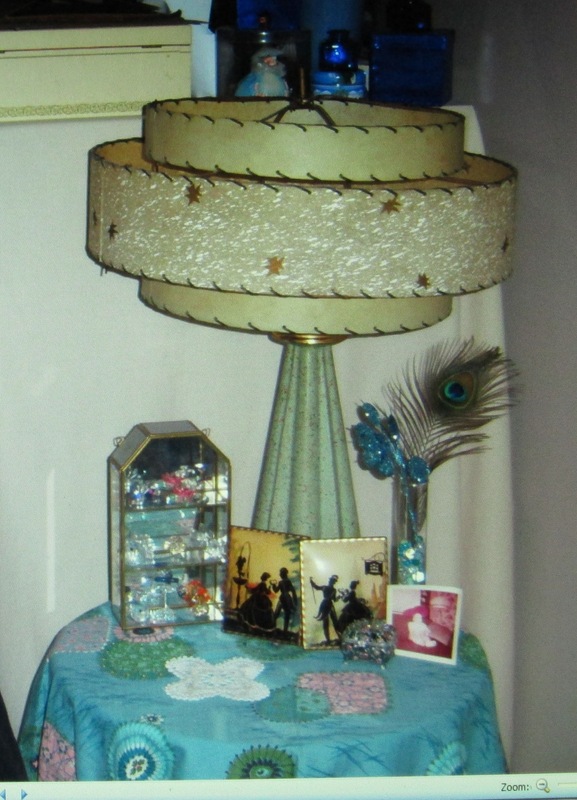 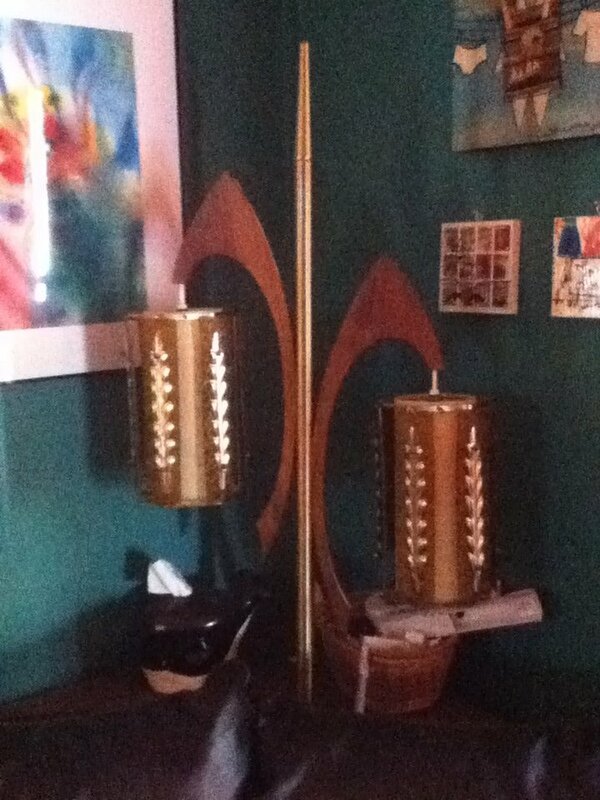 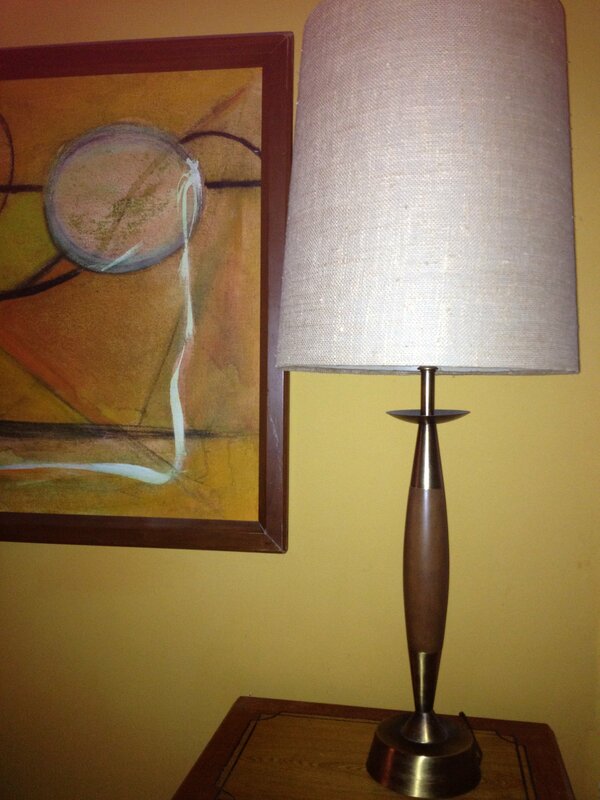 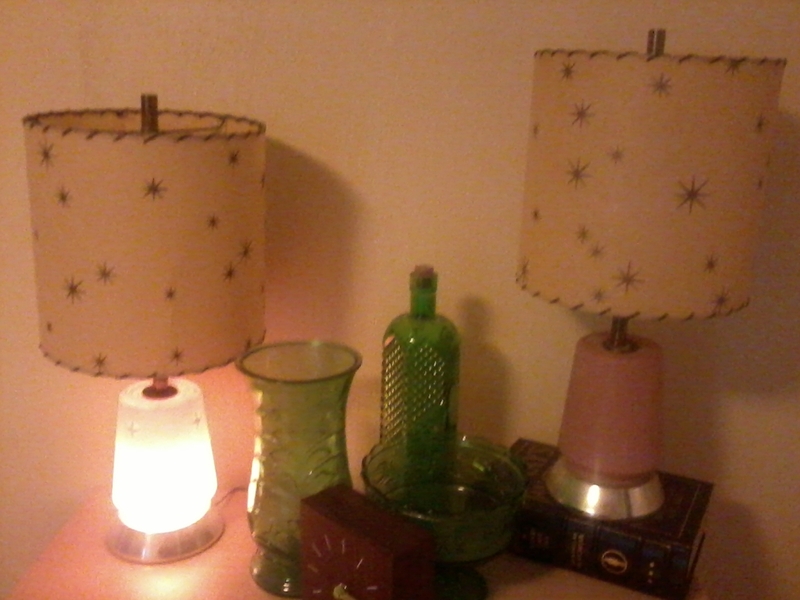 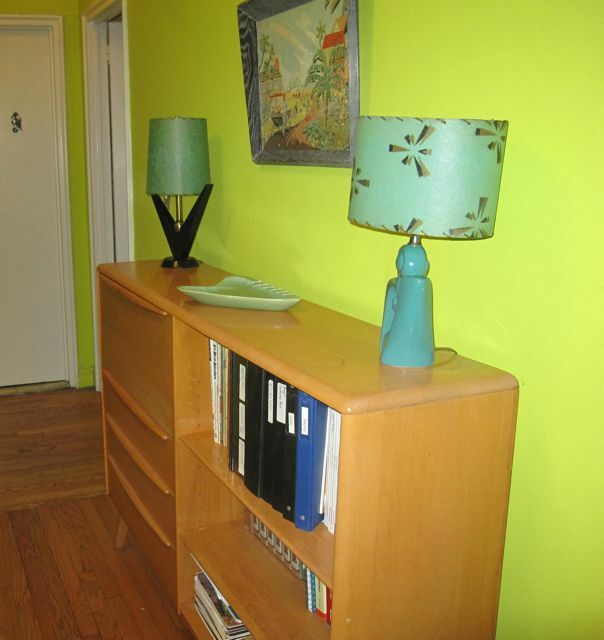 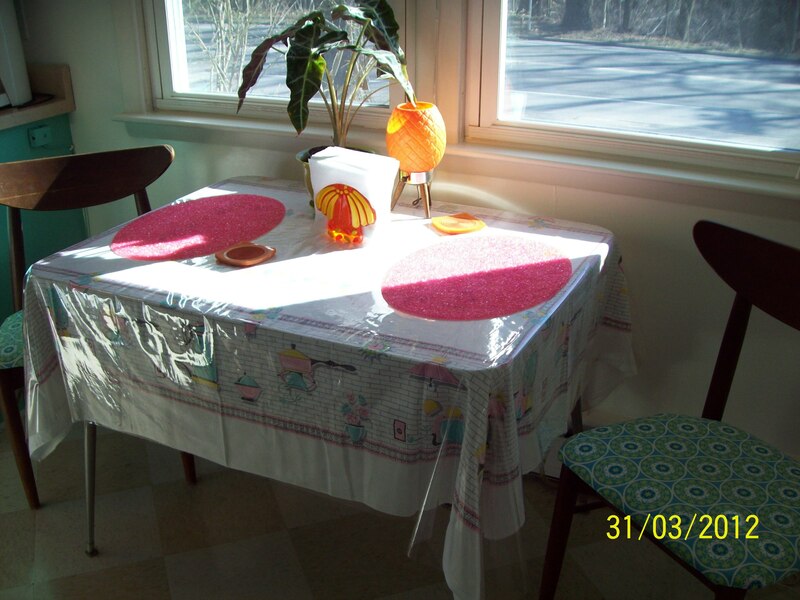 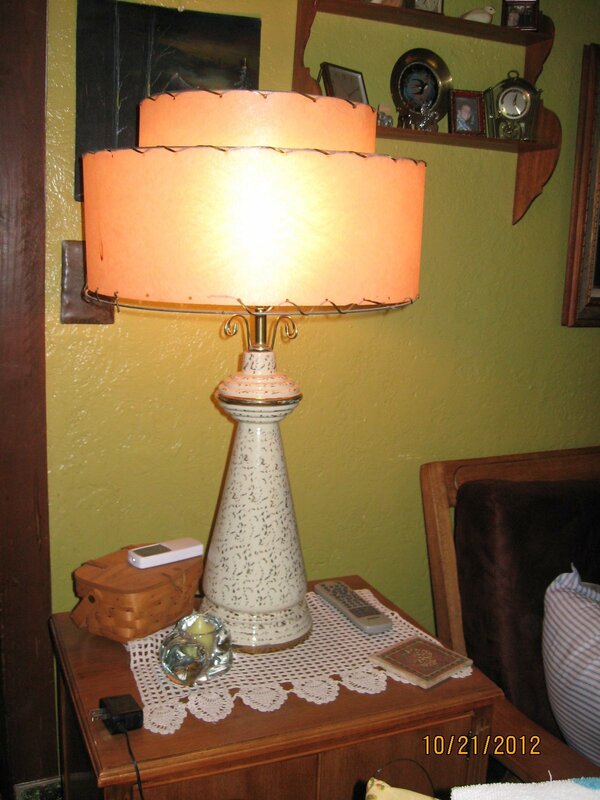 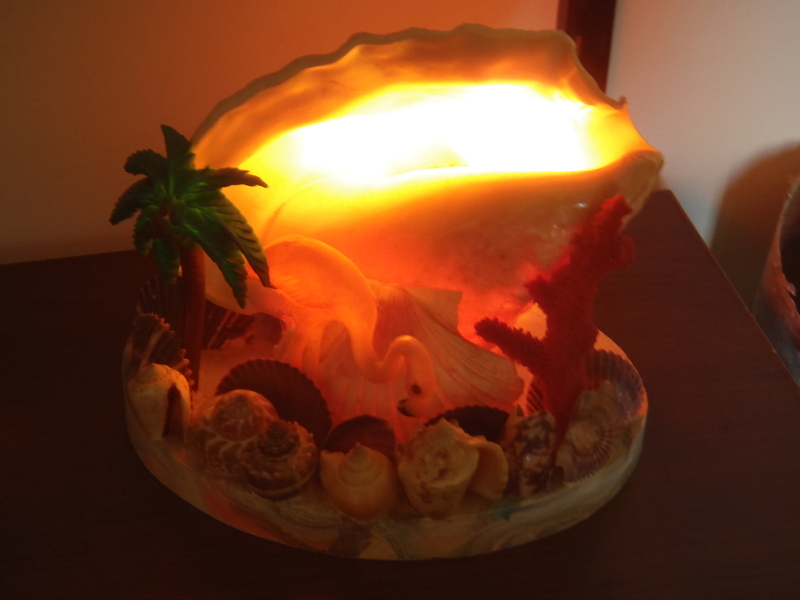 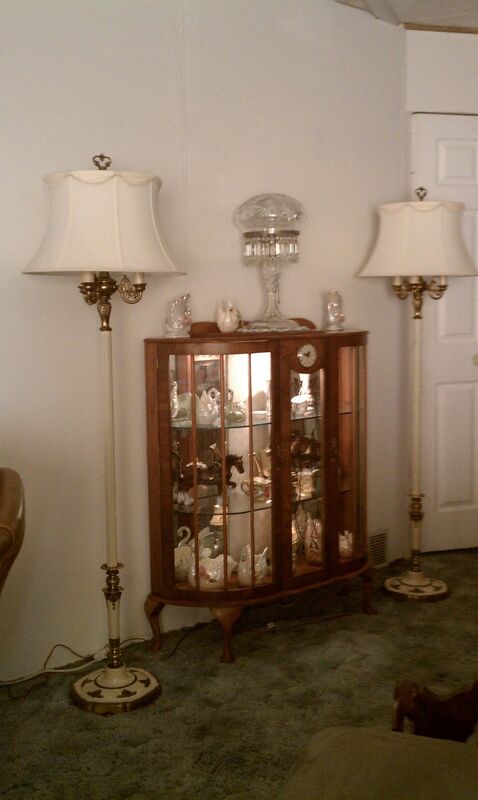 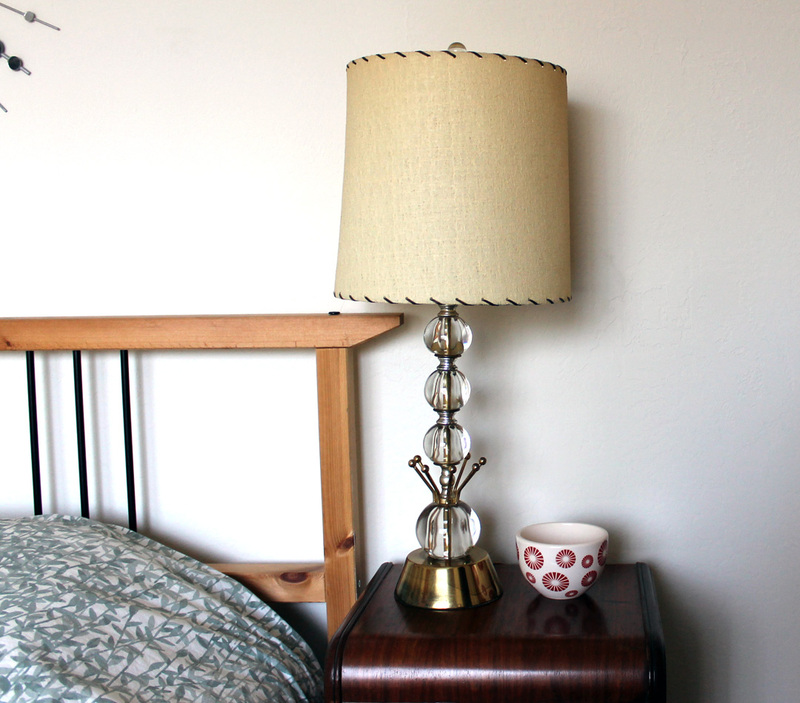 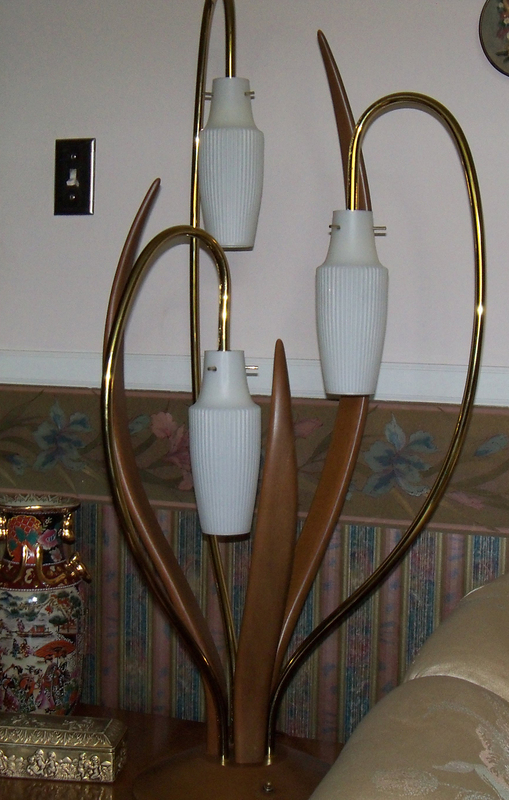 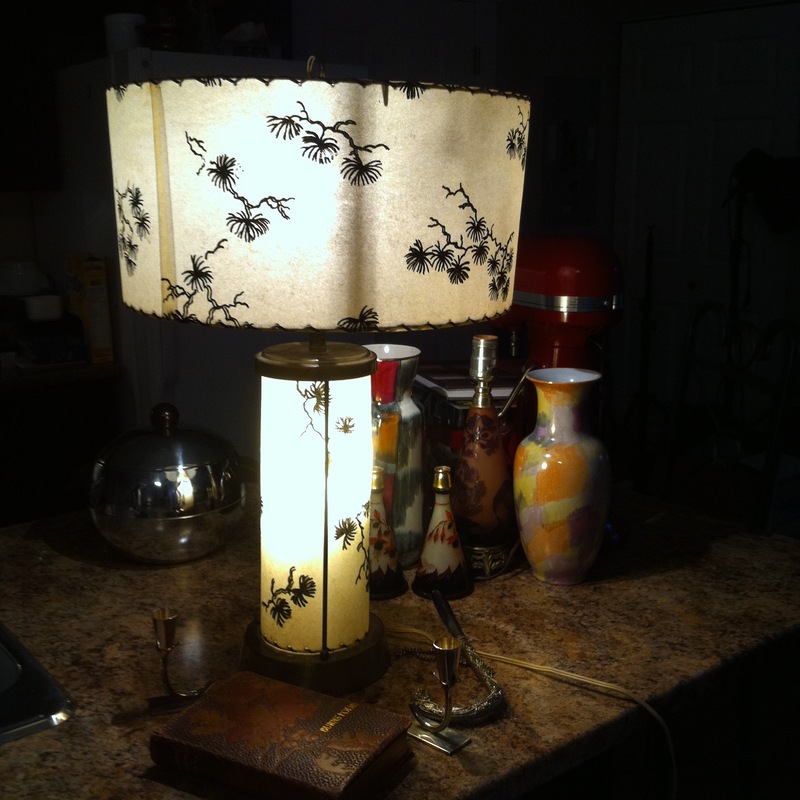 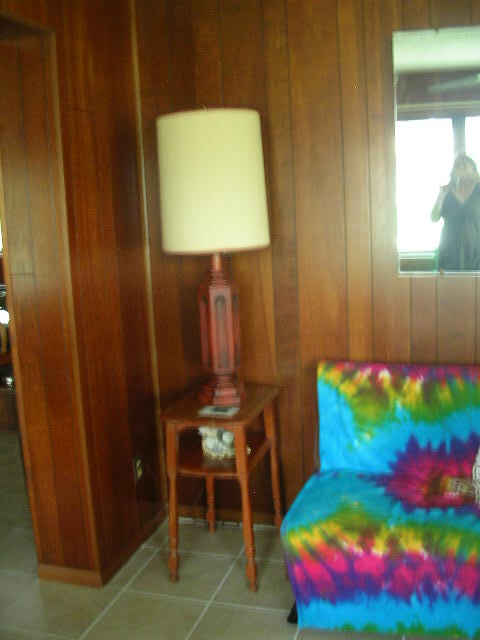 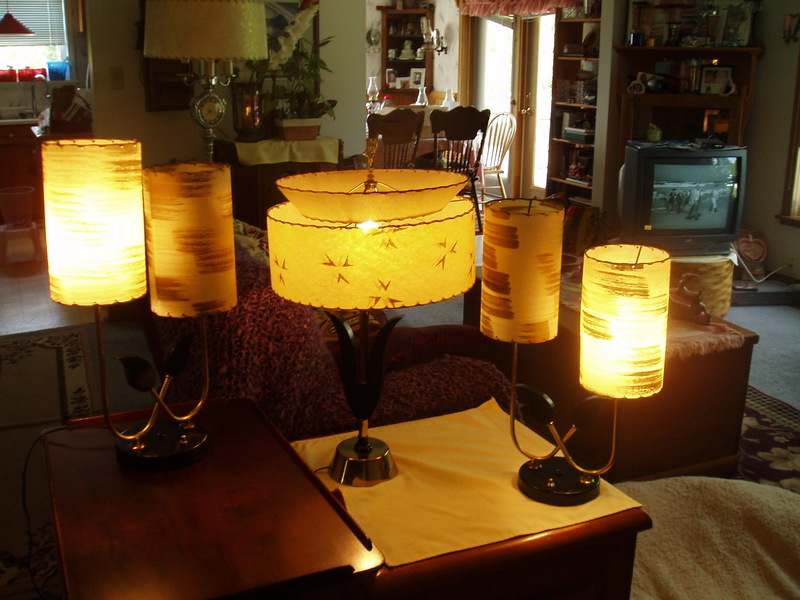 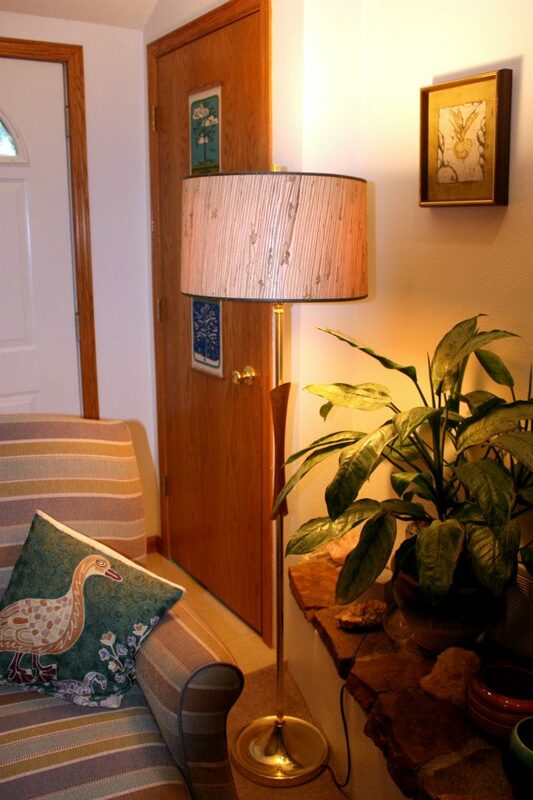 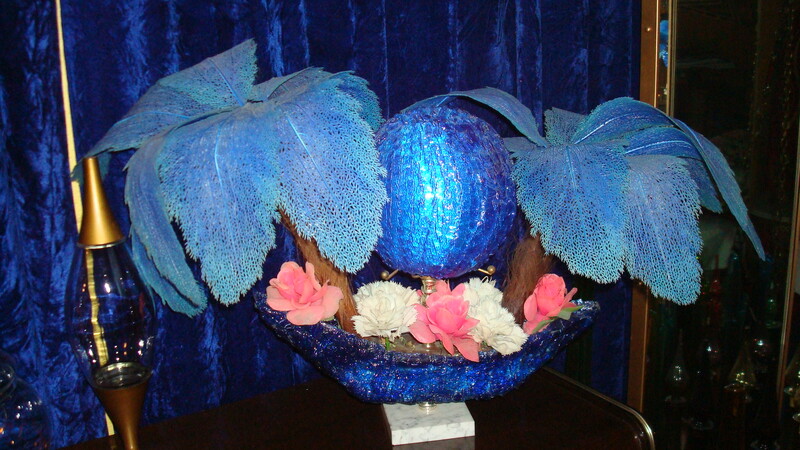 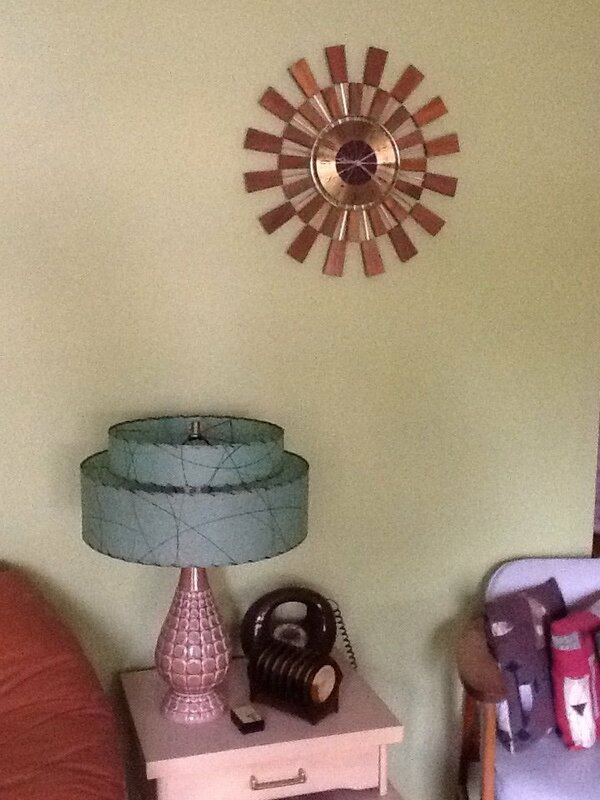 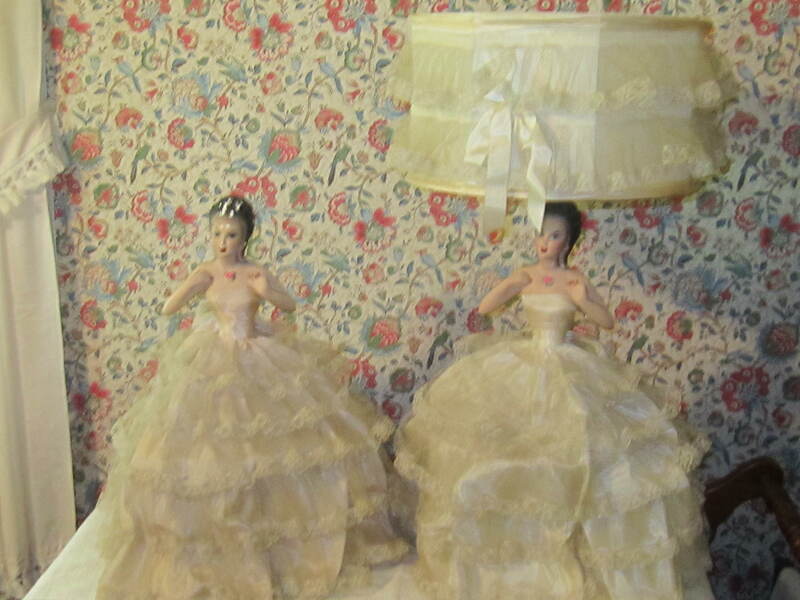 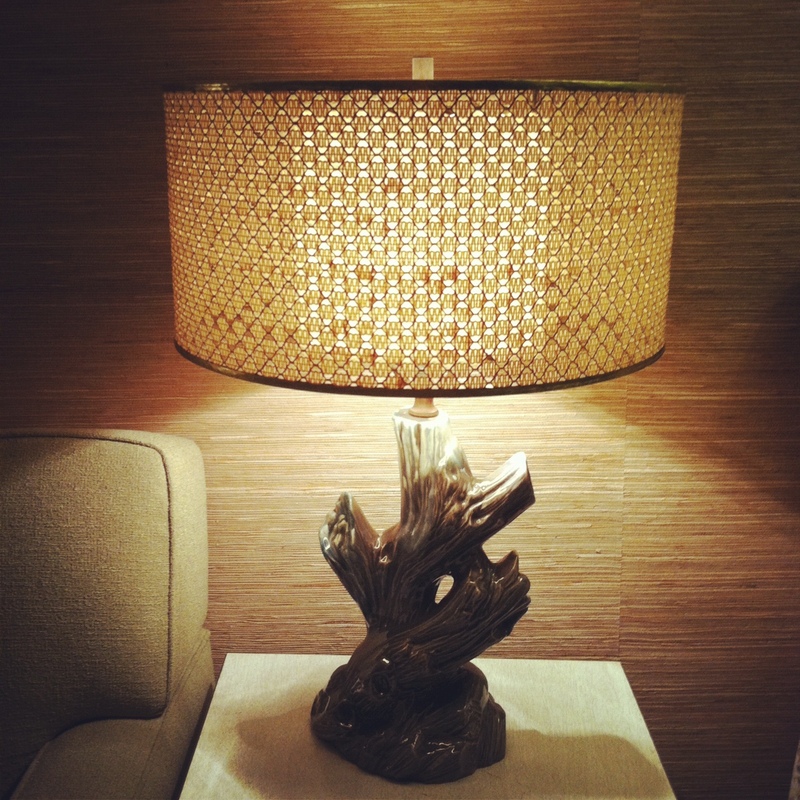 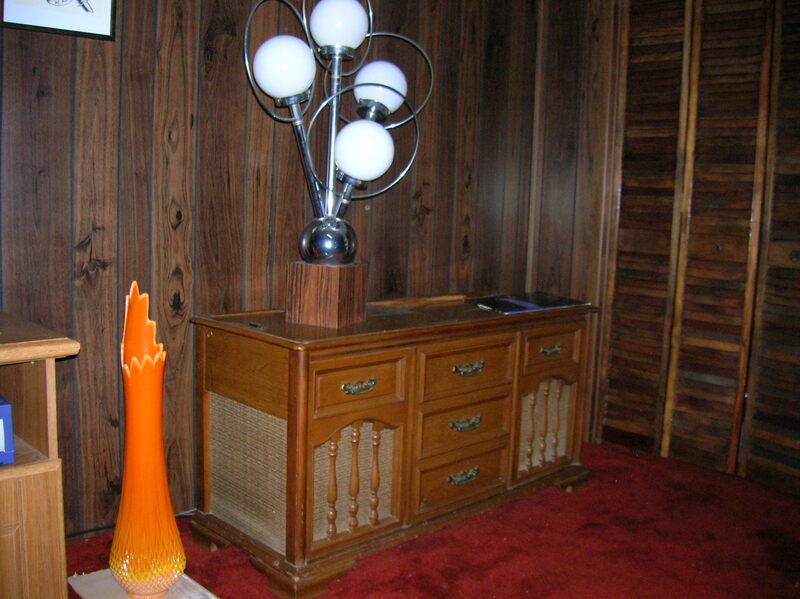 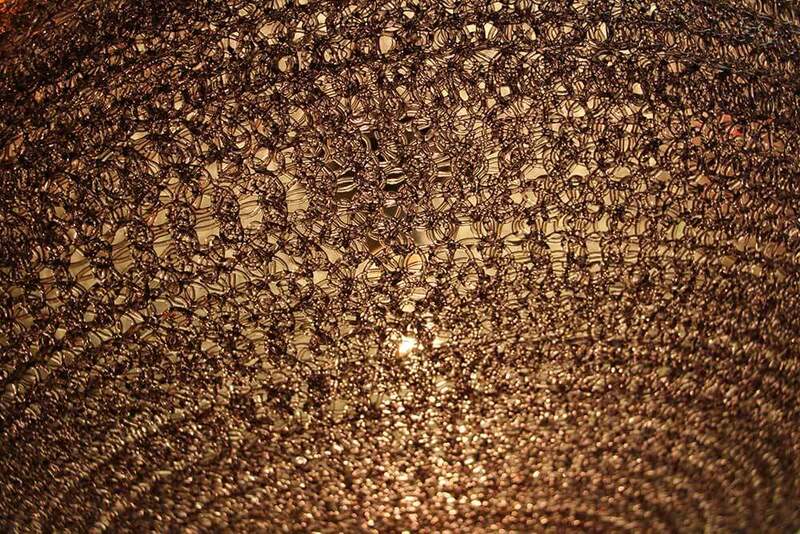 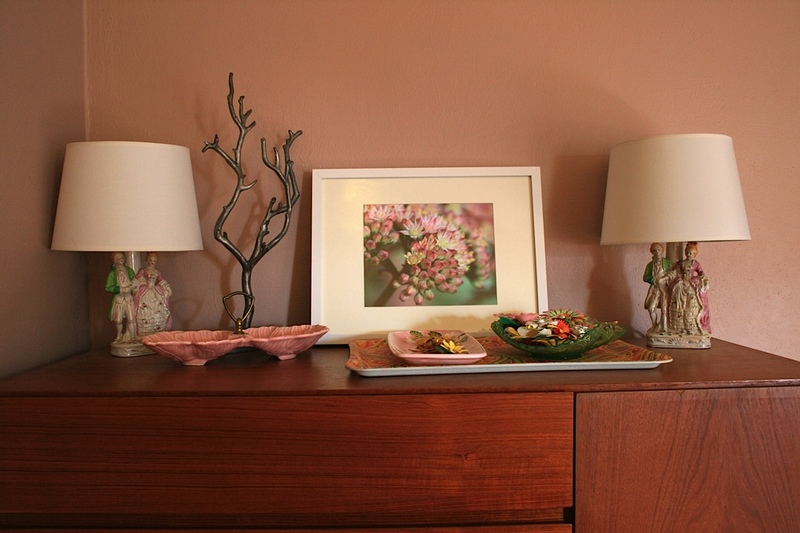 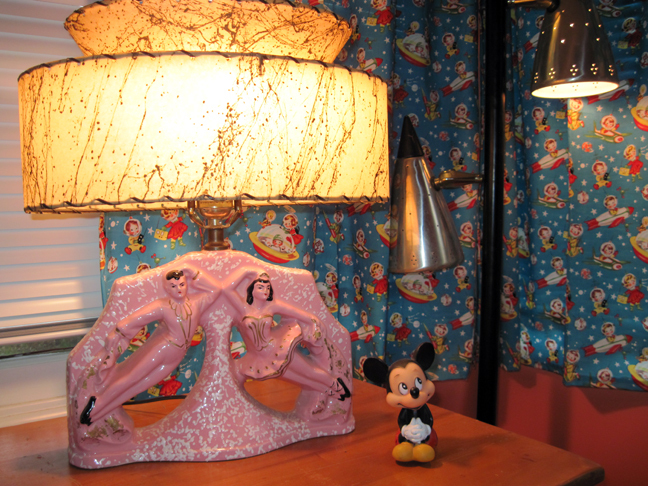 Wow – I have a lamp that is VERY similar to image 8839 (the mauve lamp with floral and gold accents). 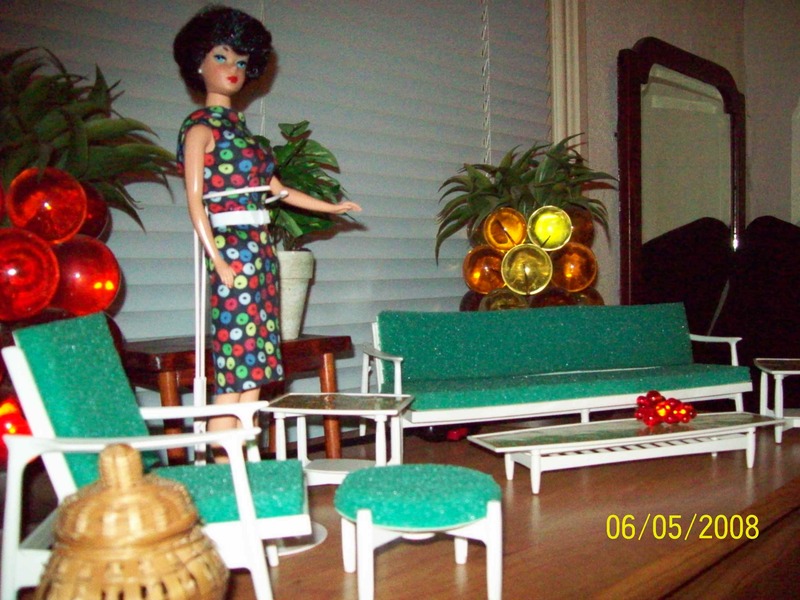 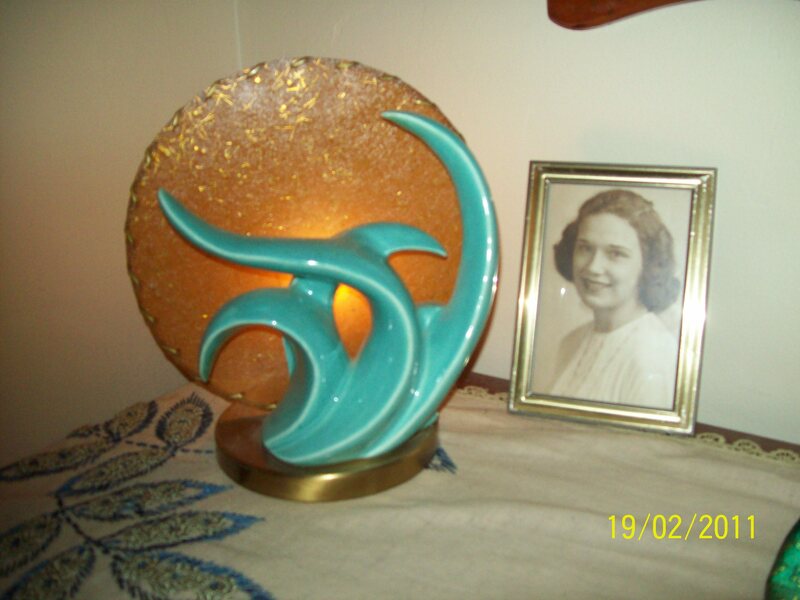 I purchased mine at a consignment shop in NJ in 2006. 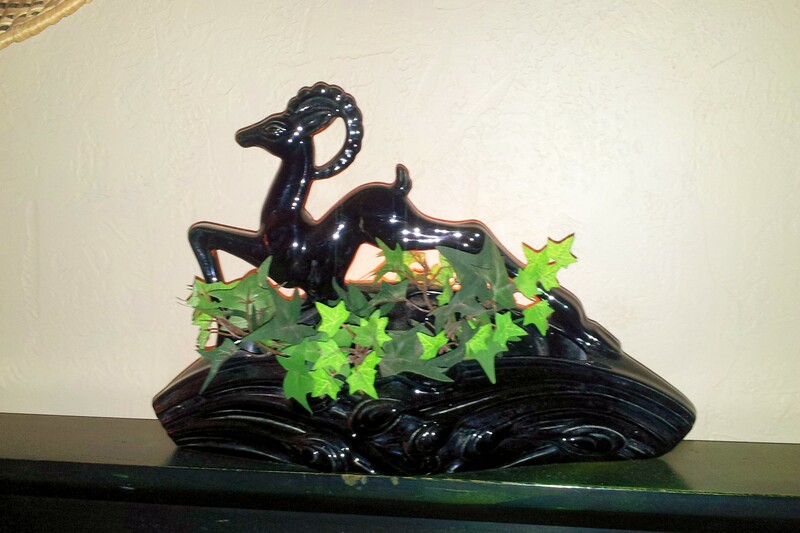 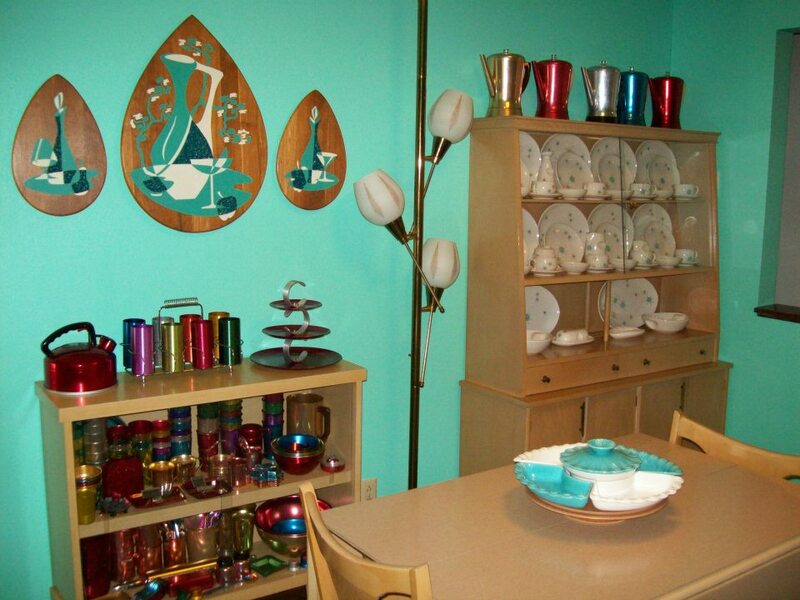 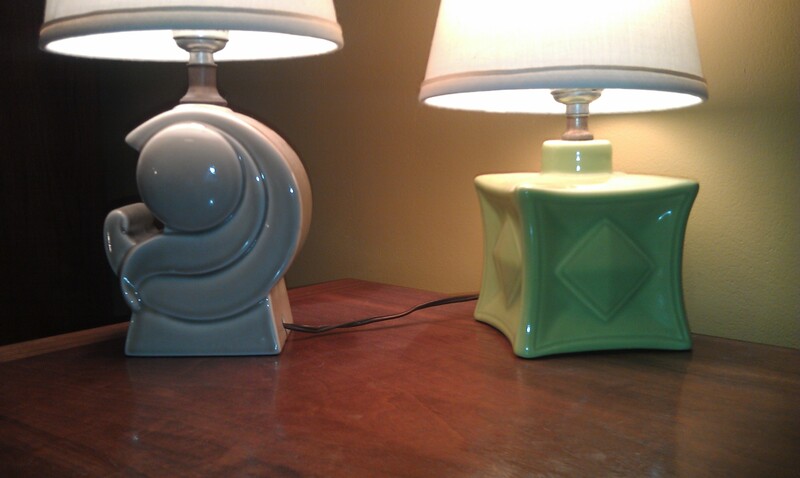 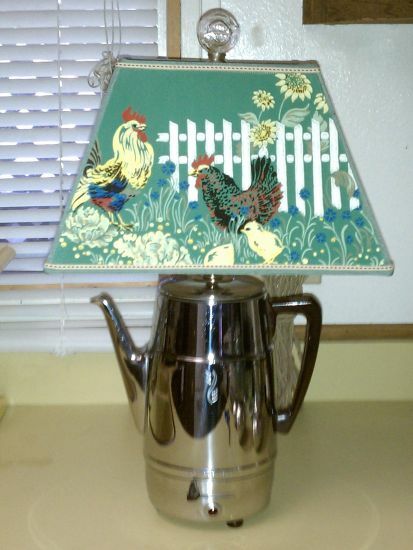 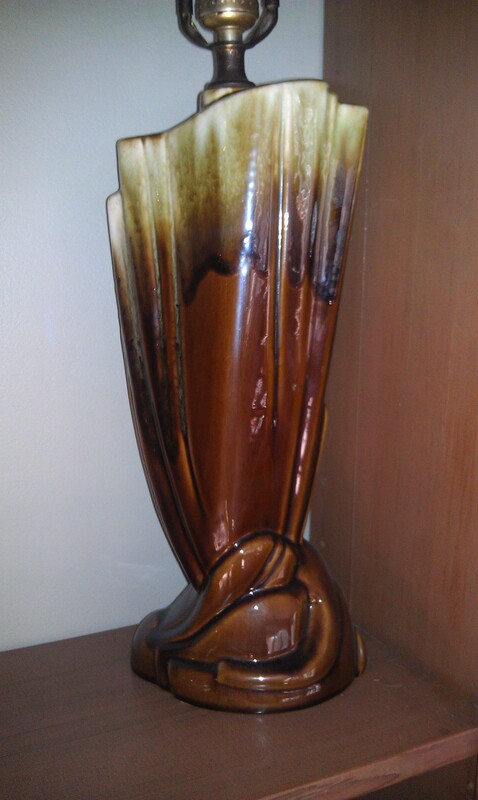 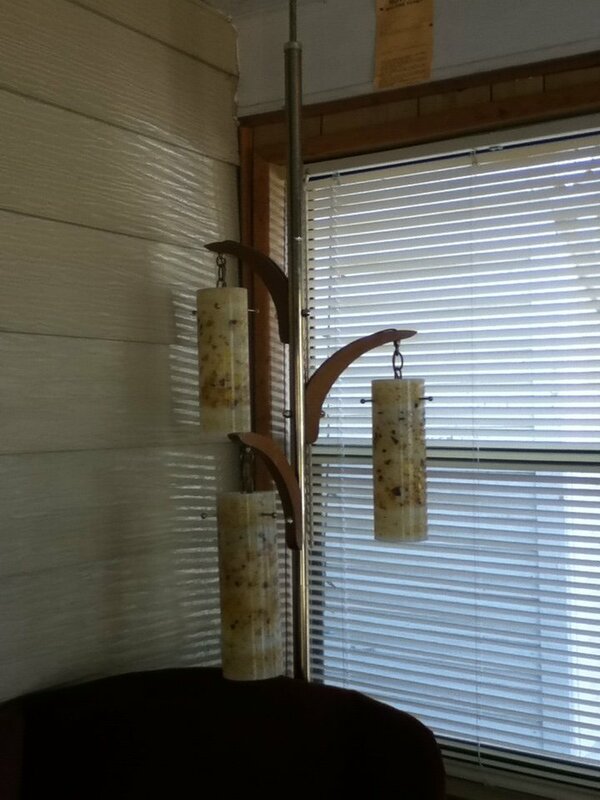 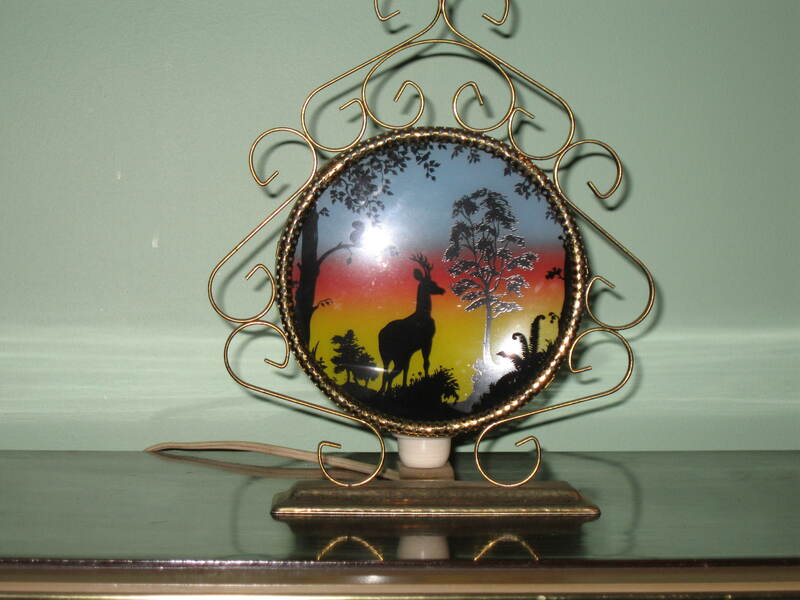 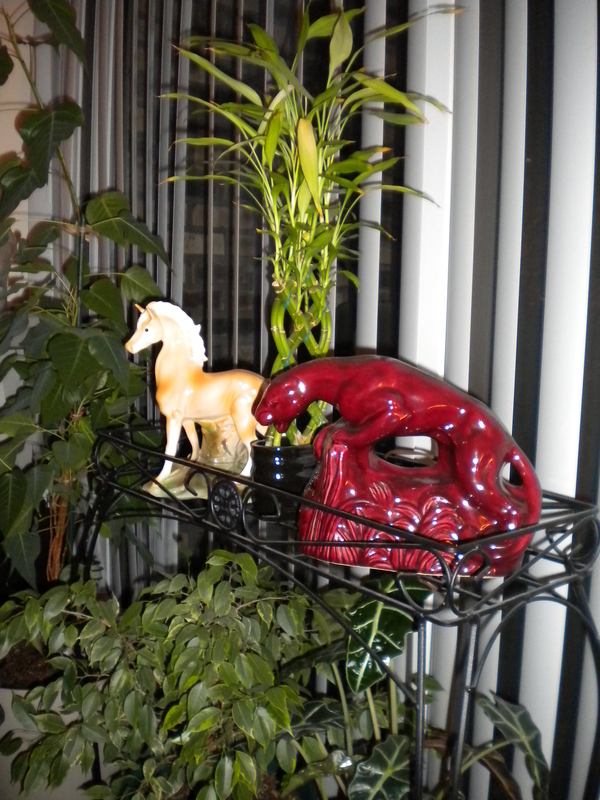 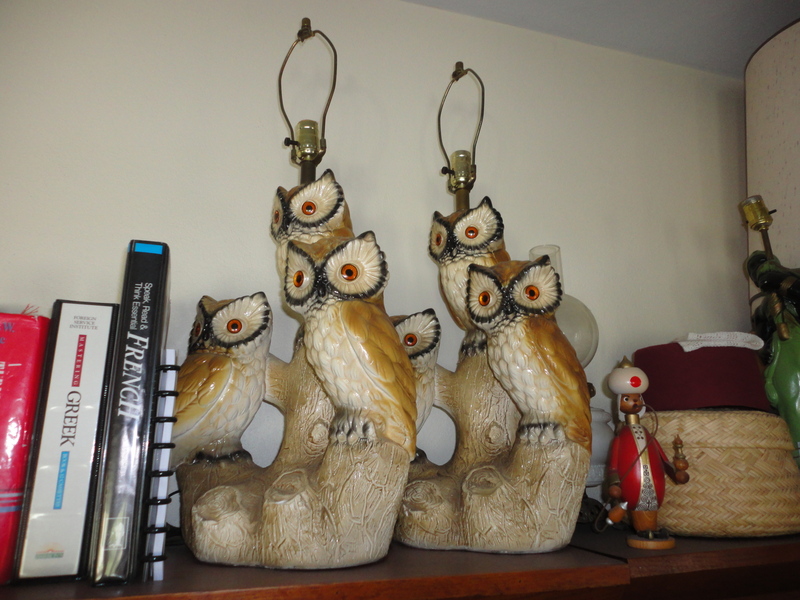 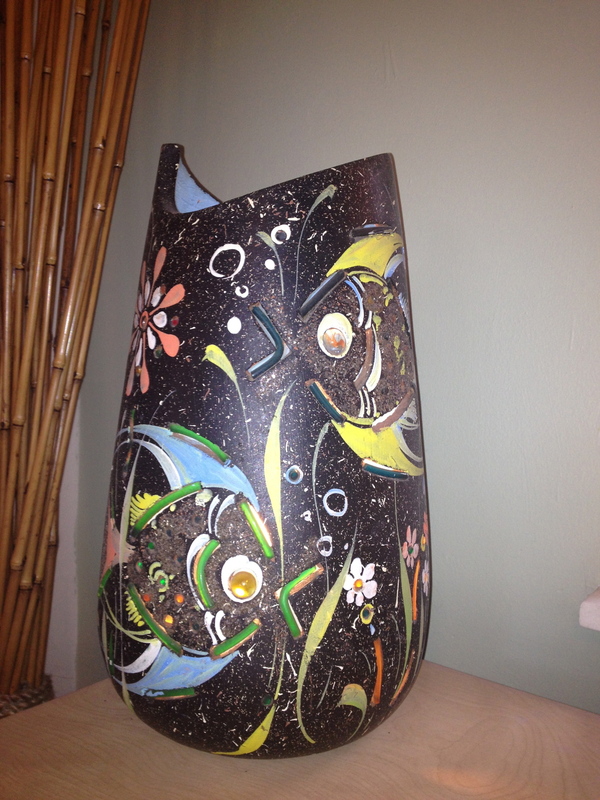 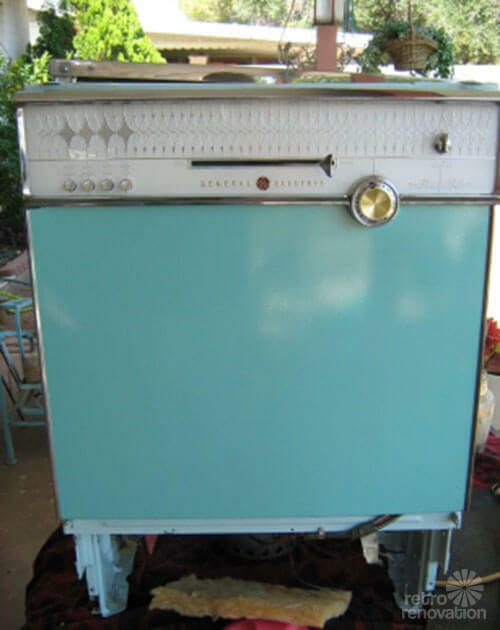 Mine does not have the handles on the sides and has a longer “neck,” but the floral decal in the center is identical. 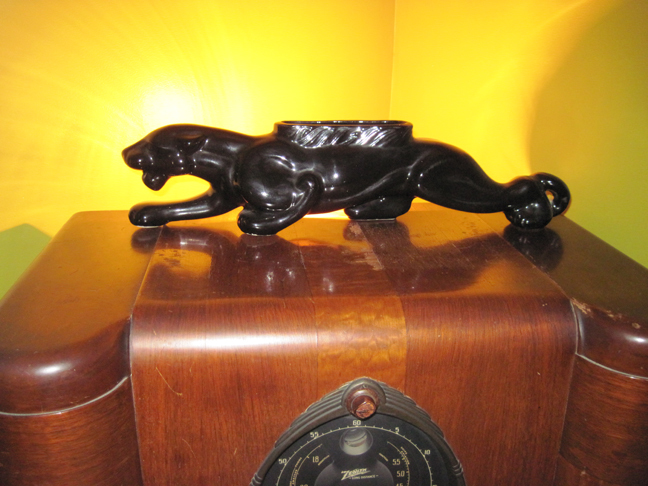 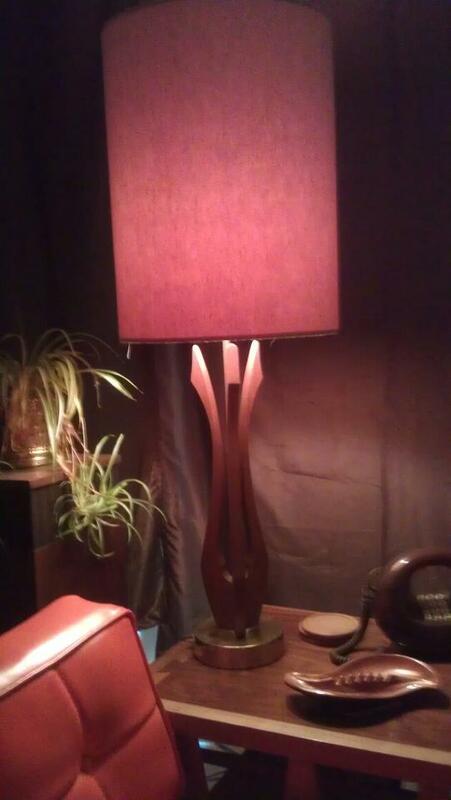 My guess is that it’s from the mid to late 1940s. 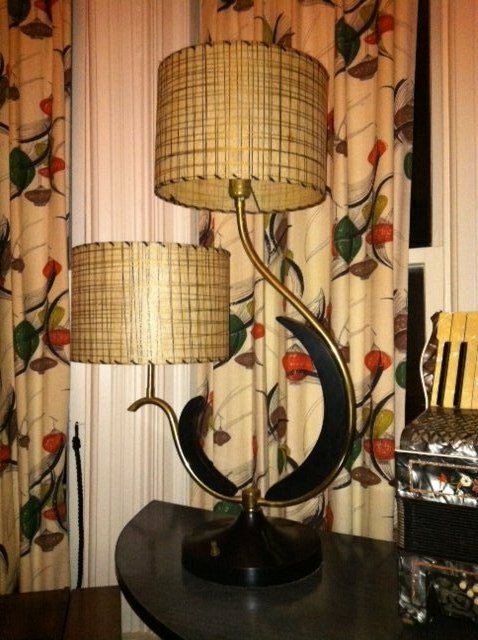 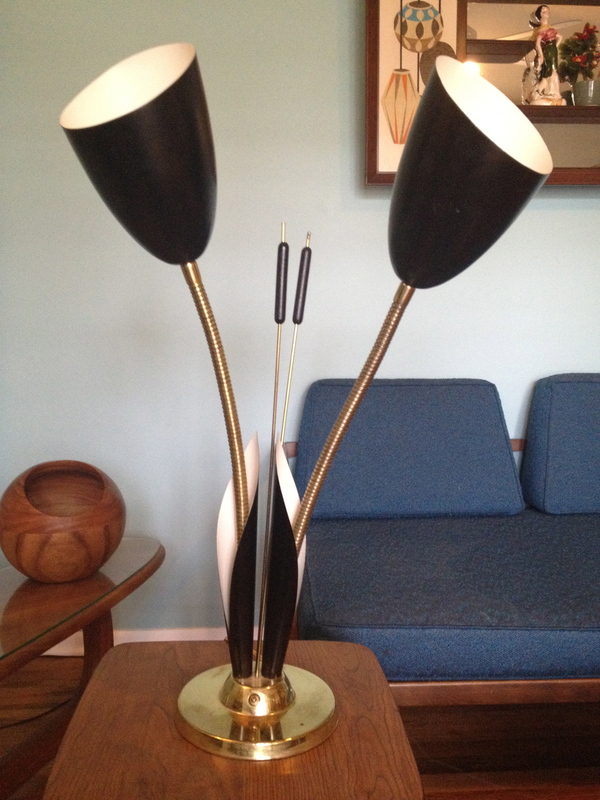 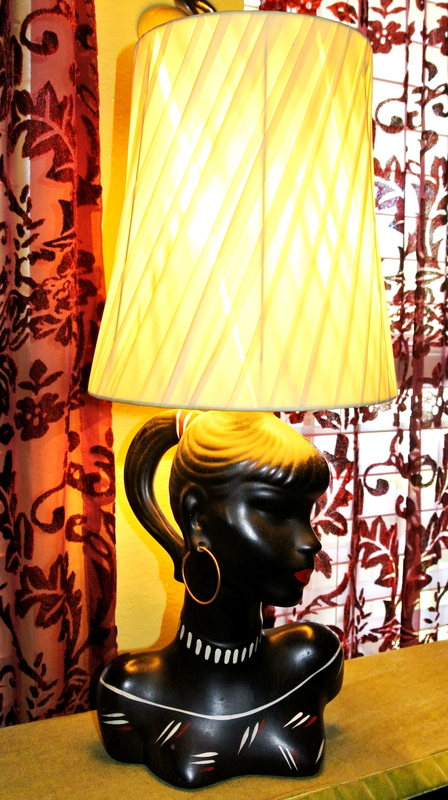 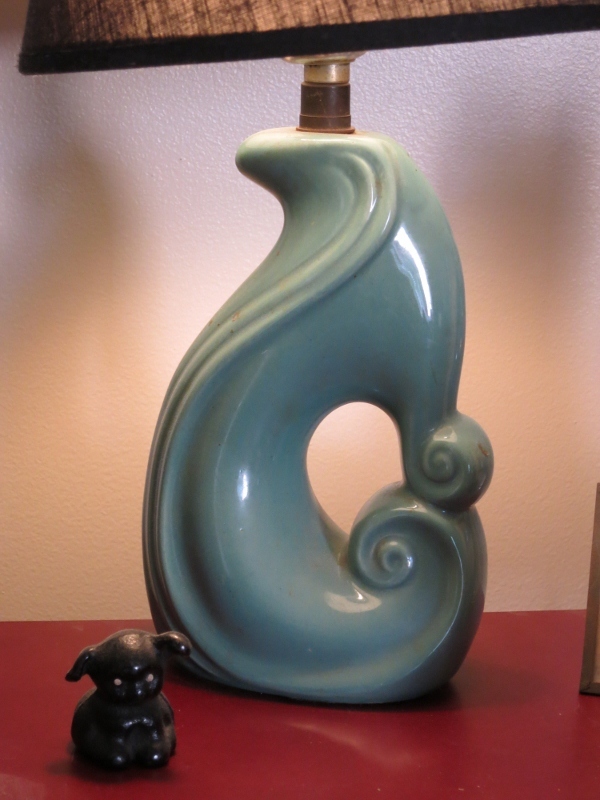 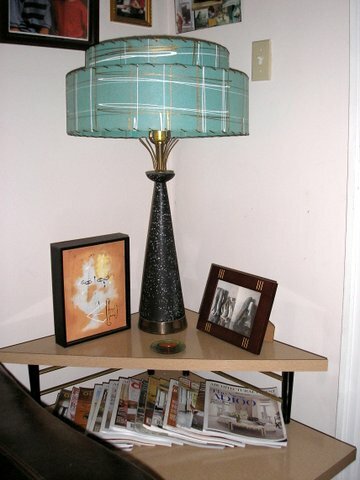 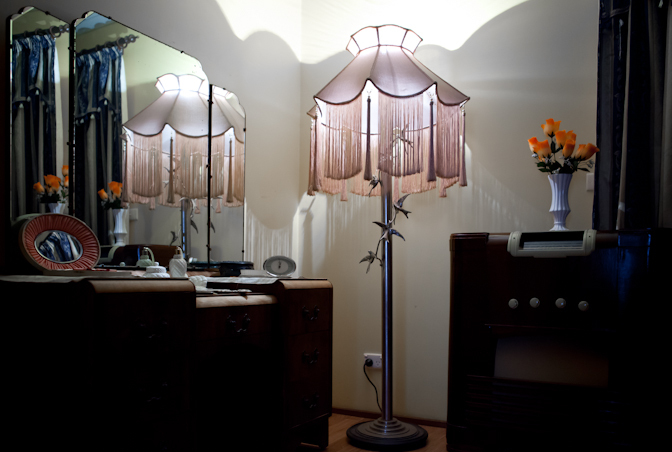 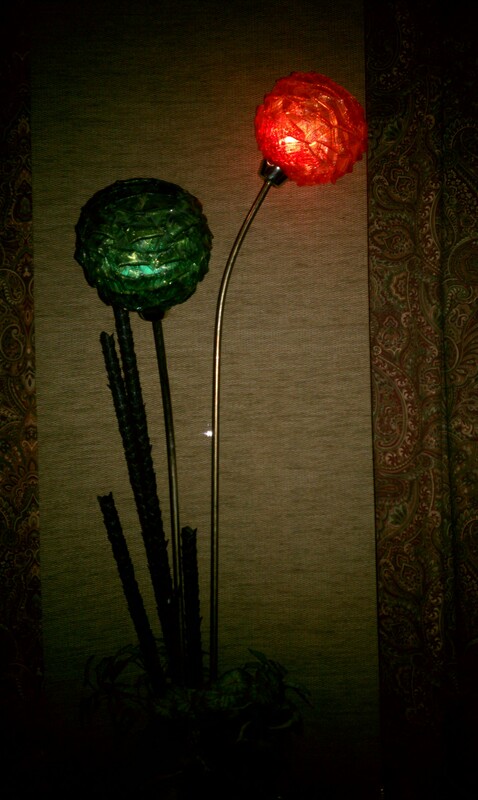 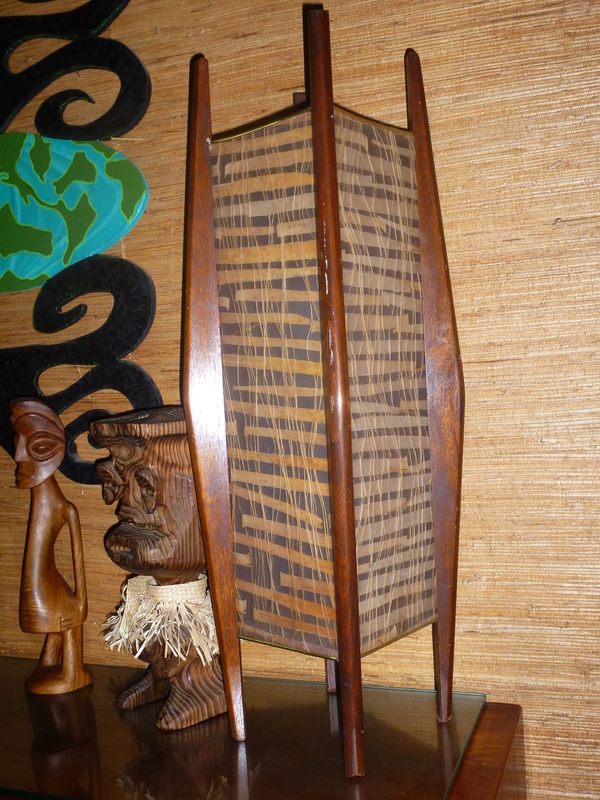 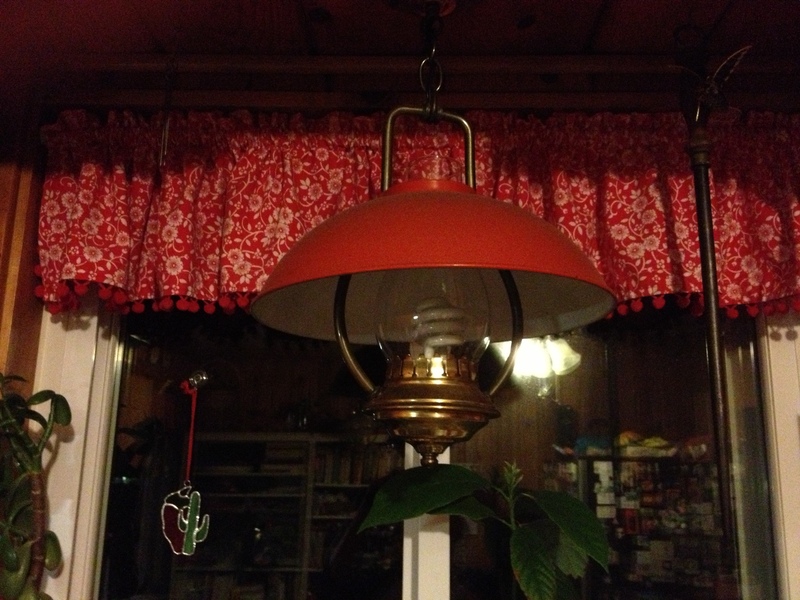 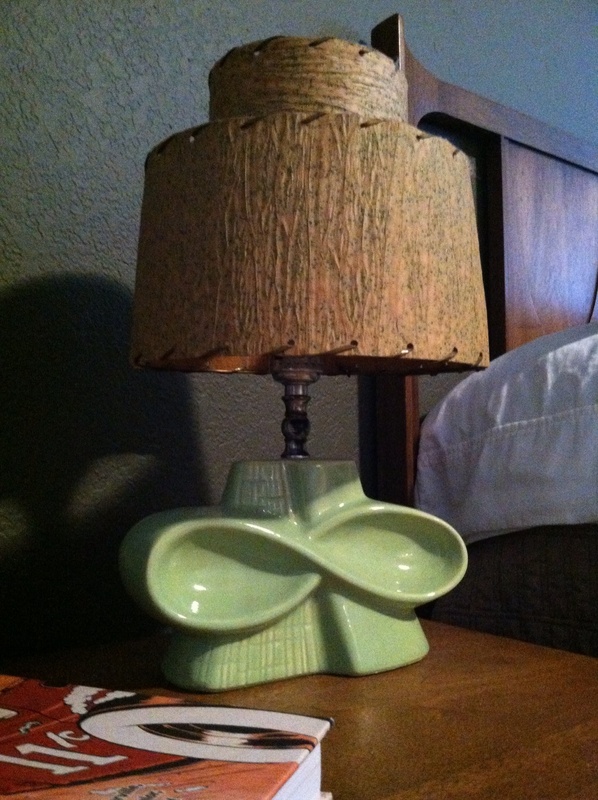 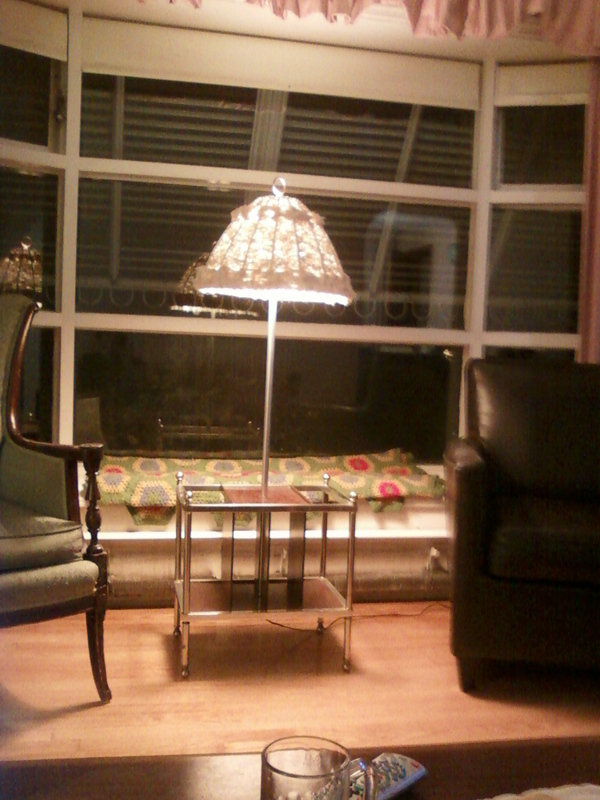 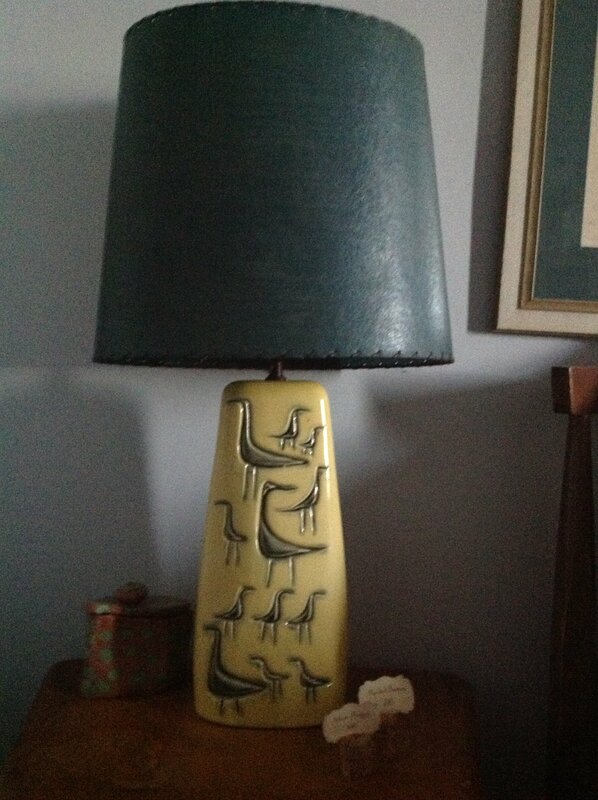 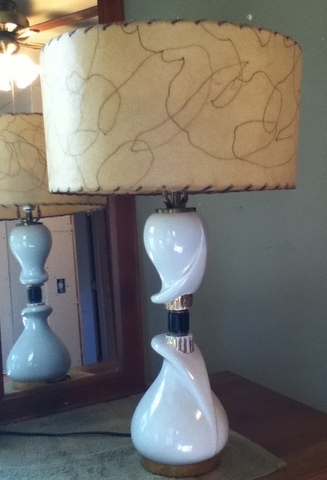 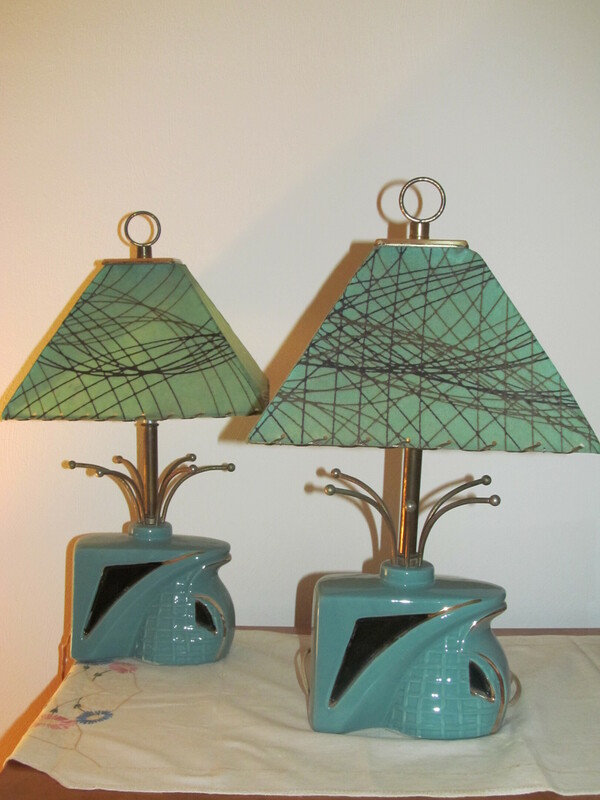 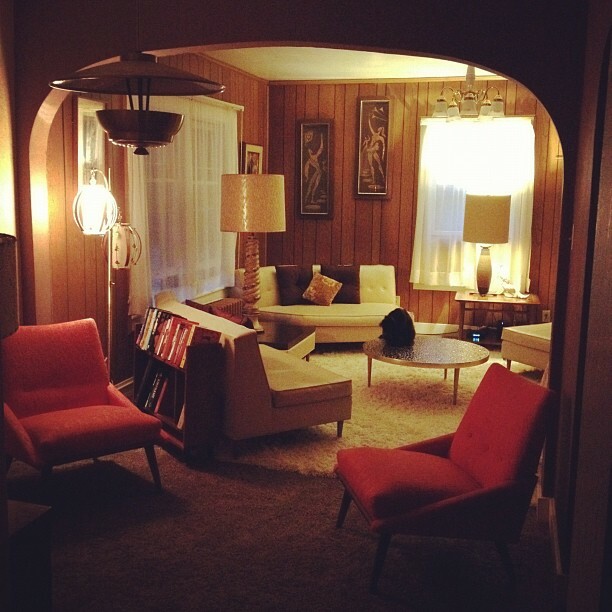 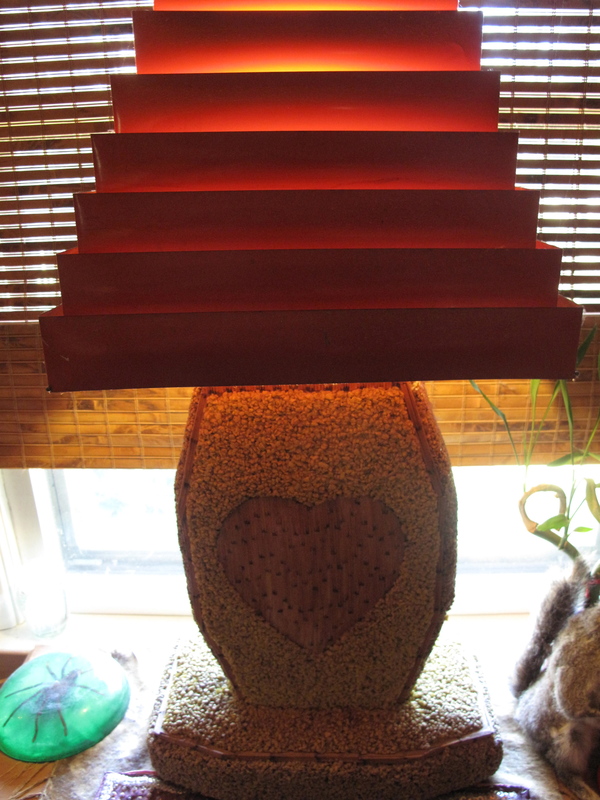 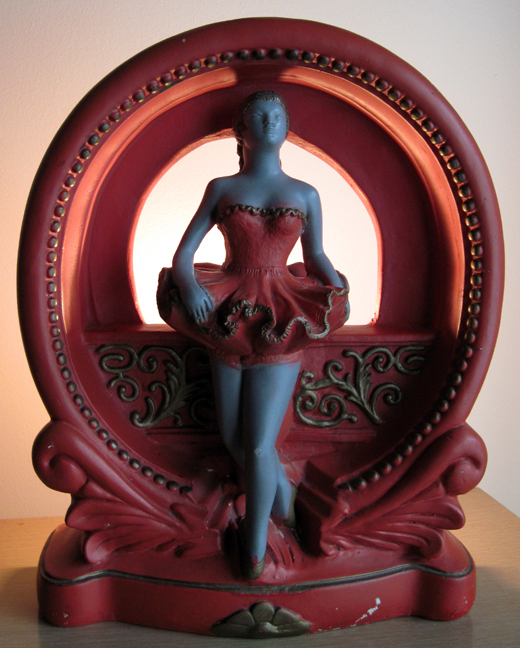 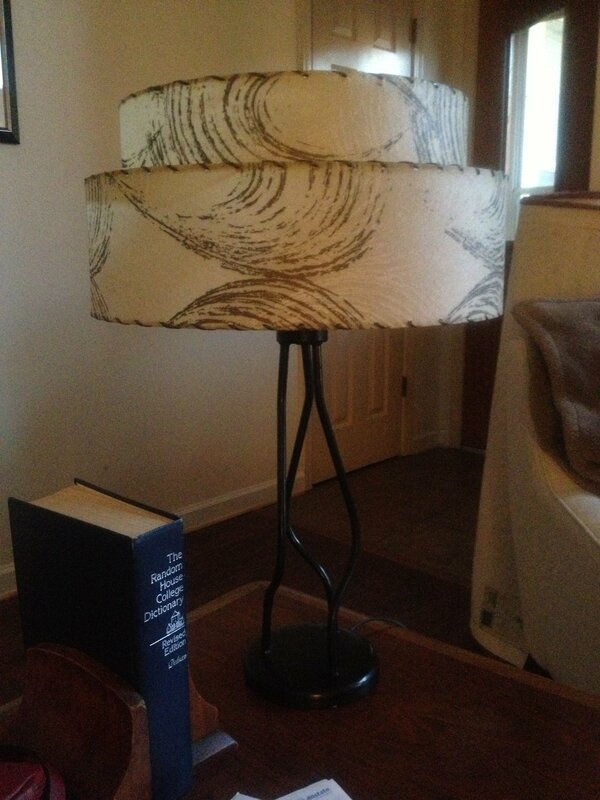 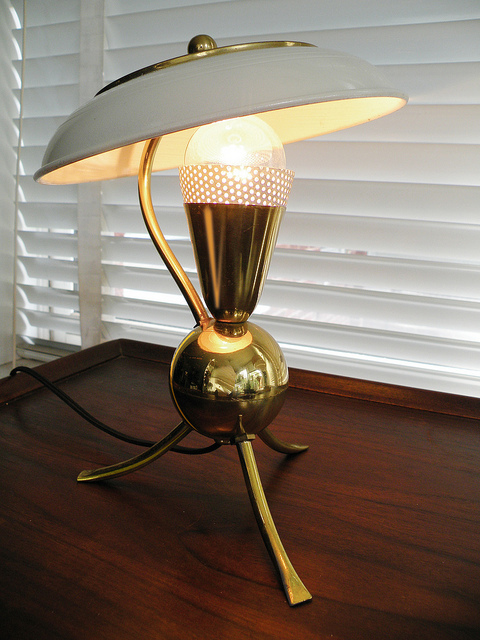 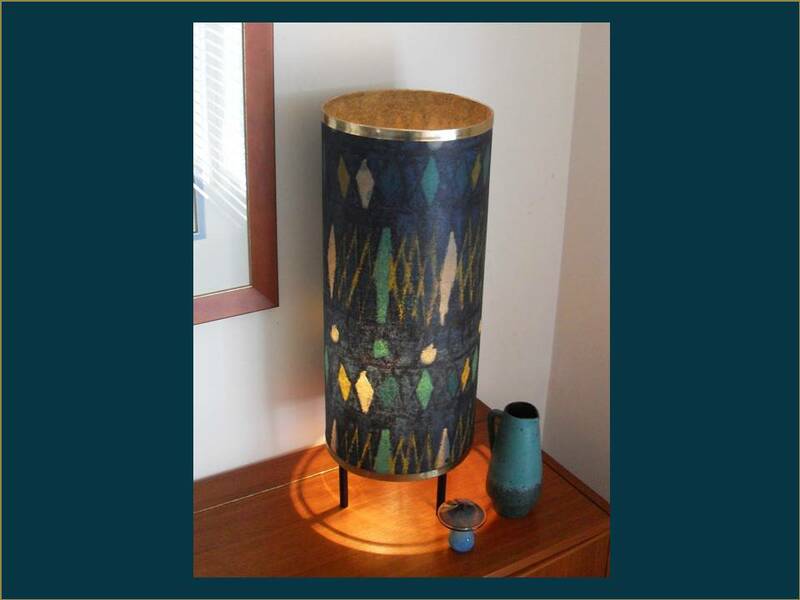 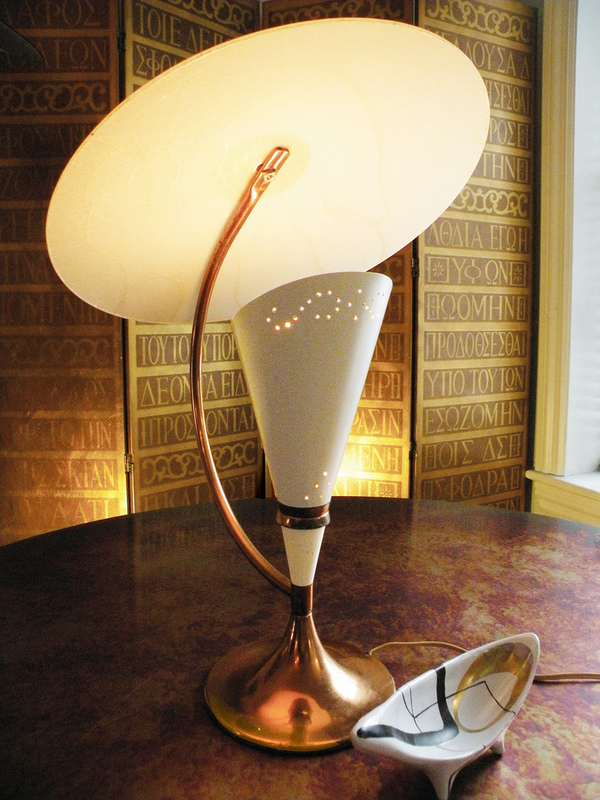 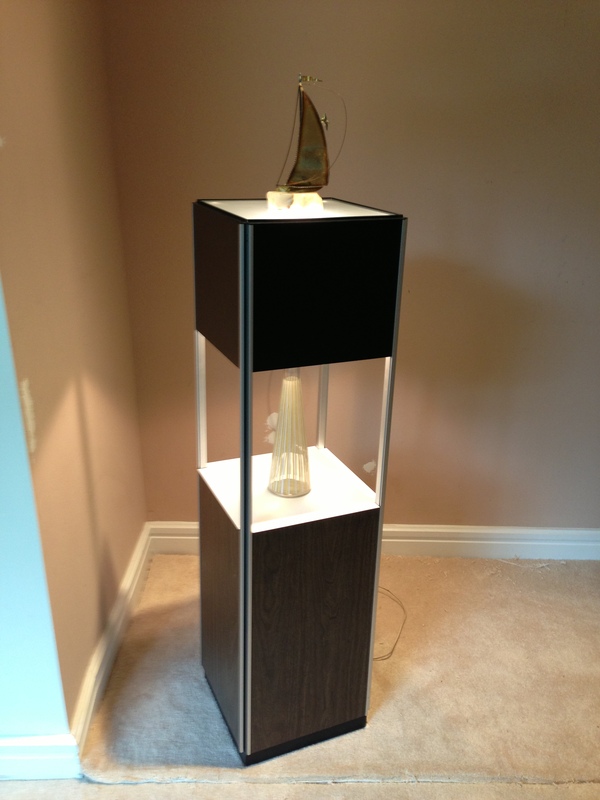 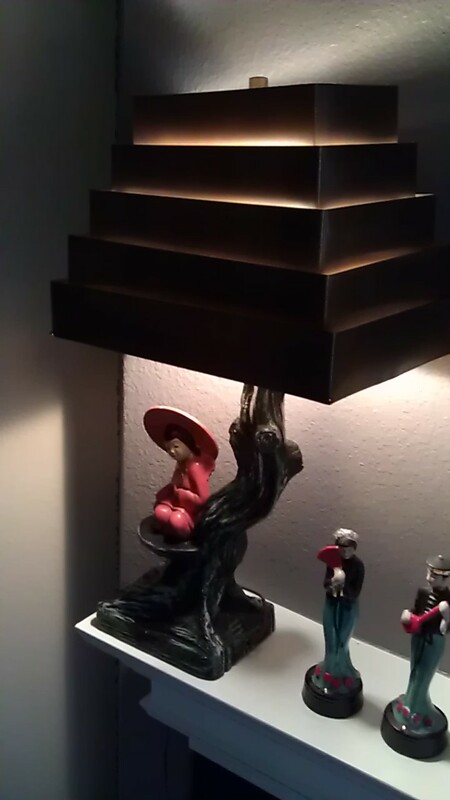 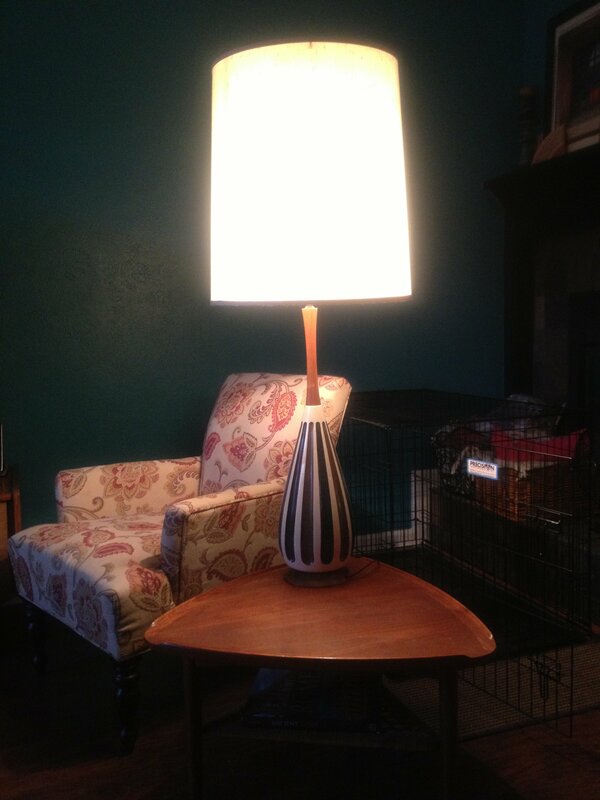 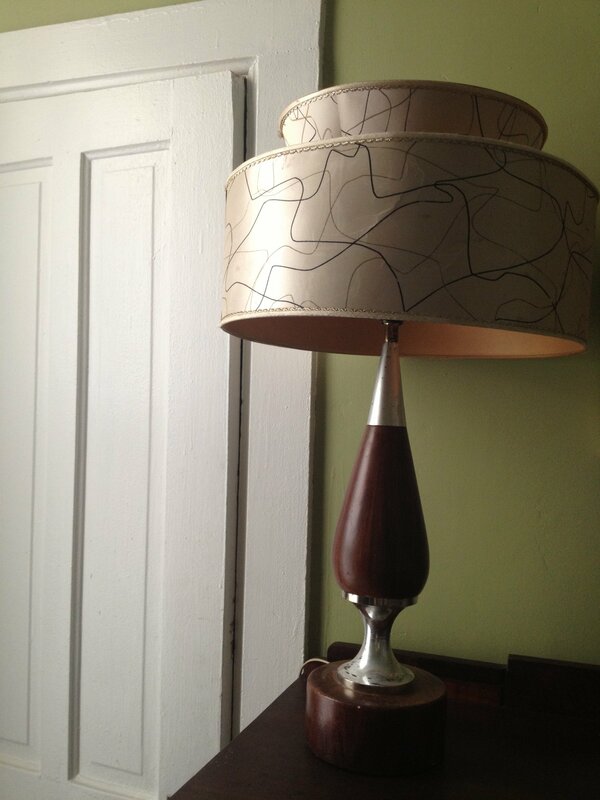 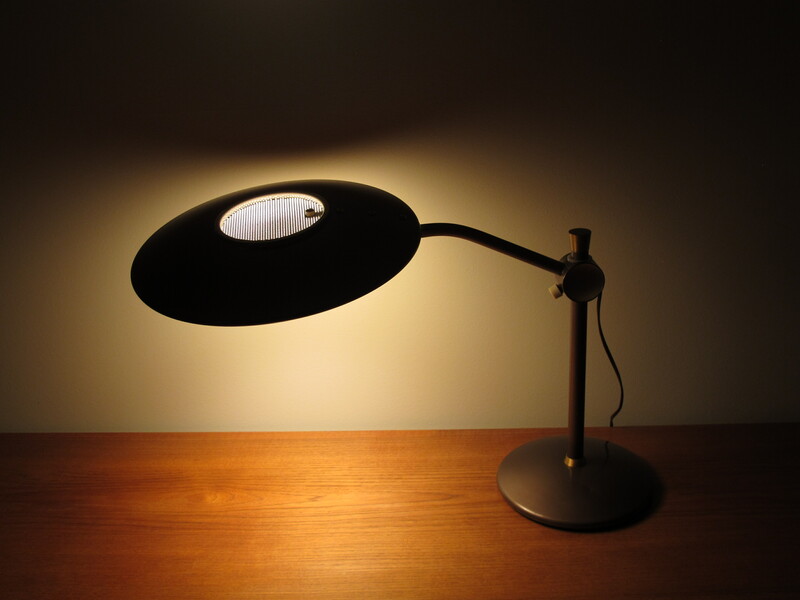 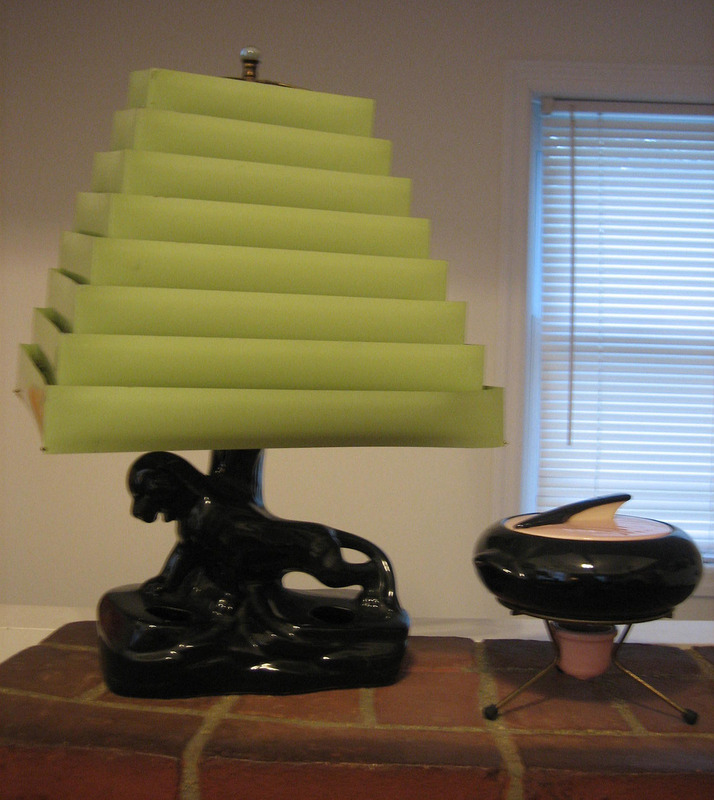 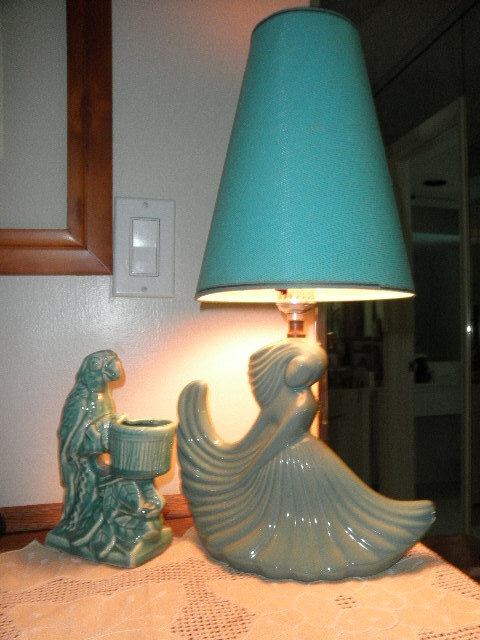 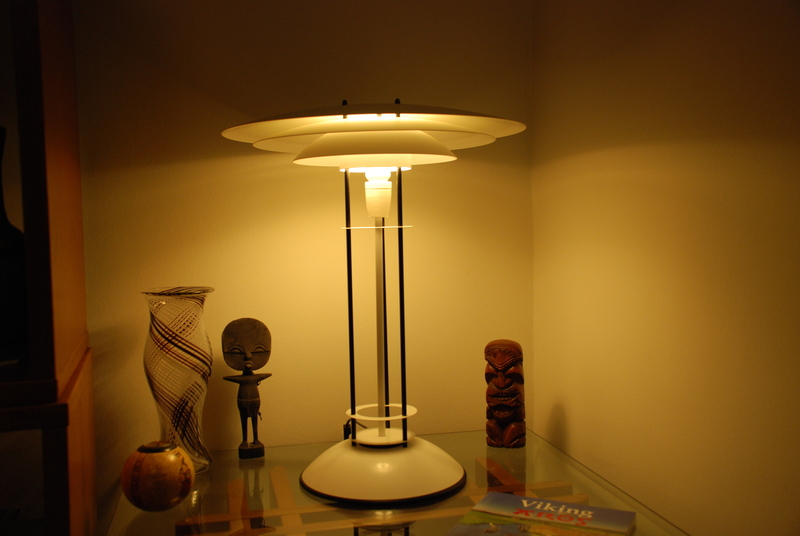 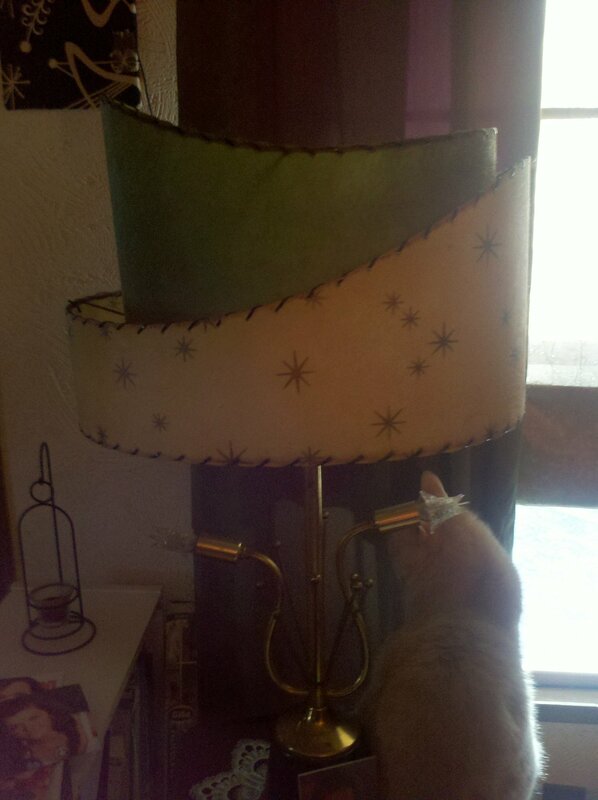 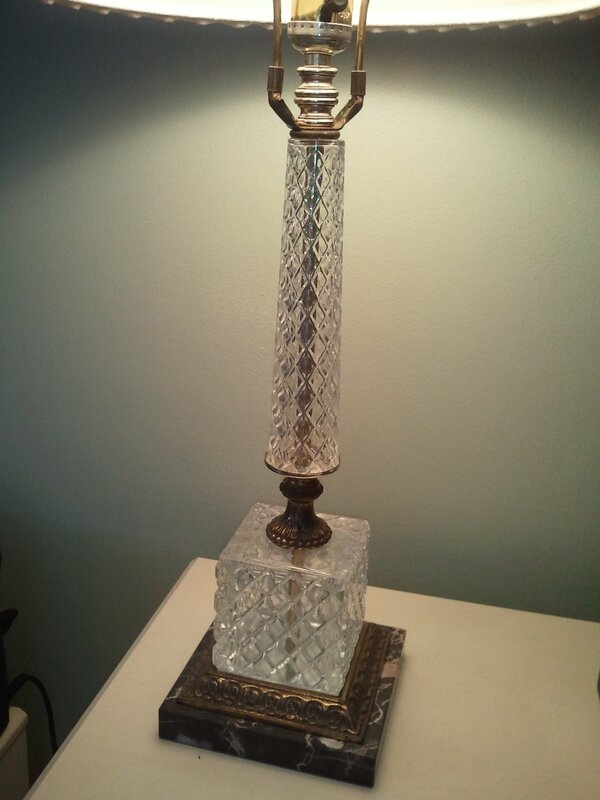 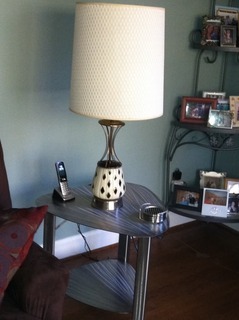 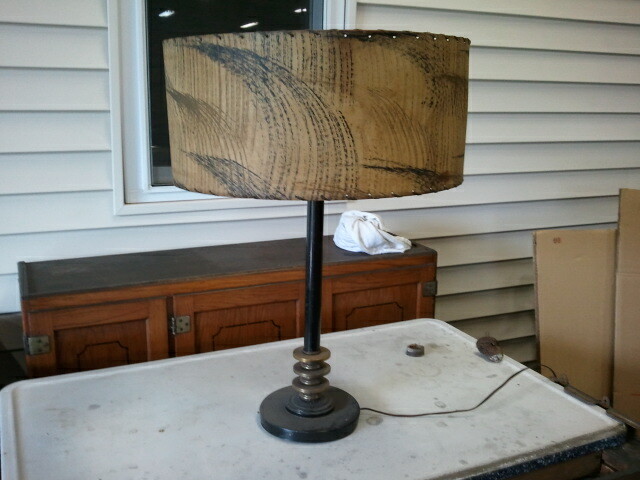 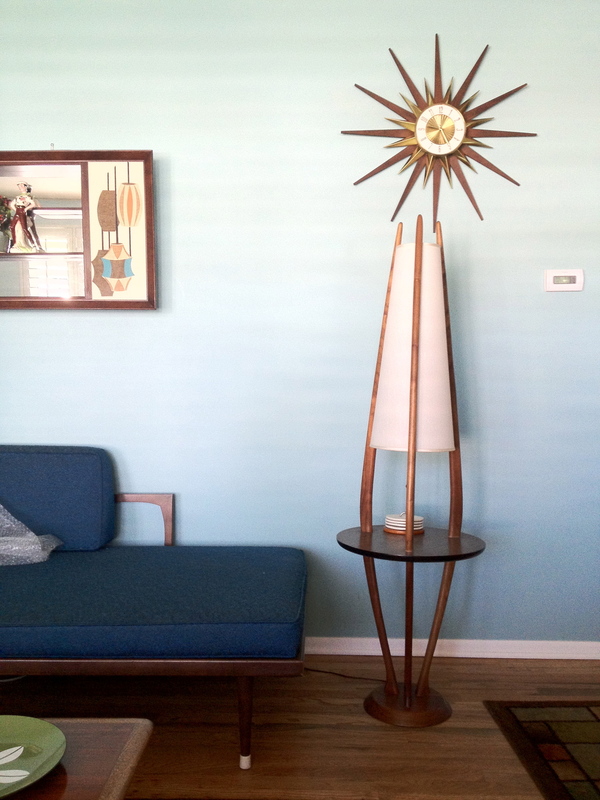 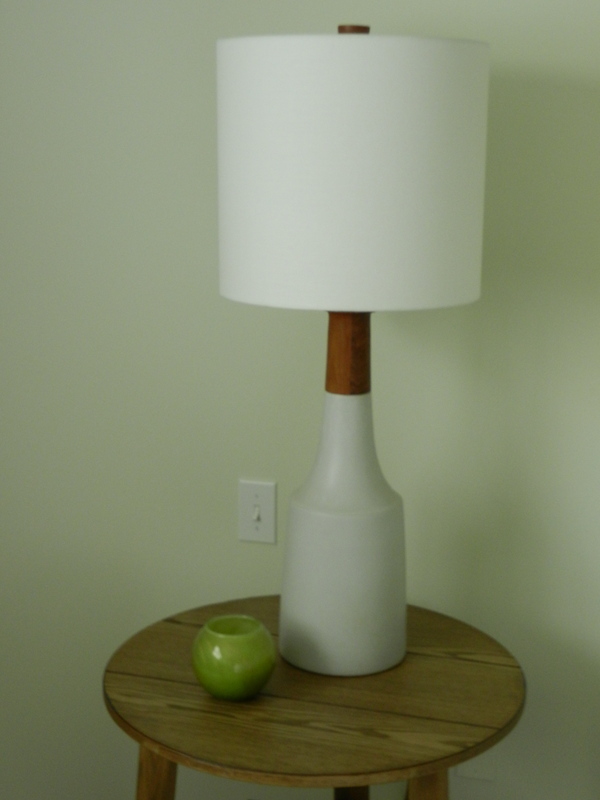 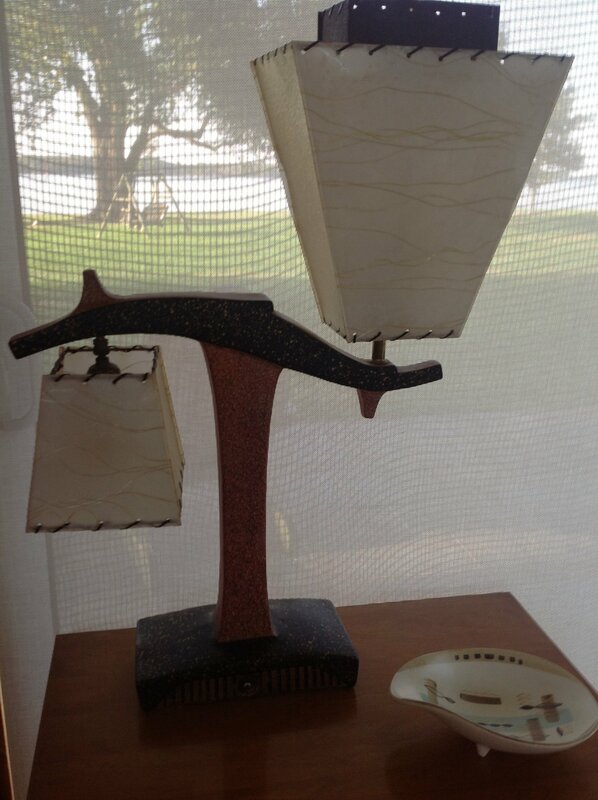 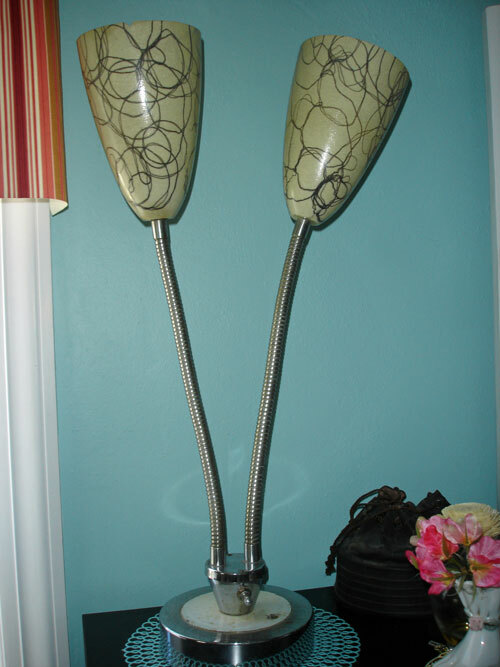 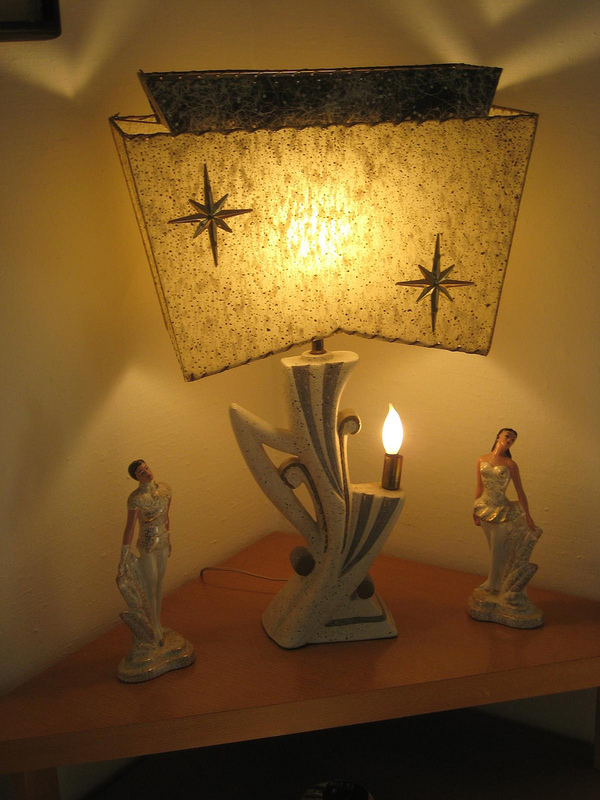 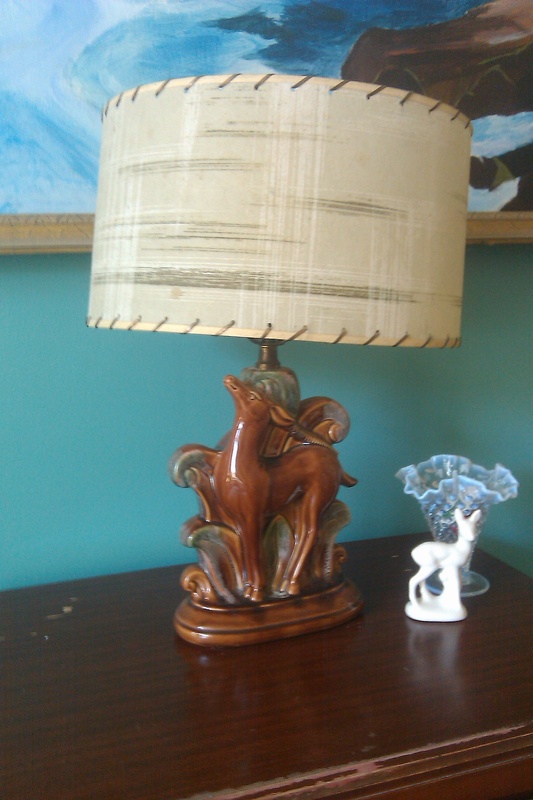 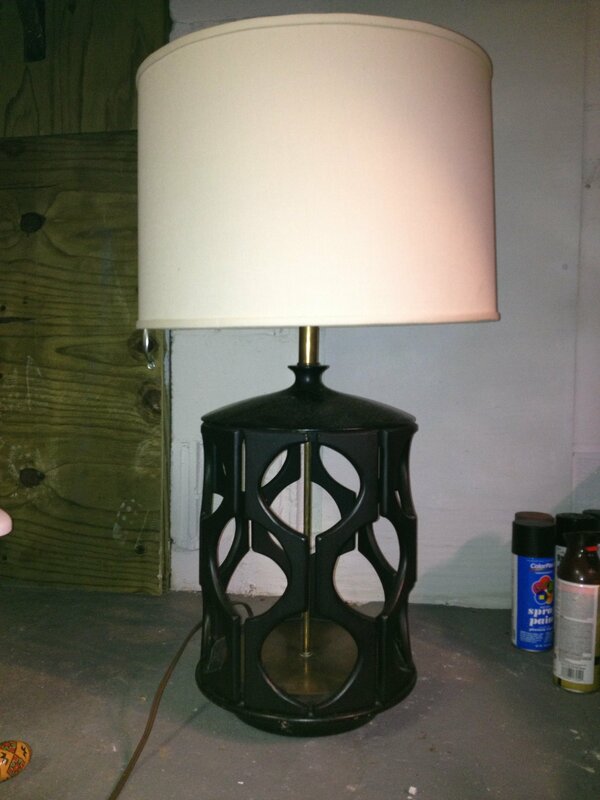 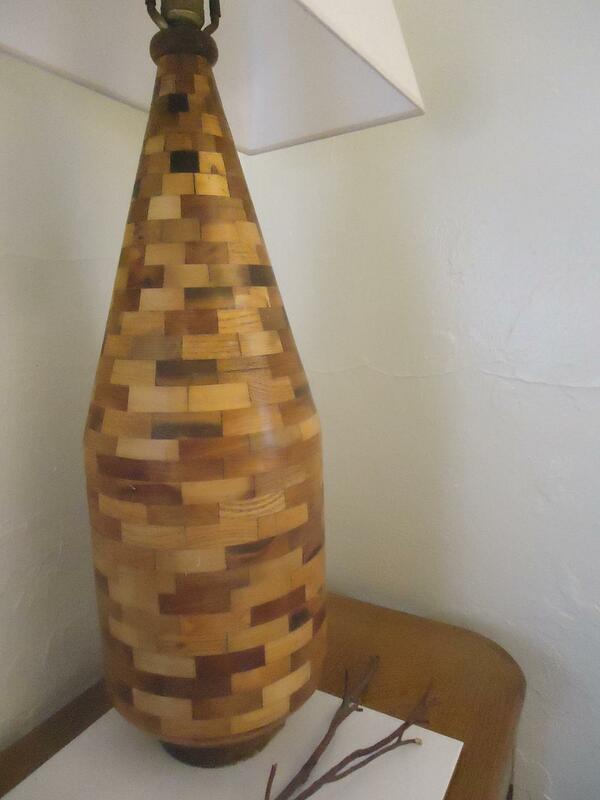 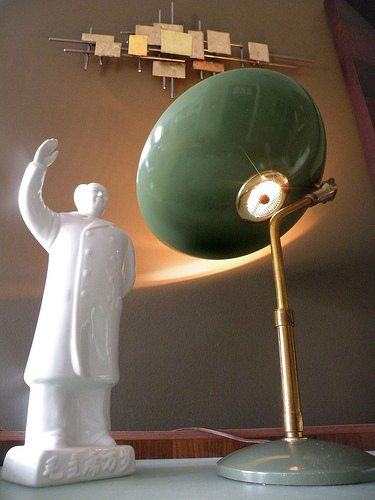 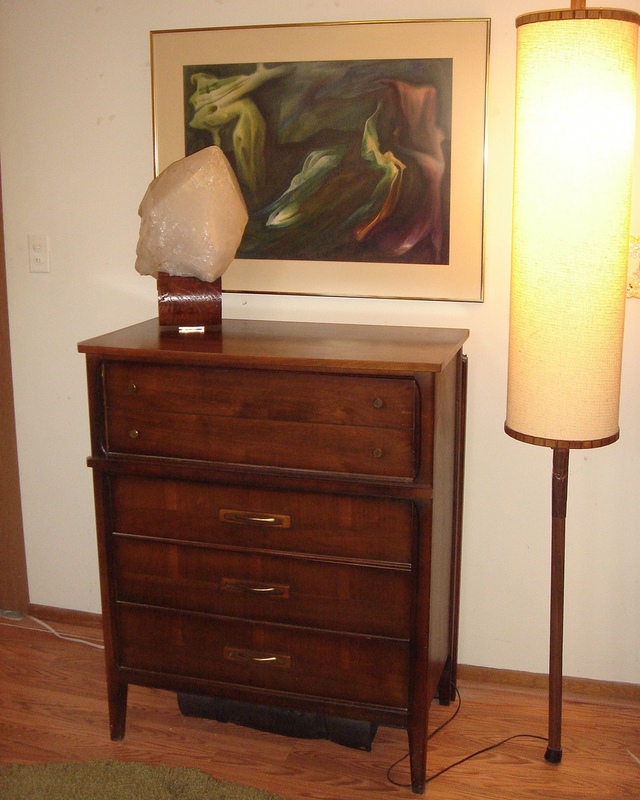 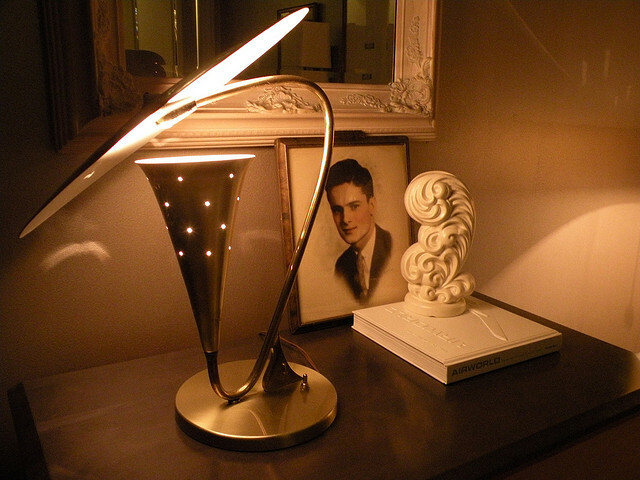 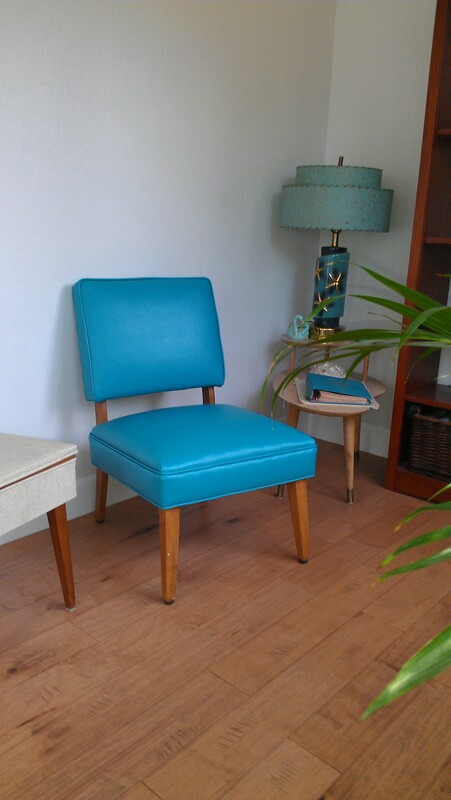 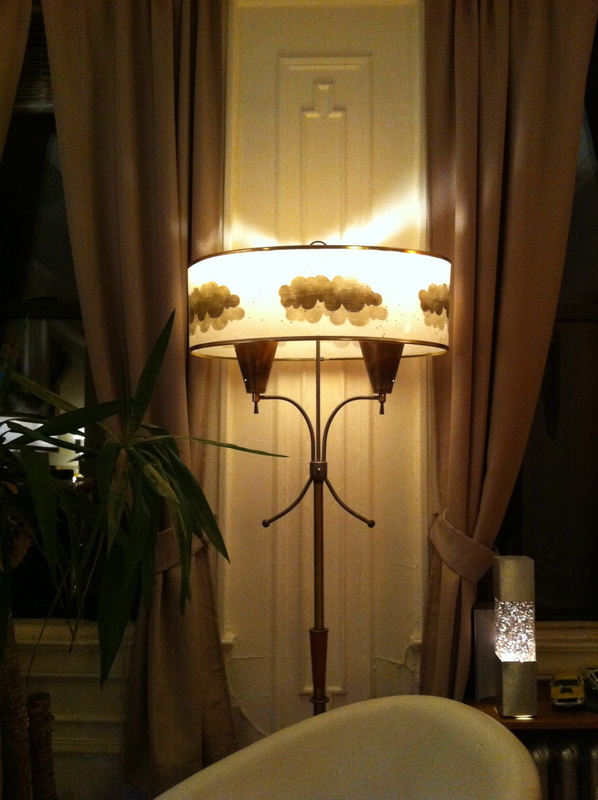 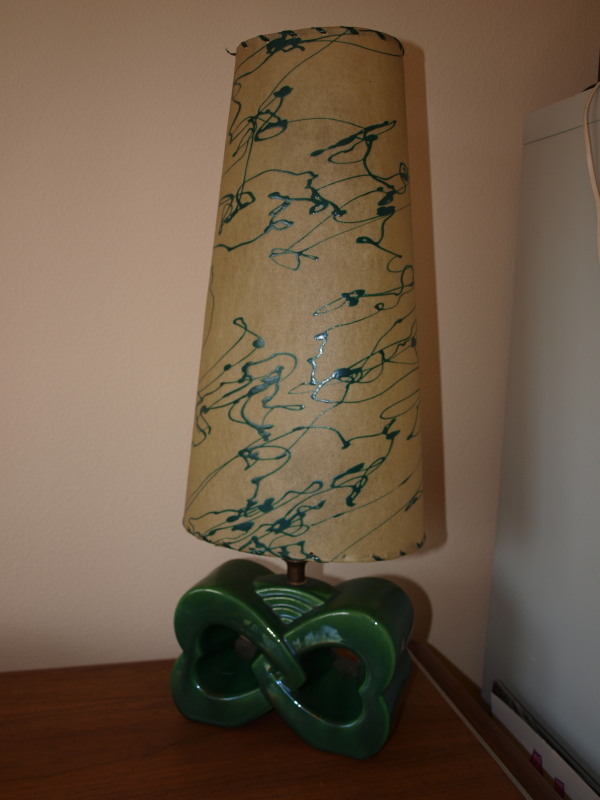 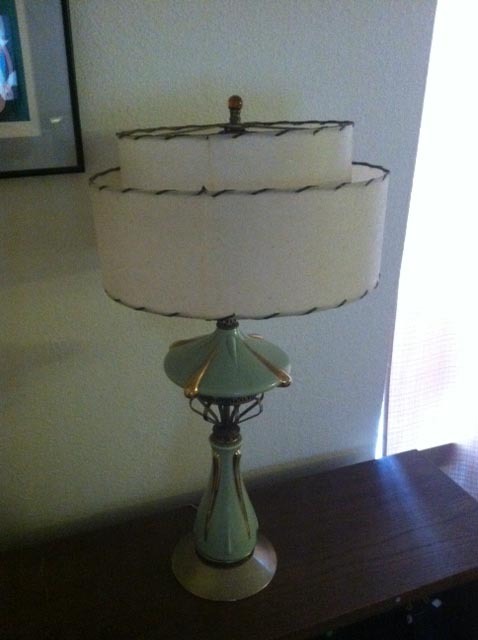 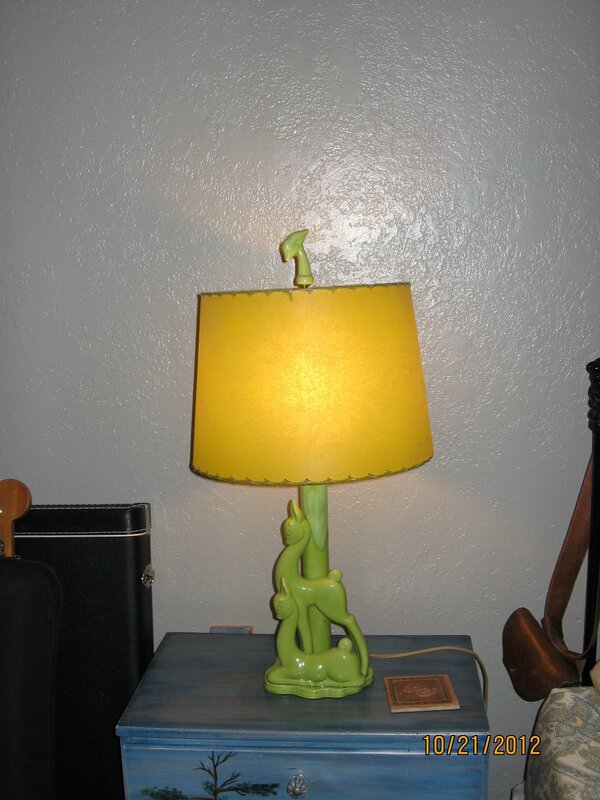 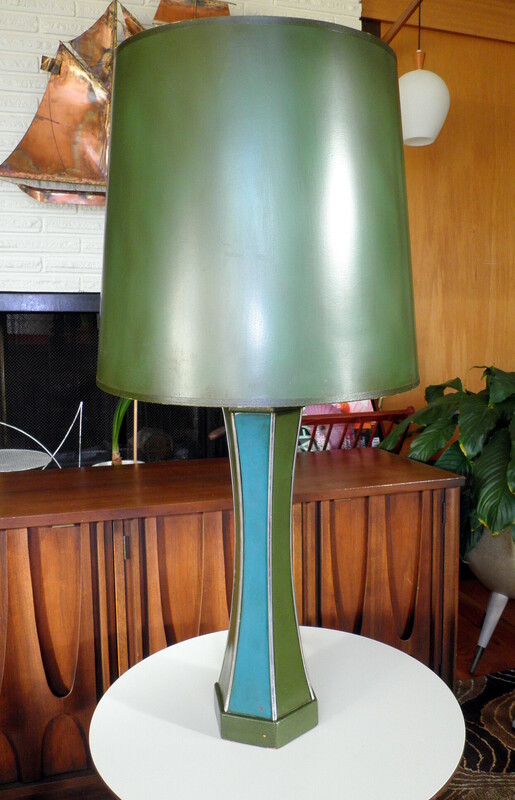 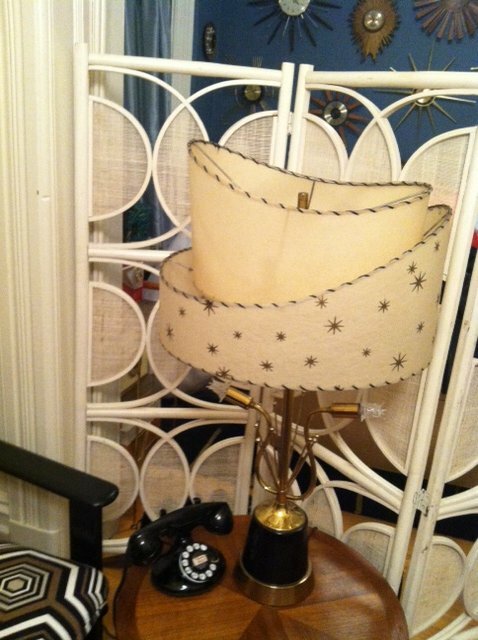 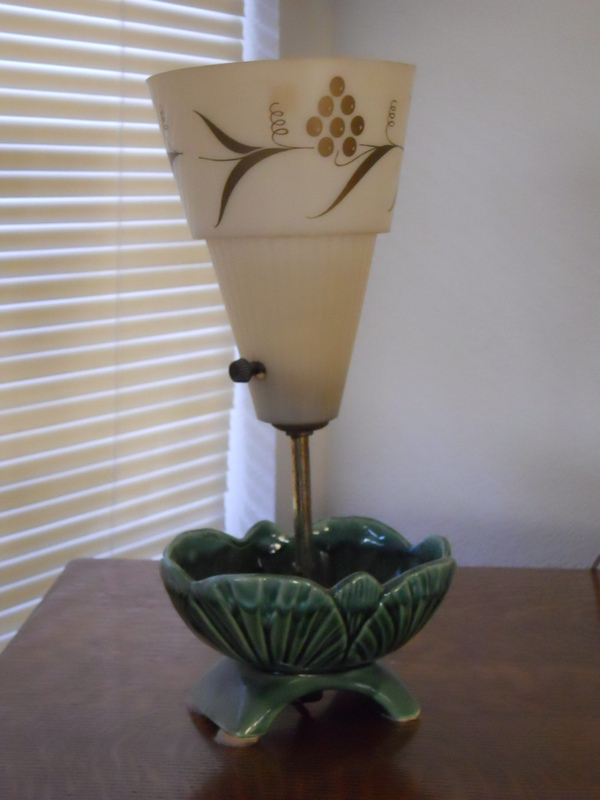 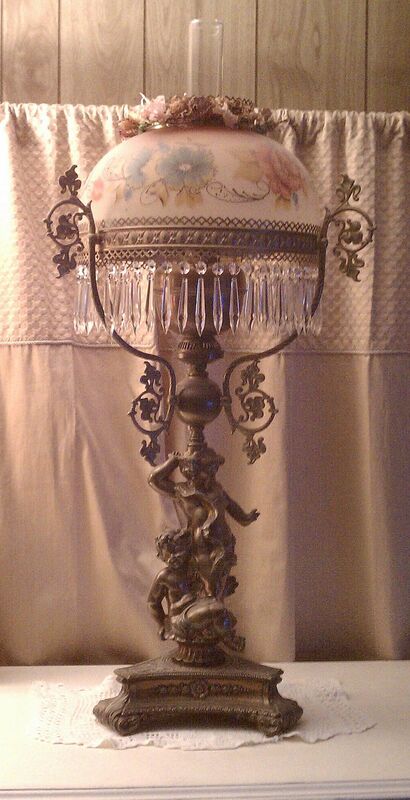 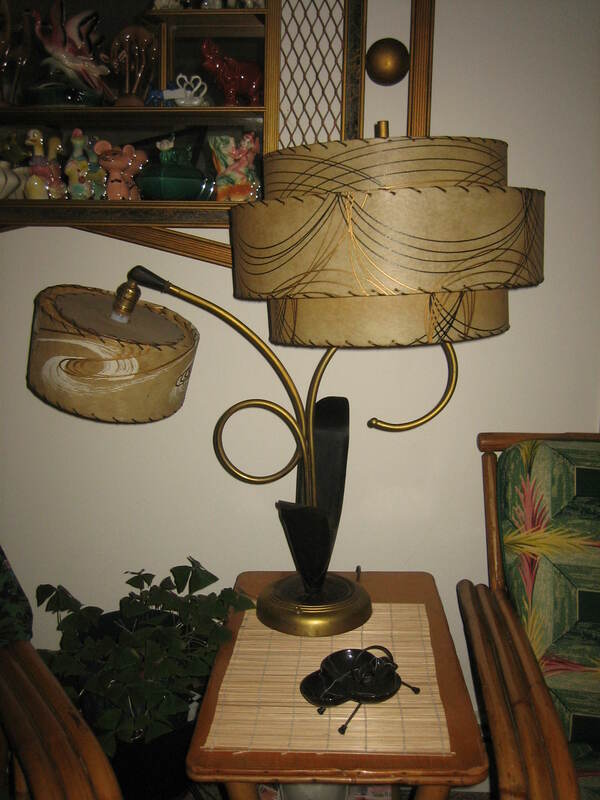 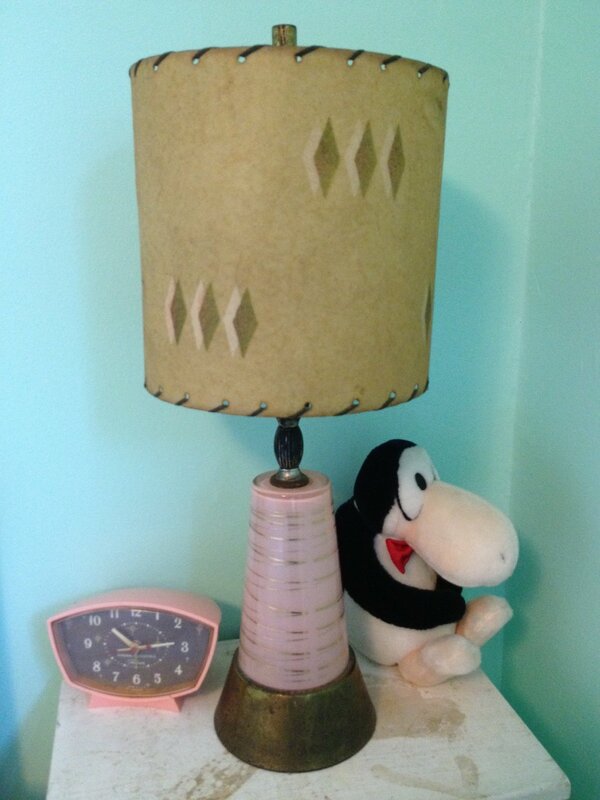 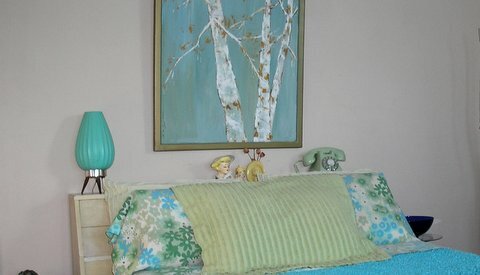 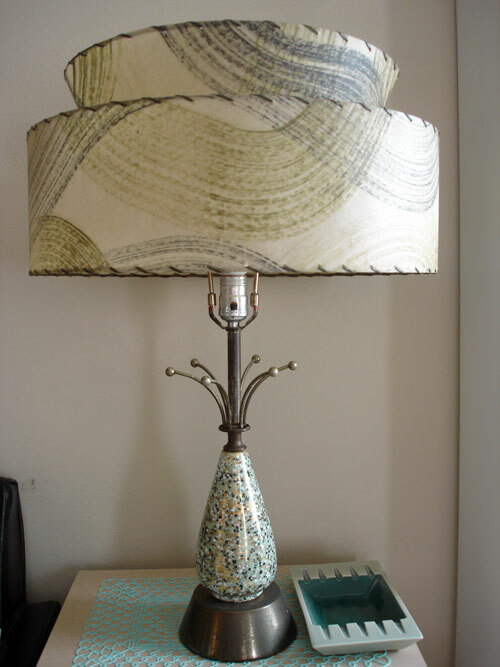 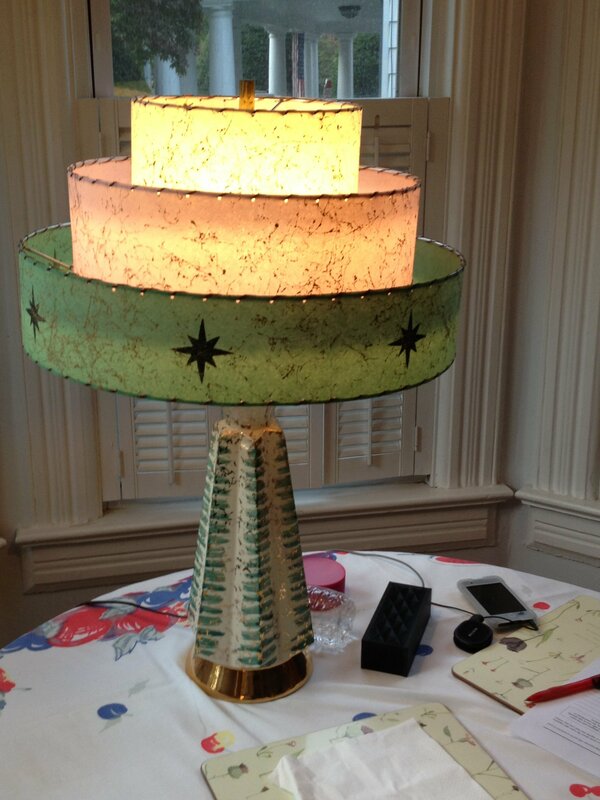 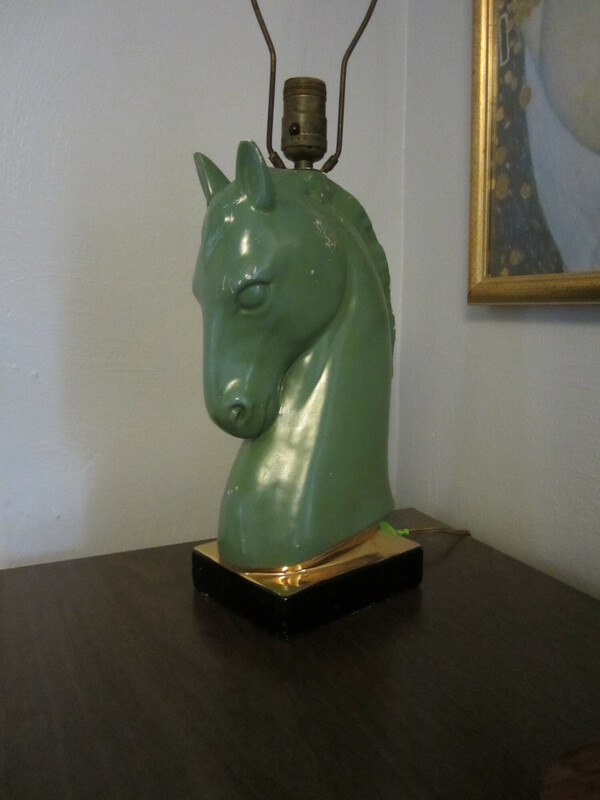 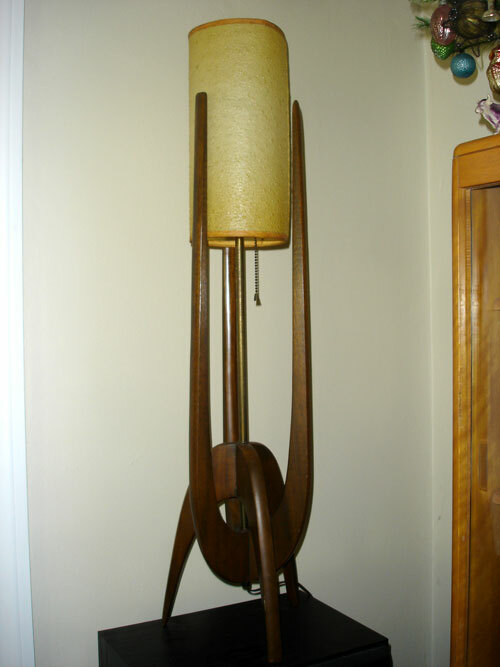 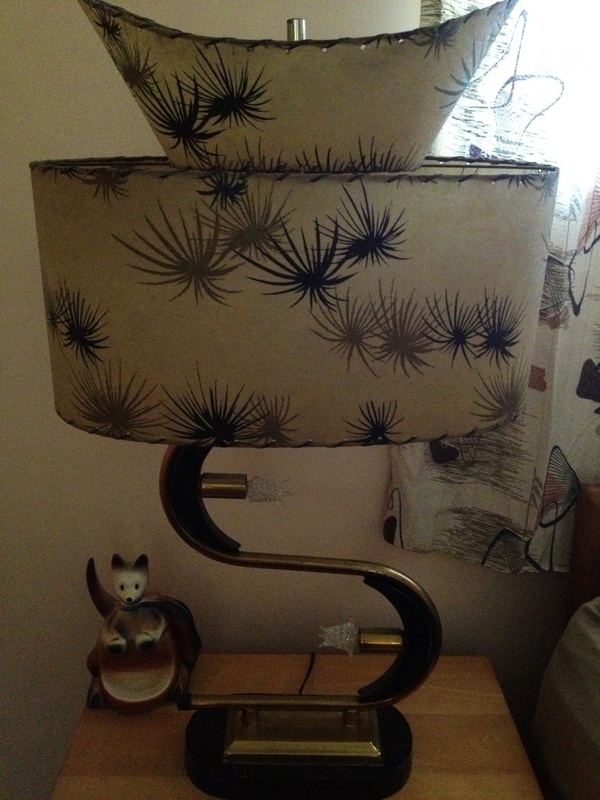 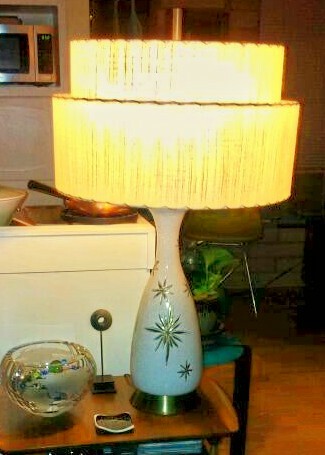 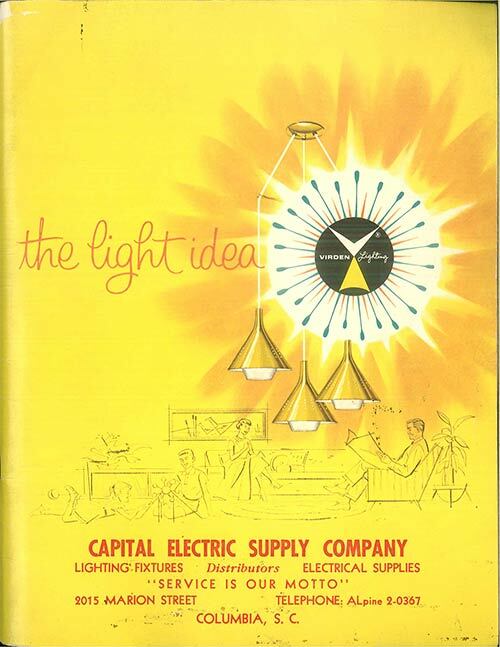 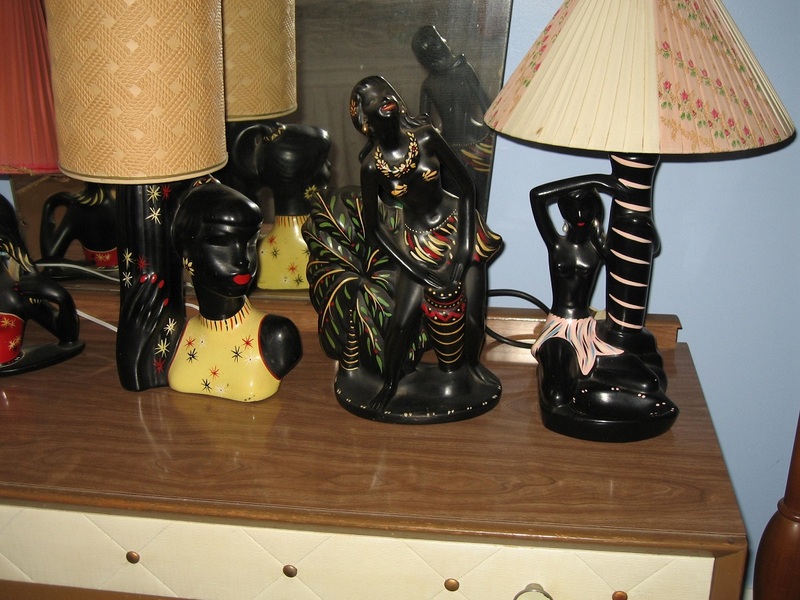 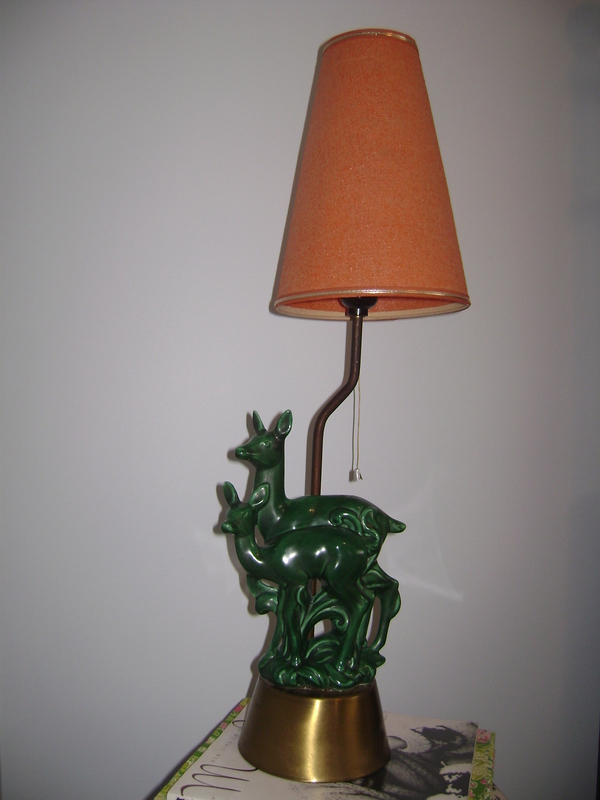 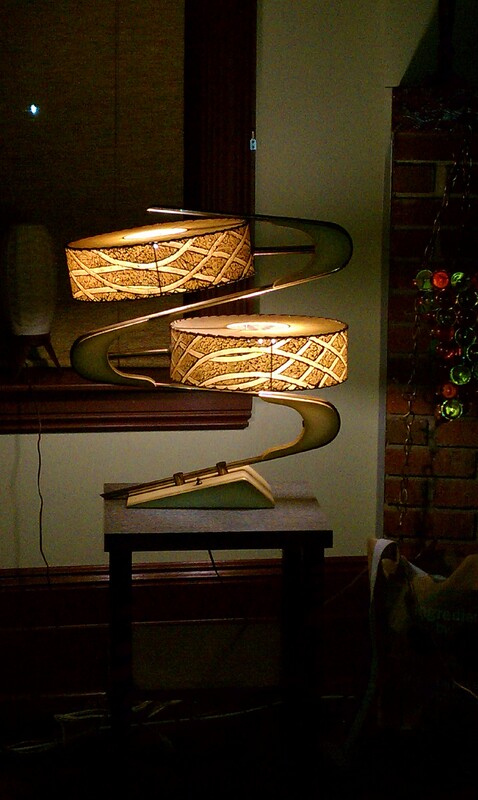 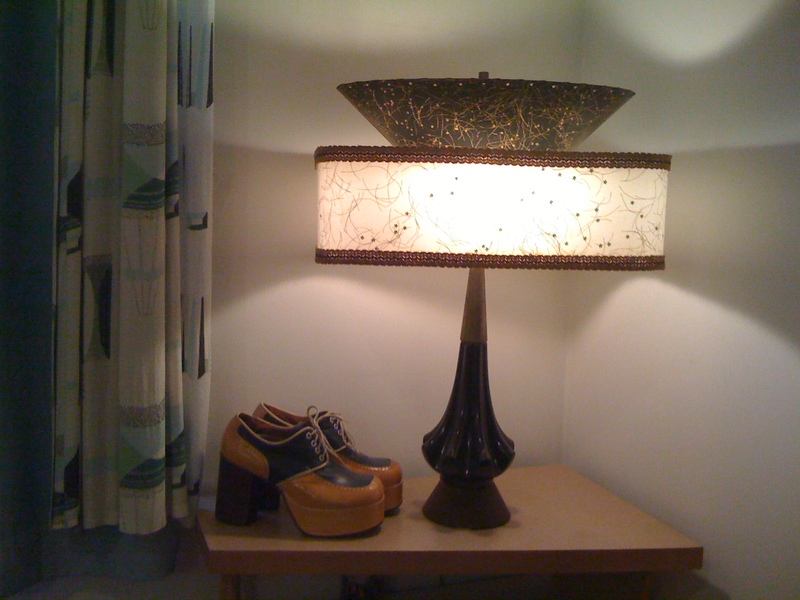 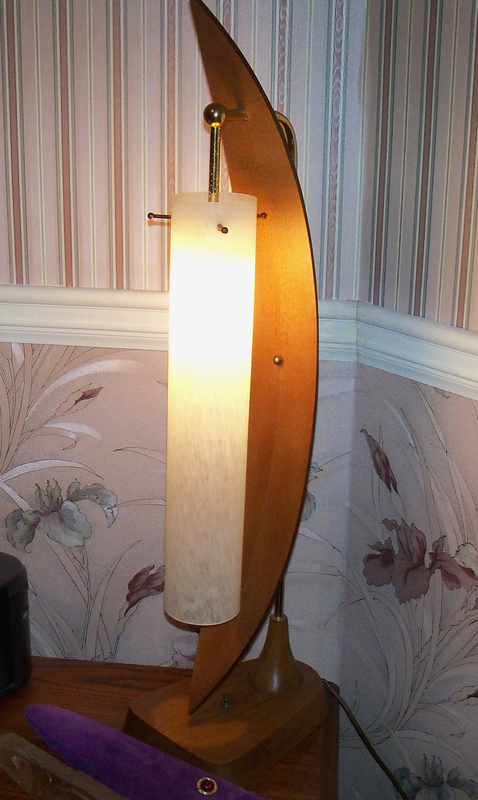 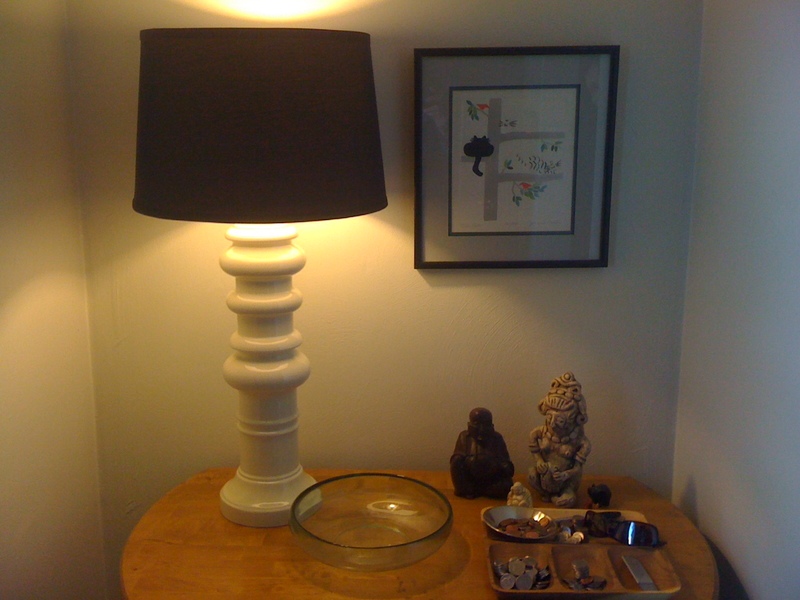 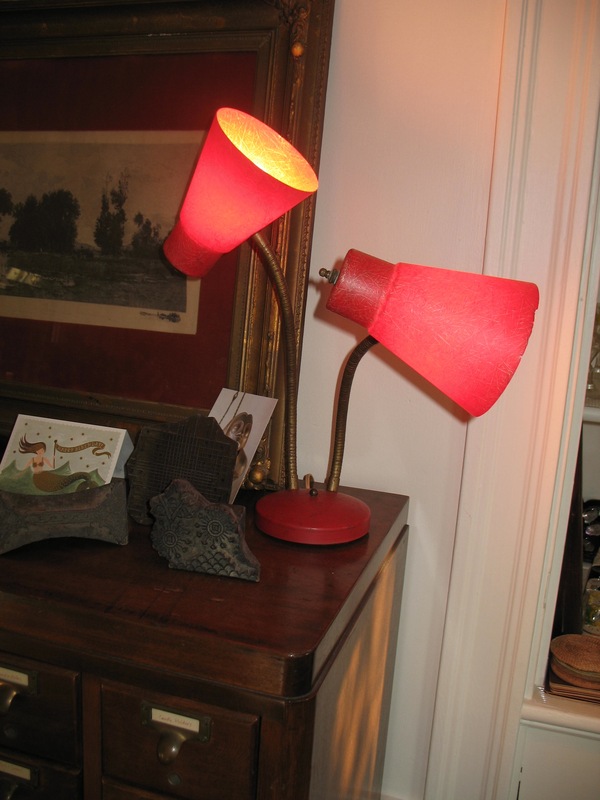 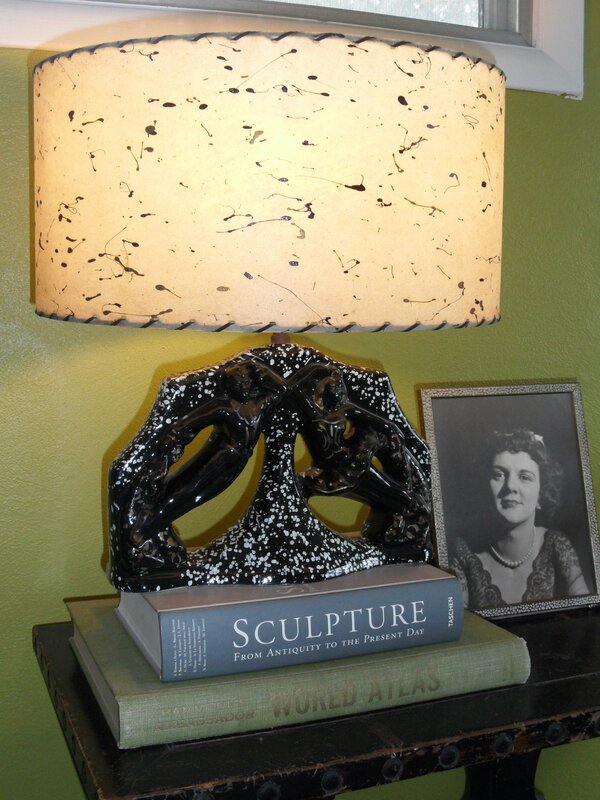 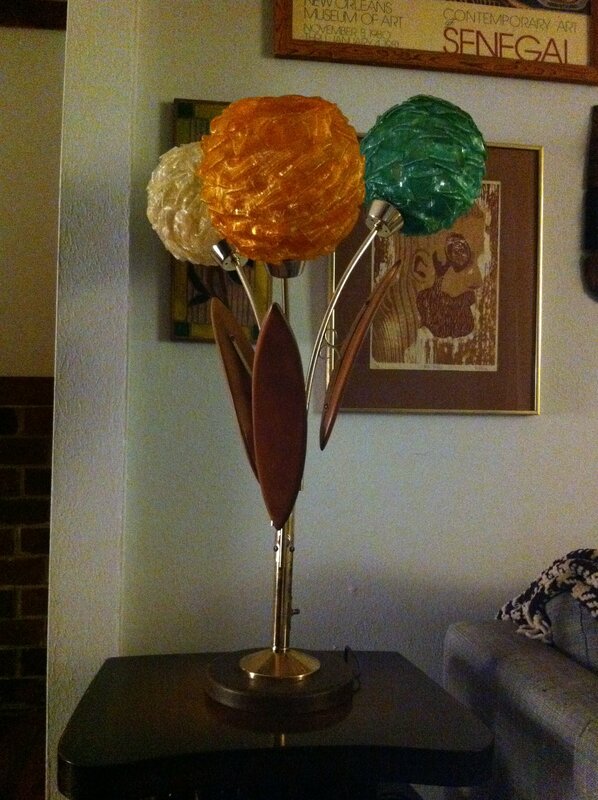 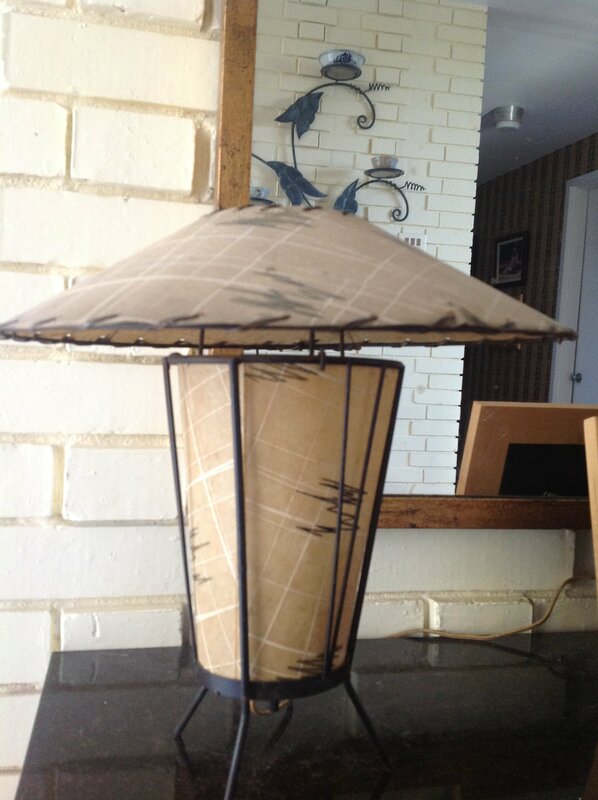 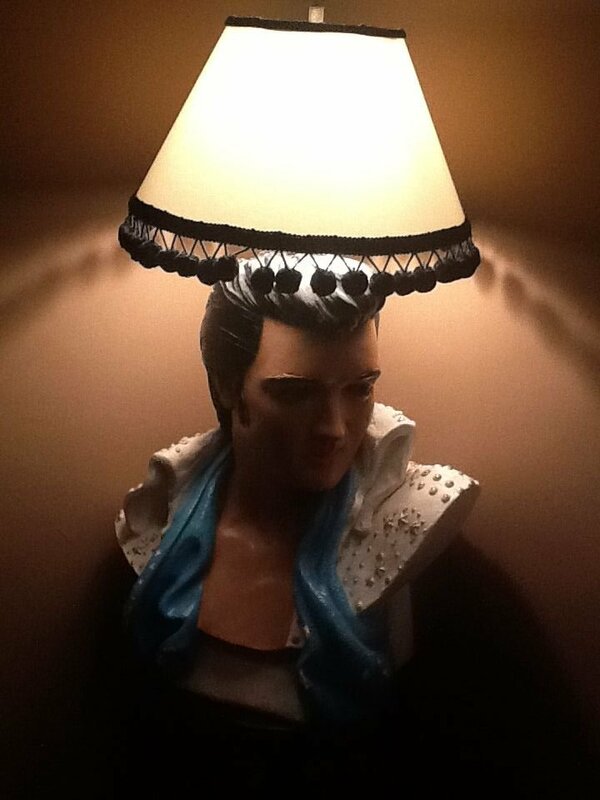 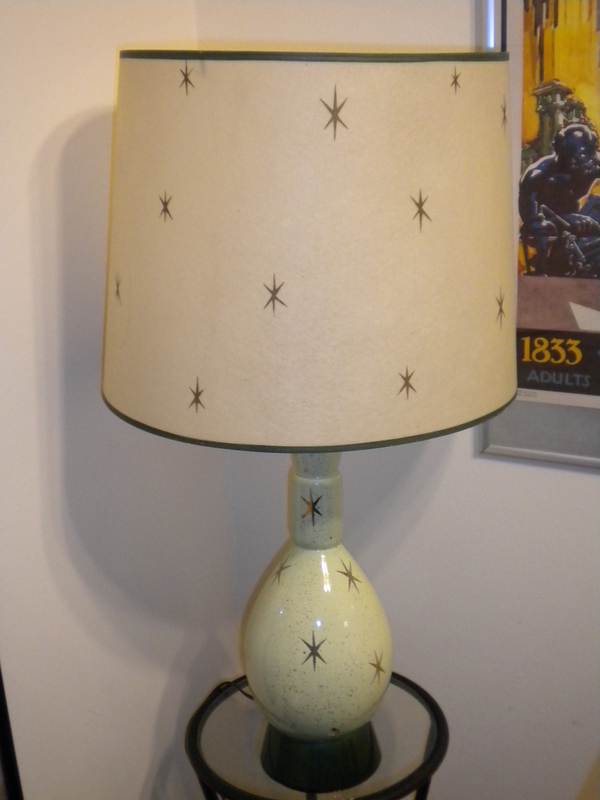 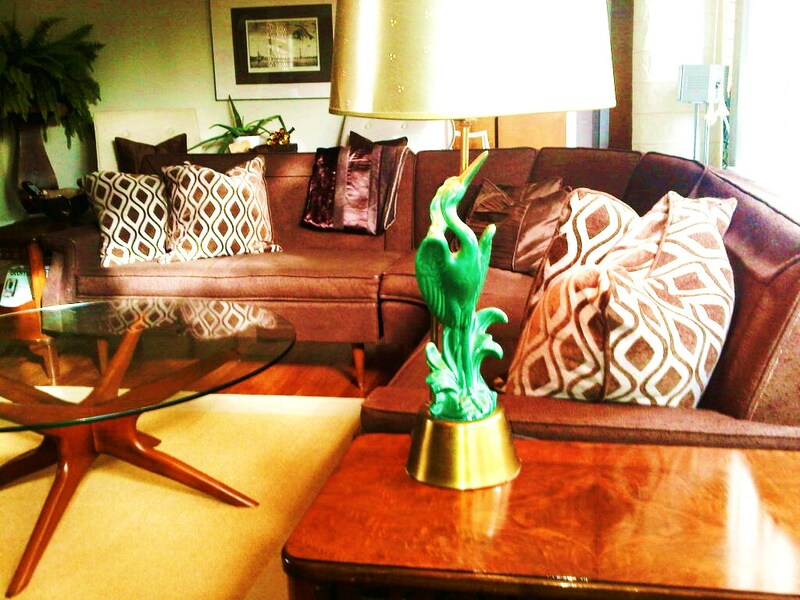 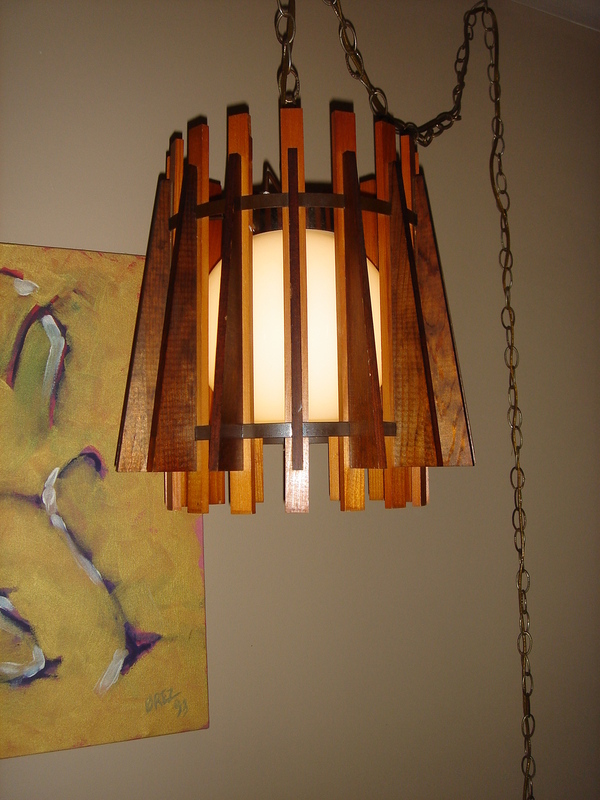 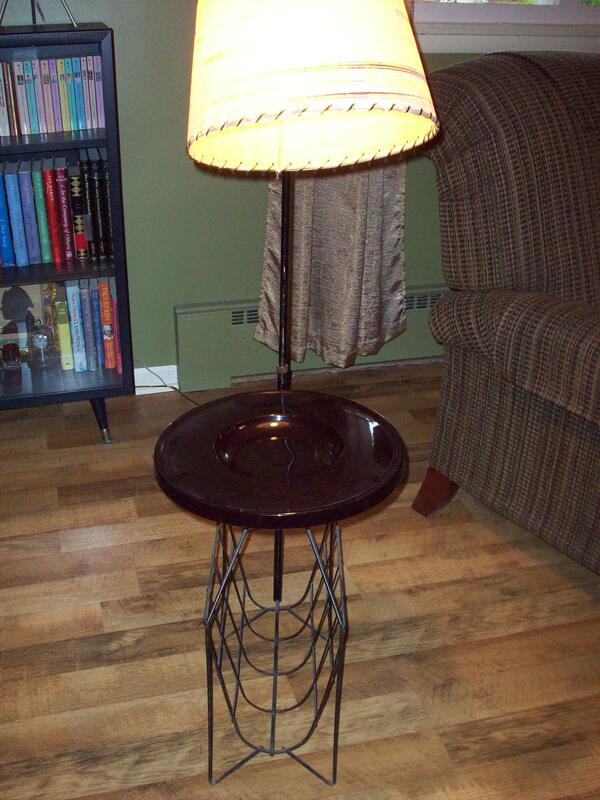 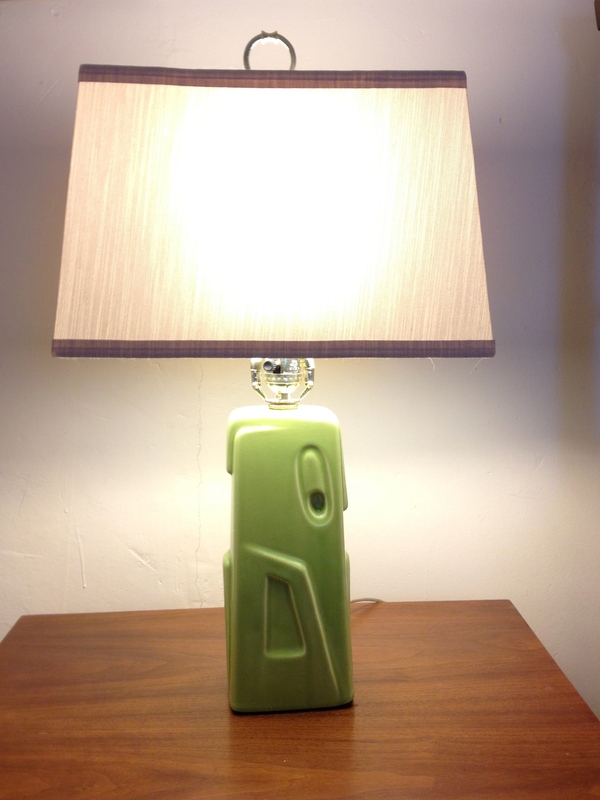 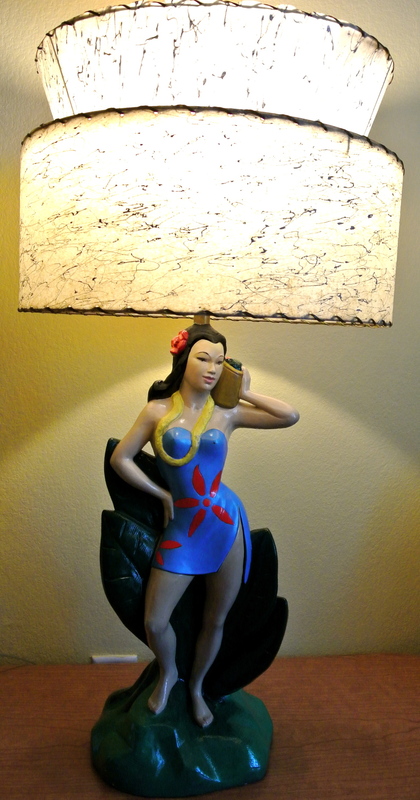 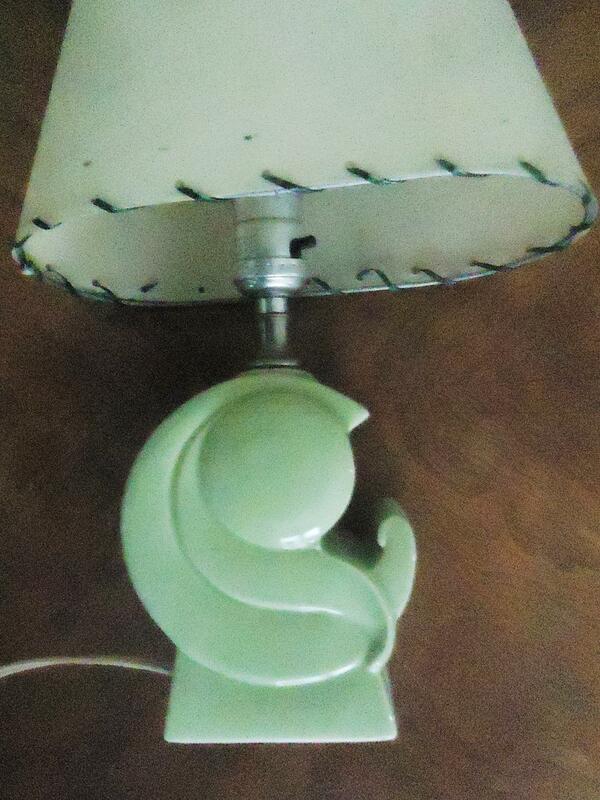 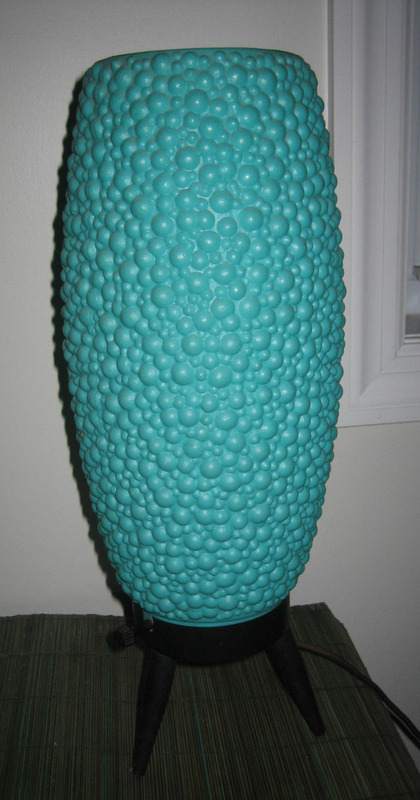 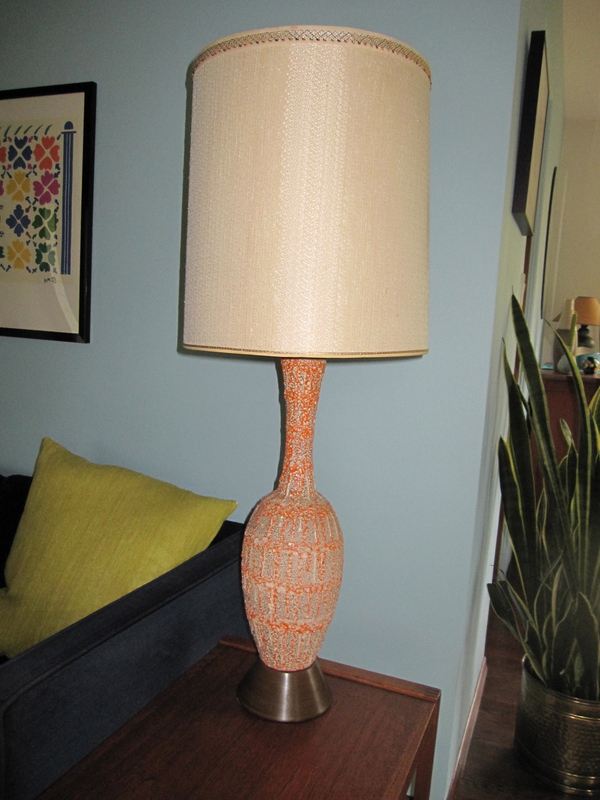 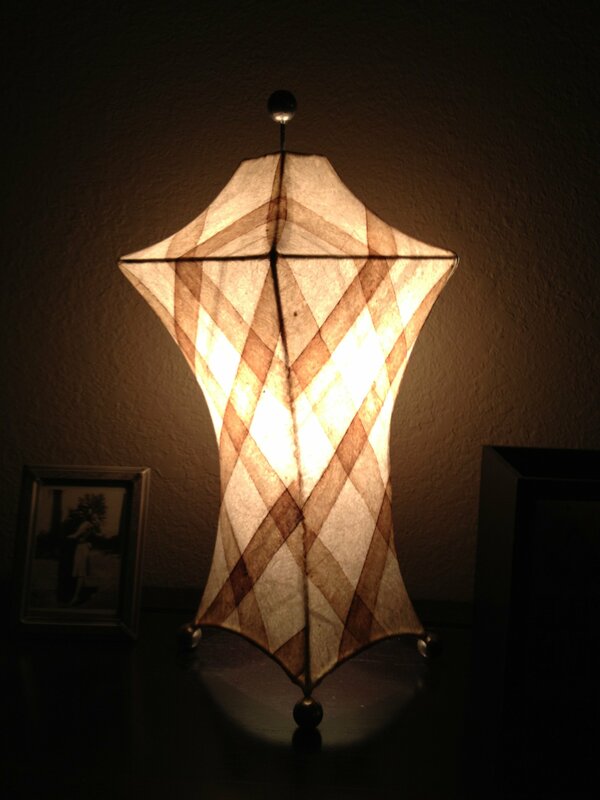 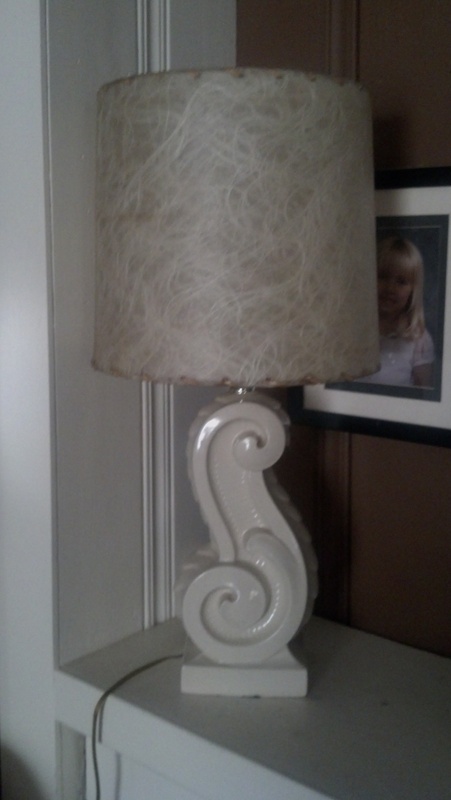 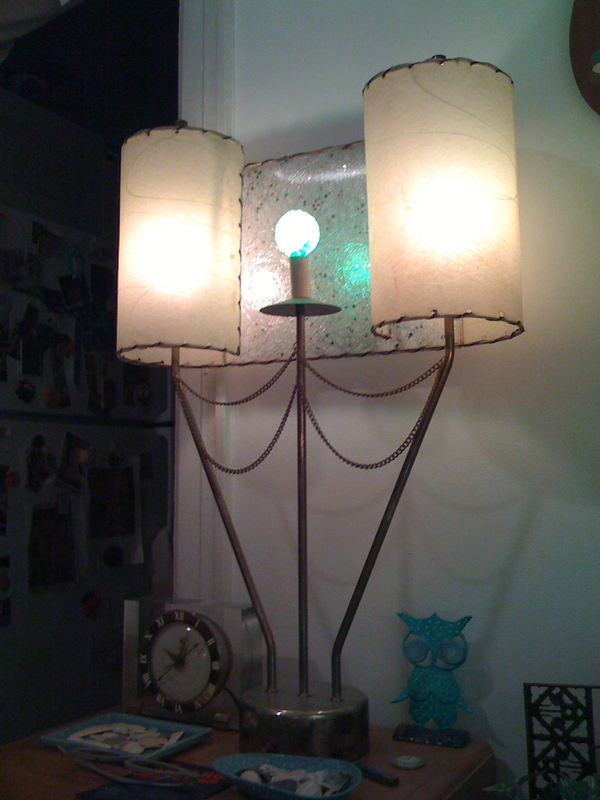 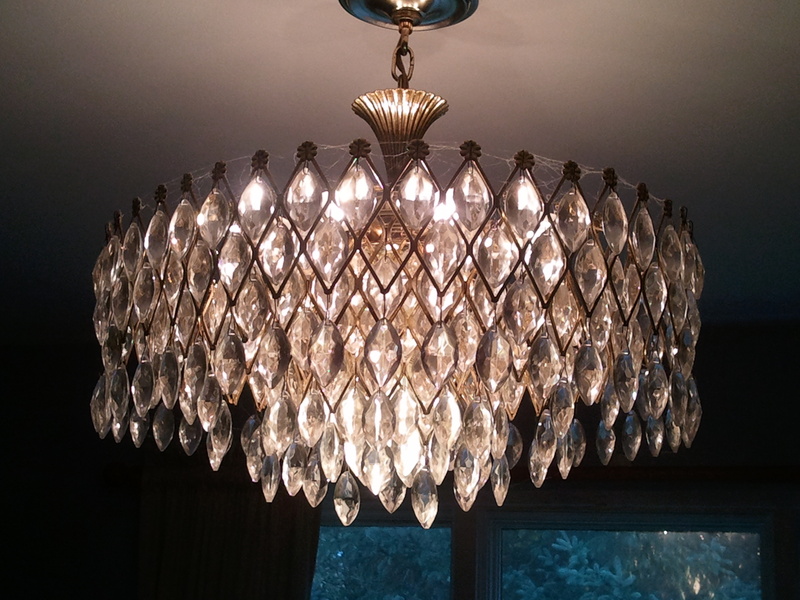 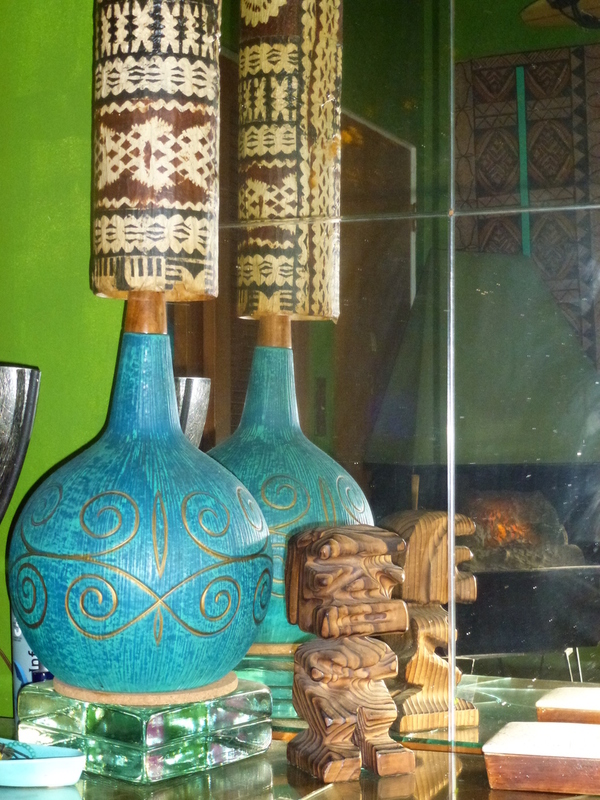 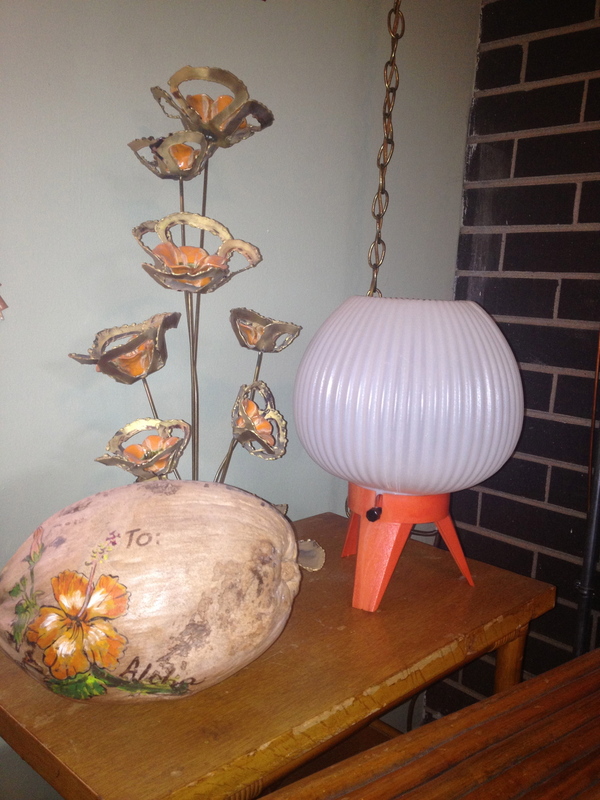 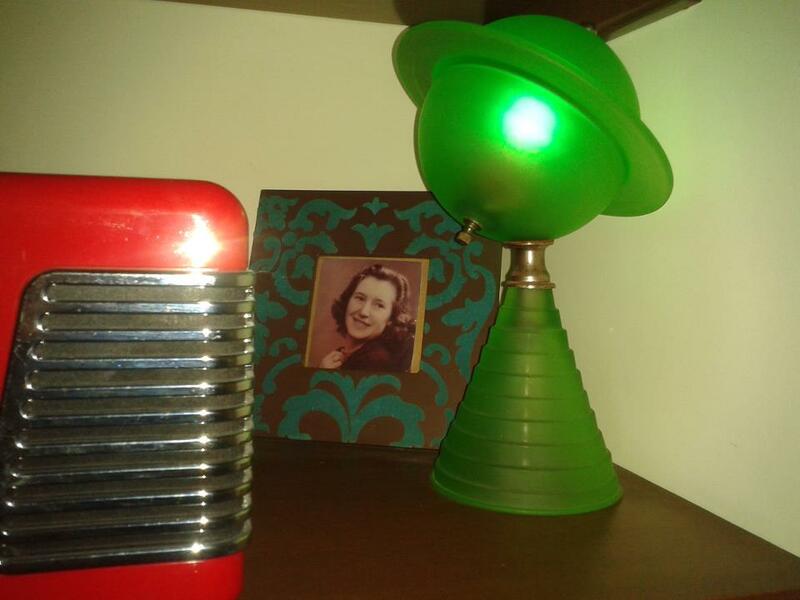 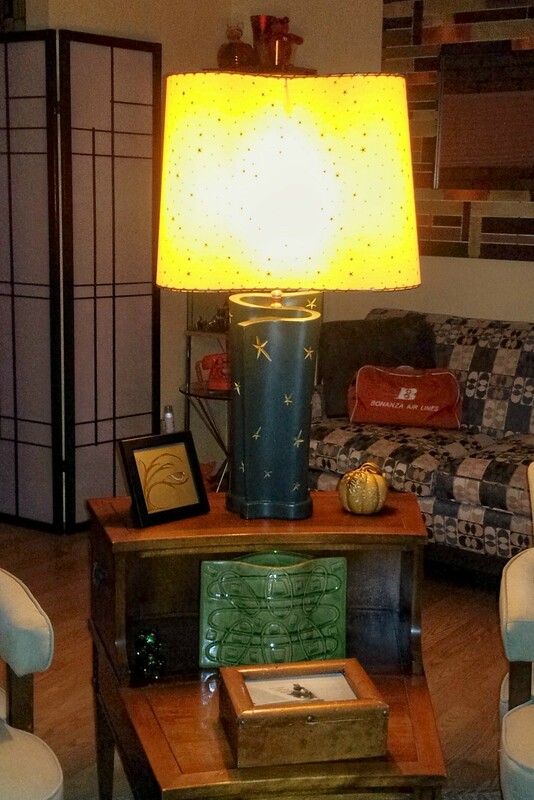 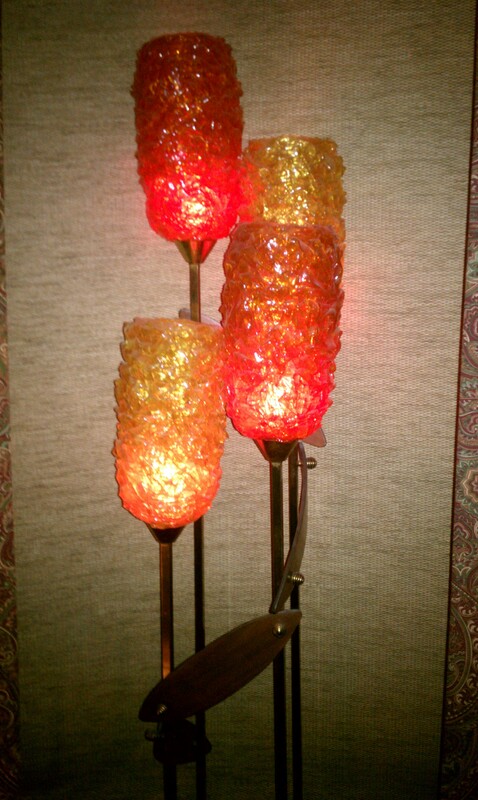 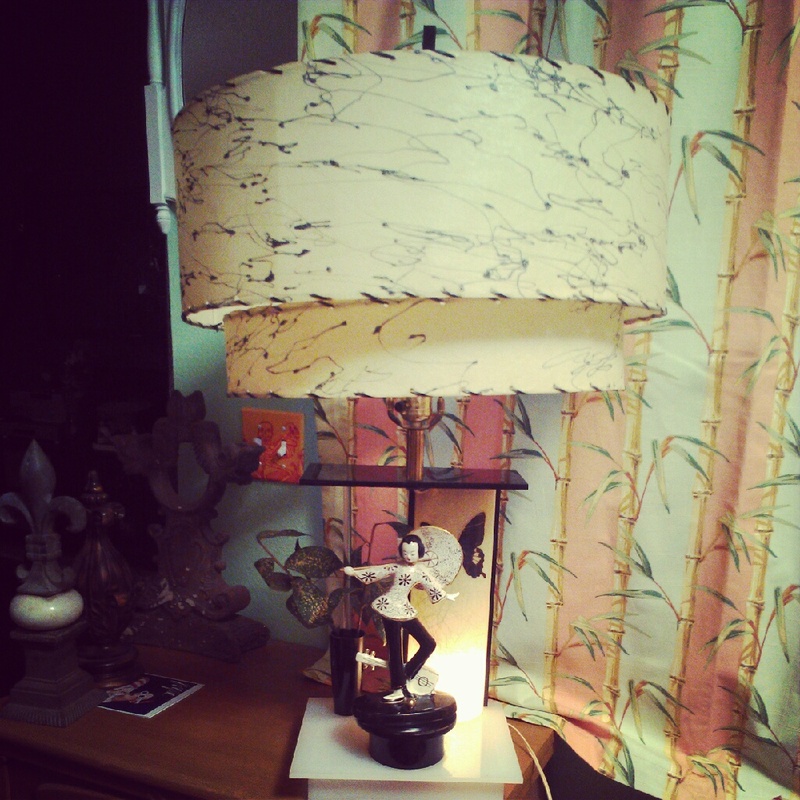 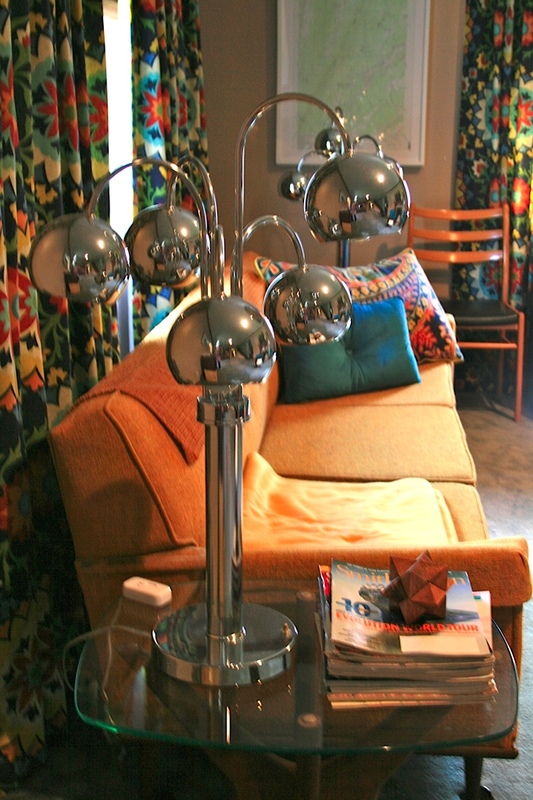 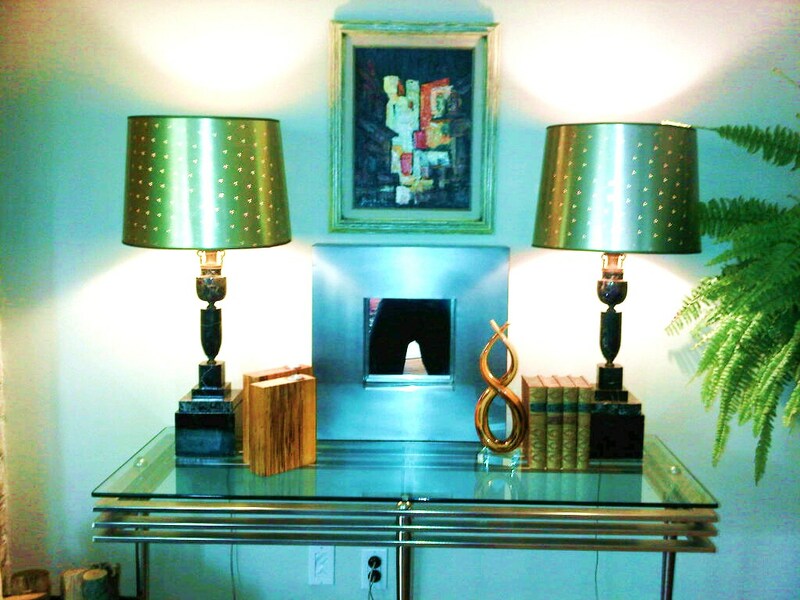 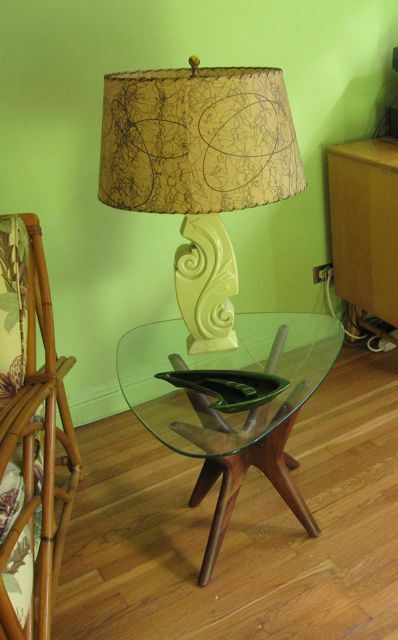 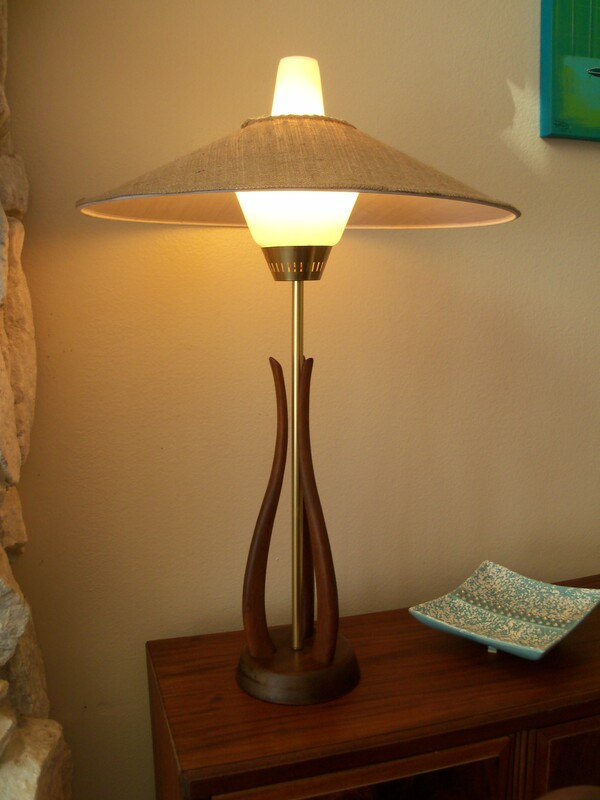 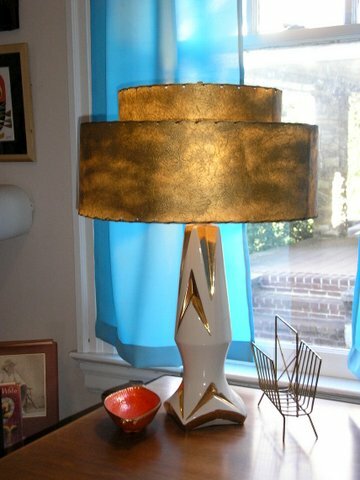 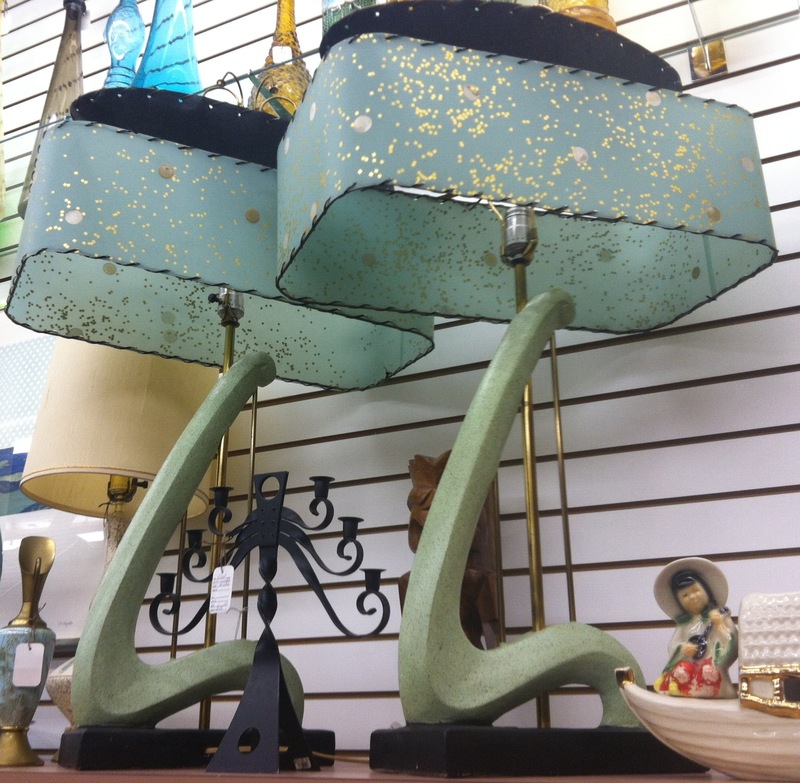 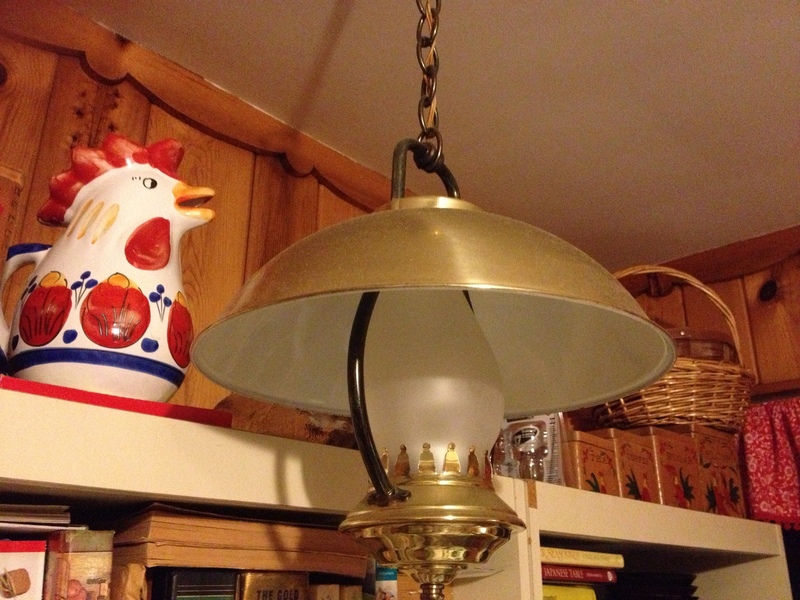 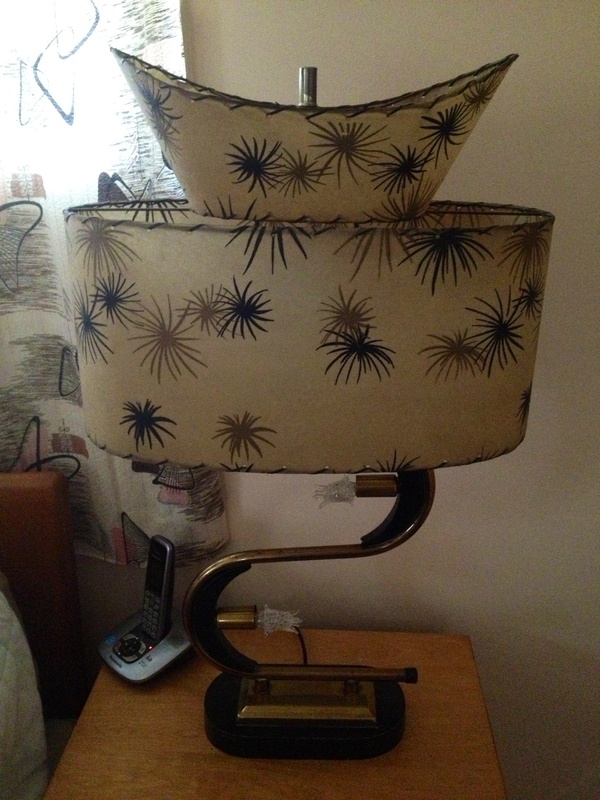 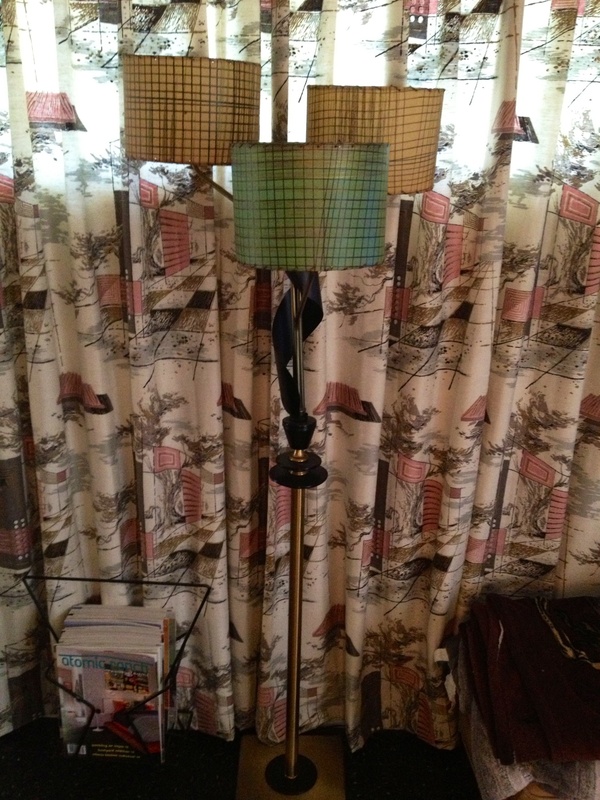 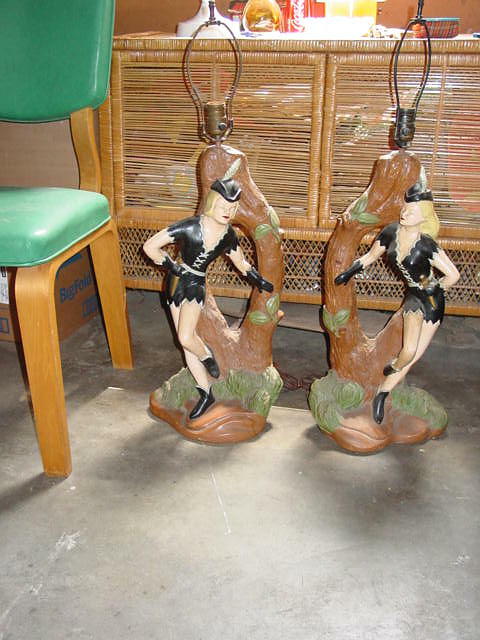 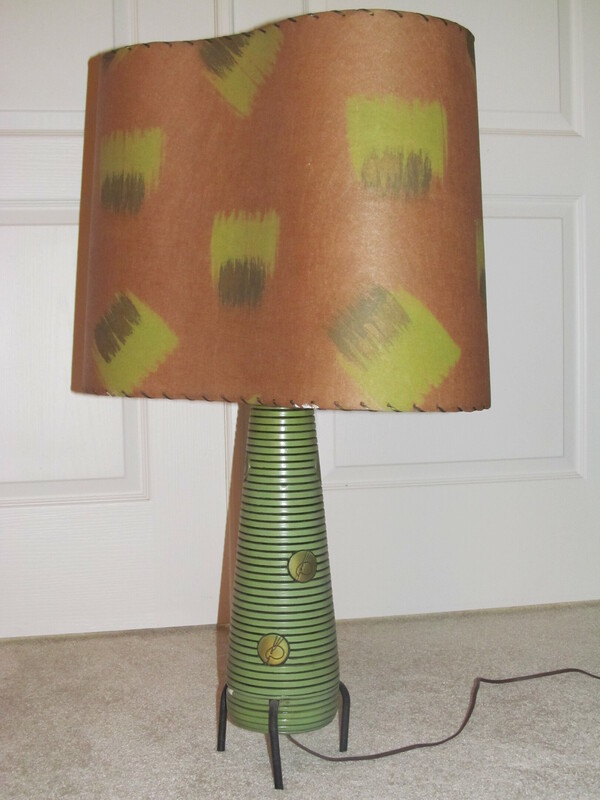 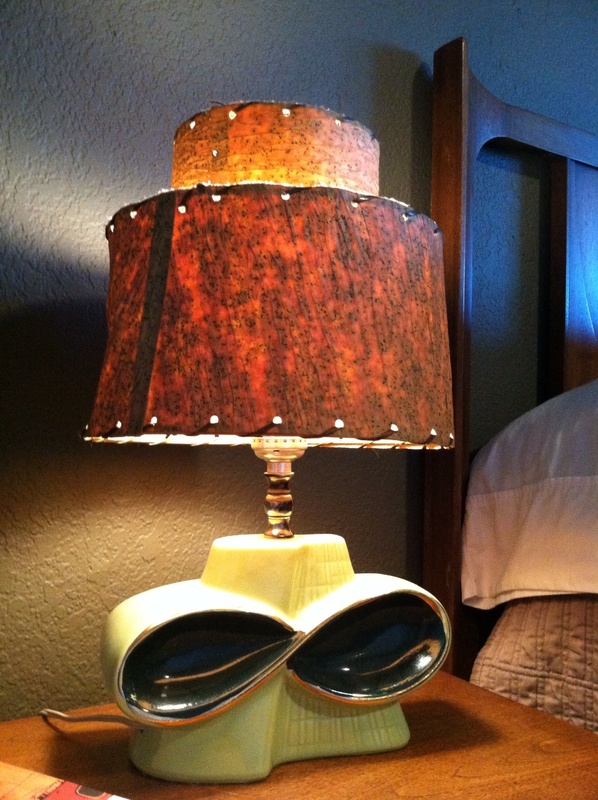 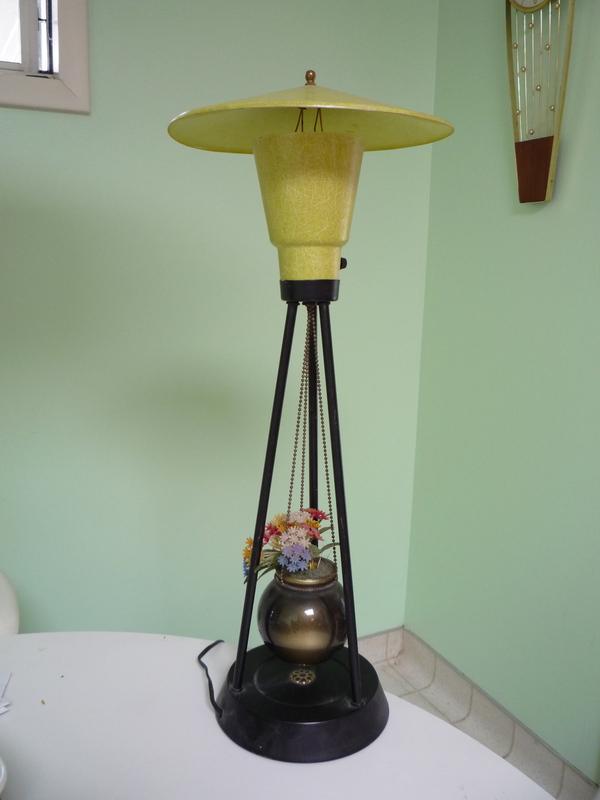 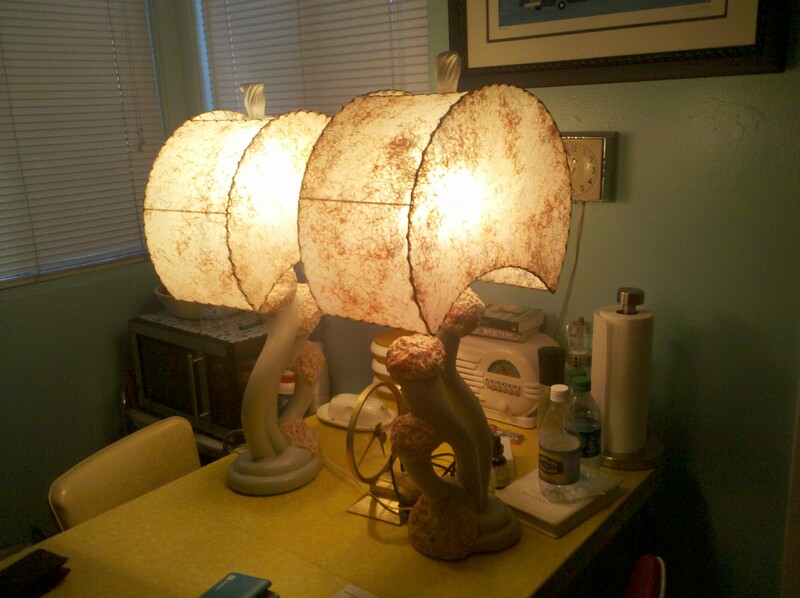 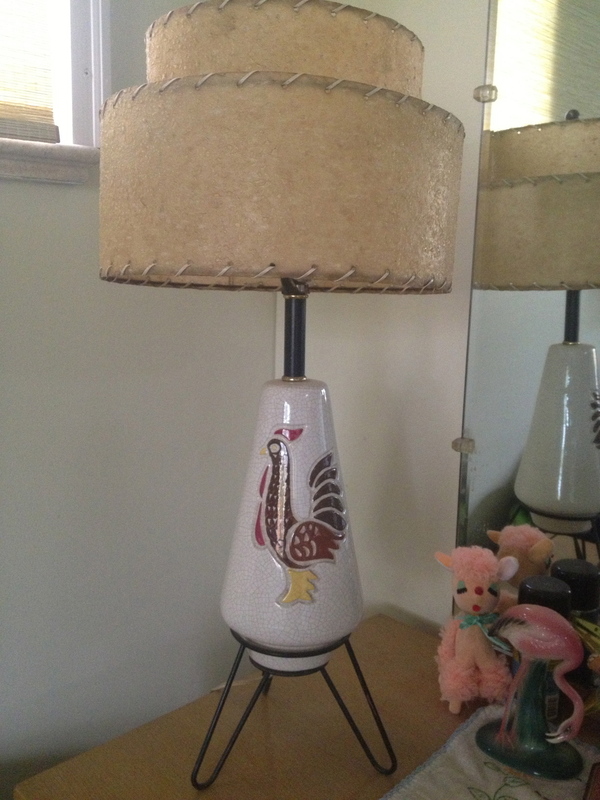 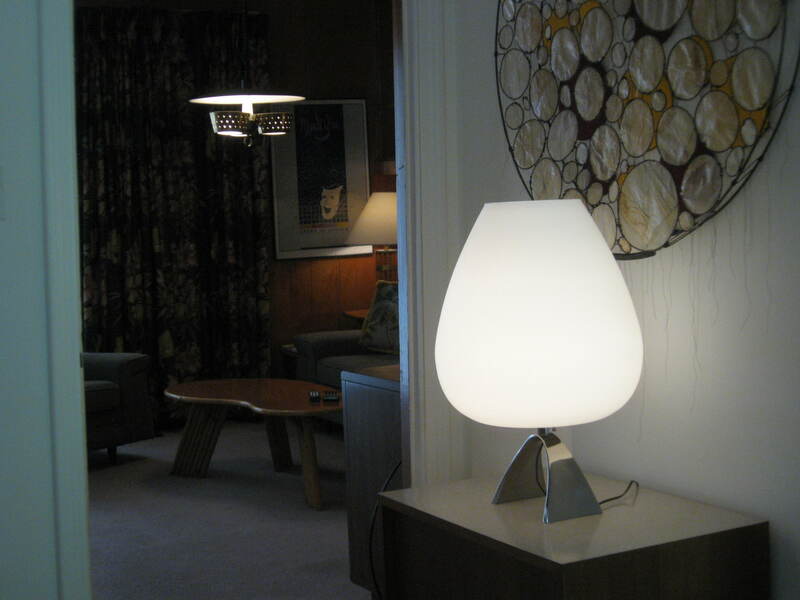 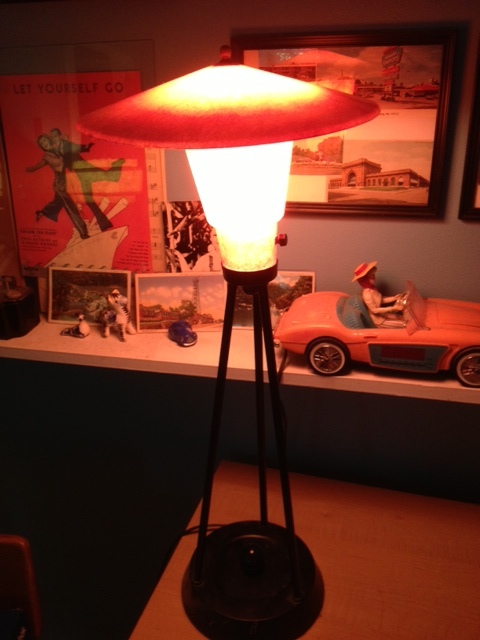 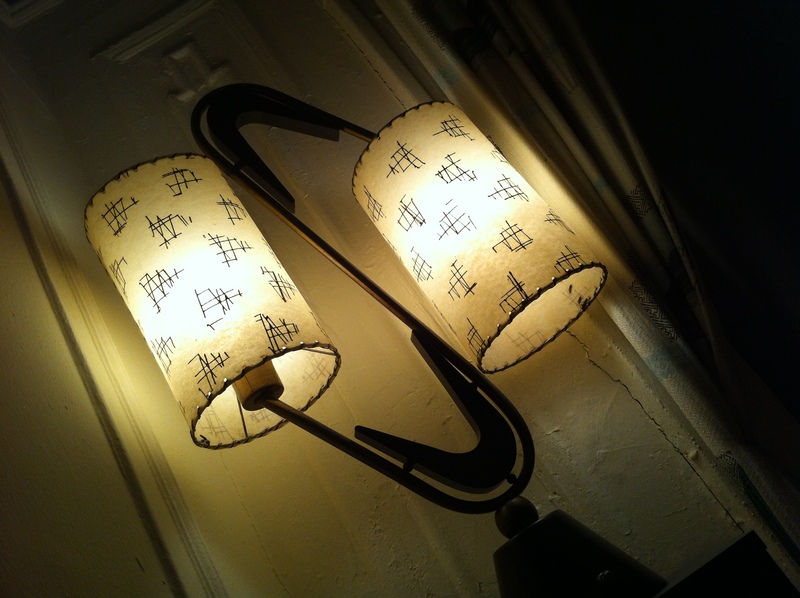 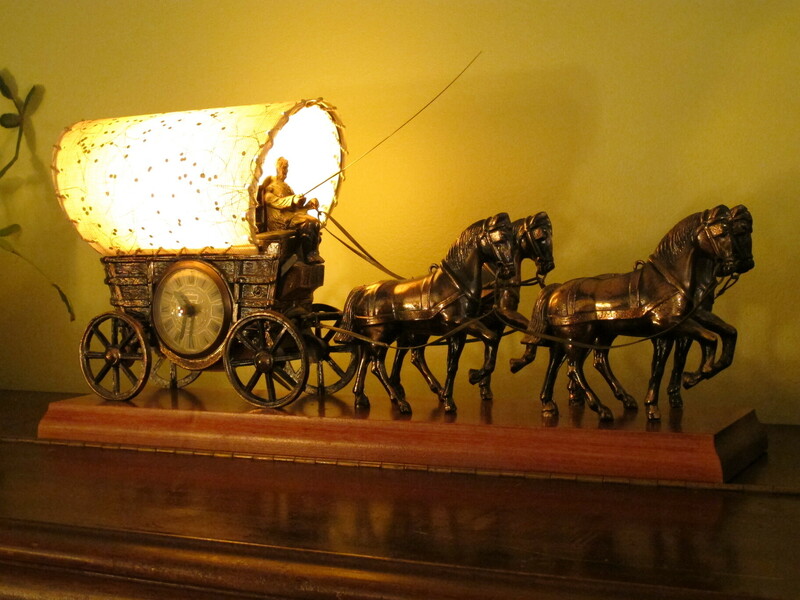 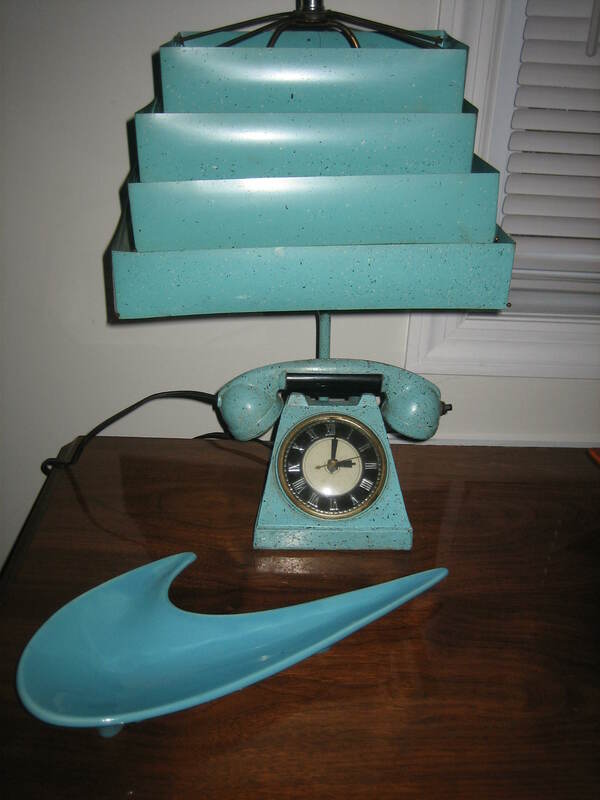 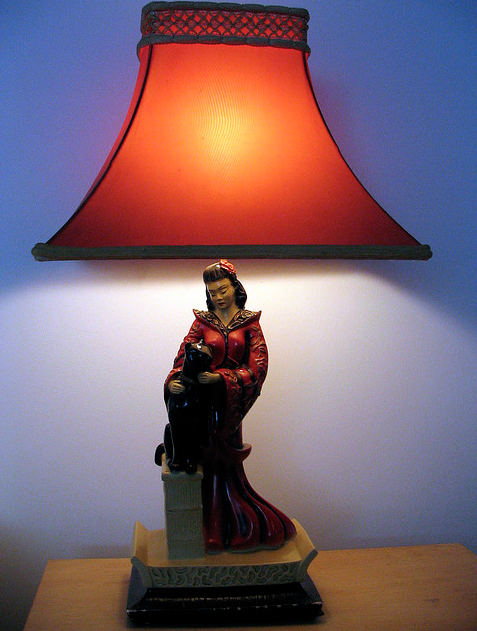 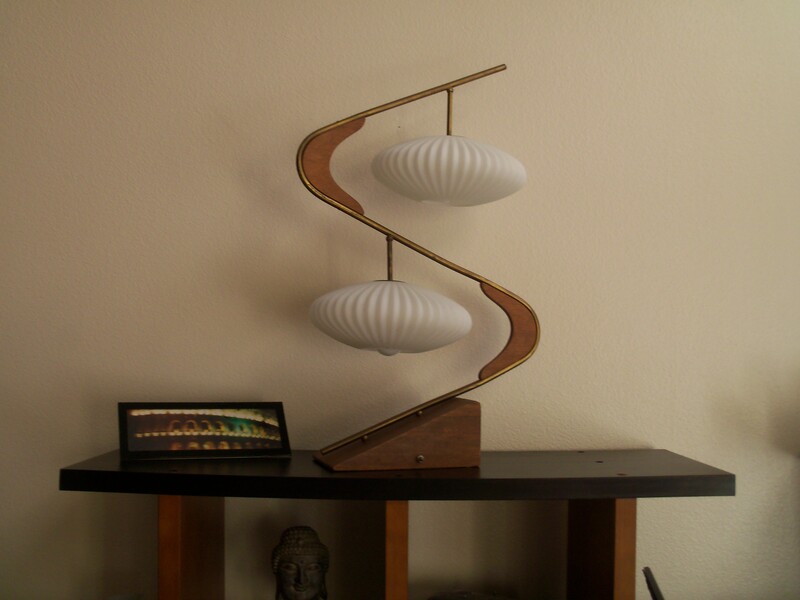 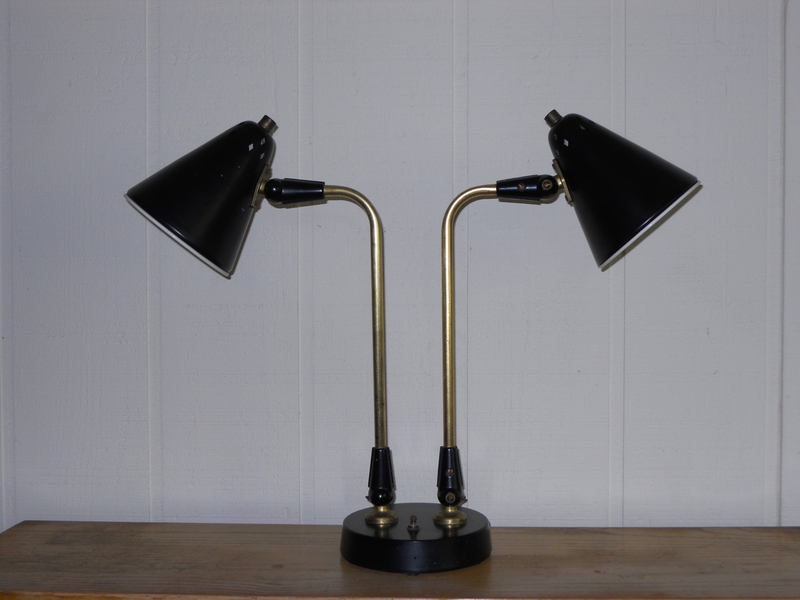 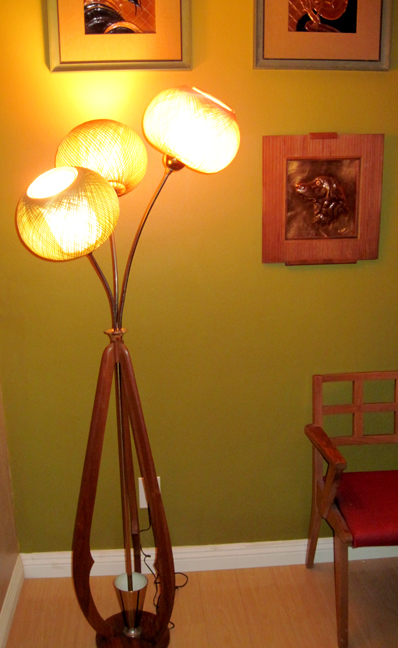 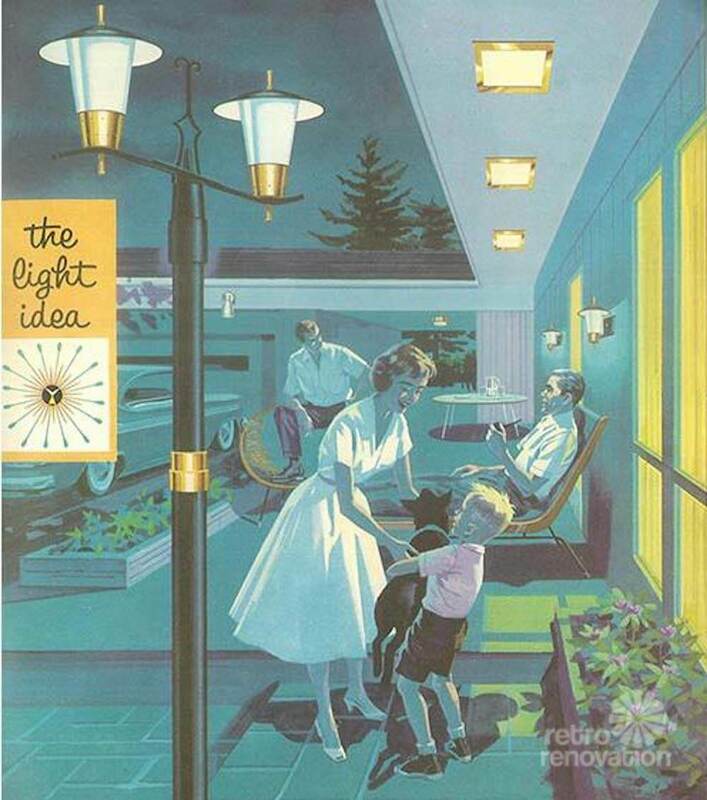 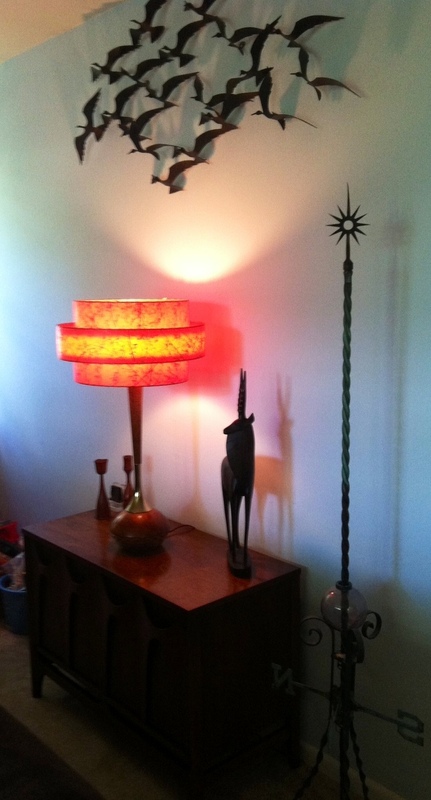 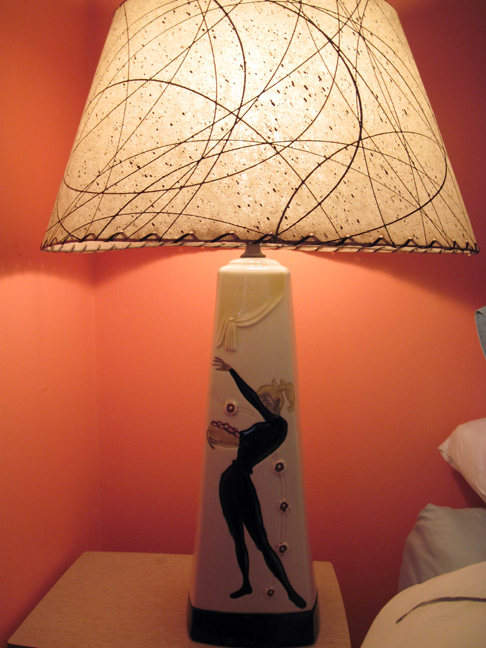 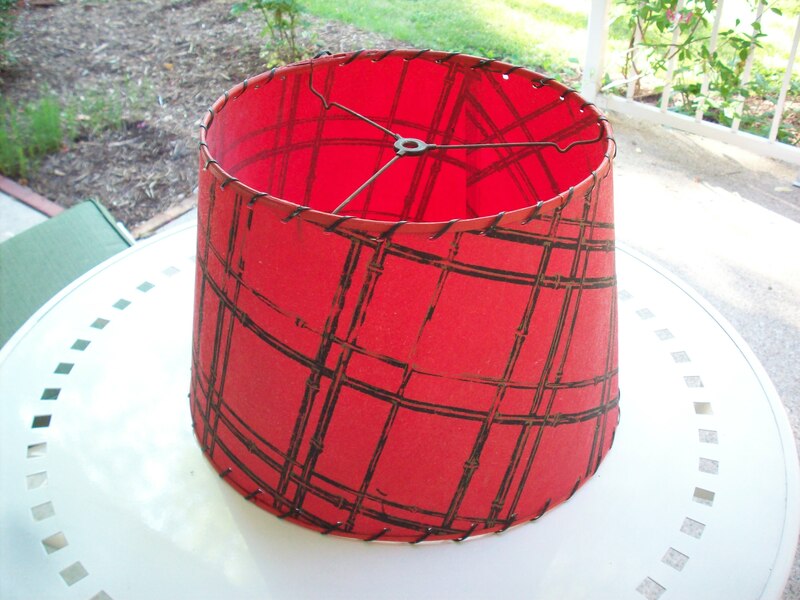 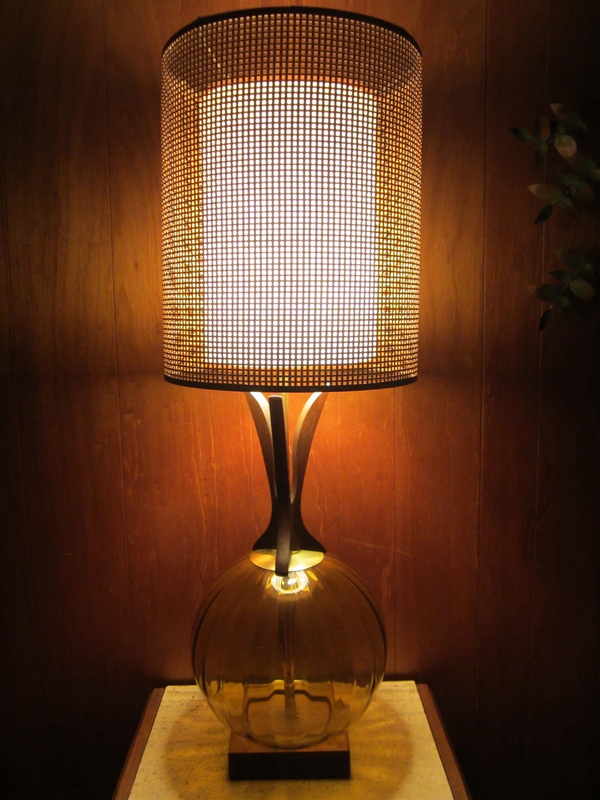 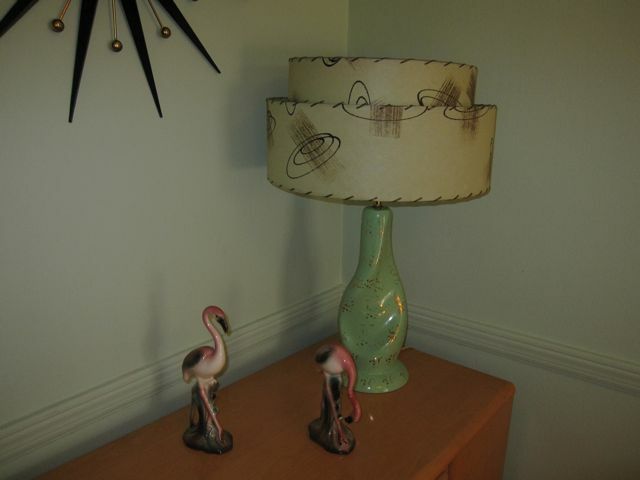 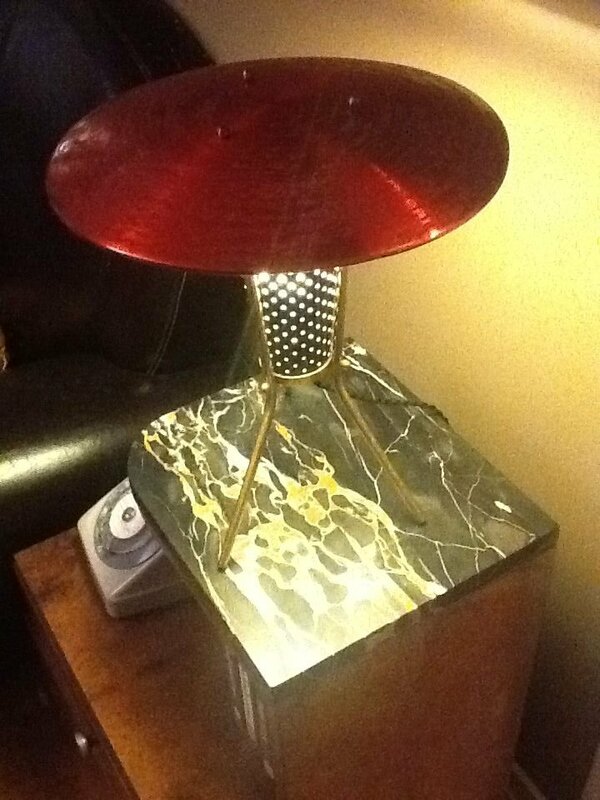 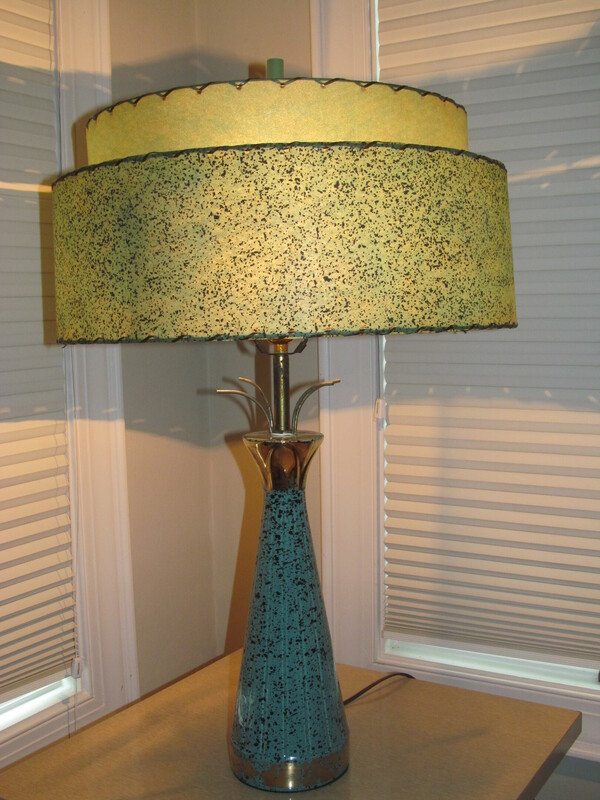 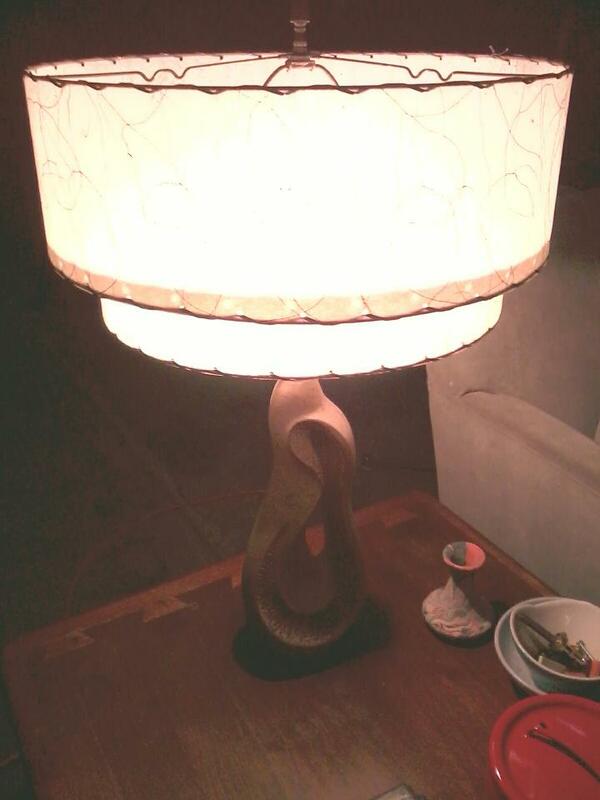 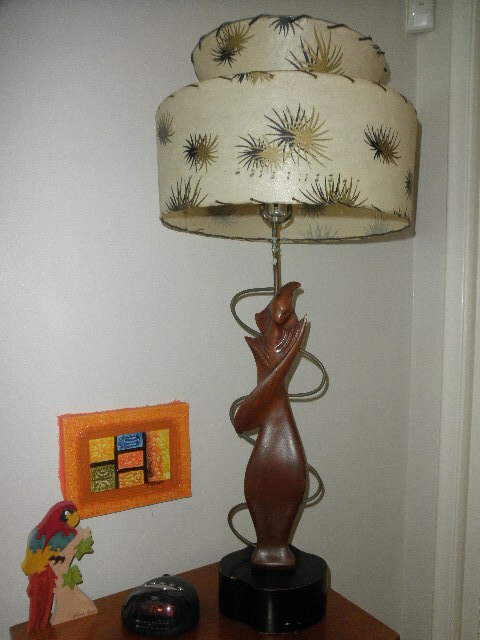 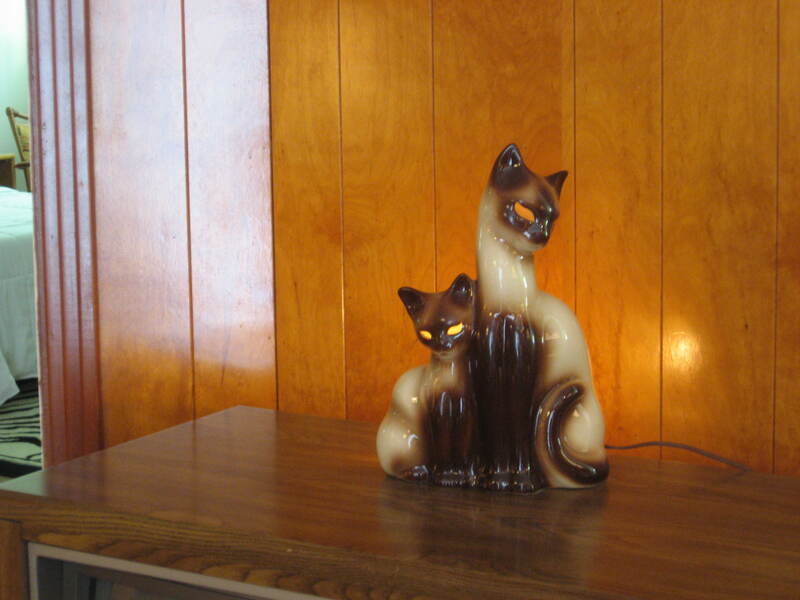 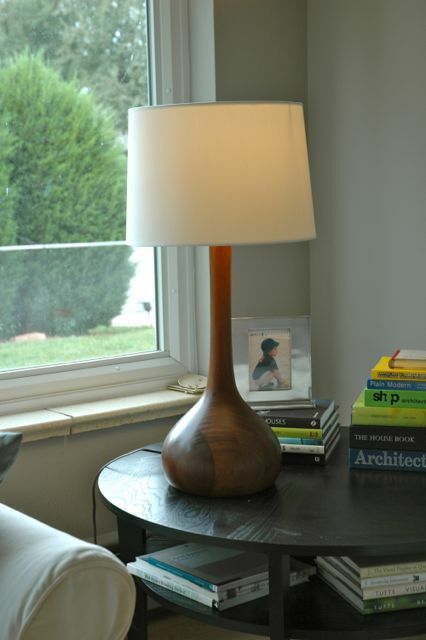 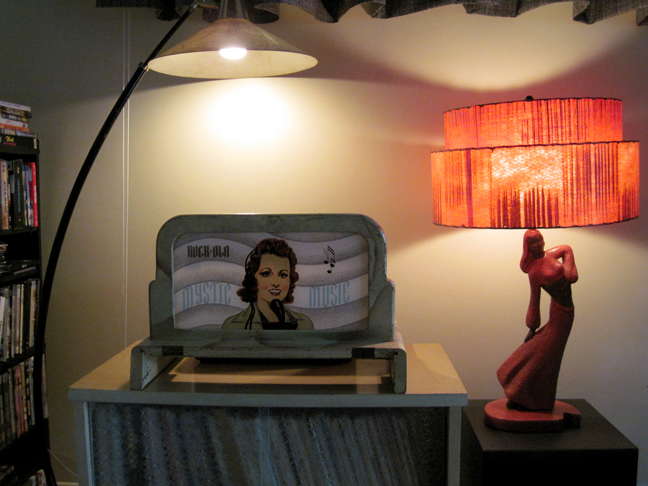 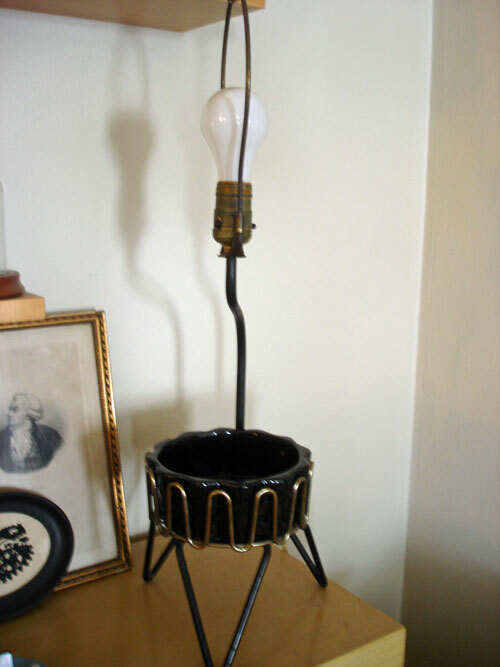 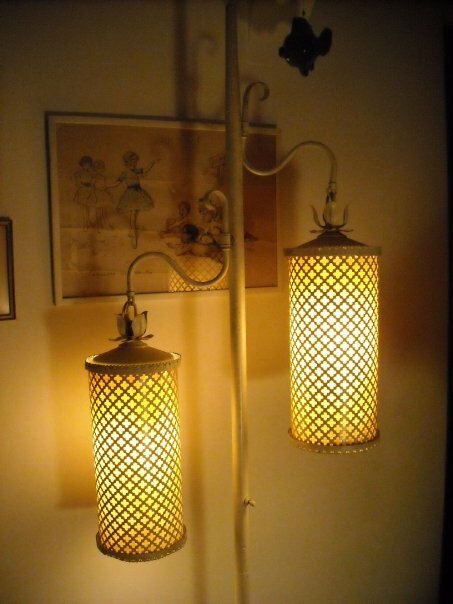 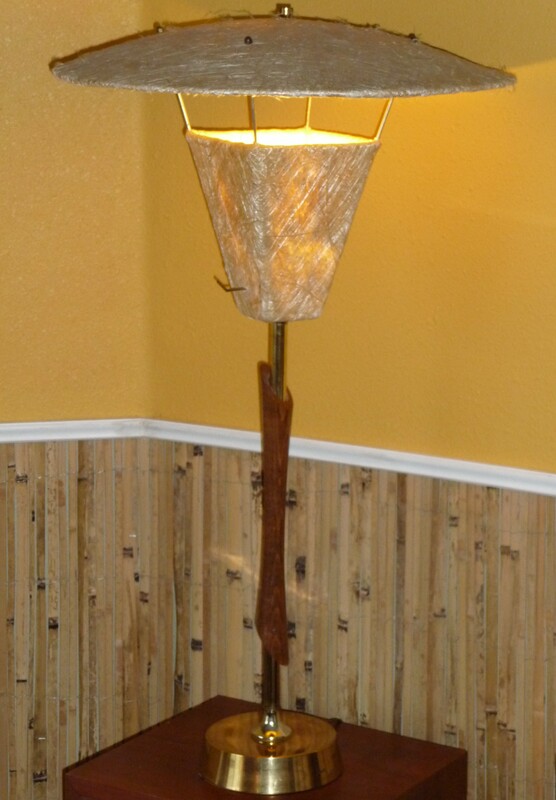 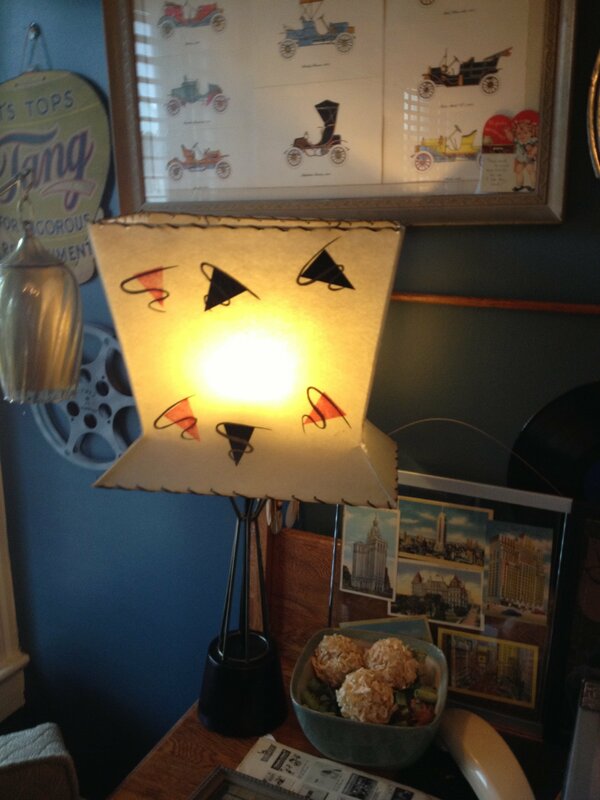 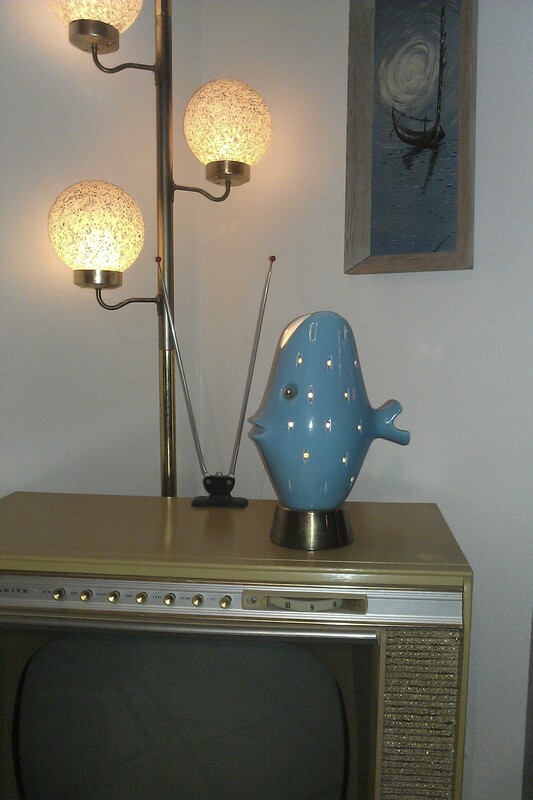 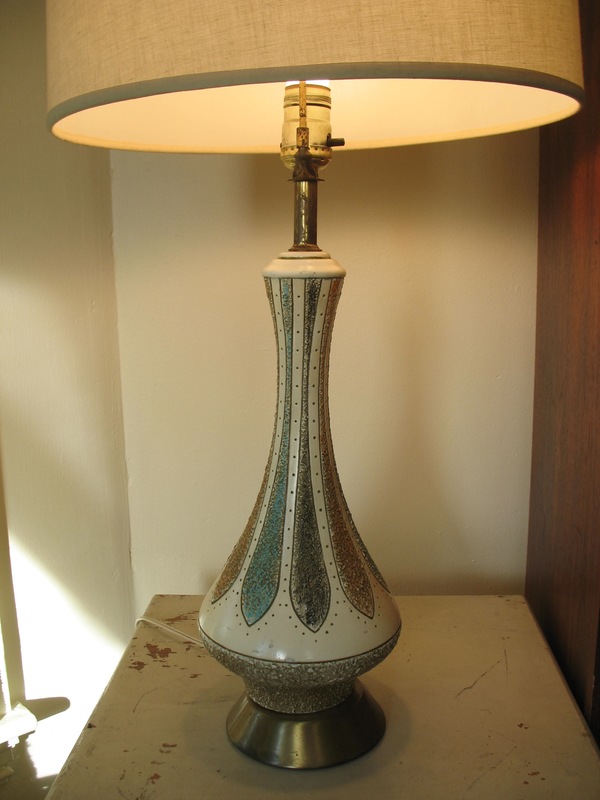 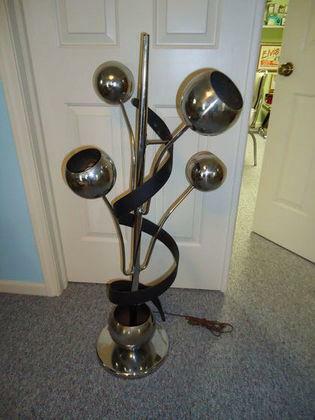 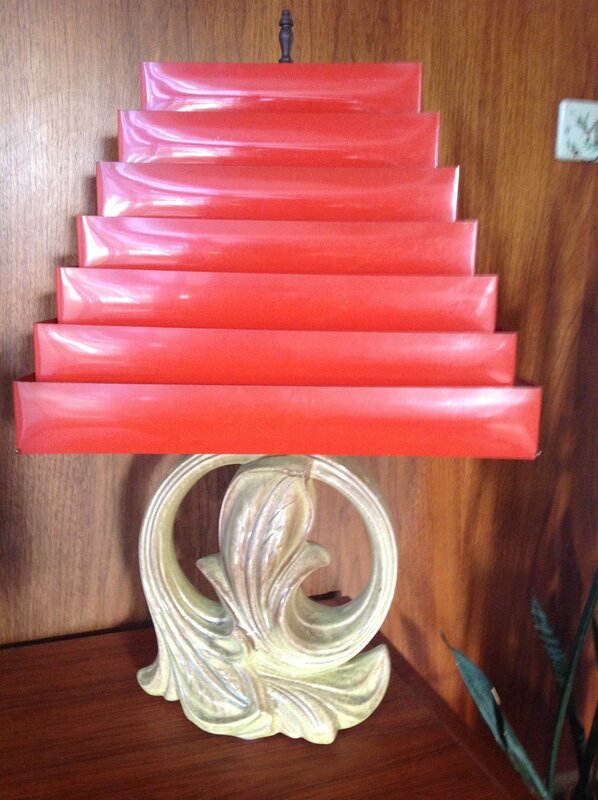 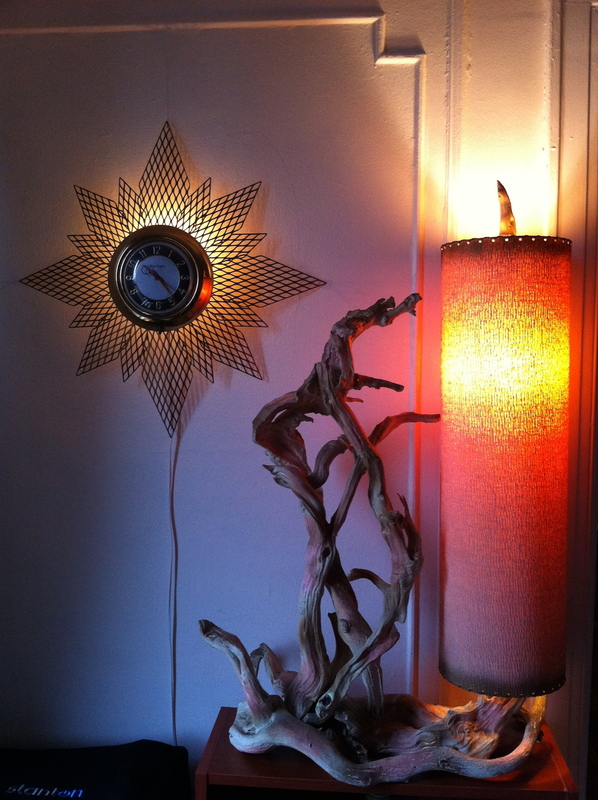 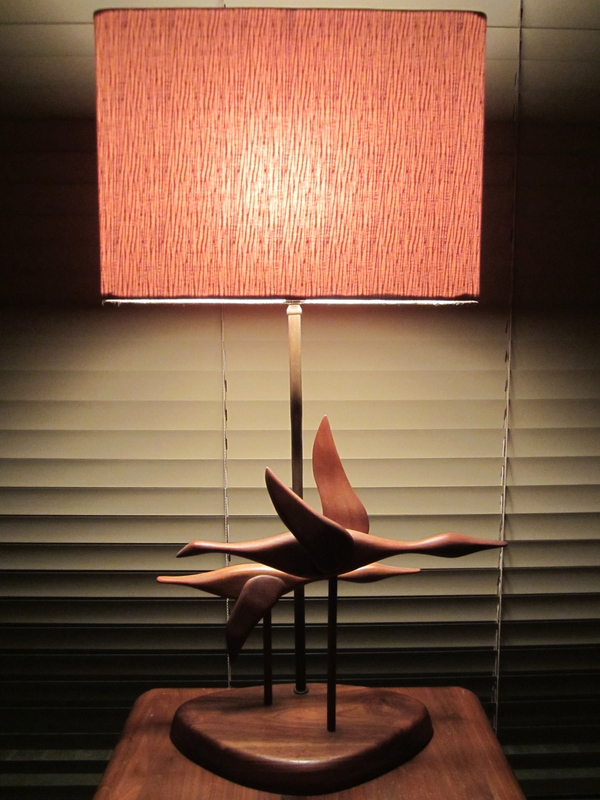 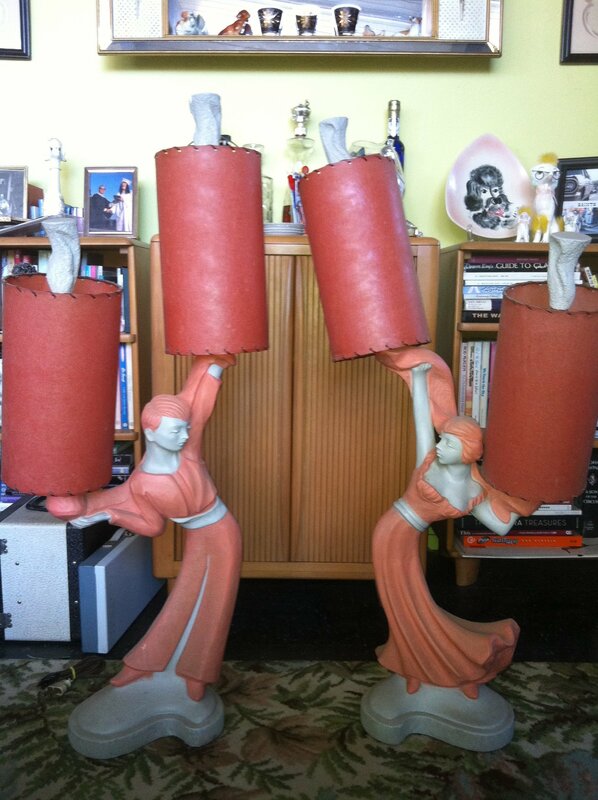 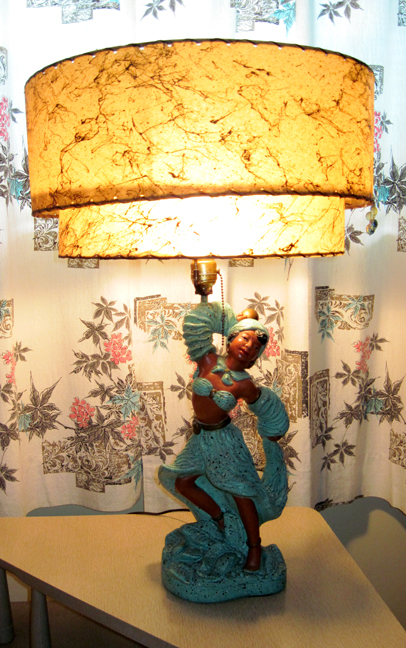 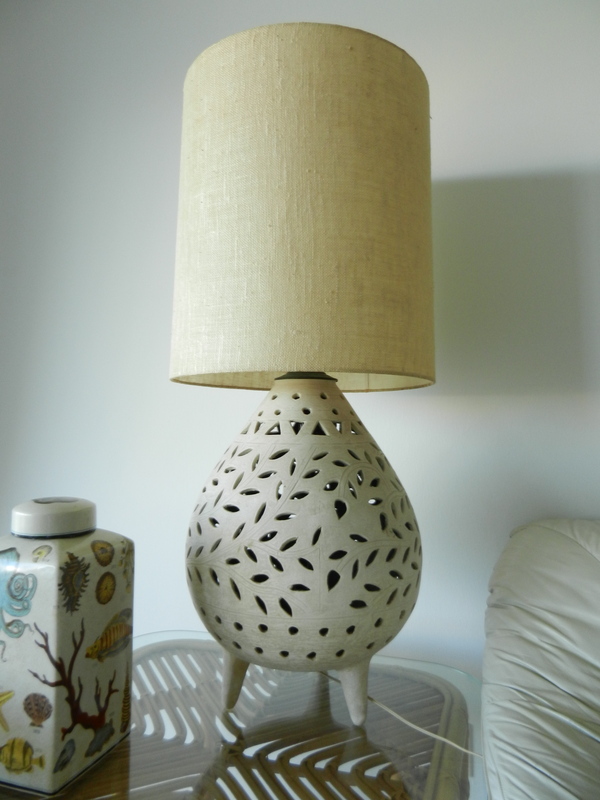 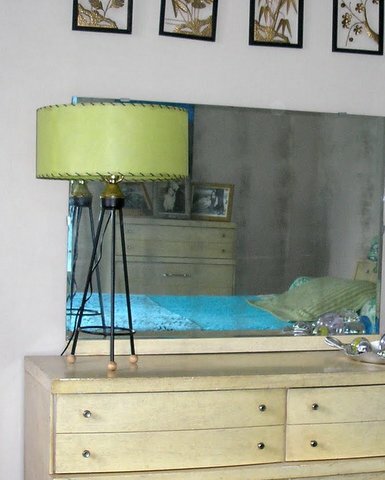 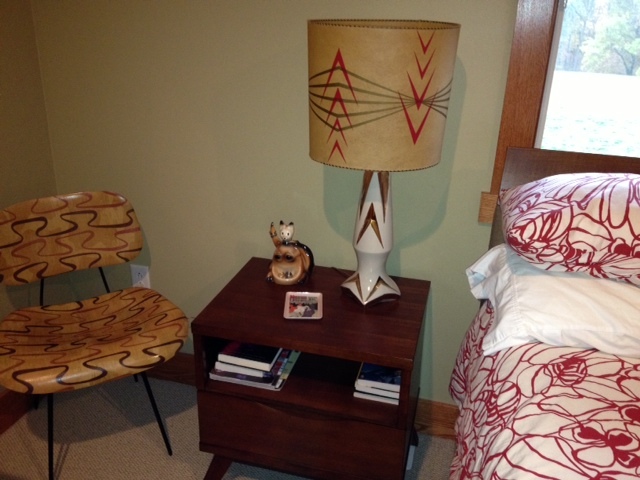 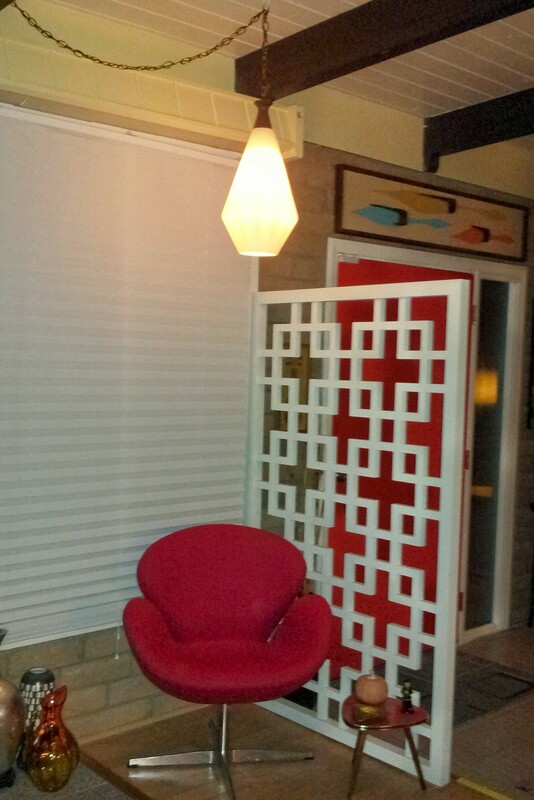 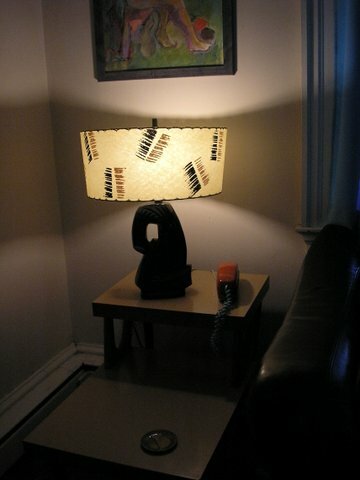 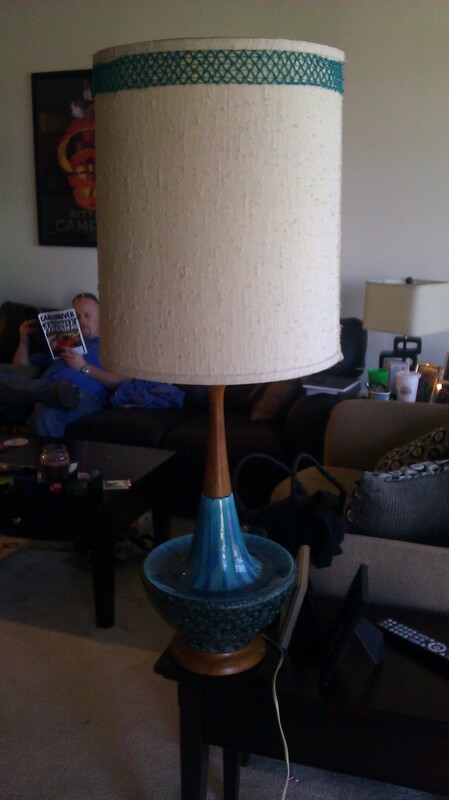 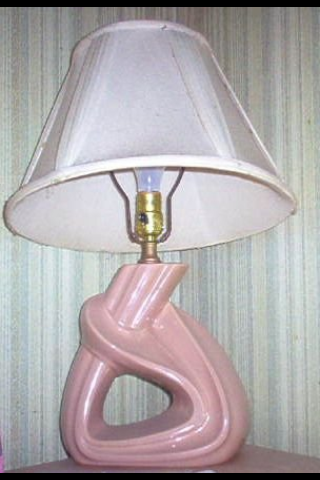 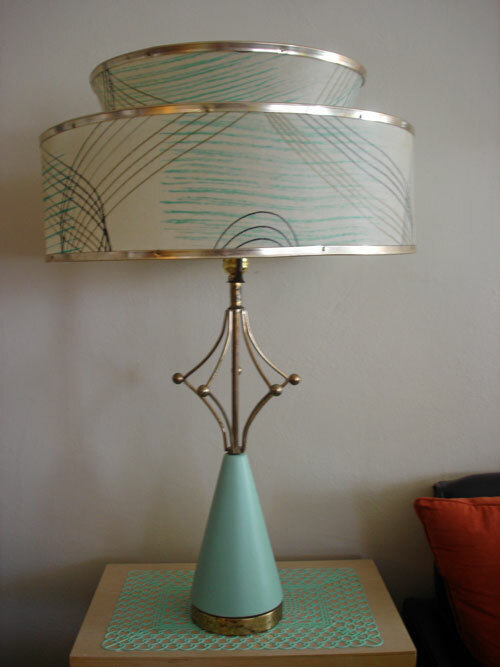 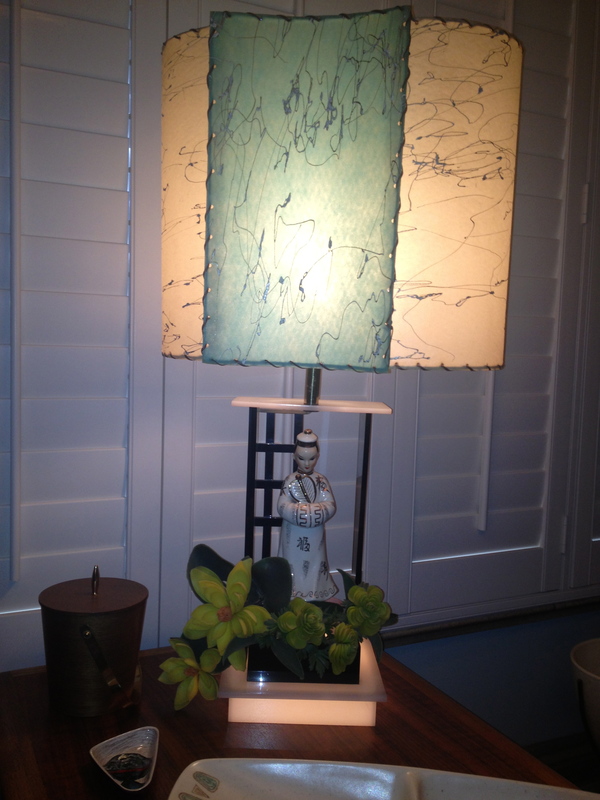 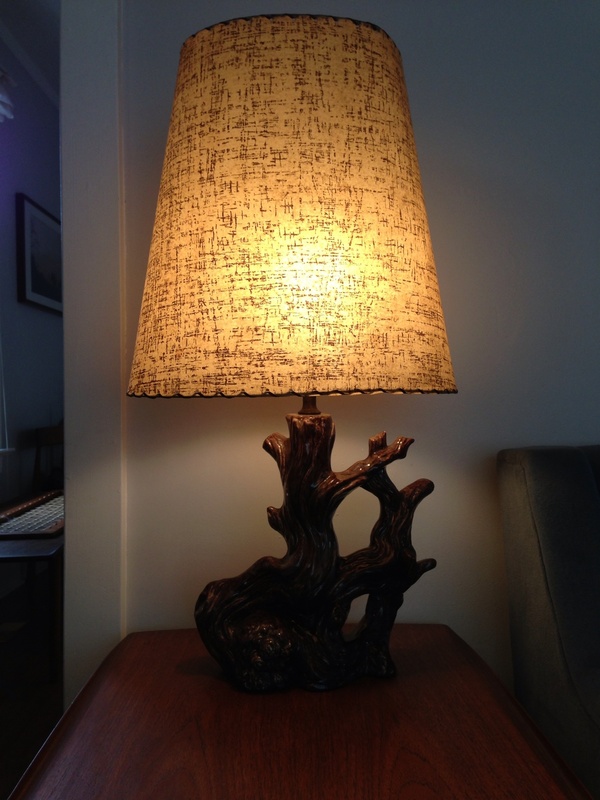 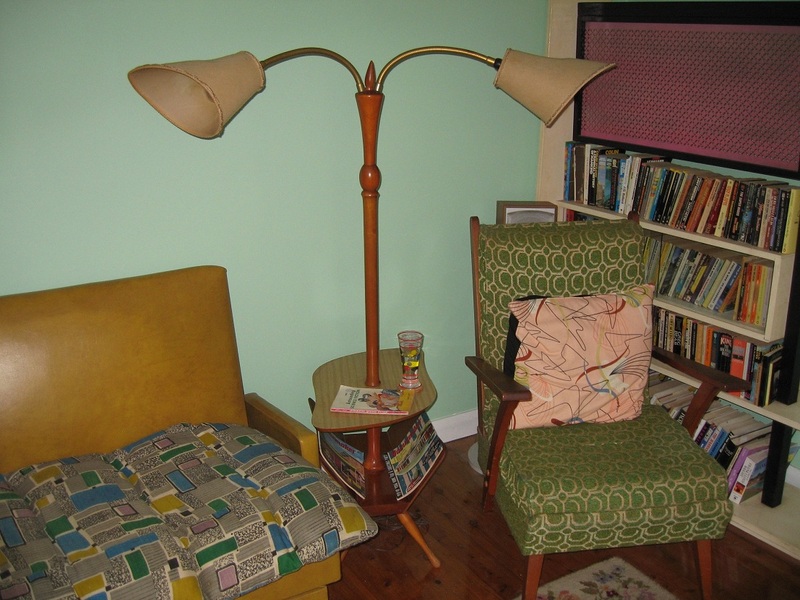 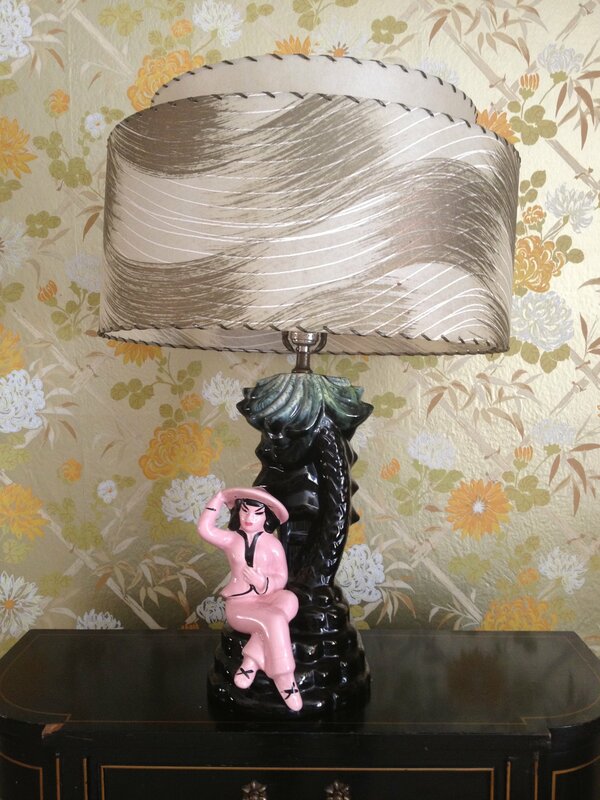 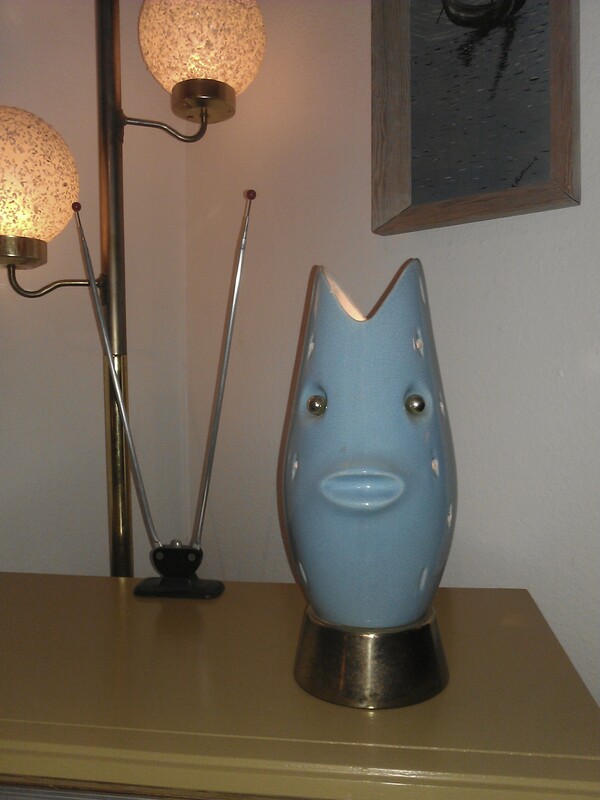 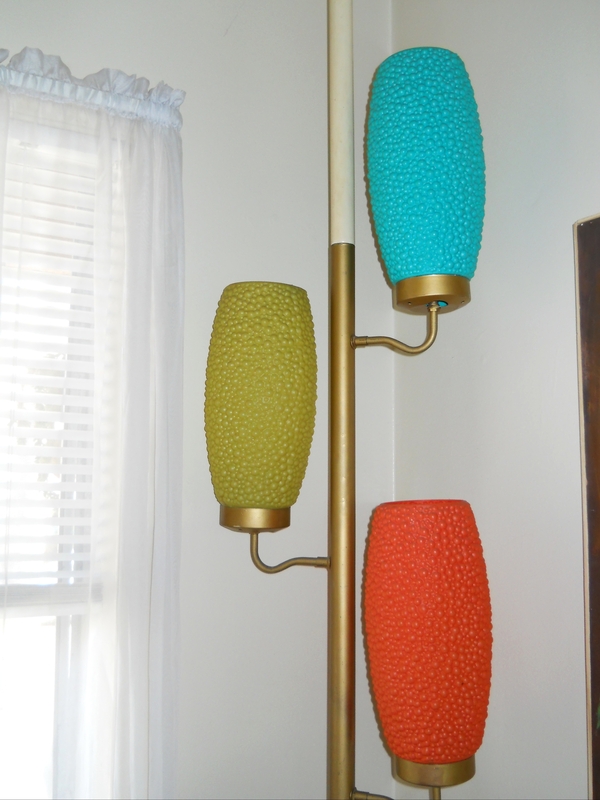 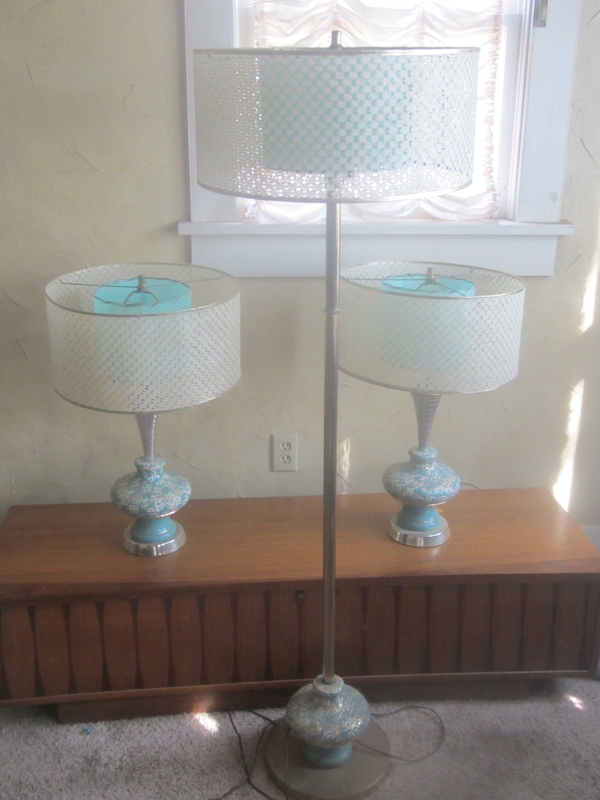 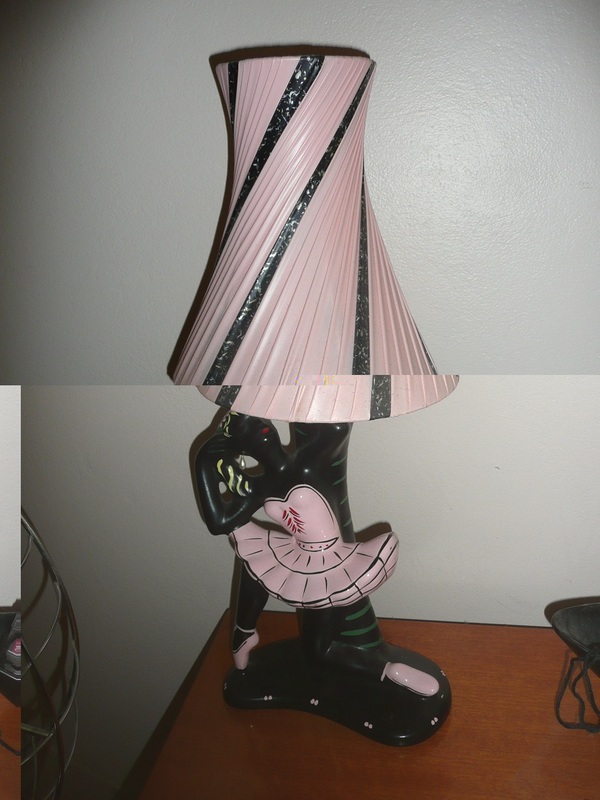 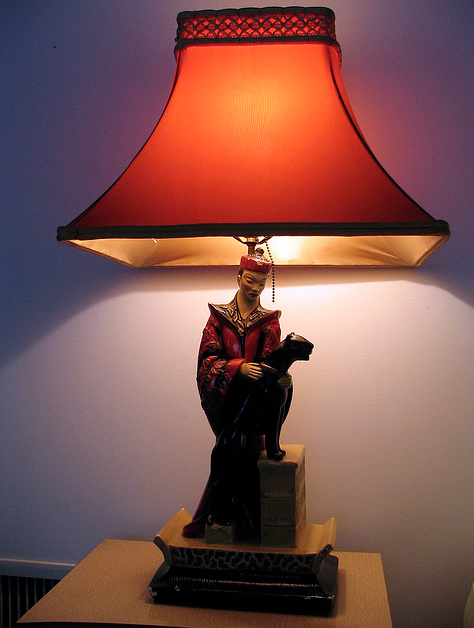 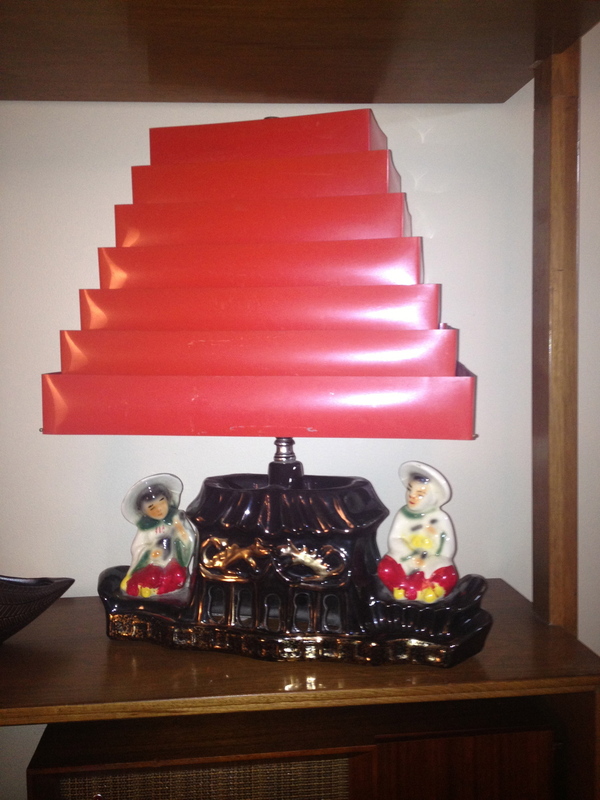 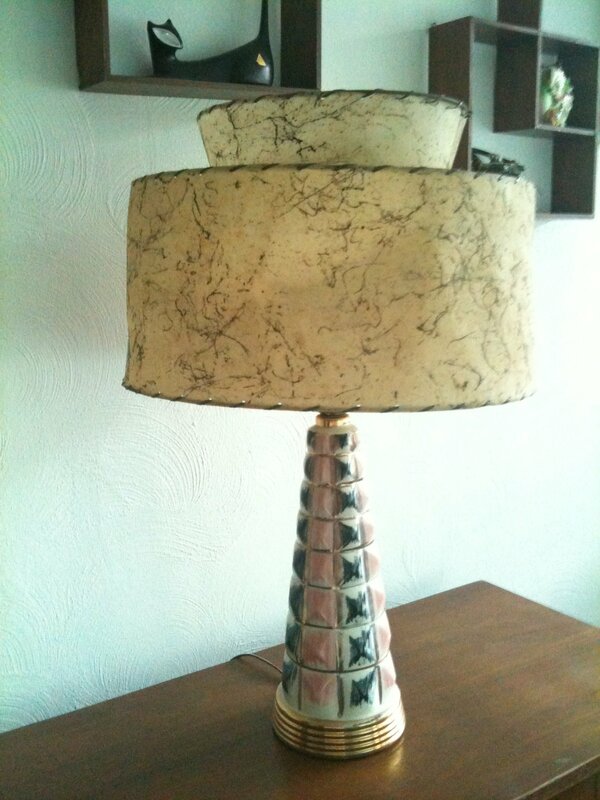 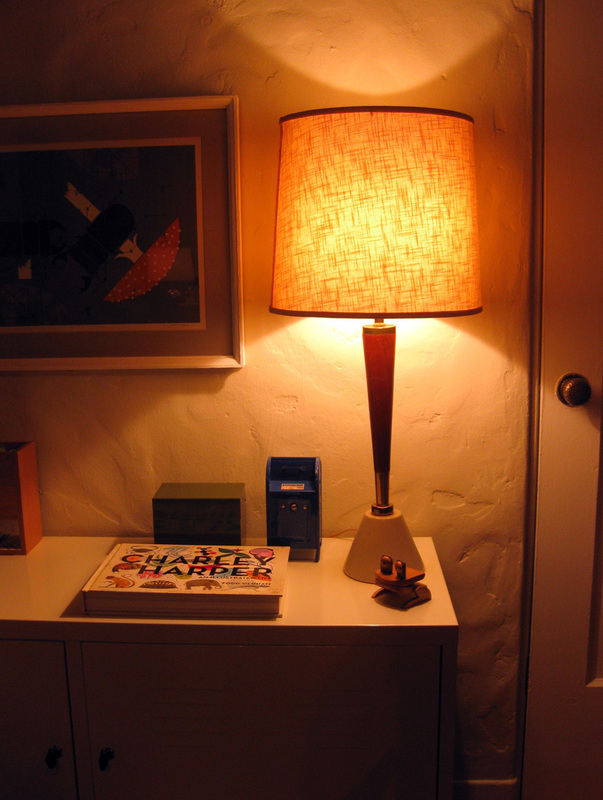 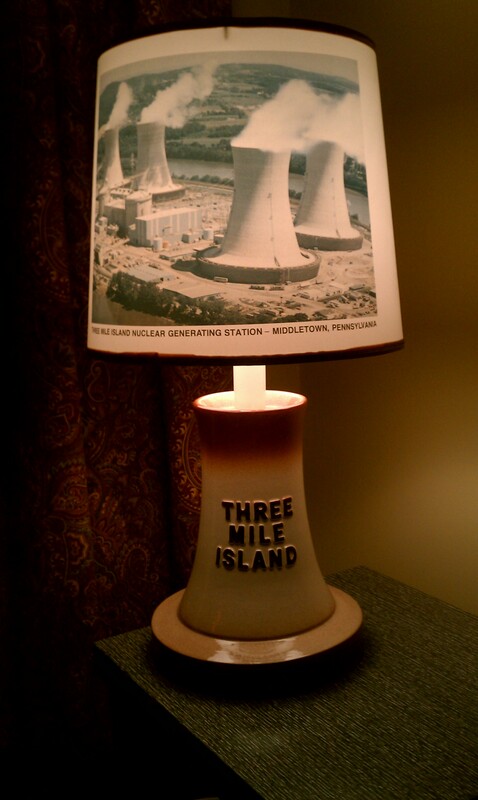 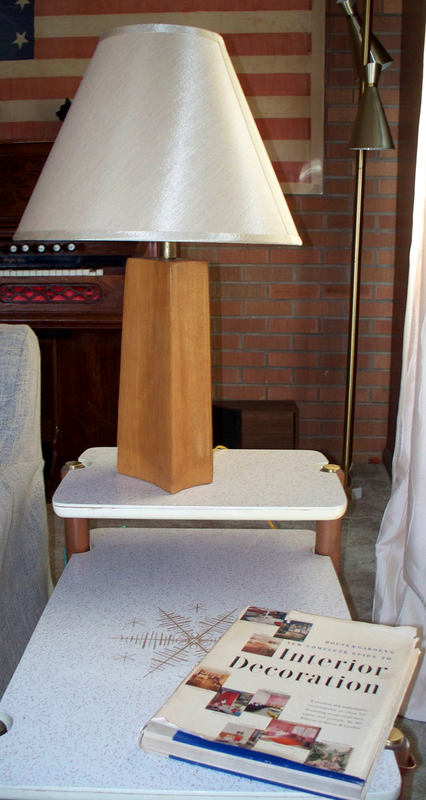 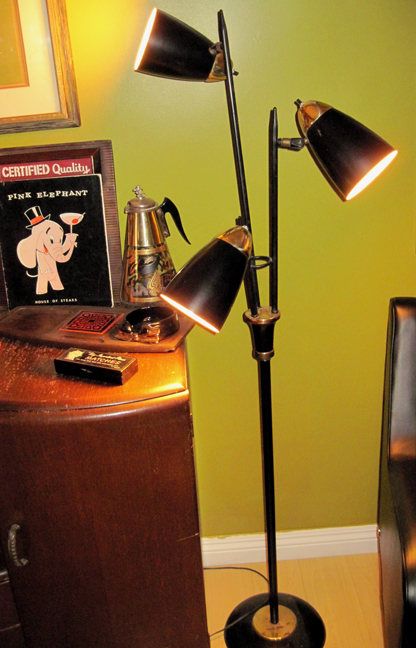 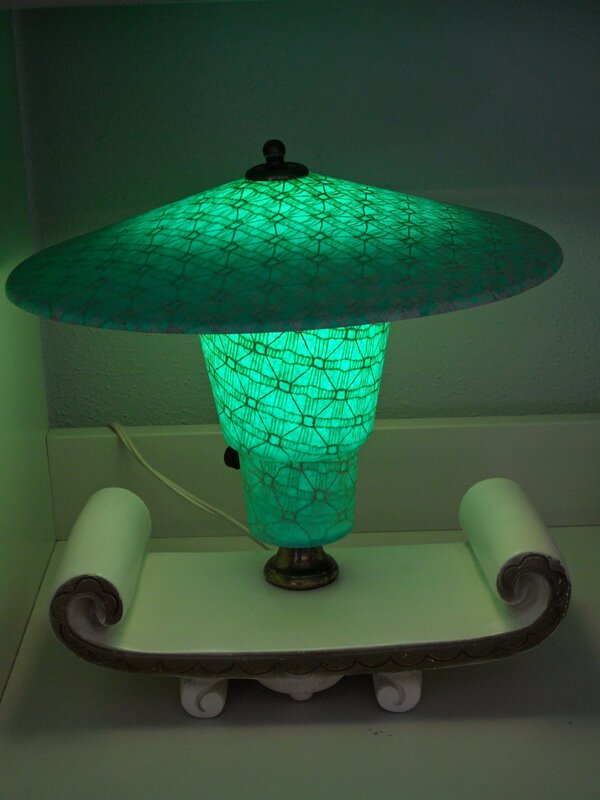 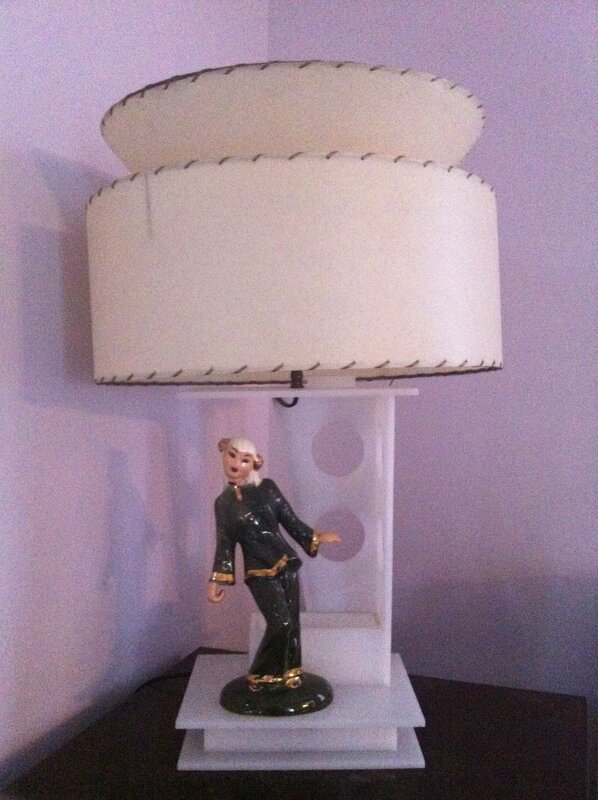 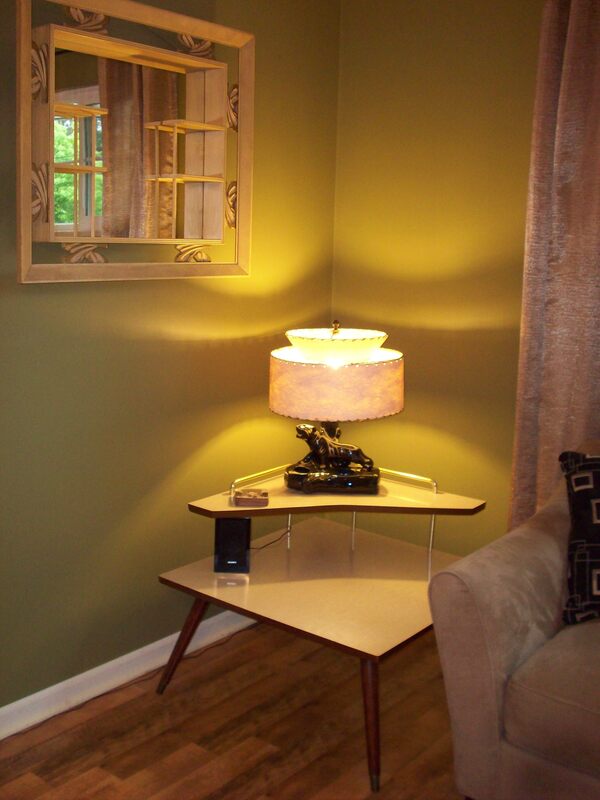 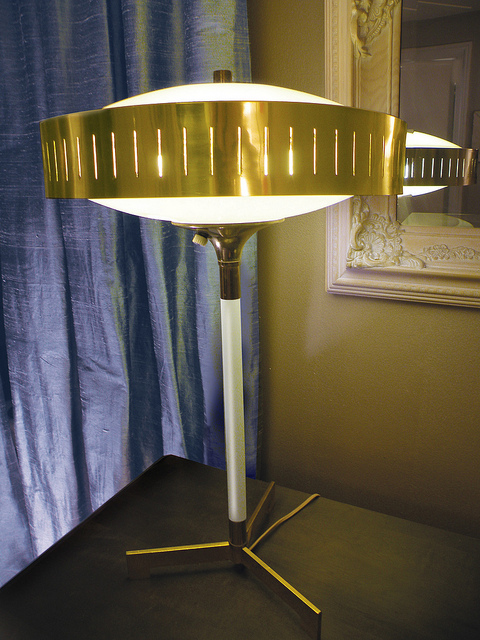 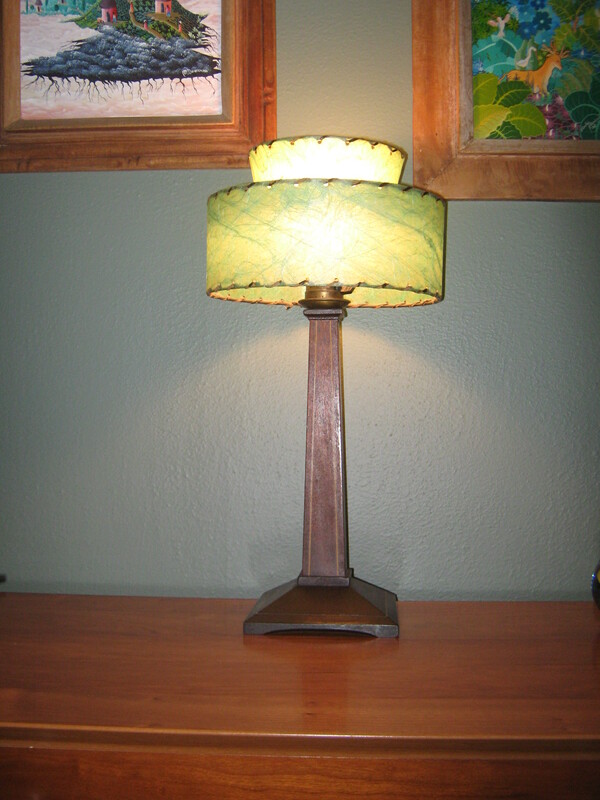 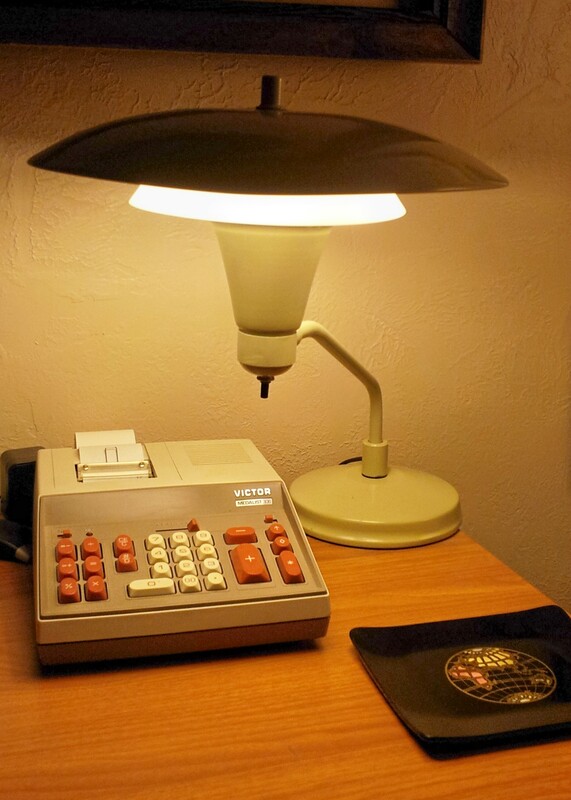 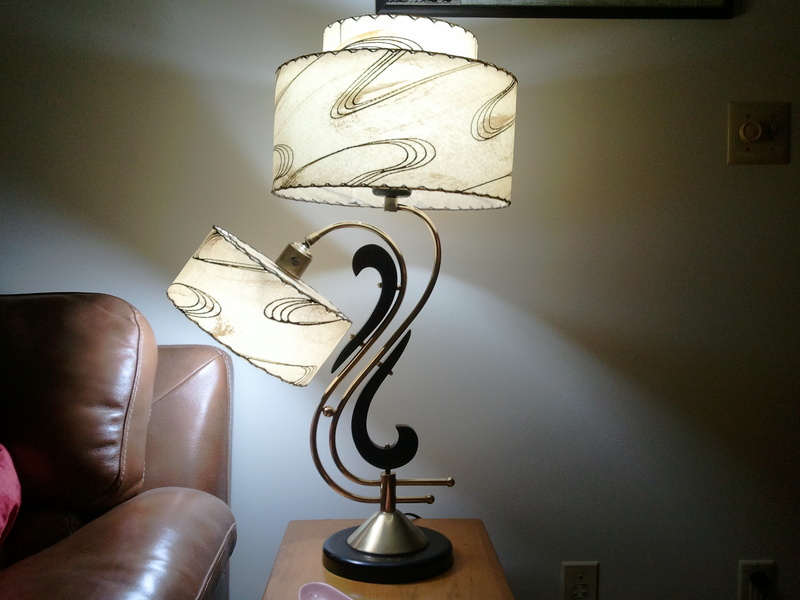 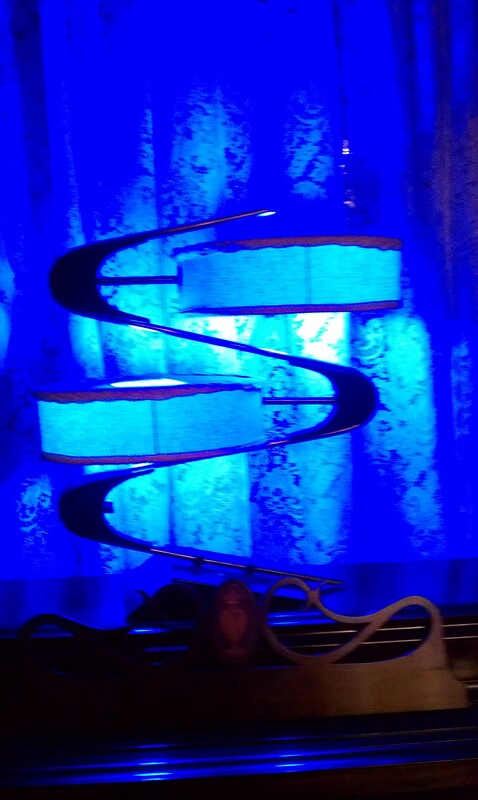 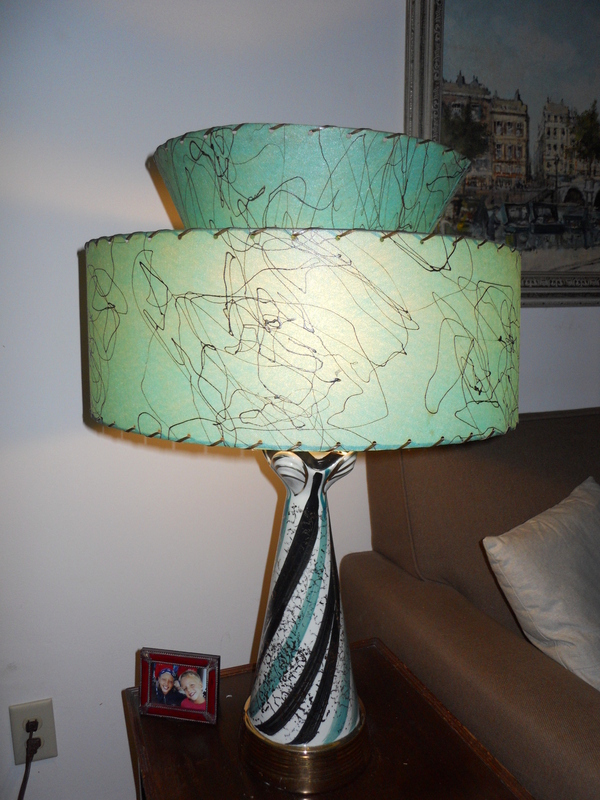 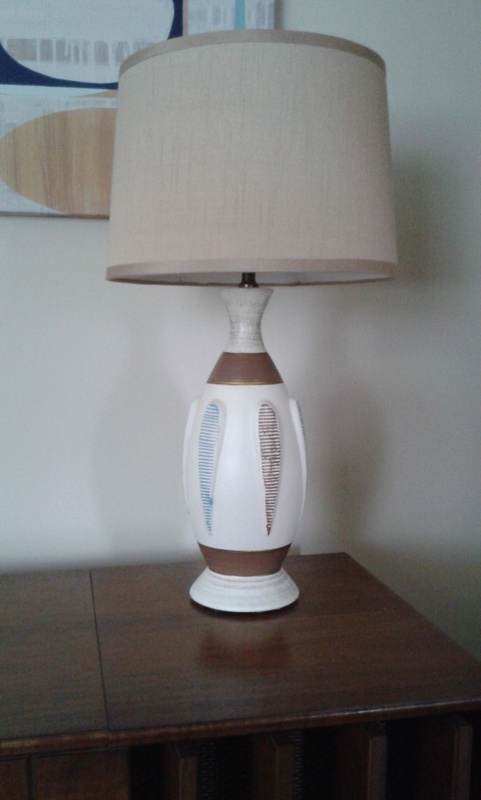 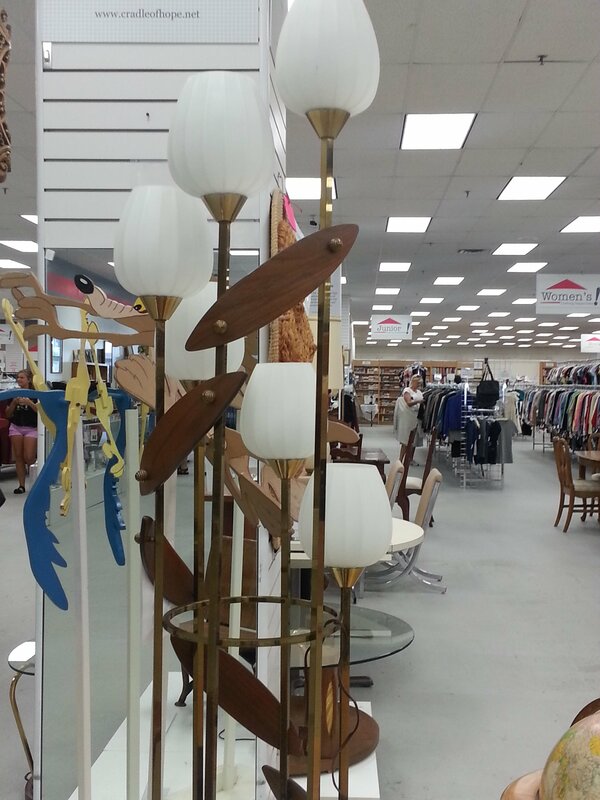 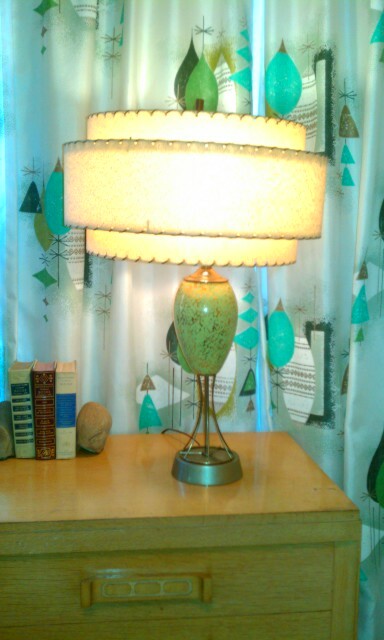 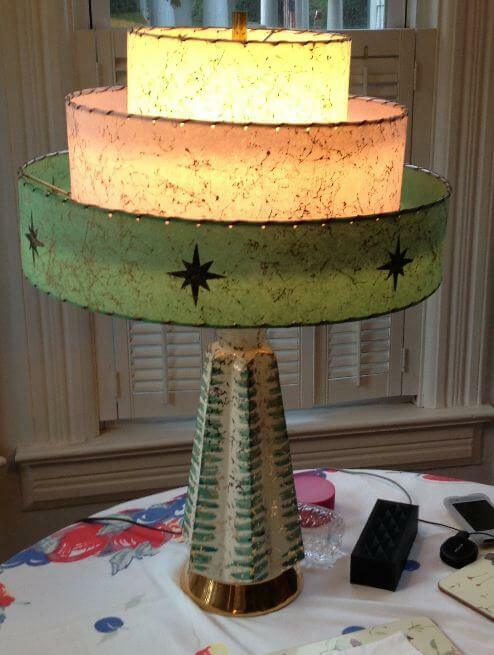 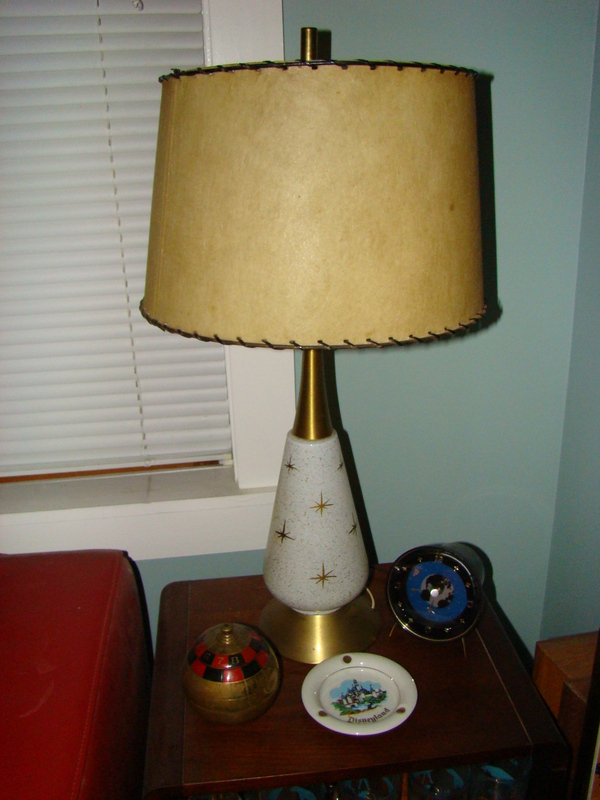 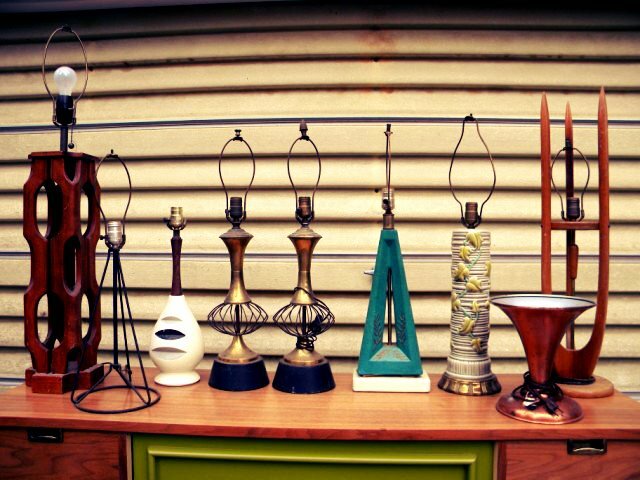 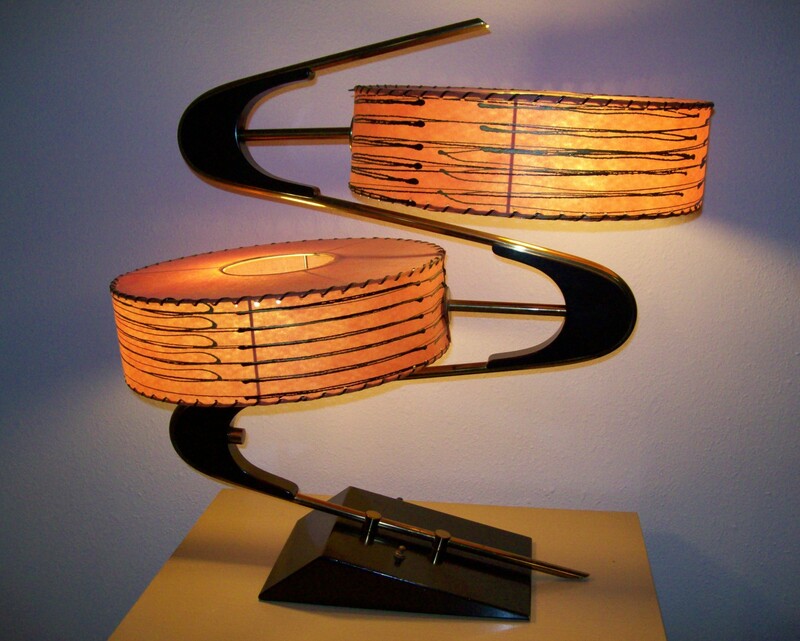 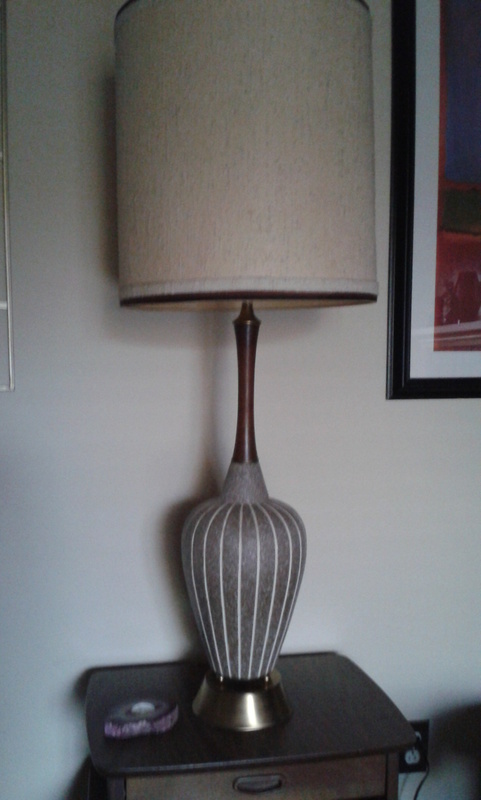 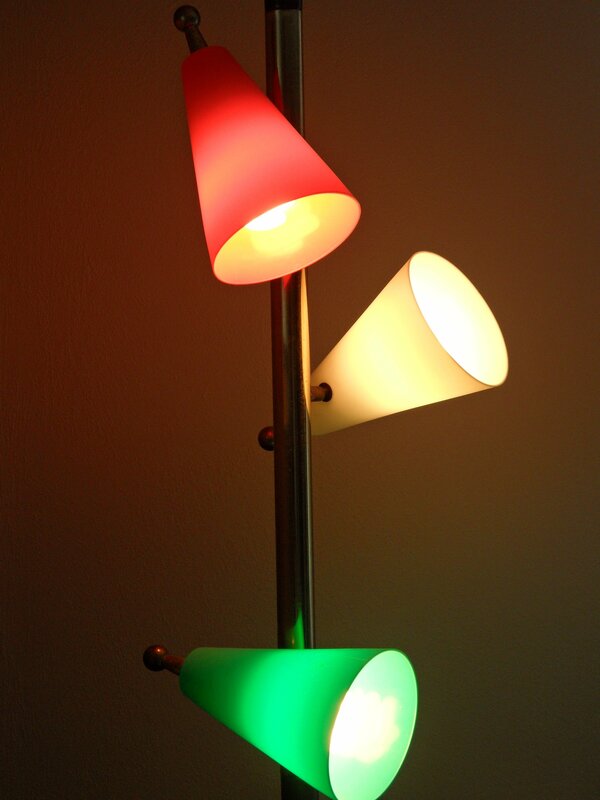 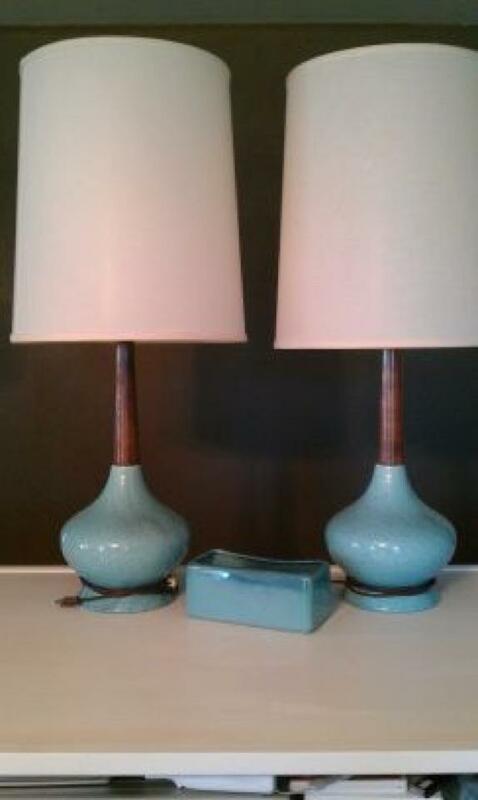 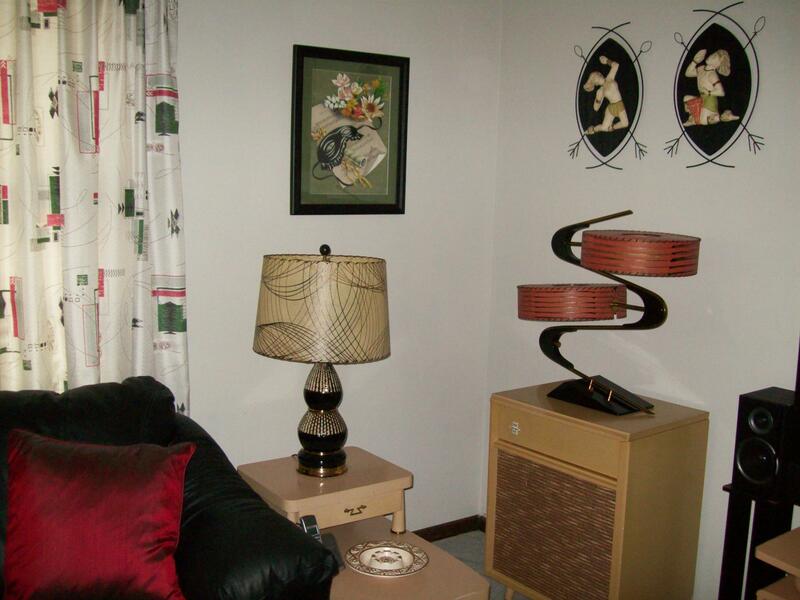 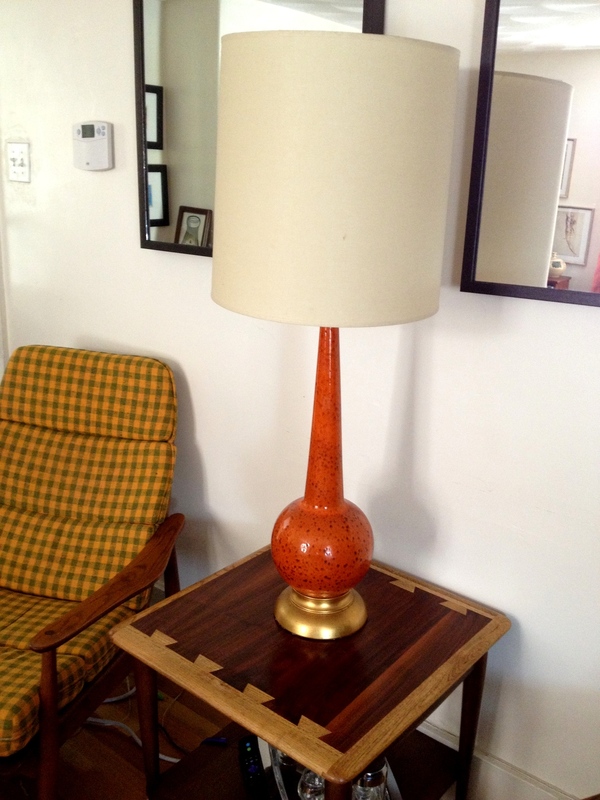 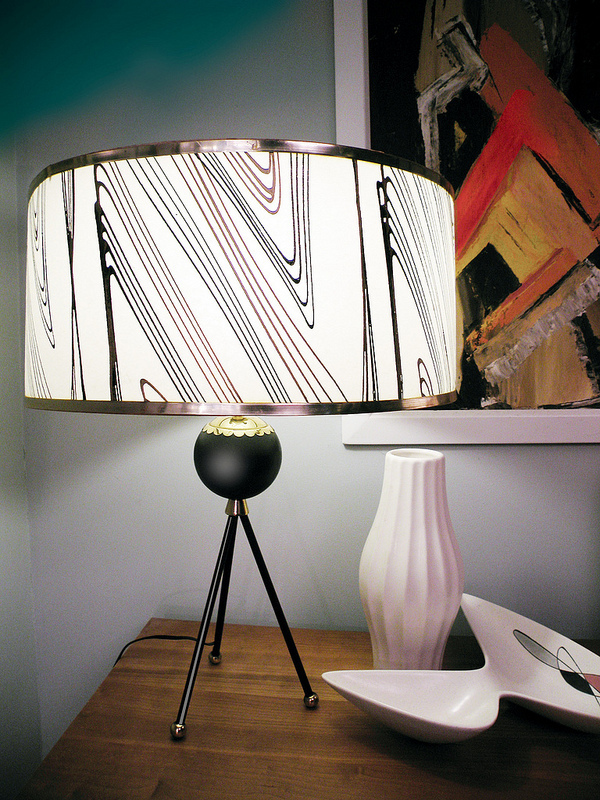 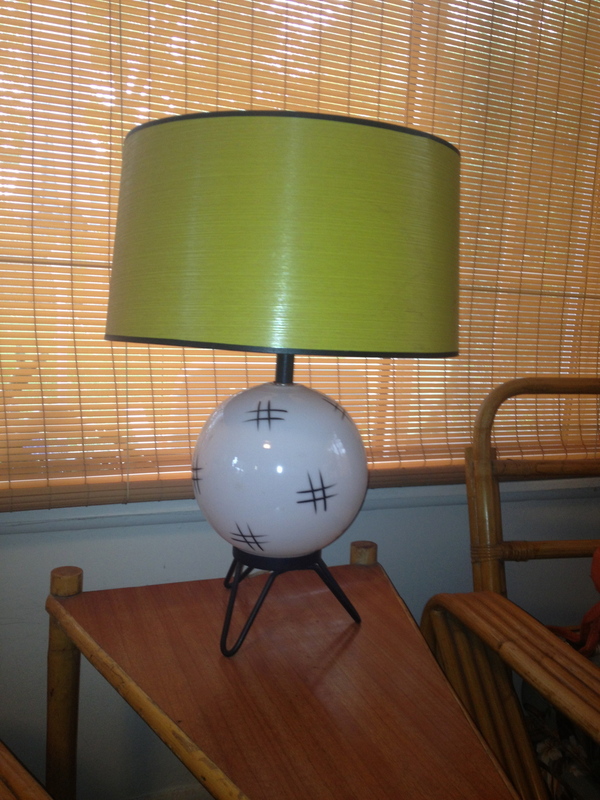 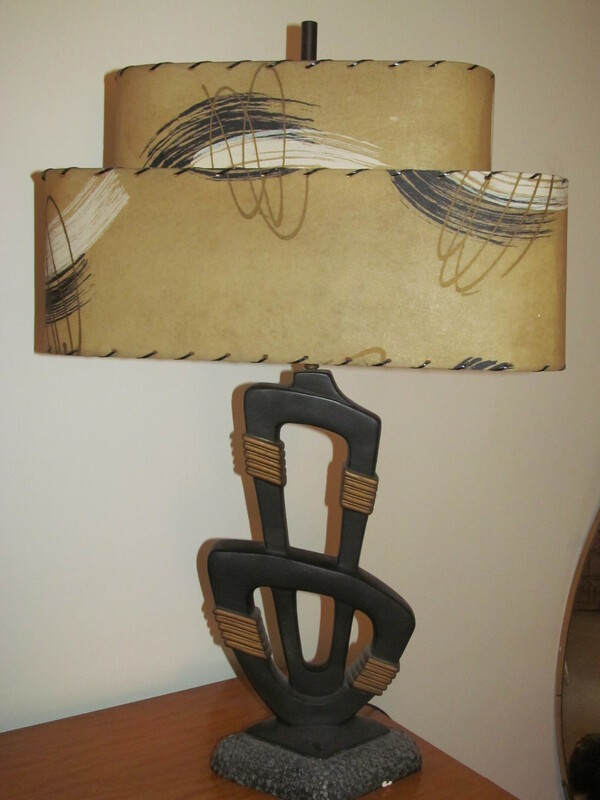 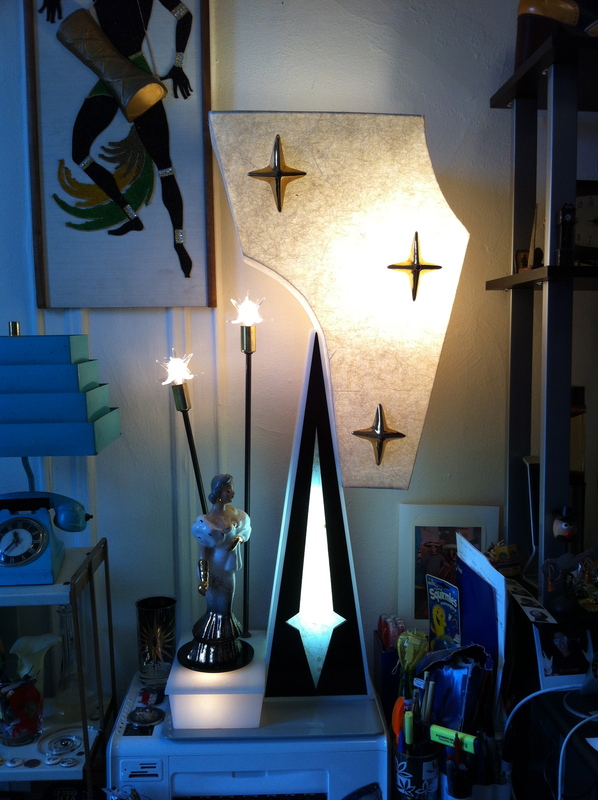 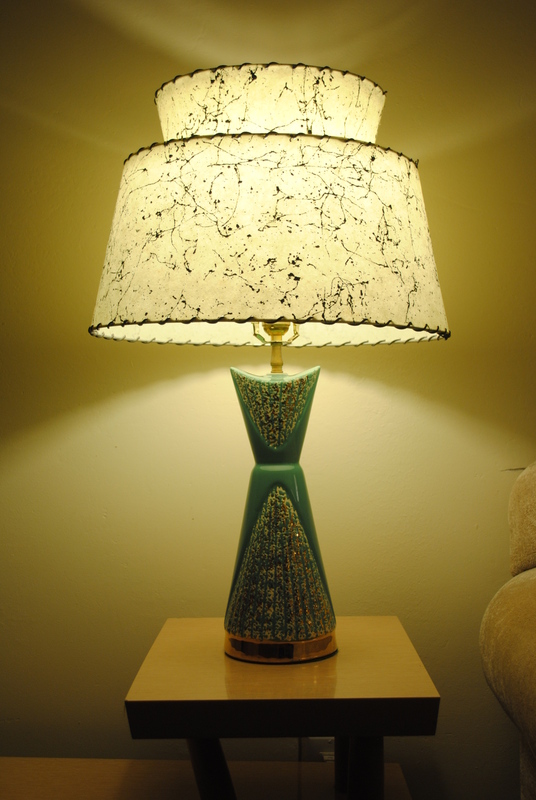 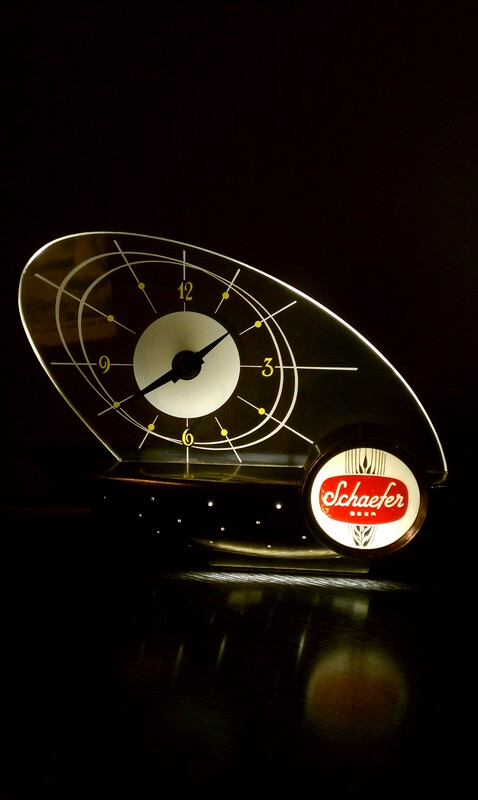 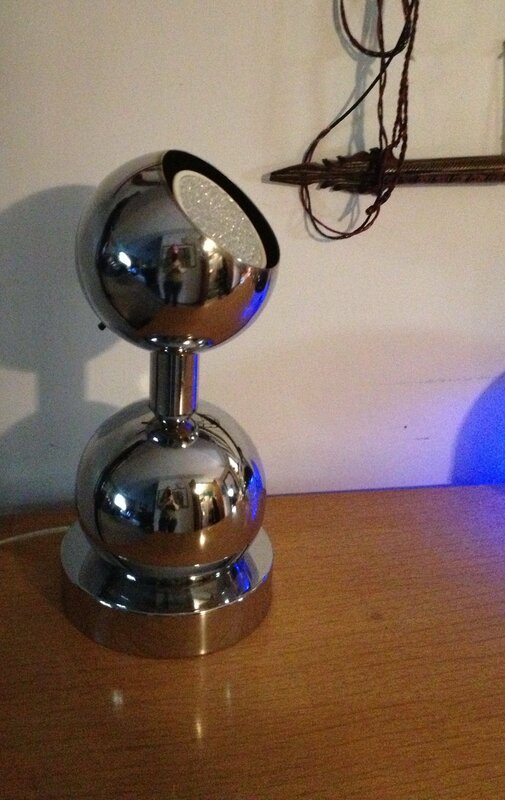 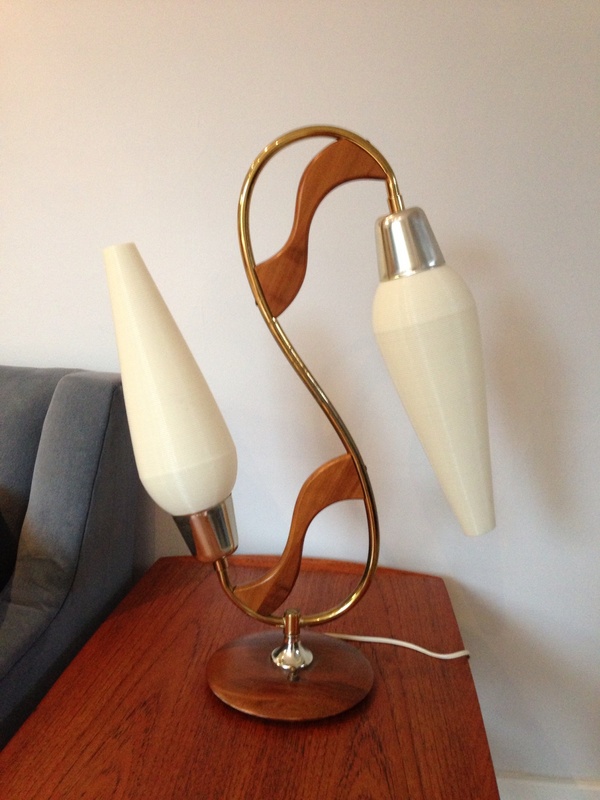 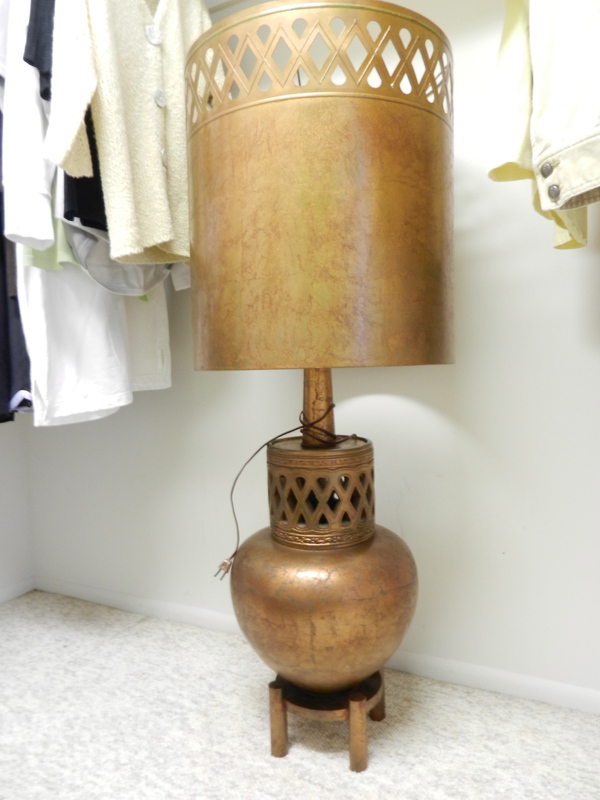 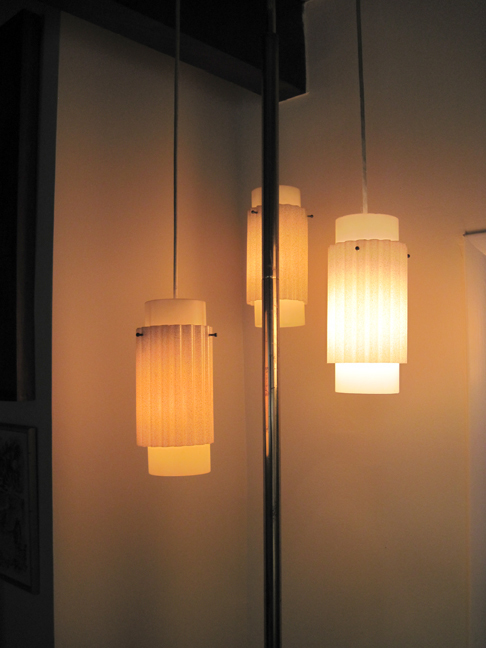 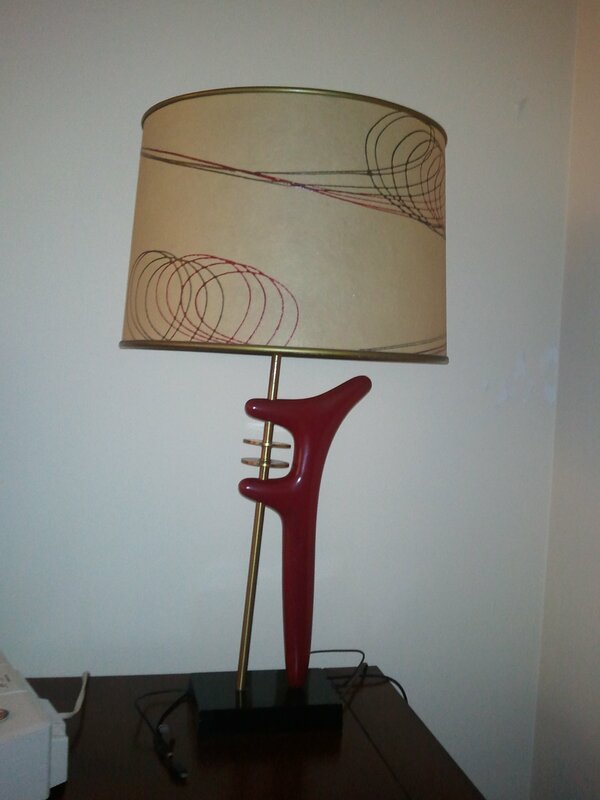 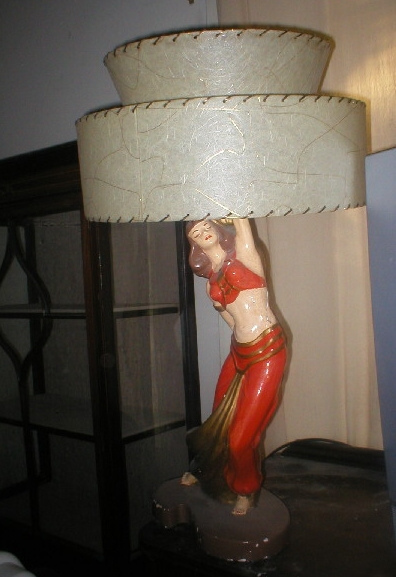 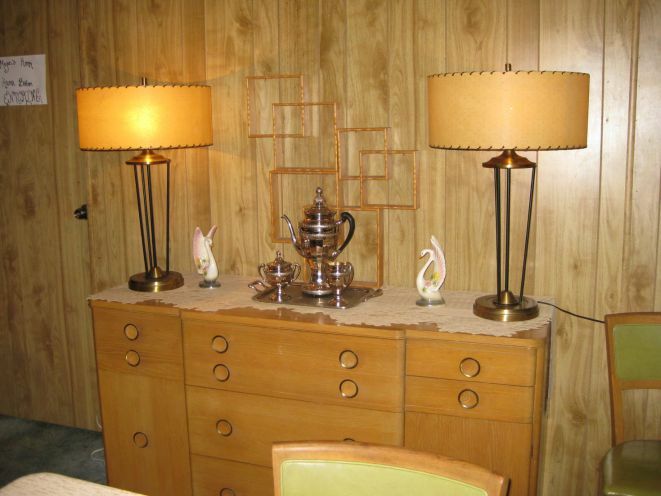 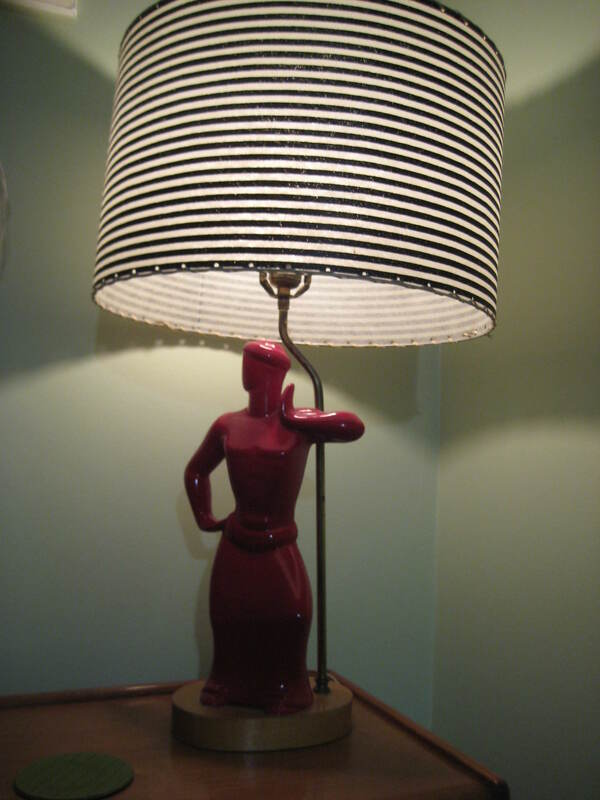 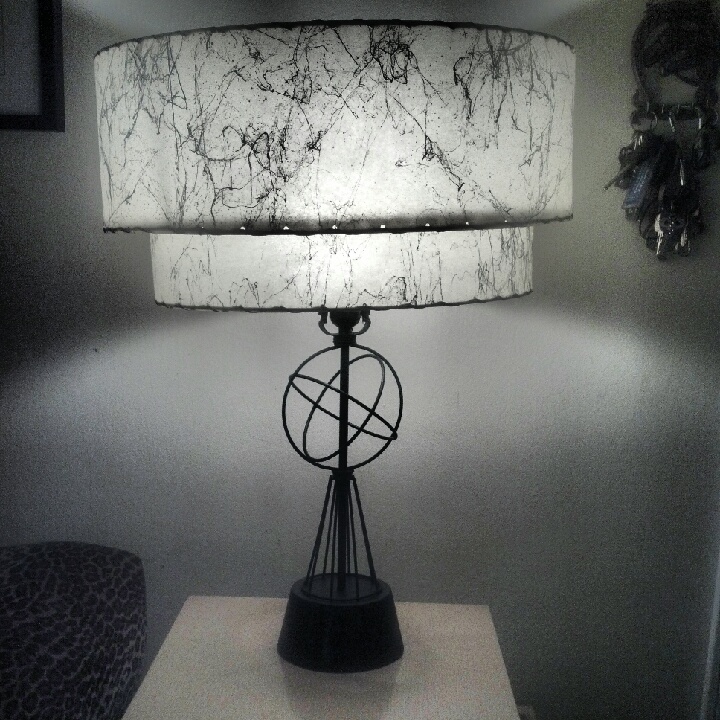 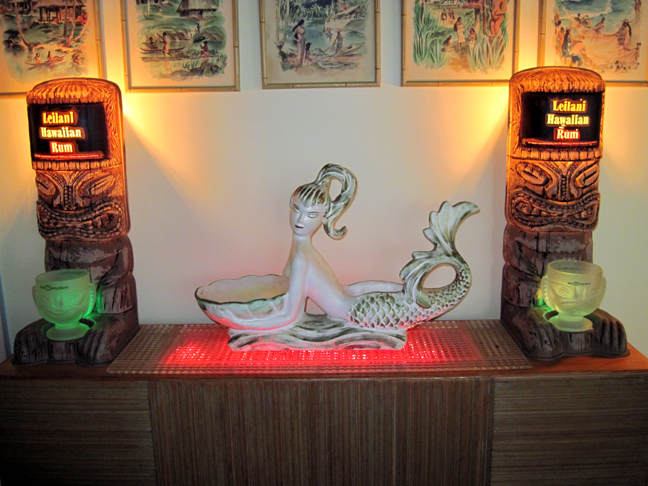 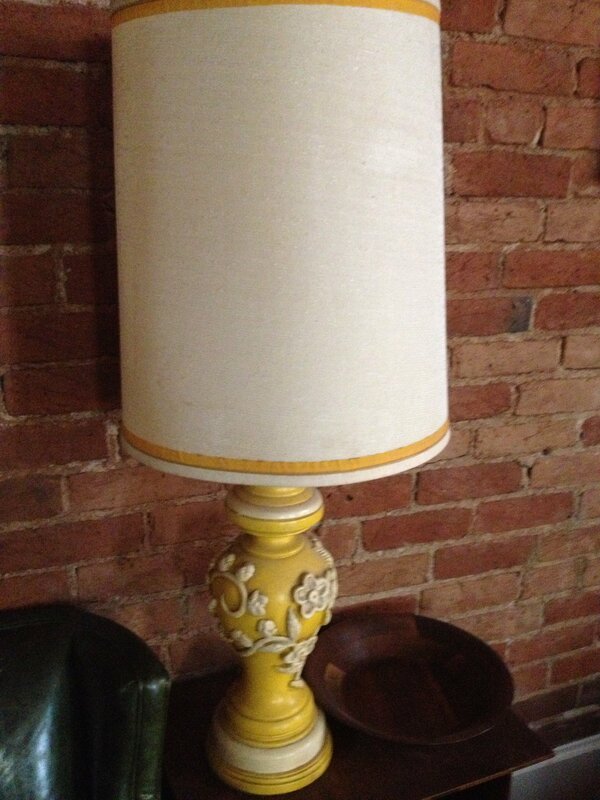 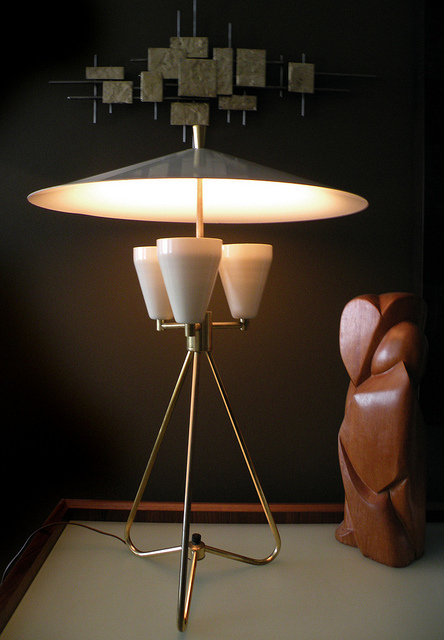 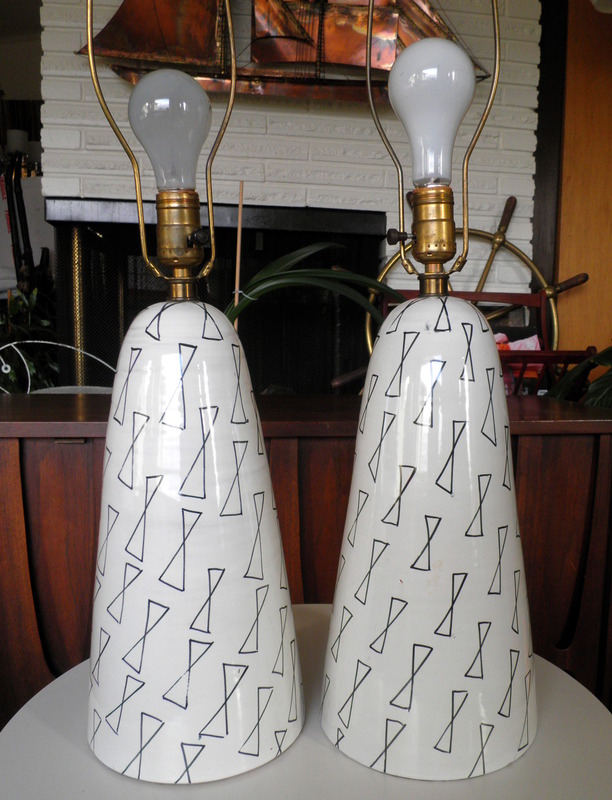 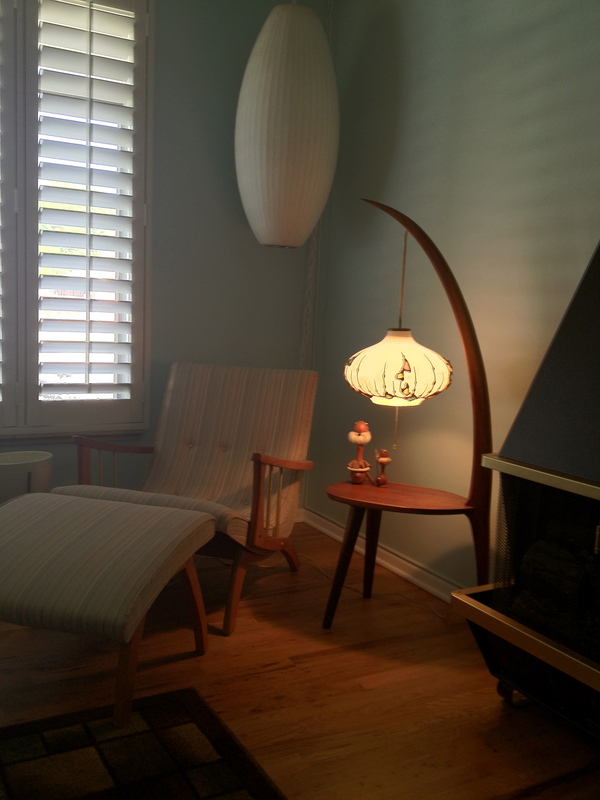 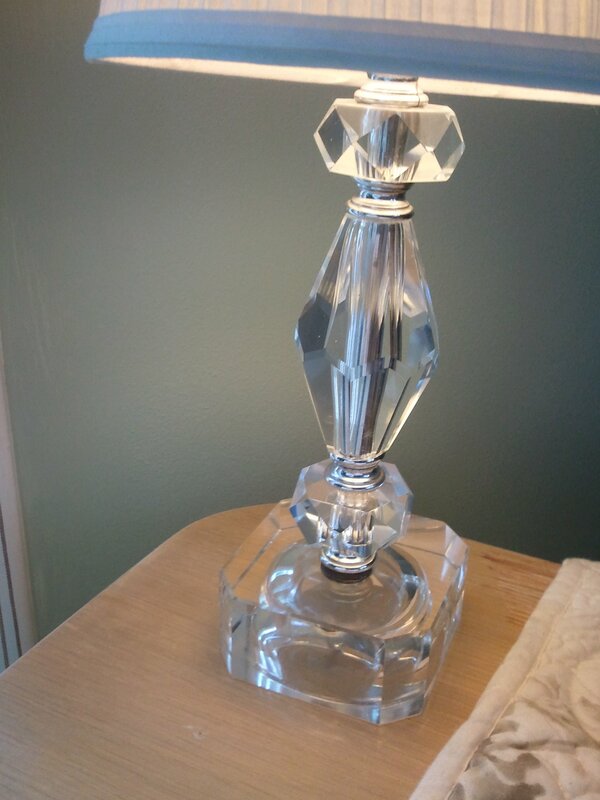 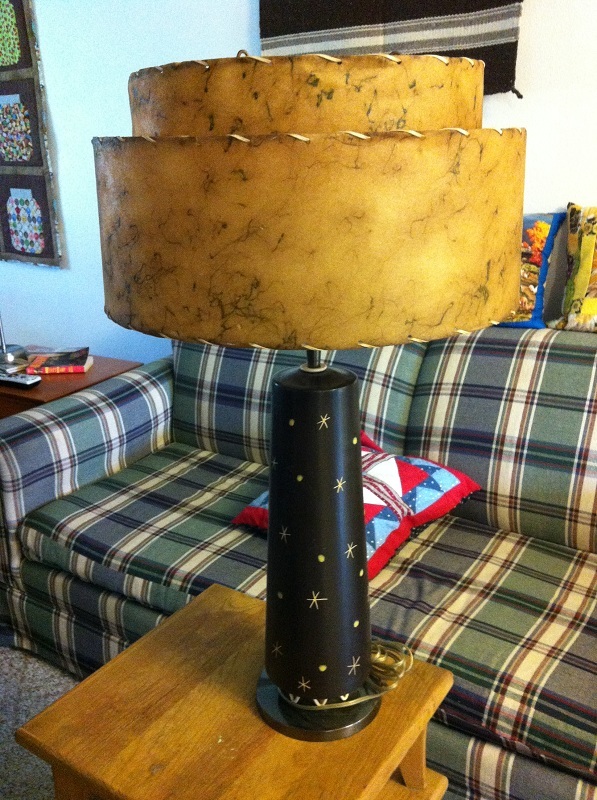 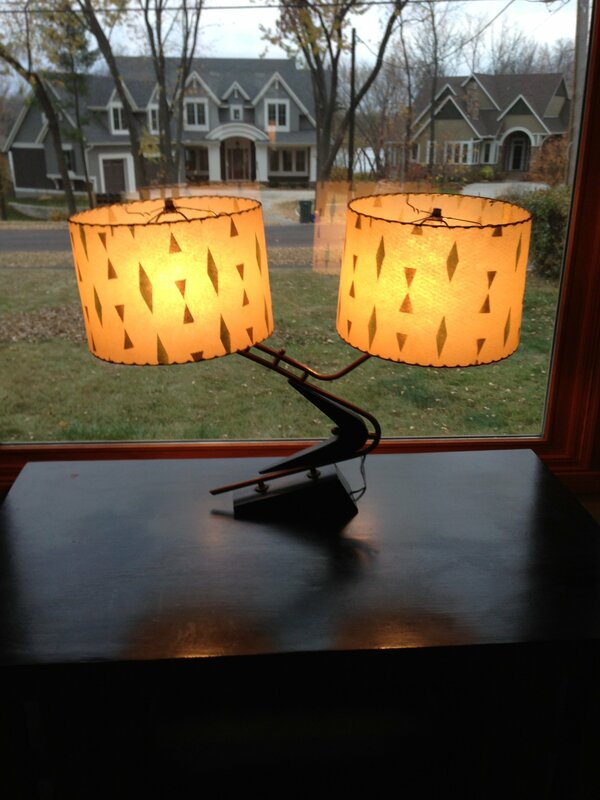 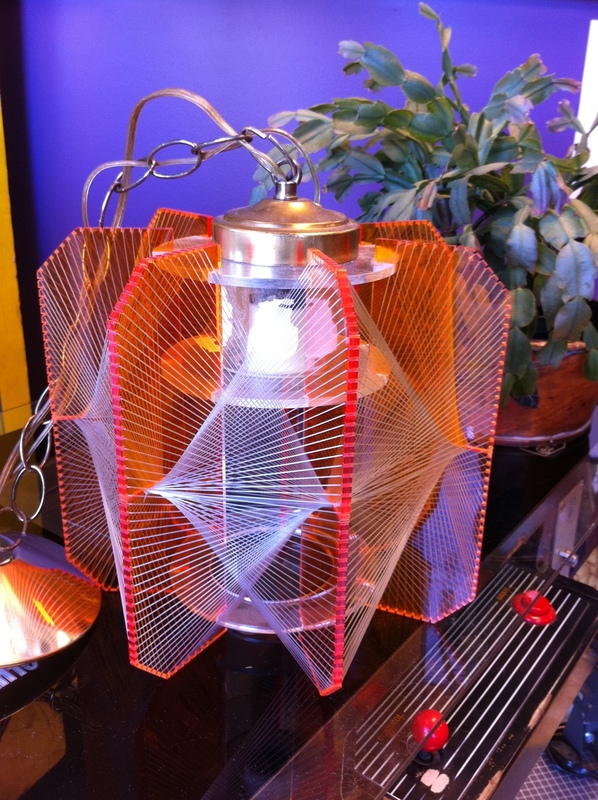 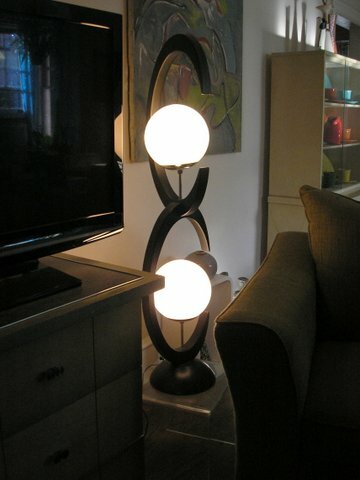 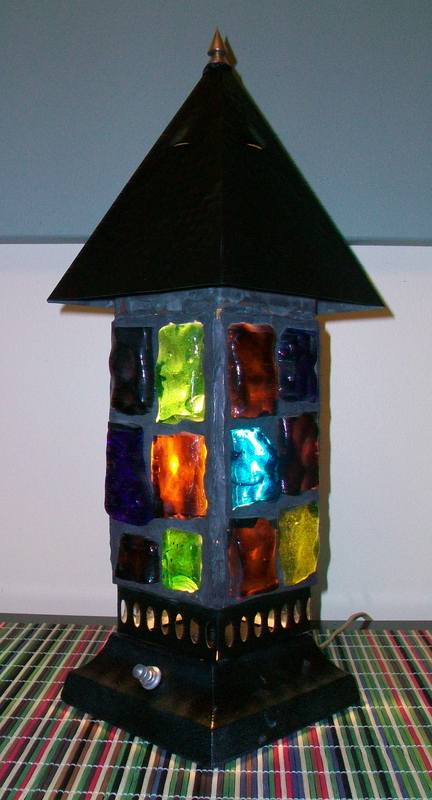 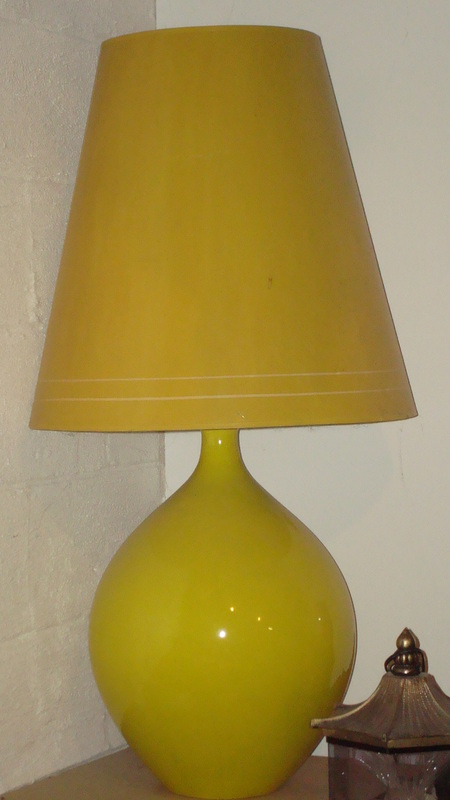 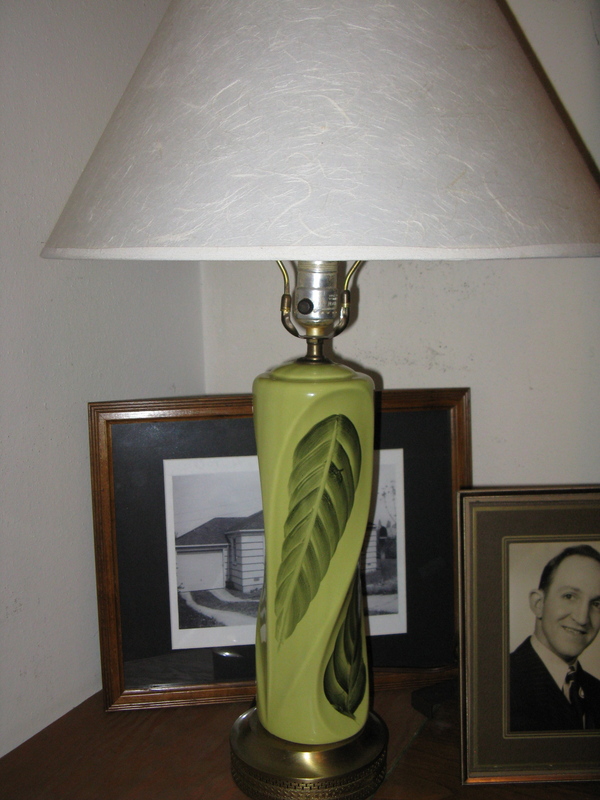 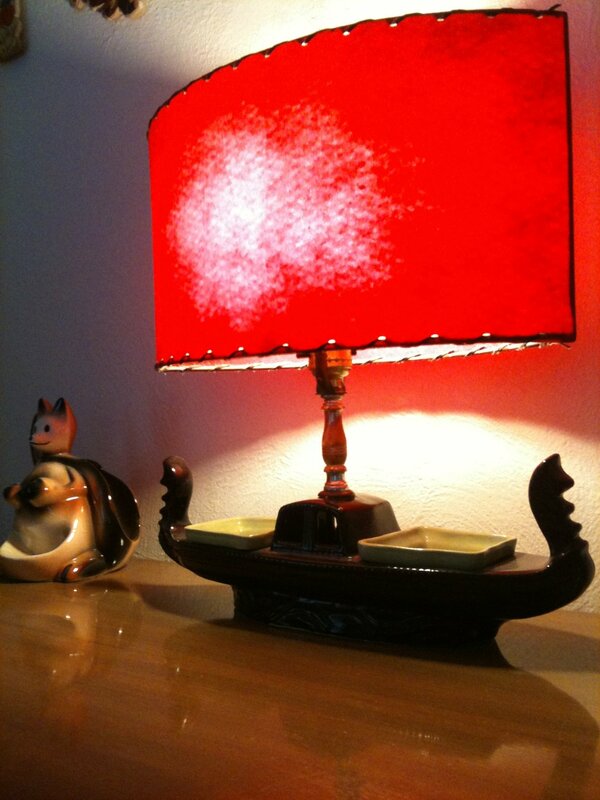 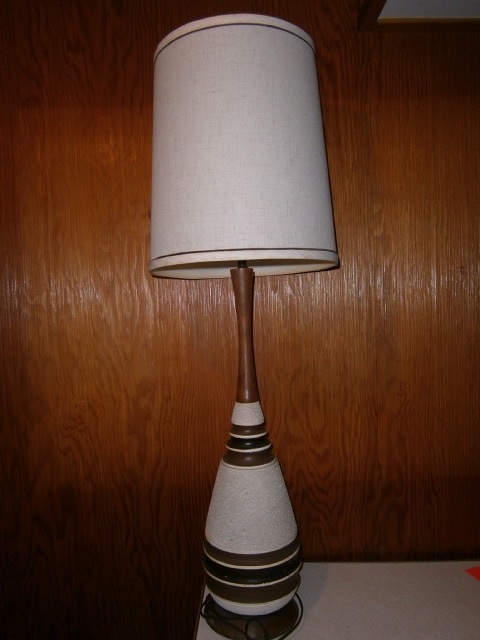 I LOVE this lamp and would like to learn more about it and the designer/company that produced it!